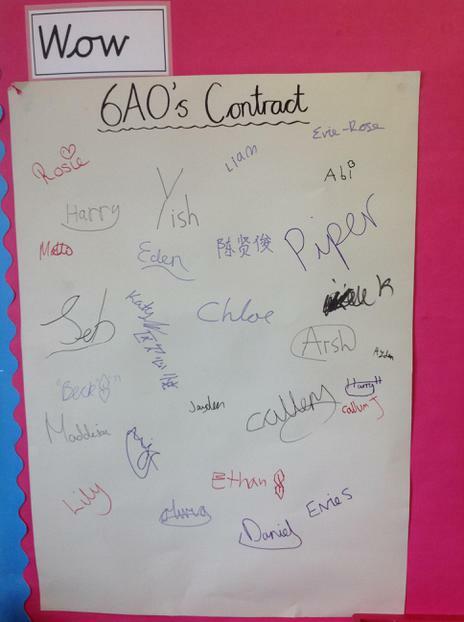 We have our own 6AO email! 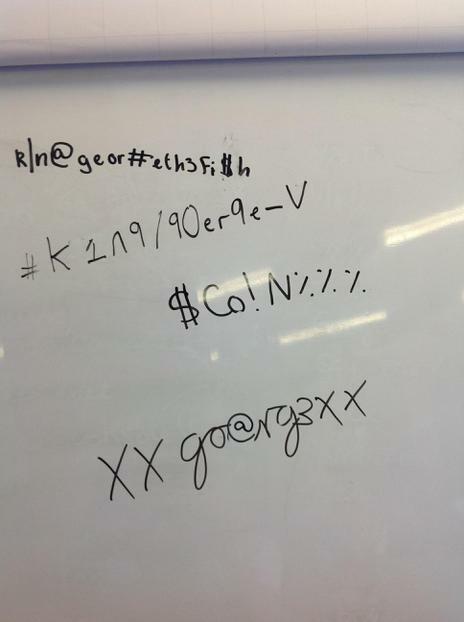 If you wish to contact us, please do so with the secure form below- we will be checking it regularly. 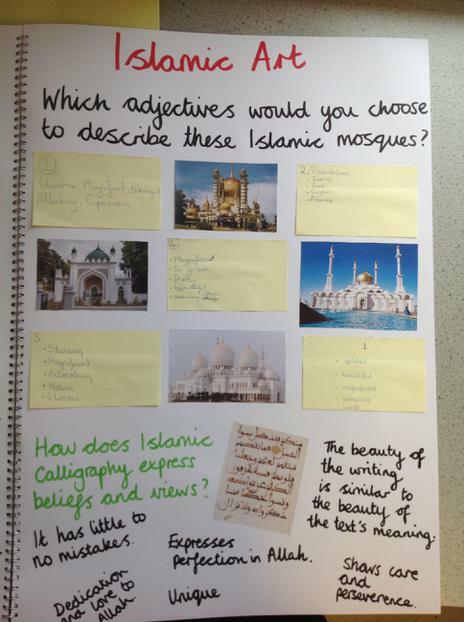 We welcome your comments and suggestions. 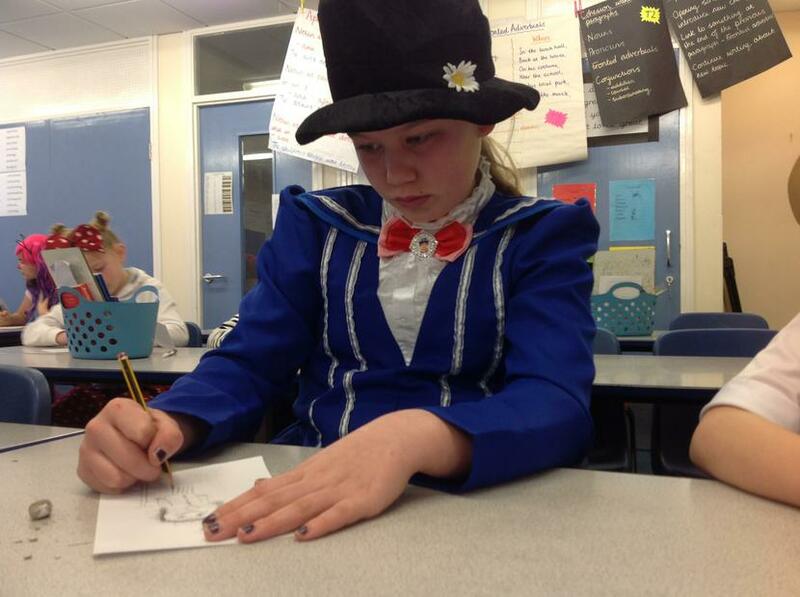 During our final term, we will be using the short film 'Little Freak' to inspire our writing to end the year. 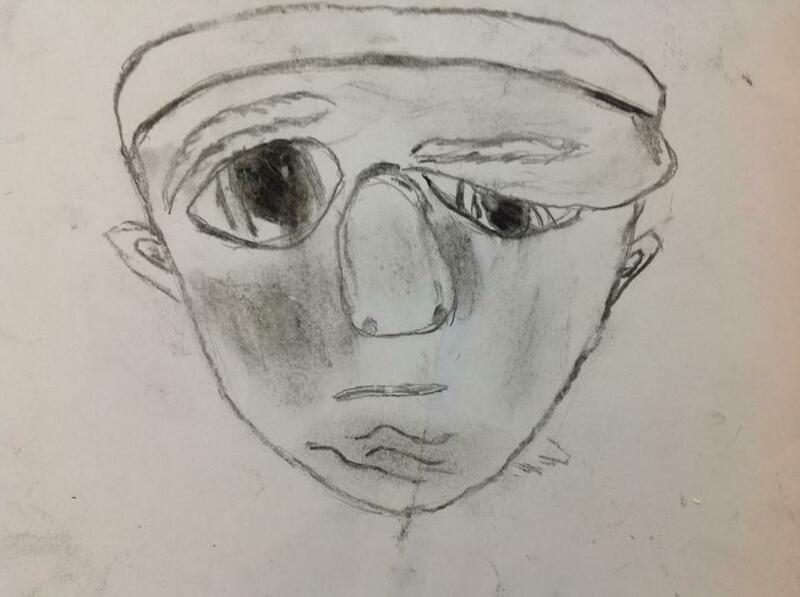 It is a very moving film about a very sad, lonely, young boy who is treated like nothing but a freak because of his looks. 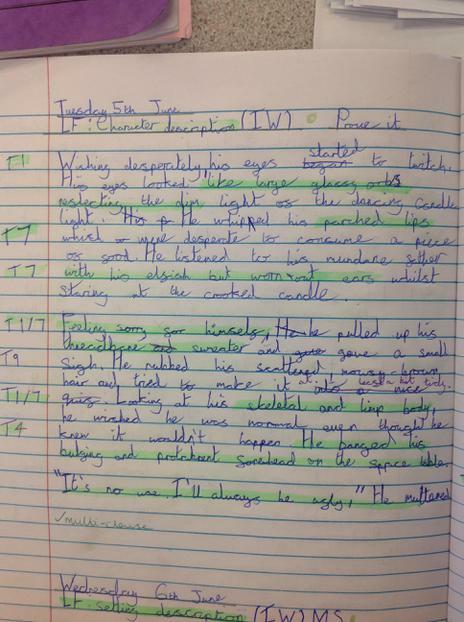 We have made some links to 'Wonder' that we read earlier on in the year and although it is sad, we are excited to get our teeth into some more exciting writing! 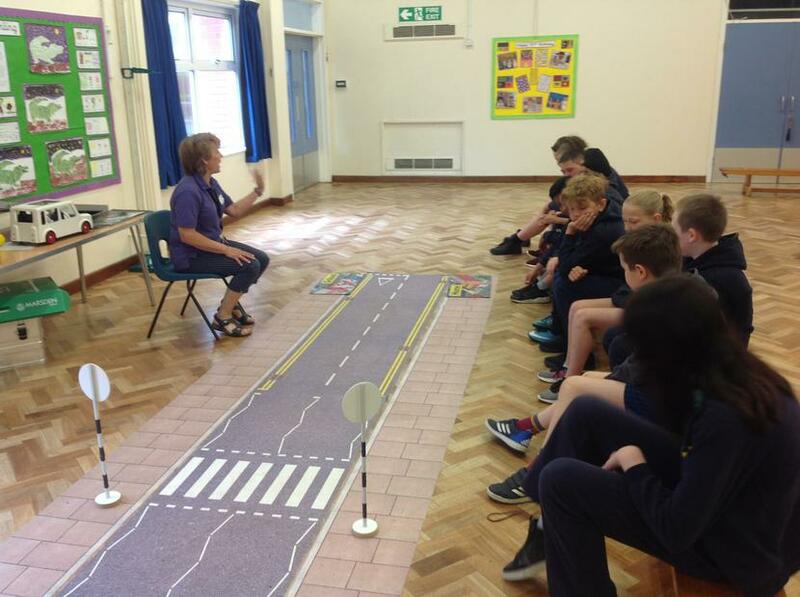 Today we had a visitor from South Gloucestershire's Road Safety team. 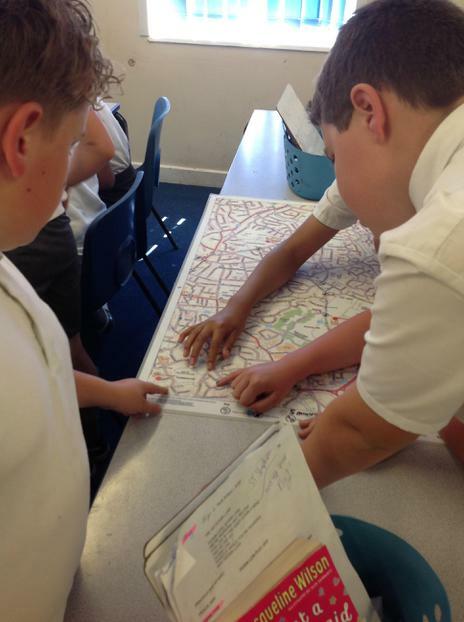 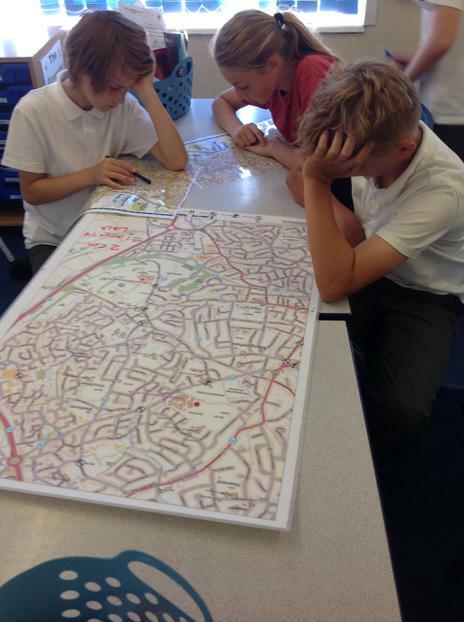 We investigated our journeys to our new schools and we learned the importance of knowing road signs and how to navigate maps! 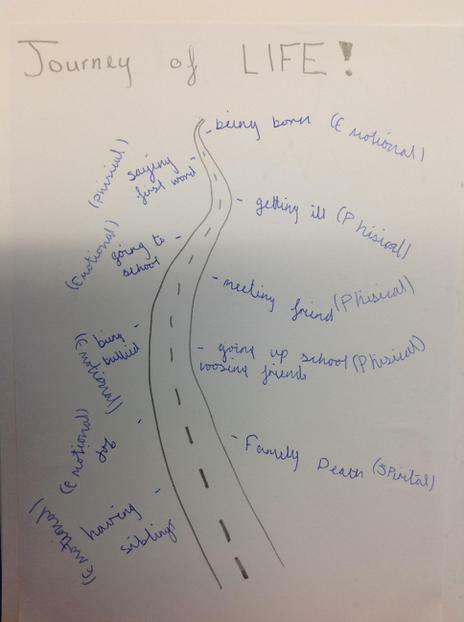 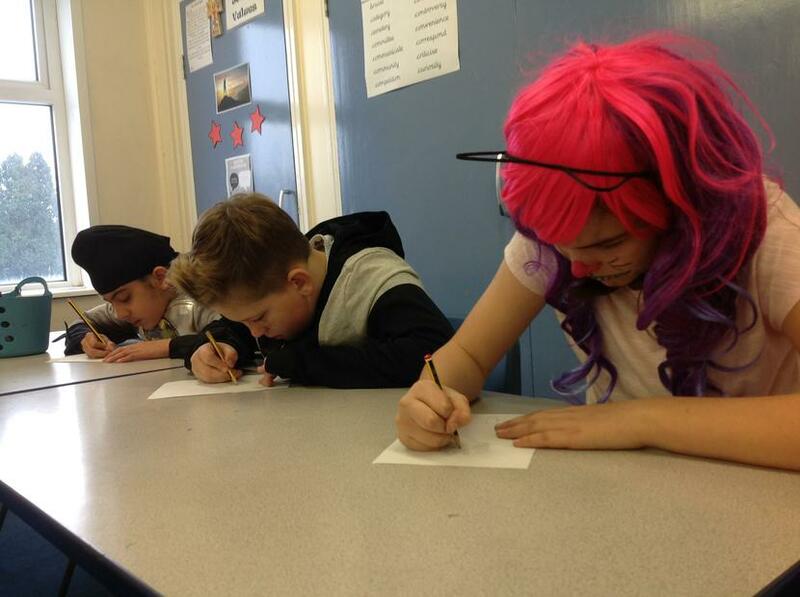 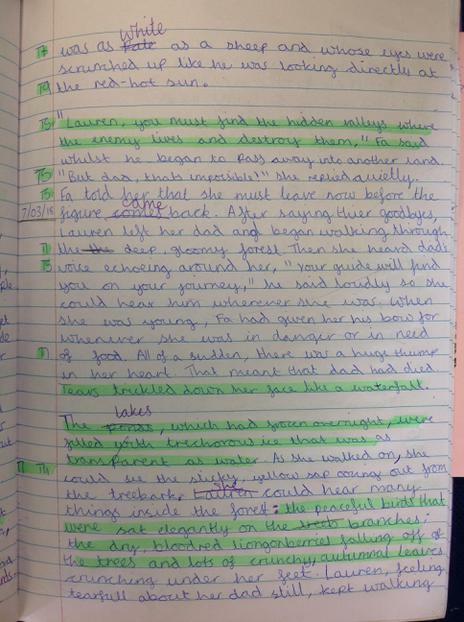 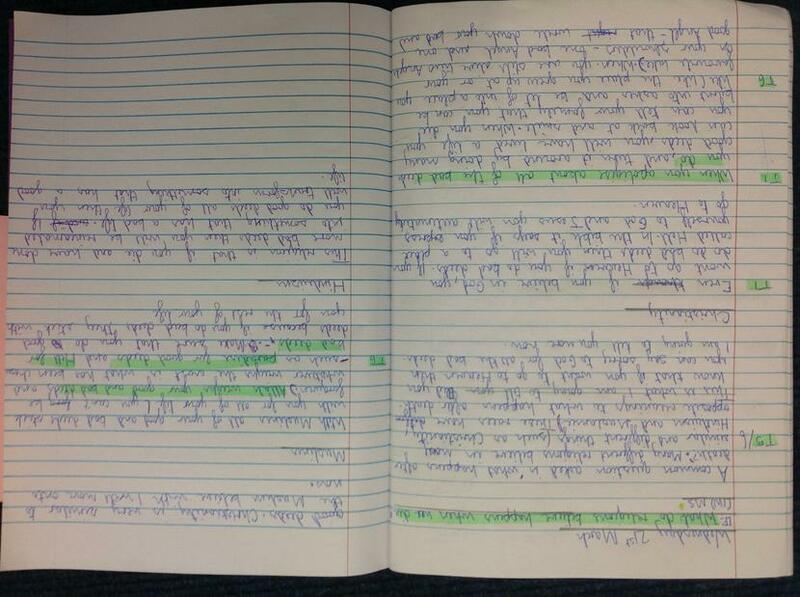 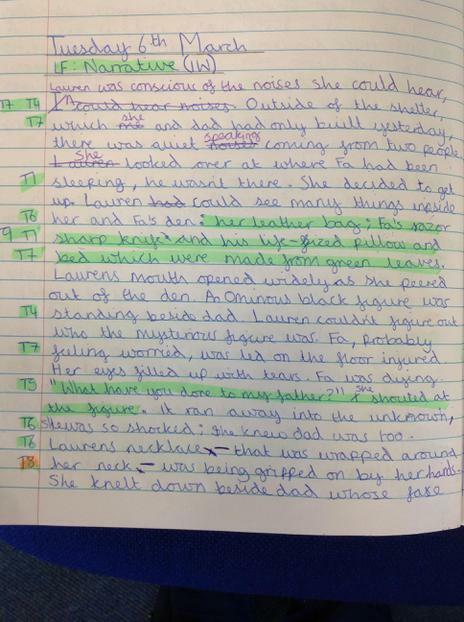 This week we wrote out own narratives of Little Freak going to school. 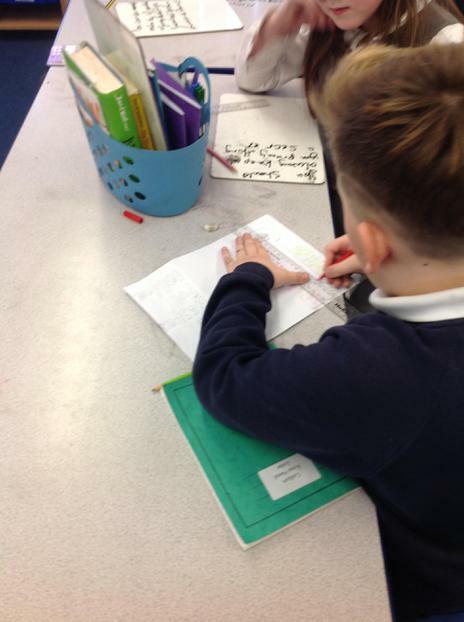 To make our writing the best we could, we discussed emotive language; how to make our writing cohesive and the use of dialogue to move our stories along. 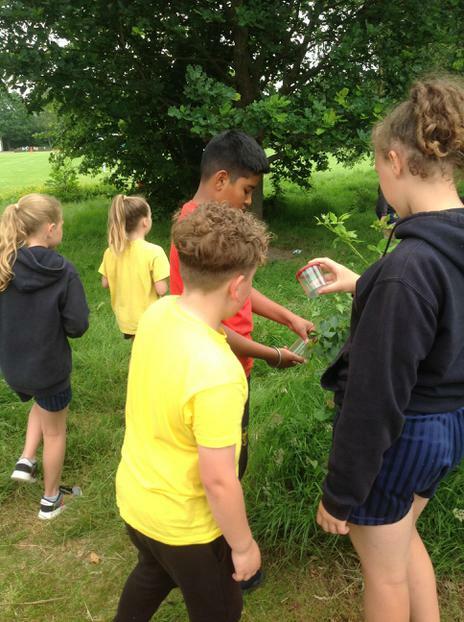 Today we finished off out flower beds and spent some time exploring the wildlife we have here on the grounds of St Stephen's. 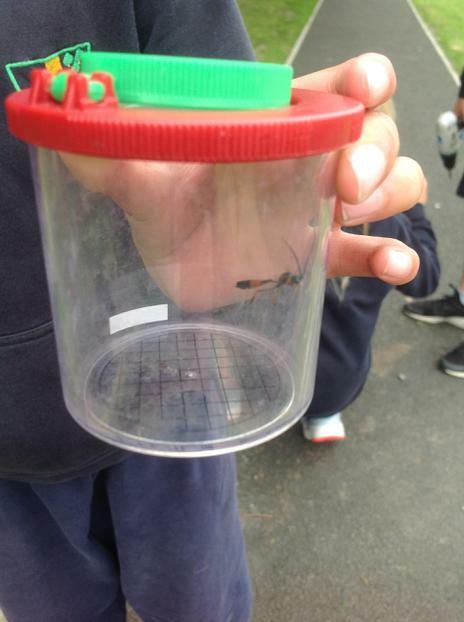 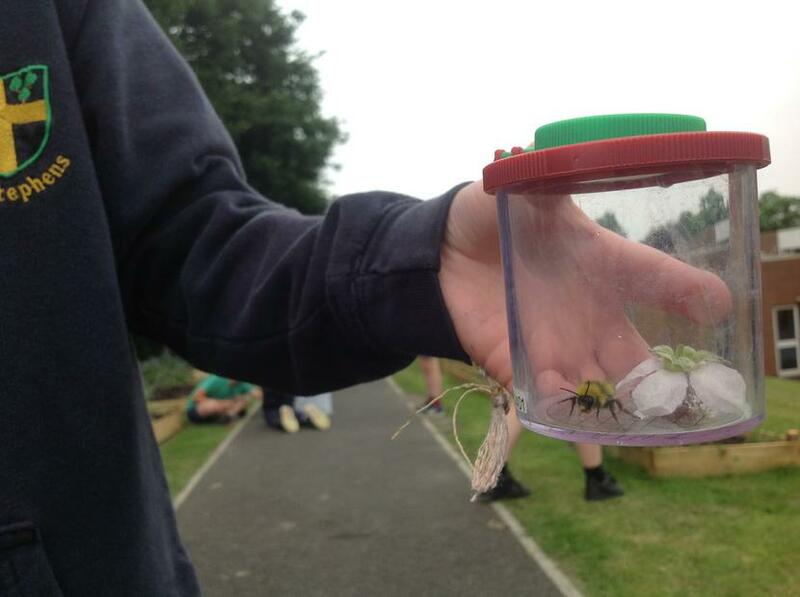 We were amazed that we found so many types of bees and other insects and we enjoyed learning all about them. 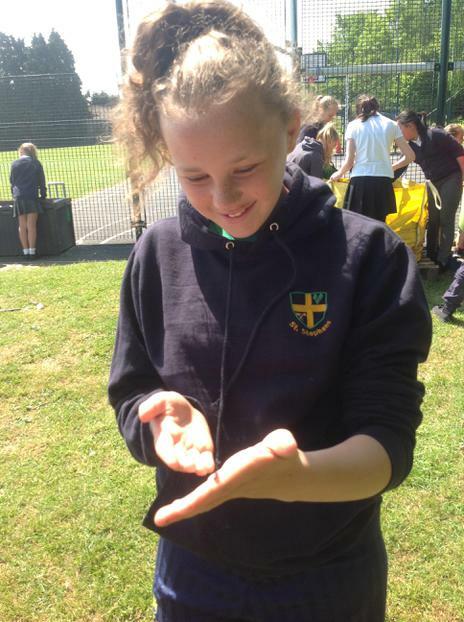 We now have a much greater understanding of the importance of pollinators and the important job they do for our world! 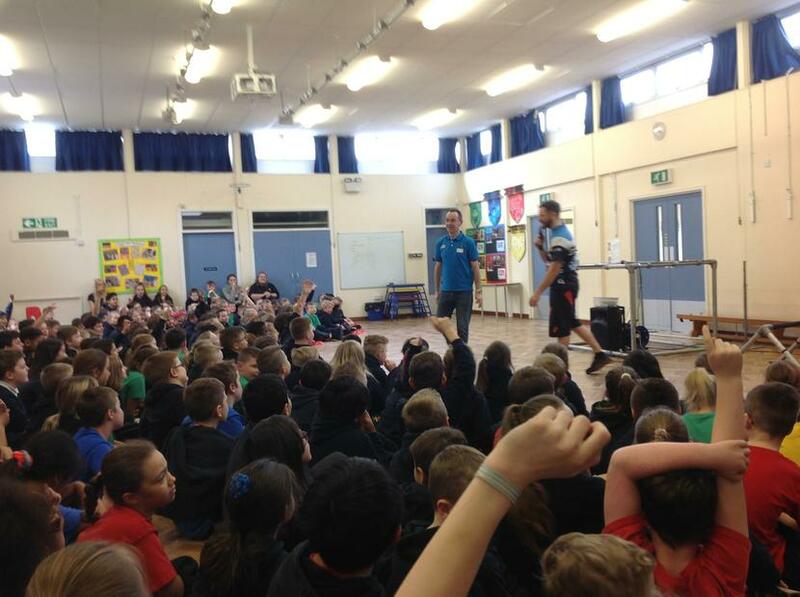 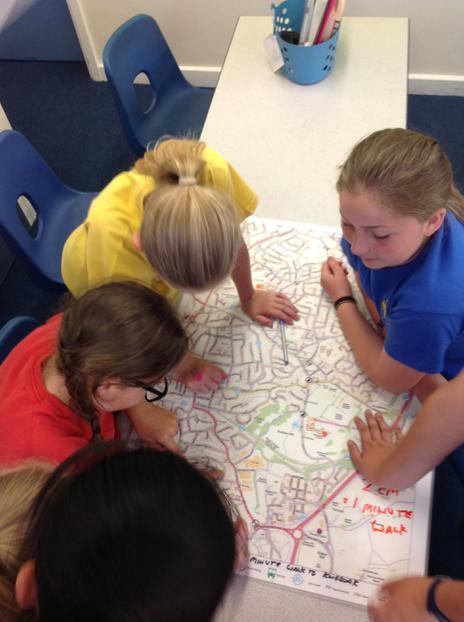 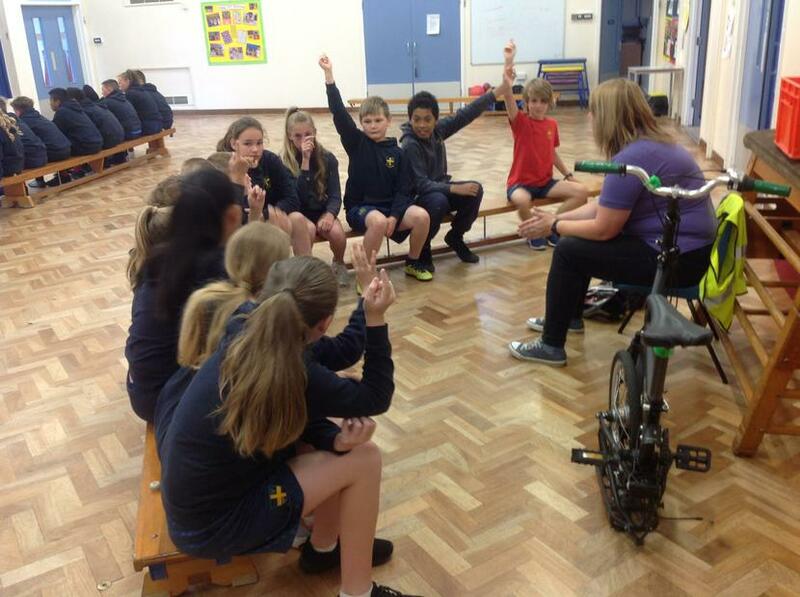 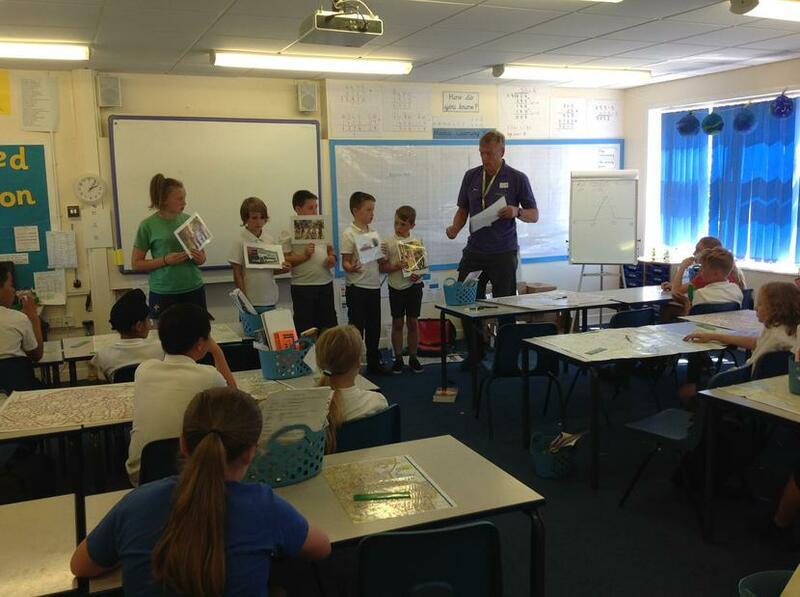 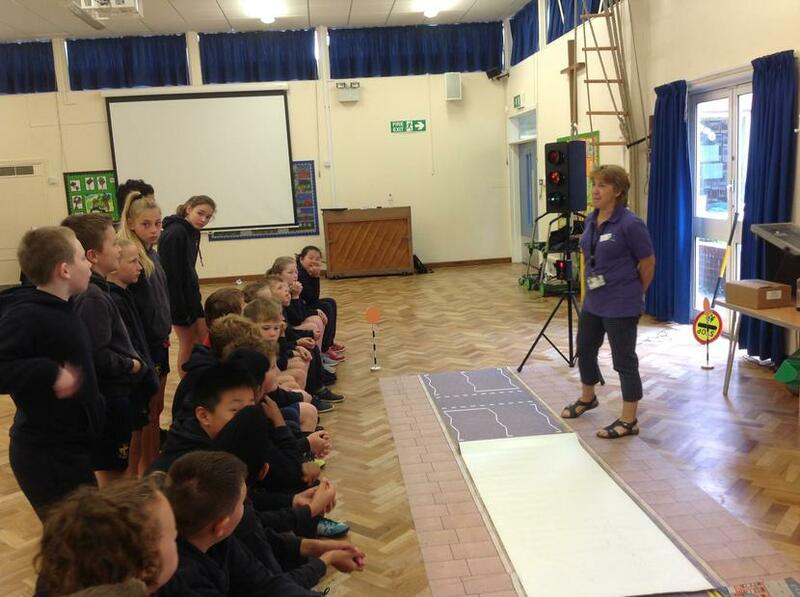 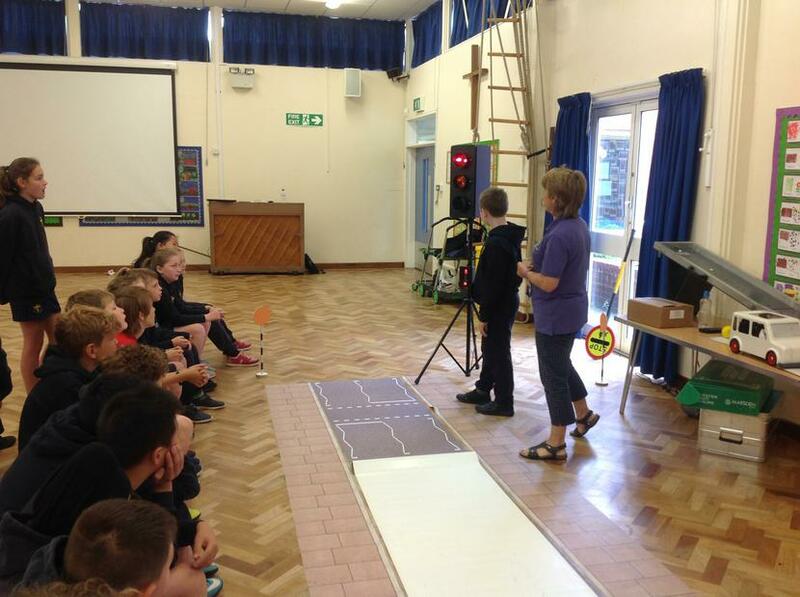 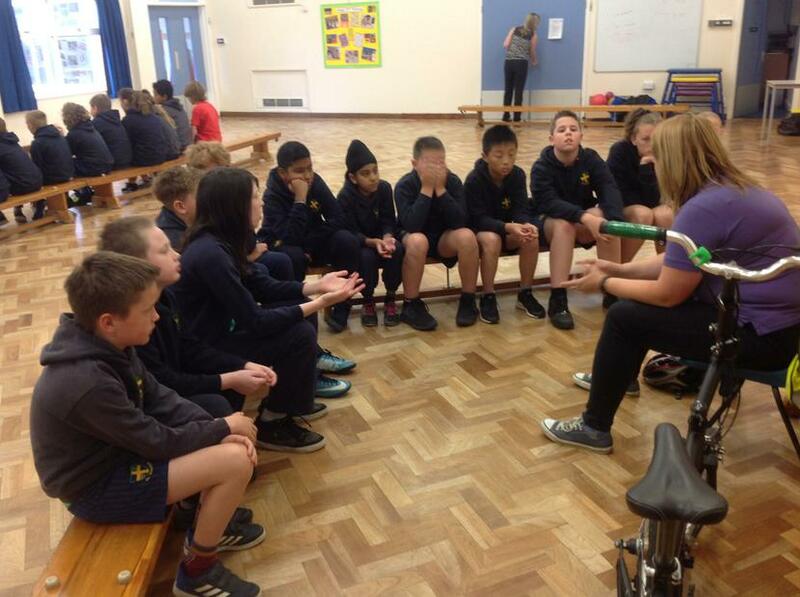 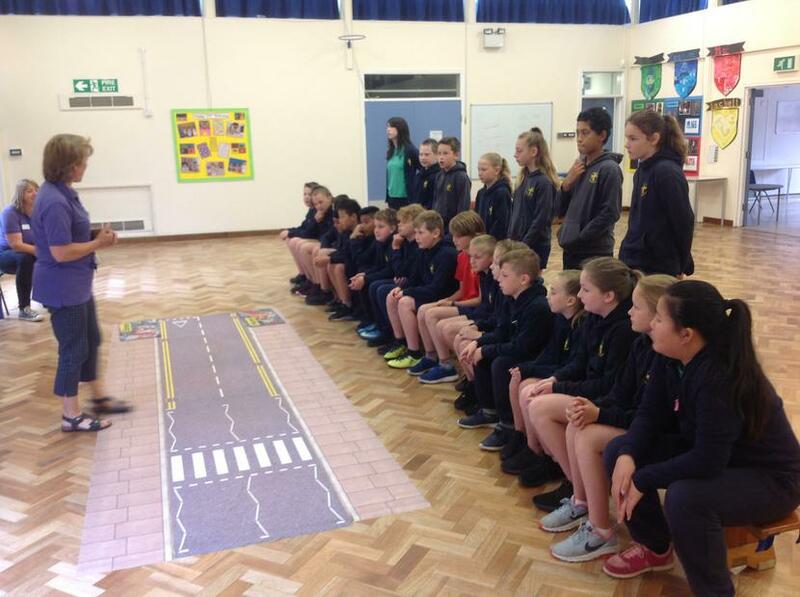 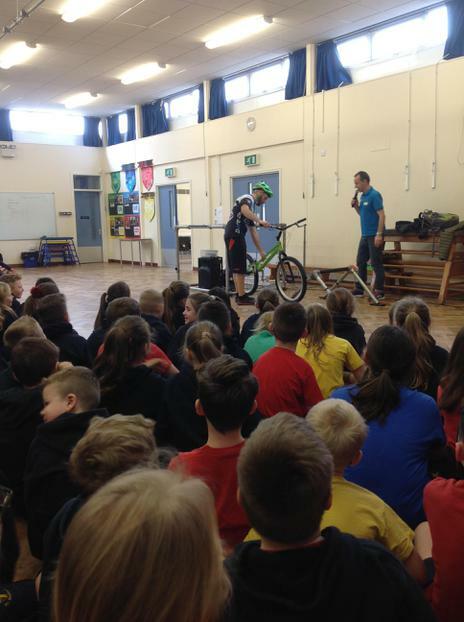 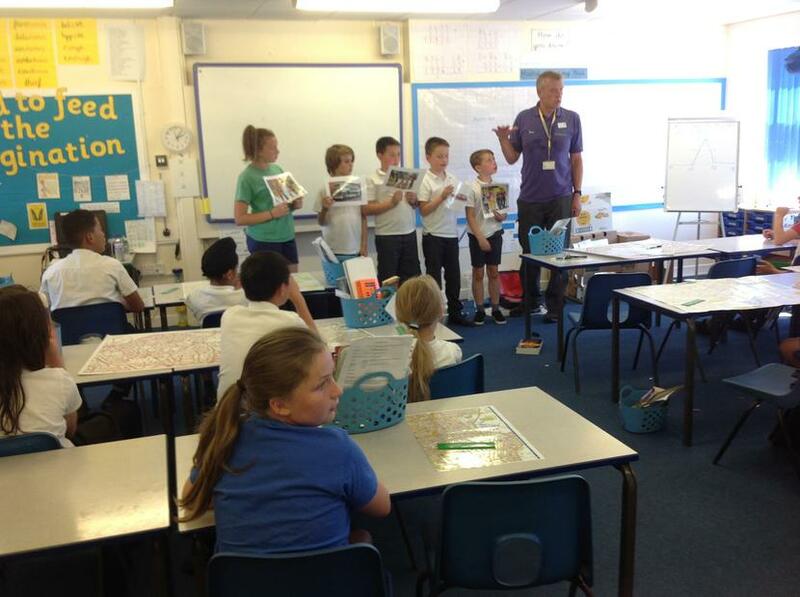 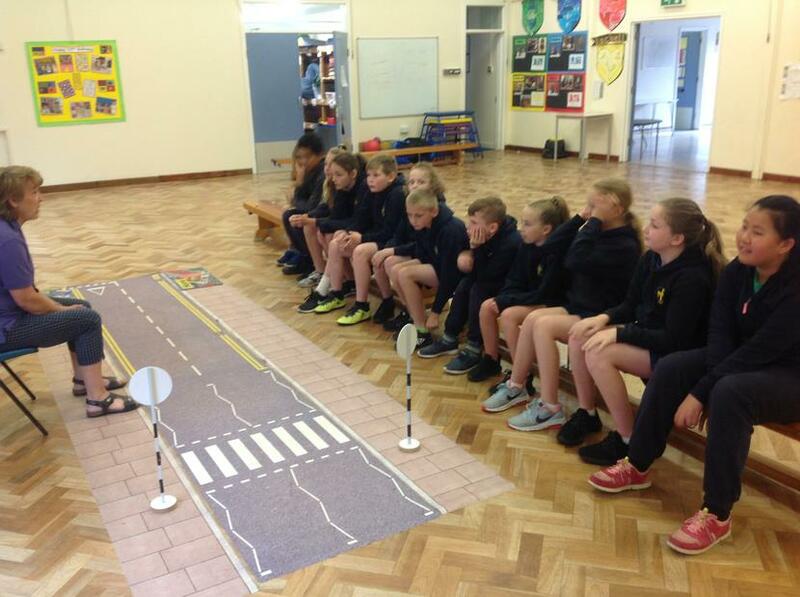 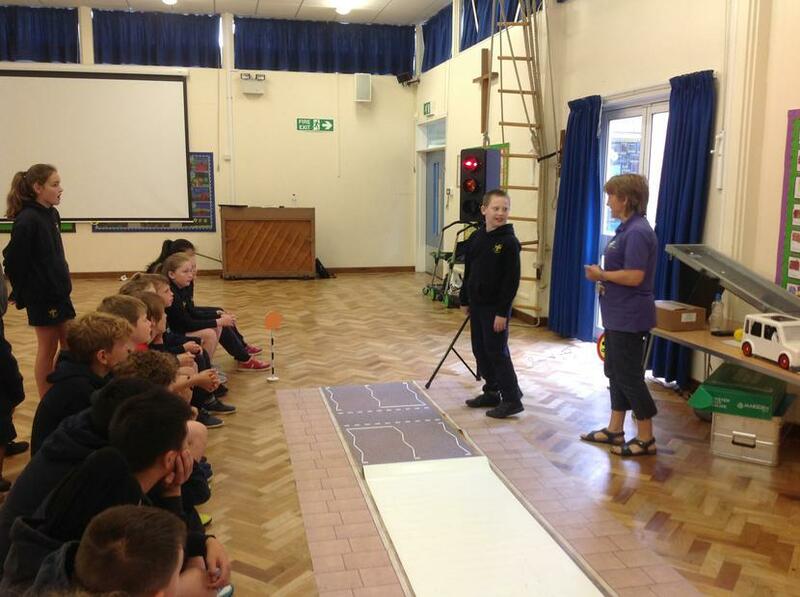 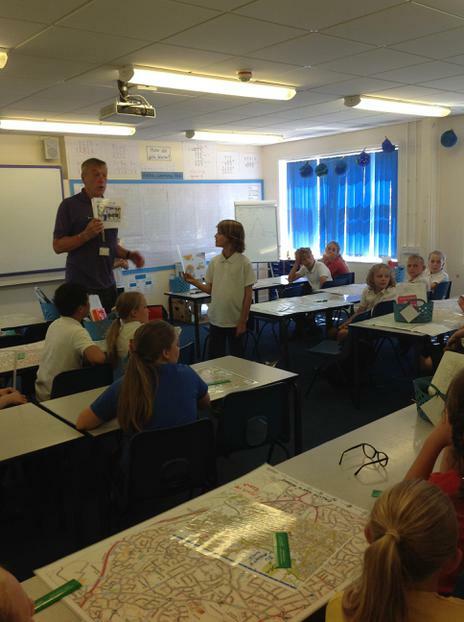 Today a road safety team came in from South Gloucestershire to teach our children how to be safe on the road - both as pedestrians and when on bicycles or scooters. 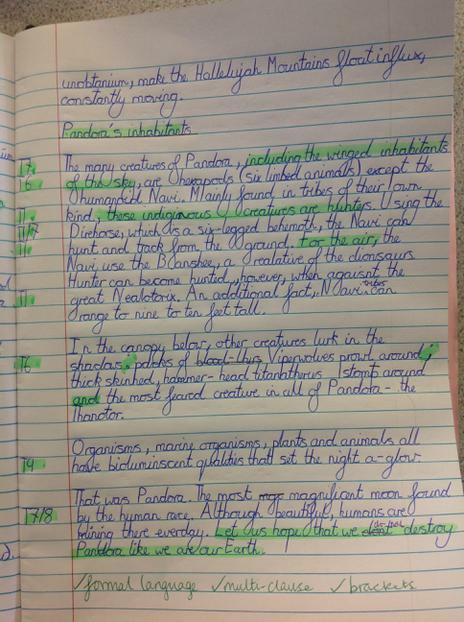 At the end of Term 5 we introduced the children to Pandora - a world of wonder and mystery. 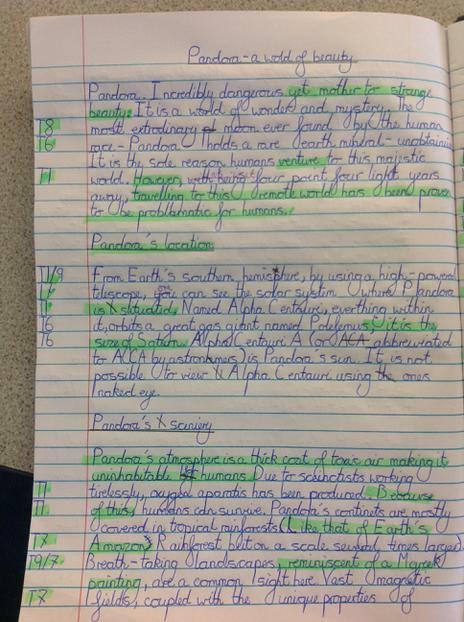 We enjoyed writing our non-chronological Reports about the amazing planet and we also wrote some fantastic pieces of persuasion to entice others to visit the fictional planet. 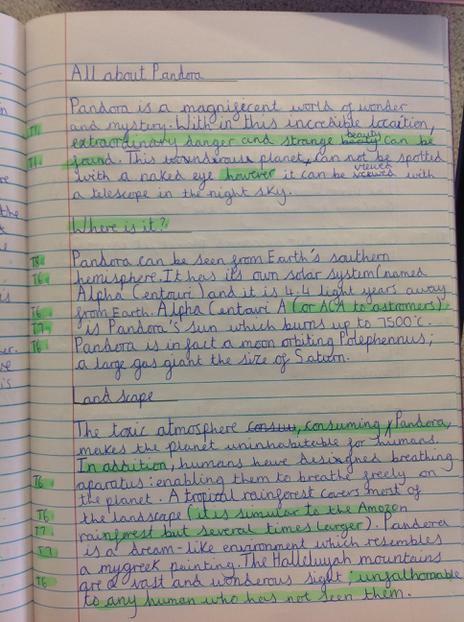 Although our writing for Pandora has come to an end, we are still doing some fantastic artwork so stay tuned! 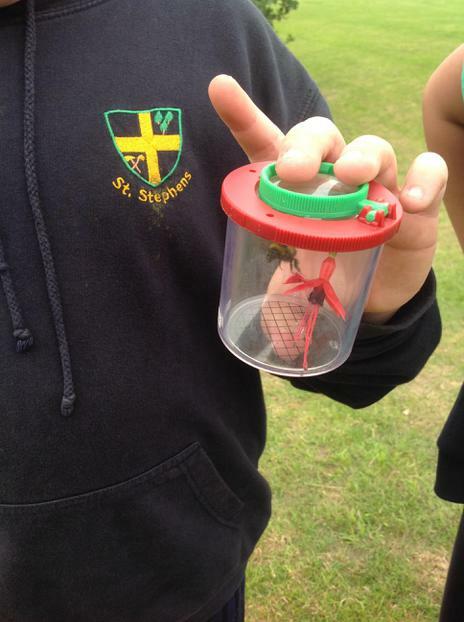 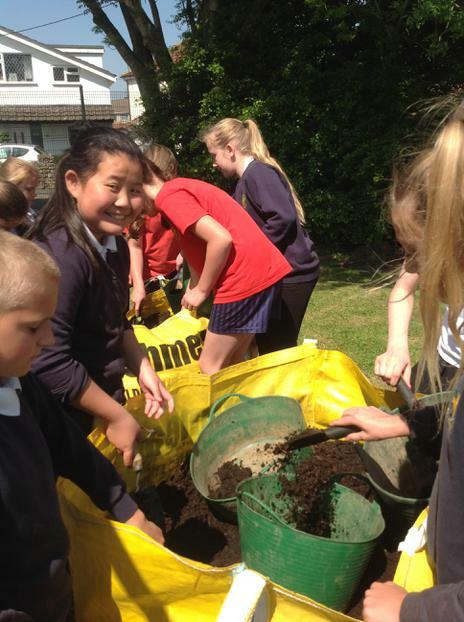 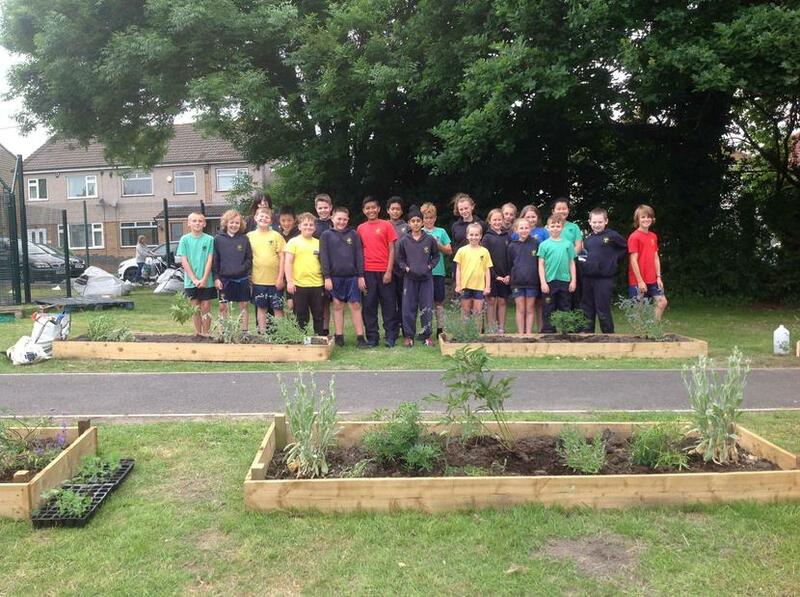 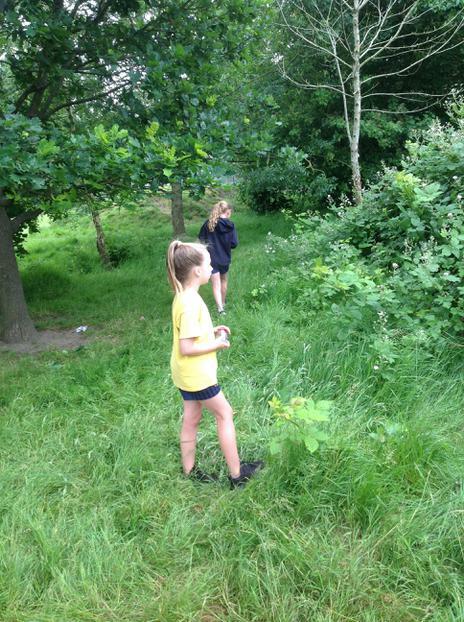 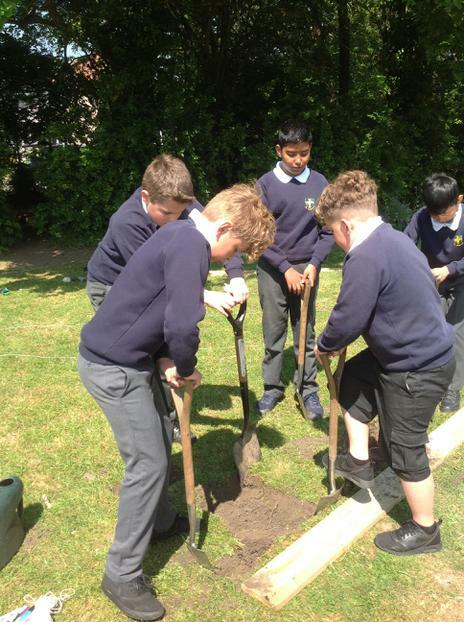 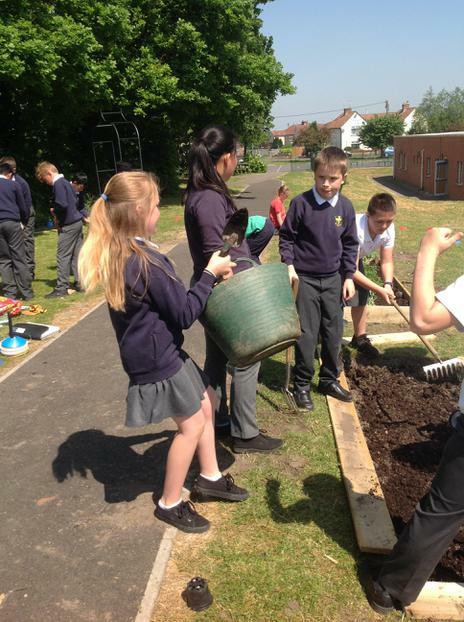 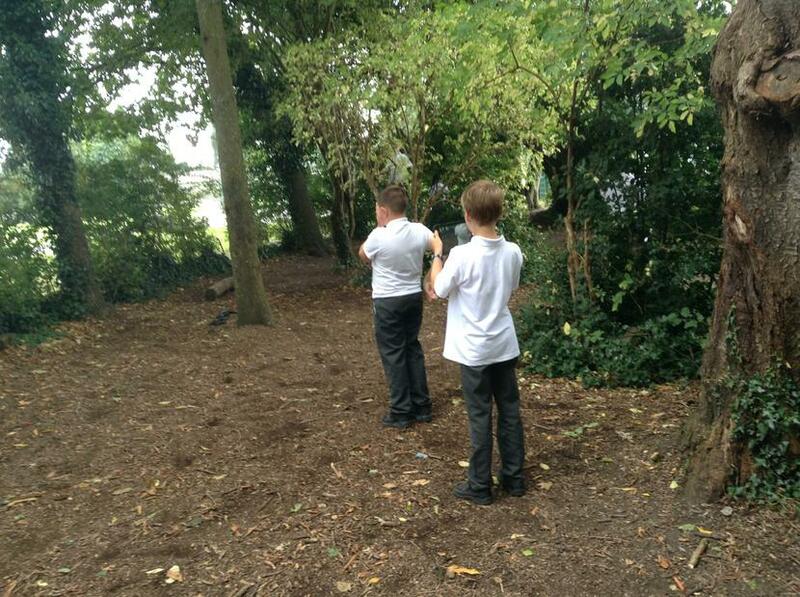 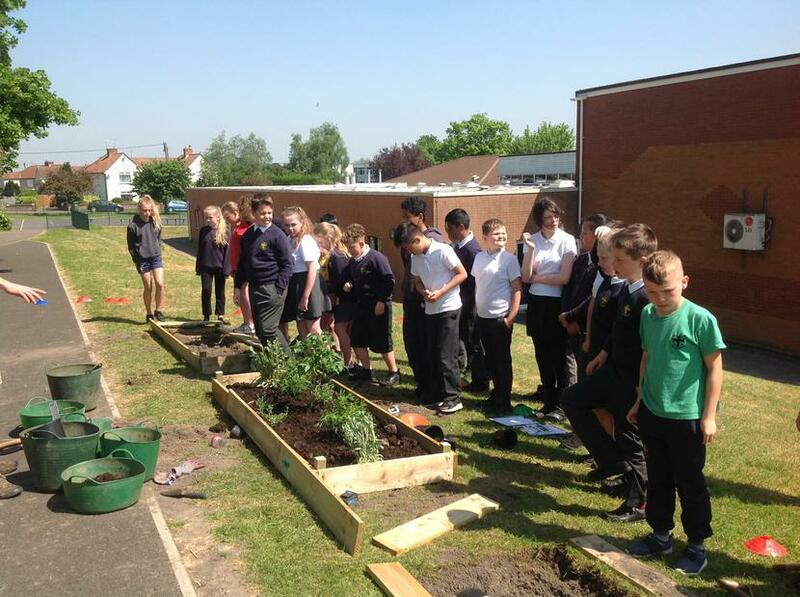 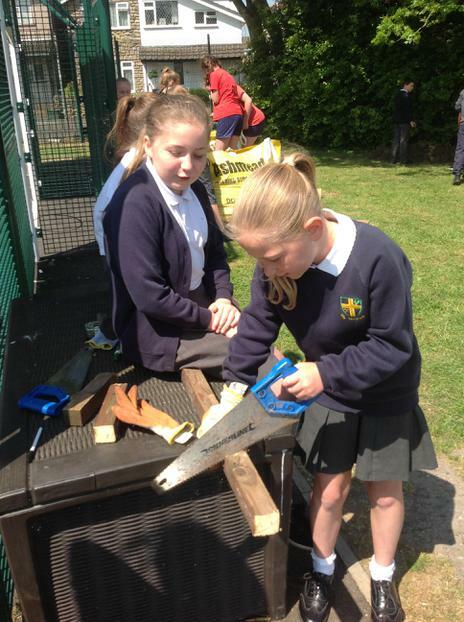 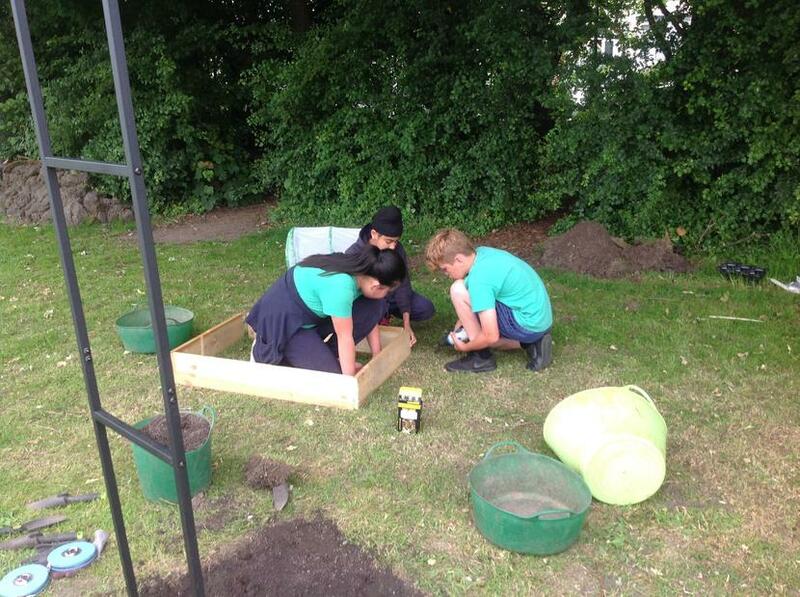 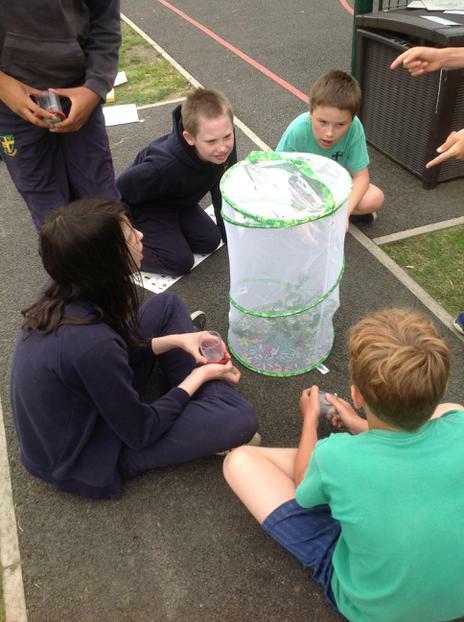 Year 6 feel lucky to be a part of the Pollination project this year. 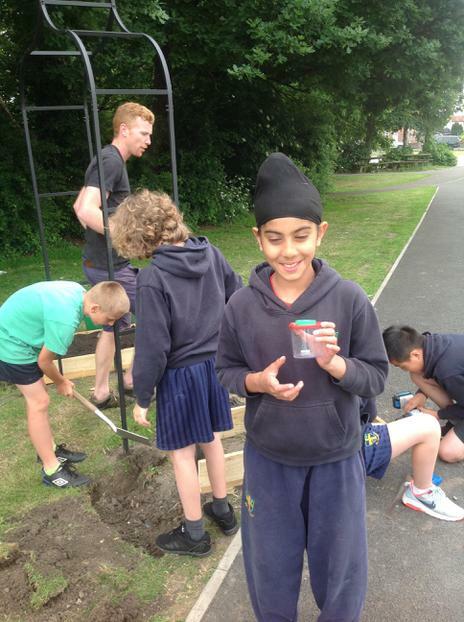 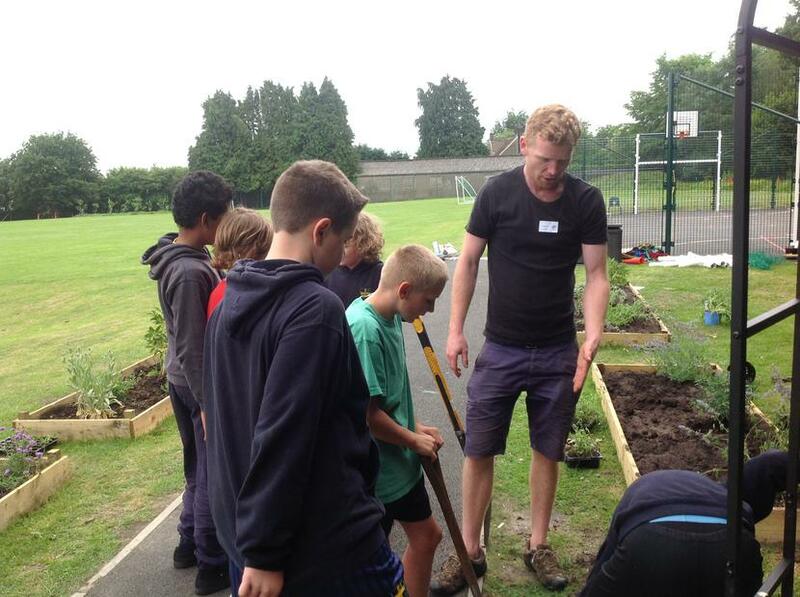 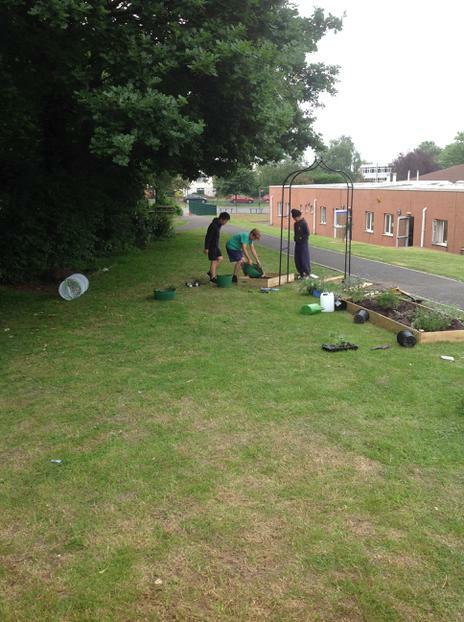 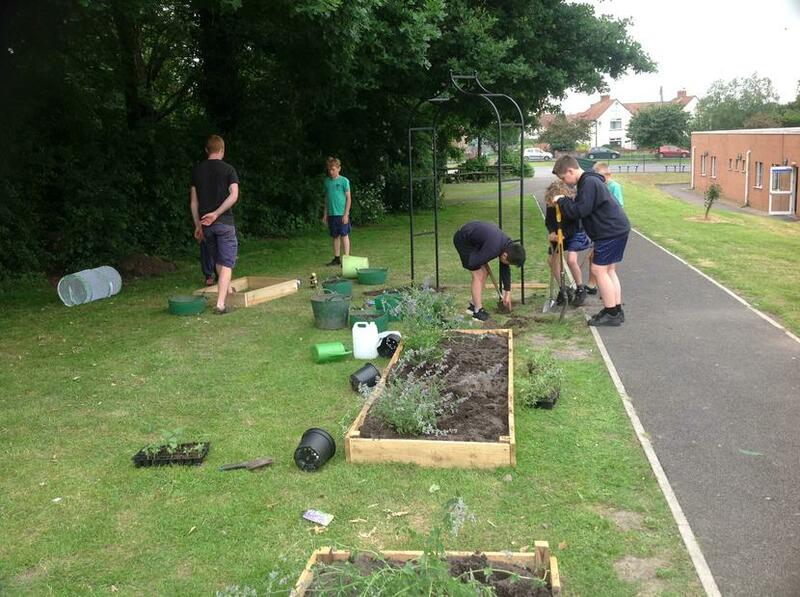 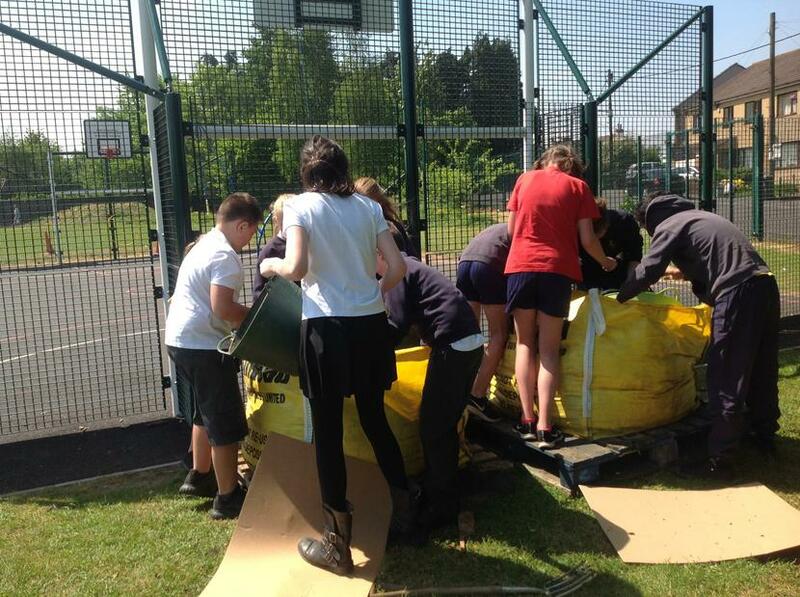 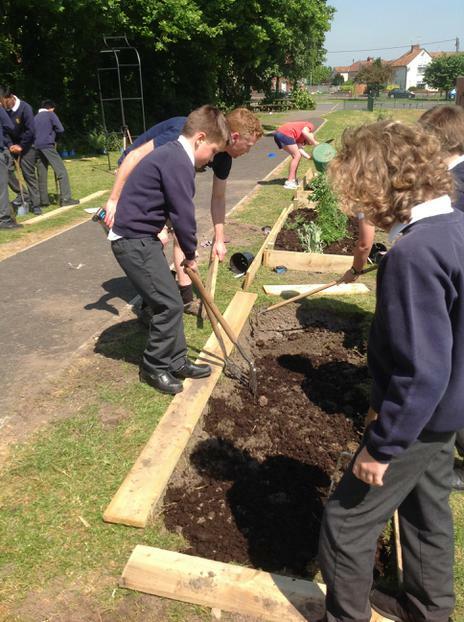 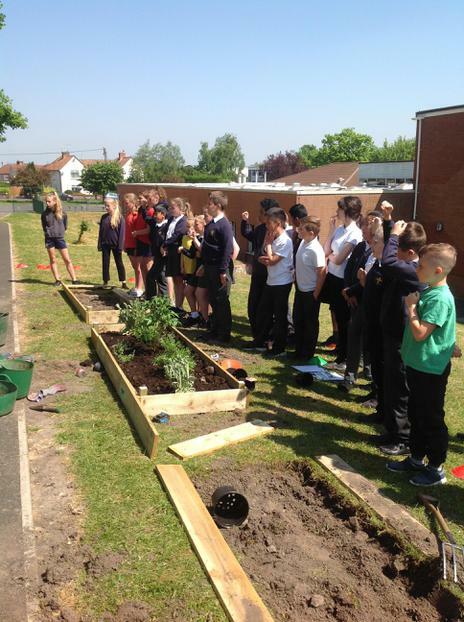 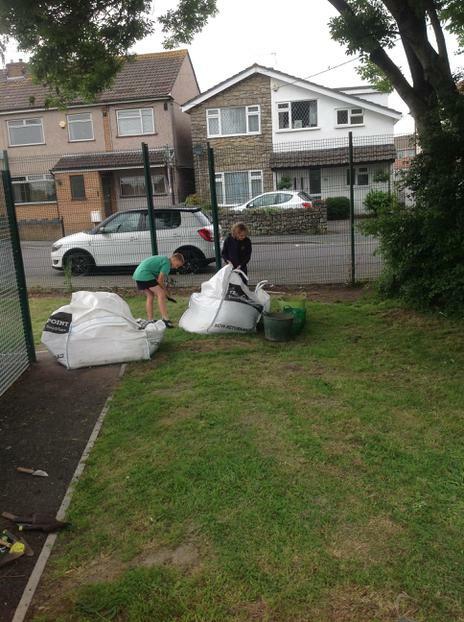 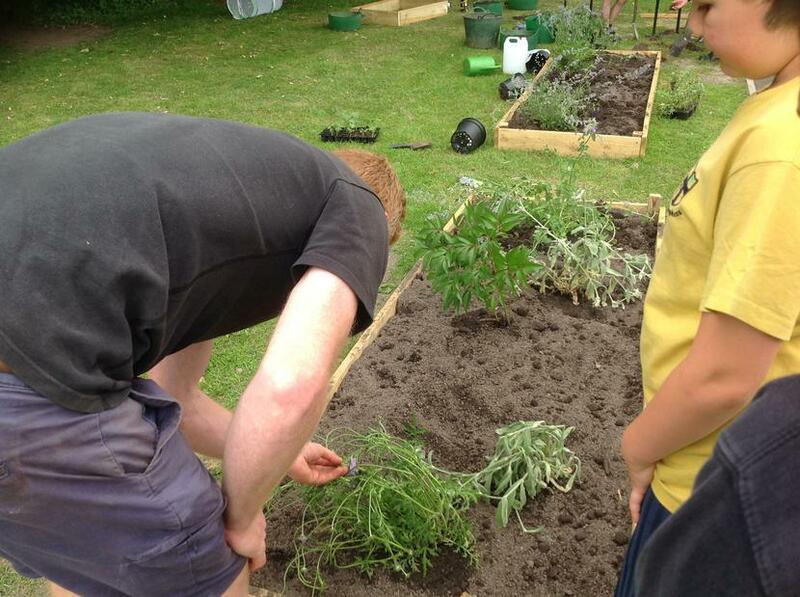 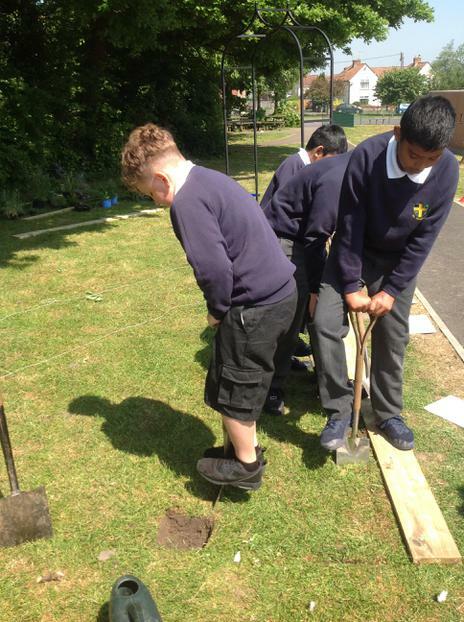 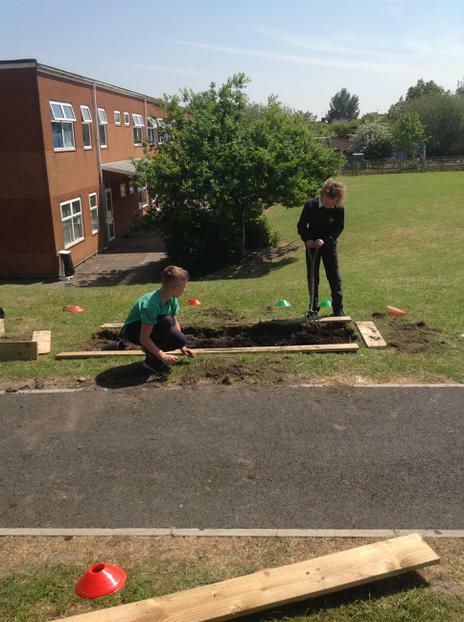 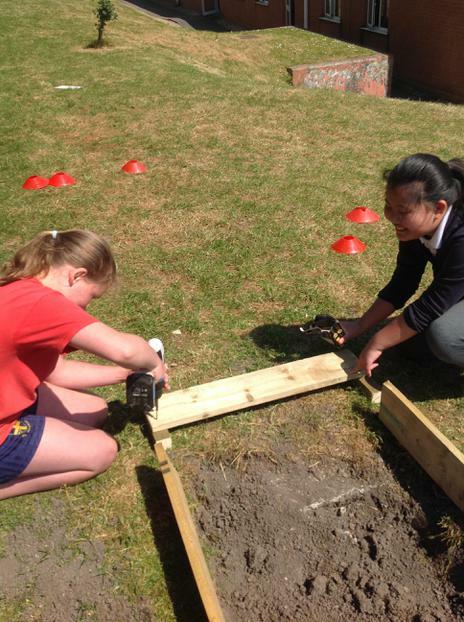 In order to increase the number of pollinating insects, we have been busy building flower beds to attract a wider variety of creatures. 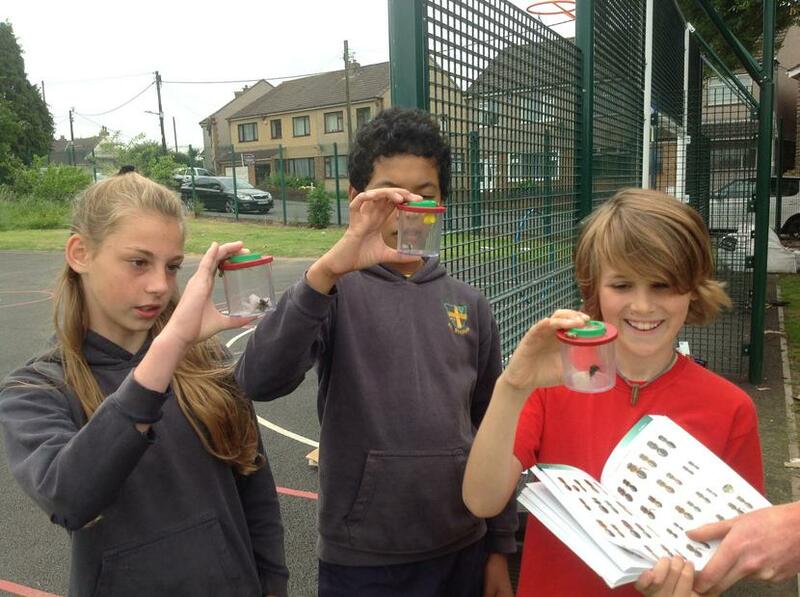 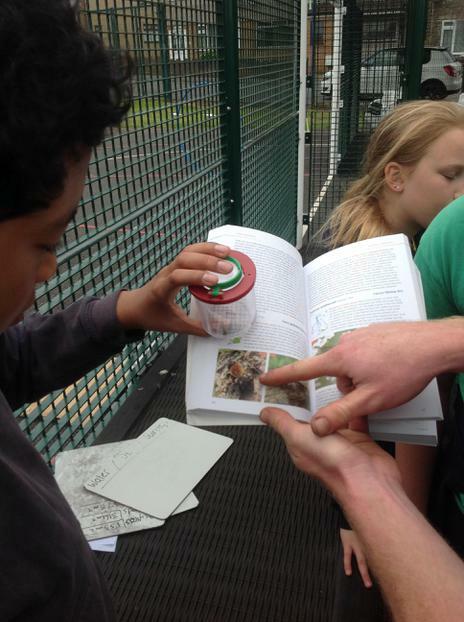 We now have a better understanding of pollinators and how important they are! 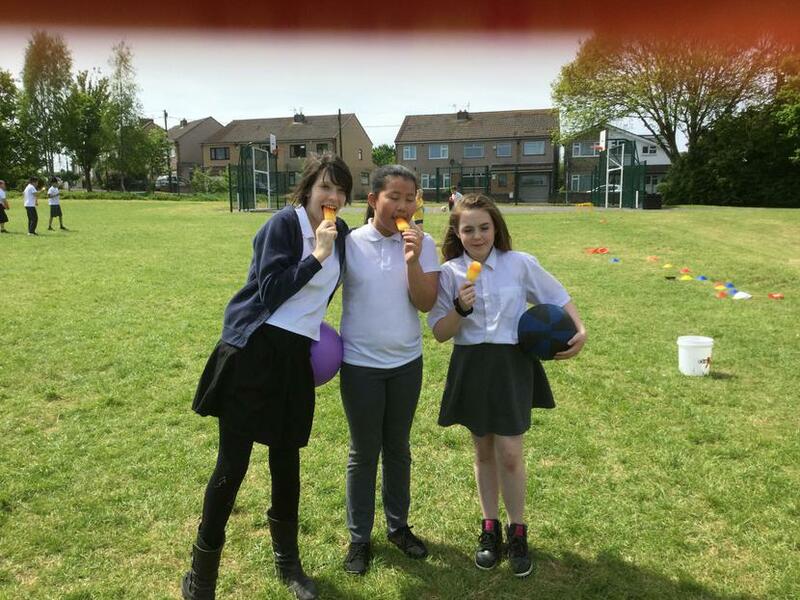 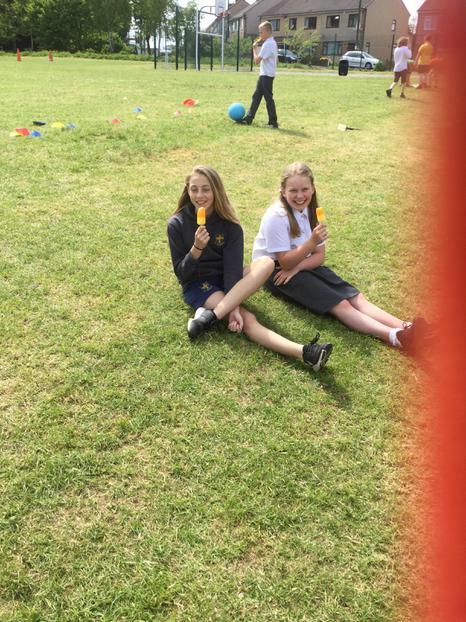 Today 6AO competed in this term's house event. 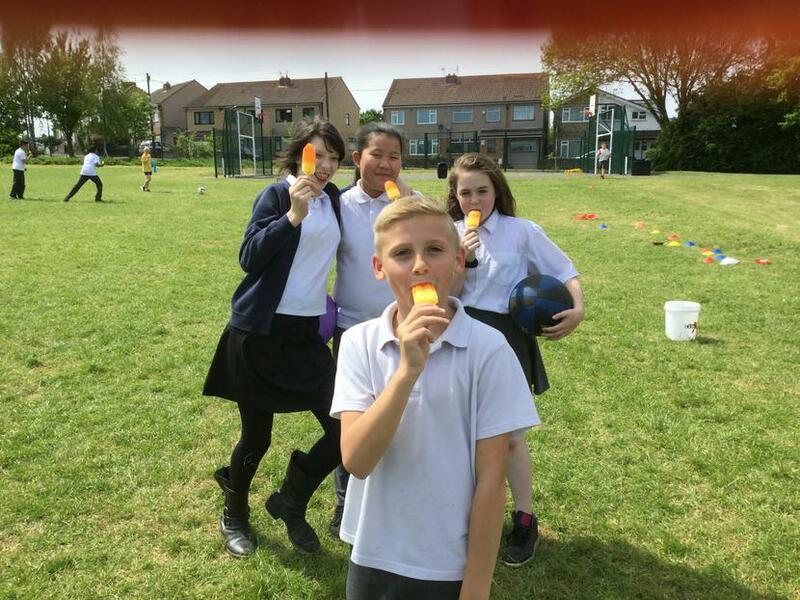 We all worked as a team and had lots of fun! 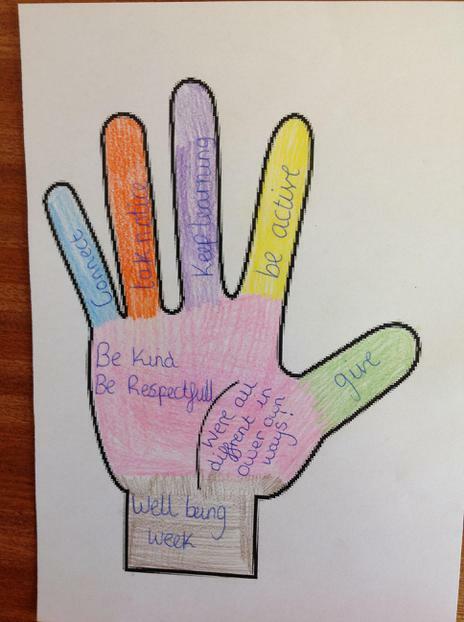 This term our value is Honesty. 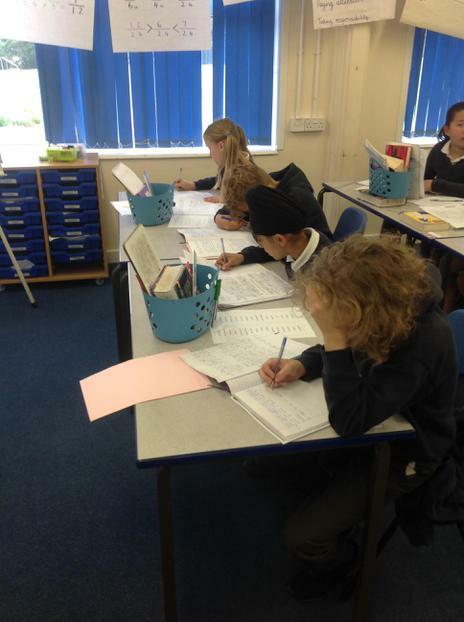 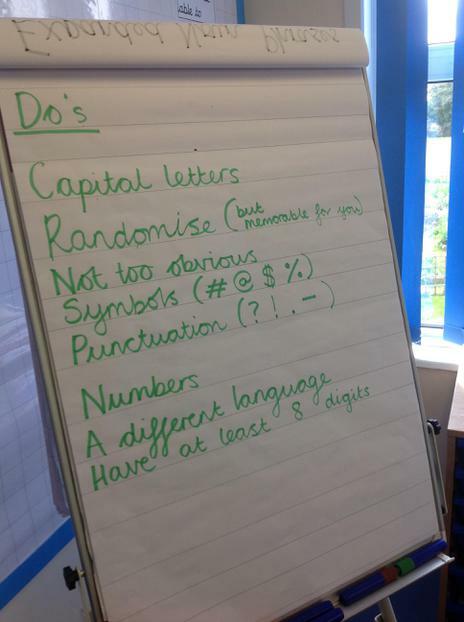 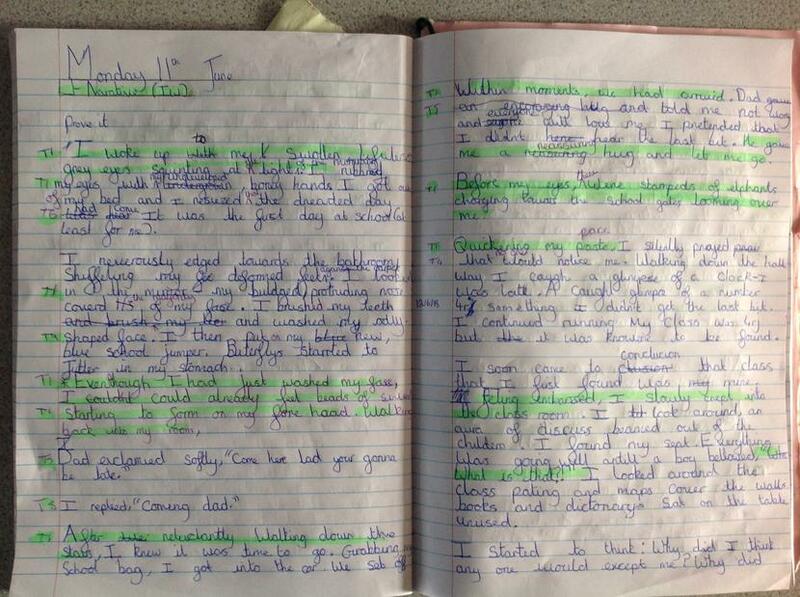 This term we are preparing for our SATs by revising. 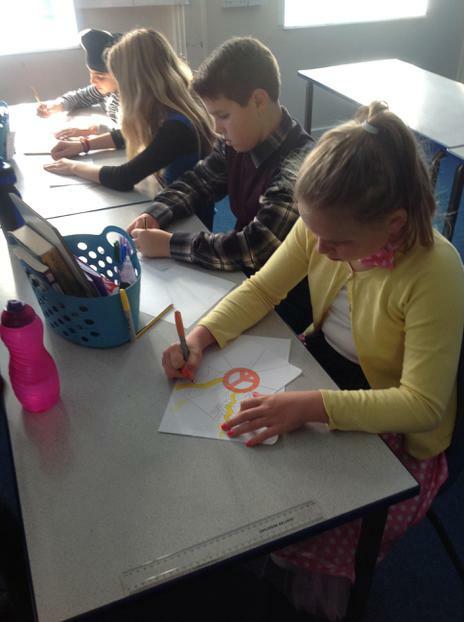 Today we created a mind-map about our knowledge of angles. 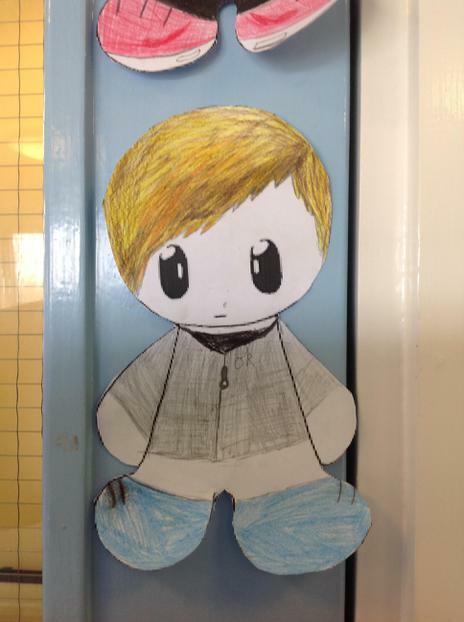 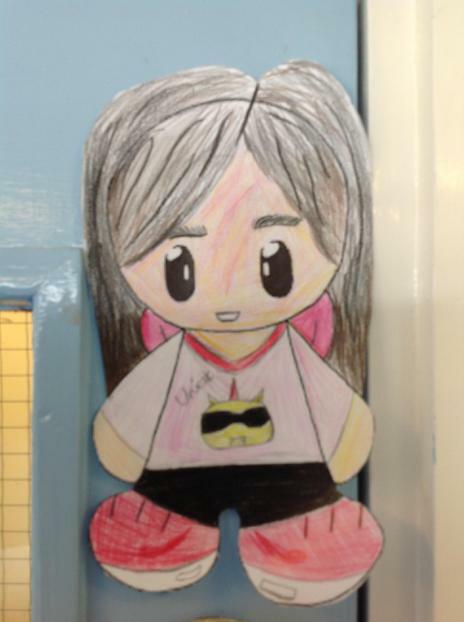 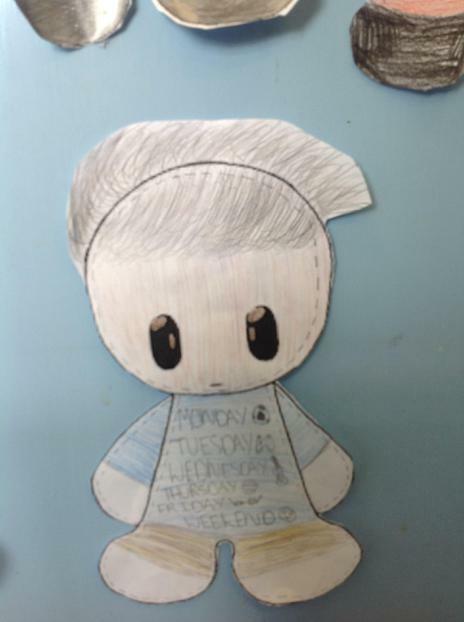 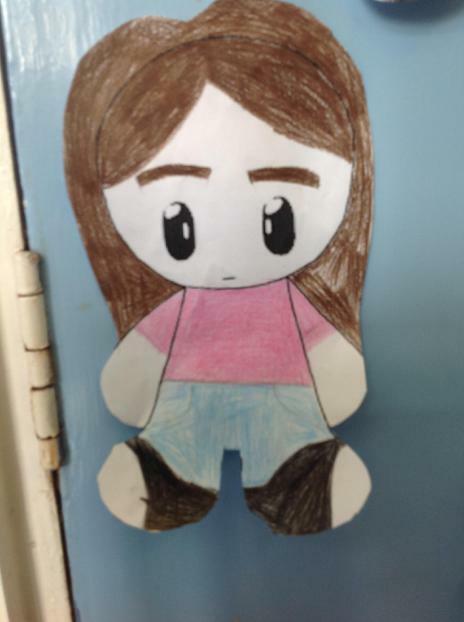 In order to hook us into the short film Alma, Miss O'Callaghan tricked us into signing a class contract and then asked us to create ourselves as small dolls. 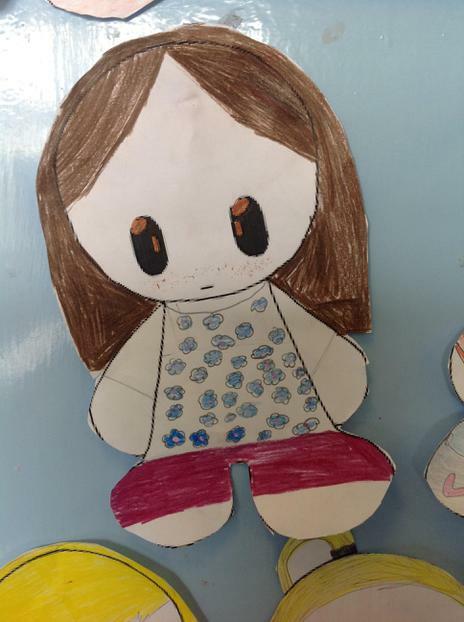 Little did we know, this would link to the mysterious and exciting tale of a little girl, Alma, who becomes trapped in a doll shop! 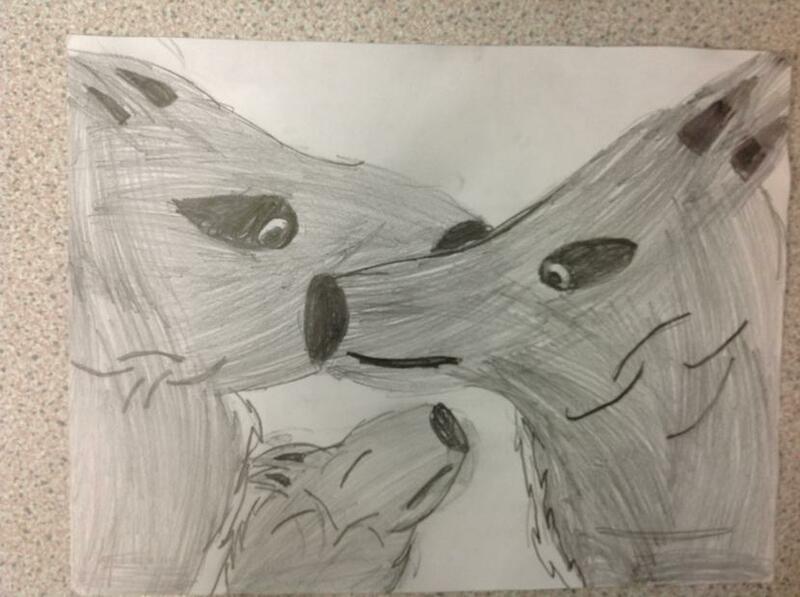 For the first couple of weeks of Term 4, we will be continuing our Wolf Brother enquiry so that we can get to grips with what it means to write a quest story and to then create our own! 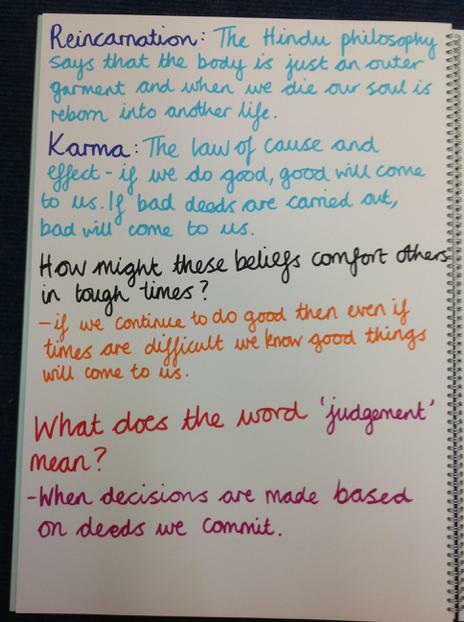 This term, we have been thinking about how religions can comfort us in times of difficulty. 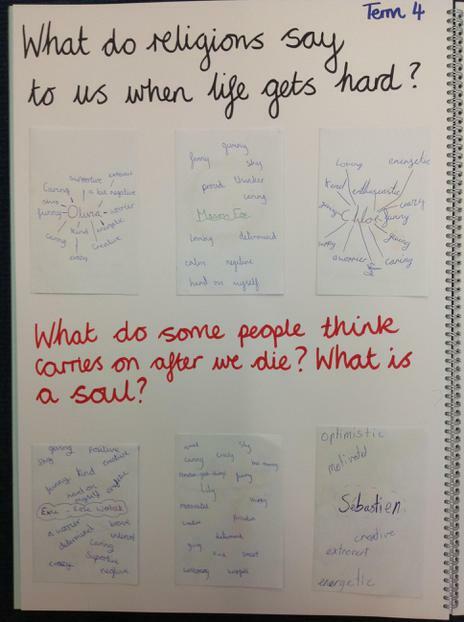 At first, we discussed what we all thought the soul was. 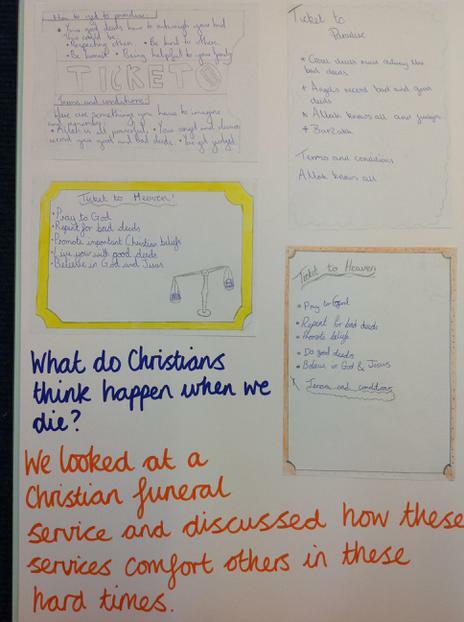 We found it interesting to learn about the similarities and differences between Christian, Islam and Hinduism in terms of what happens after death. 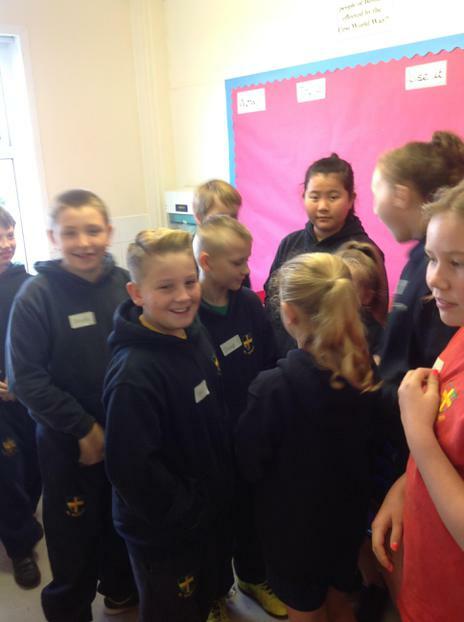 We agreed that our lives should be led by doing good deeds and making amends for our mistakes. 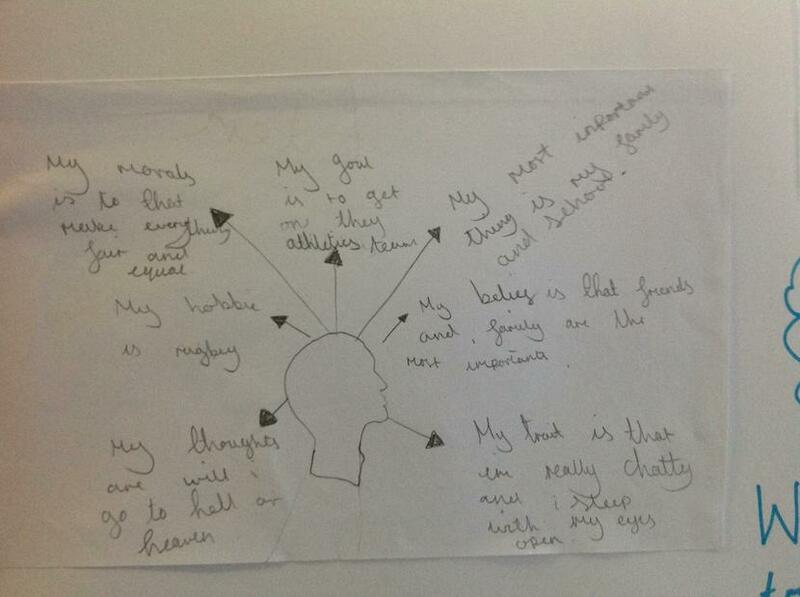 We designed tickets into Heaven and considered what 'Terms and Conditions' would need to be included. 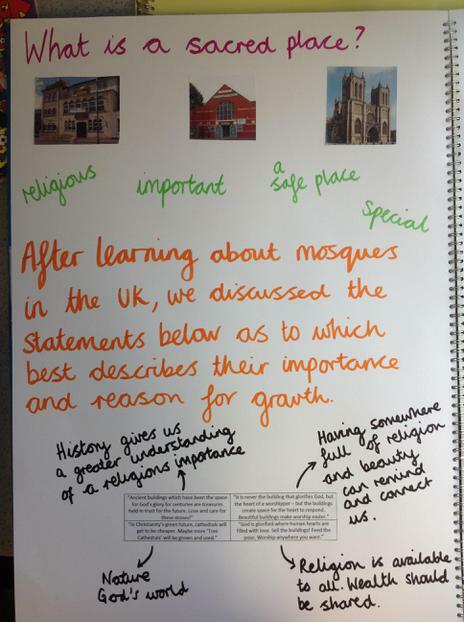 Finally, we wrote non-chronological reports about how religions can help people through tough times and created mind-maps to explain the differences between each religion. 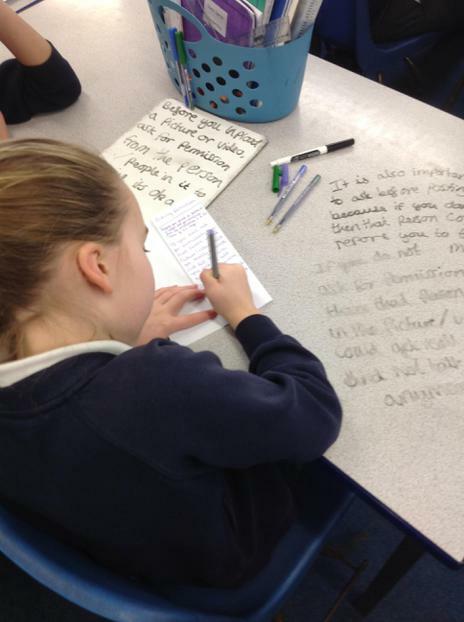 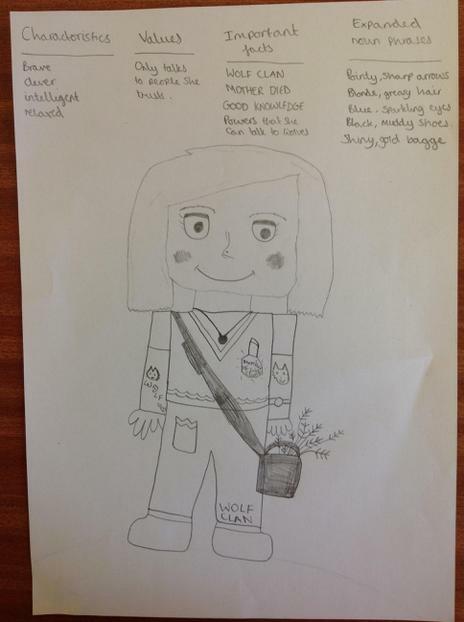 To finish this term's topic, we wrote our own quest stories using the narrative pattern from Wolf Brother. 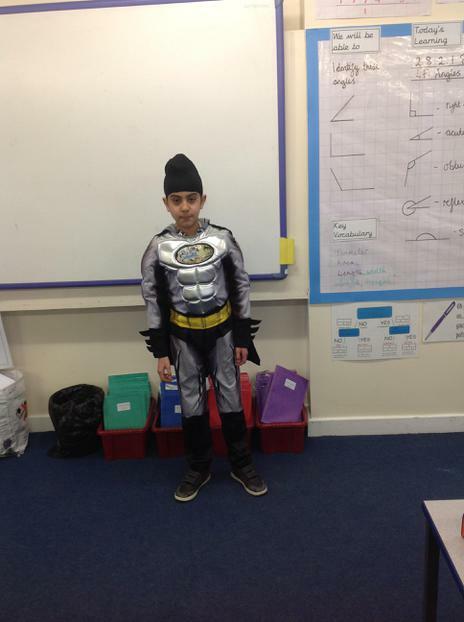 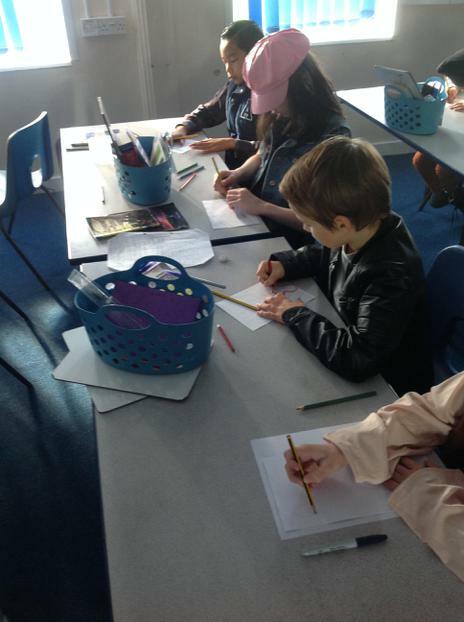 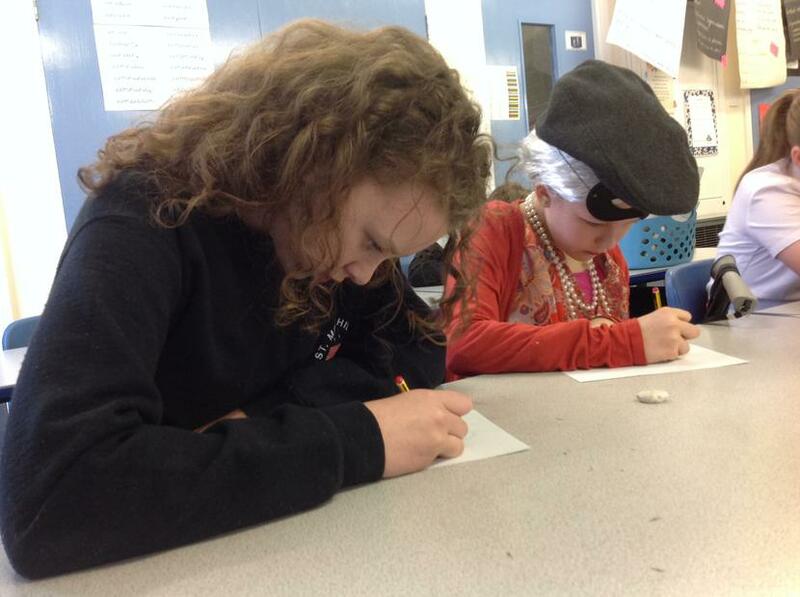 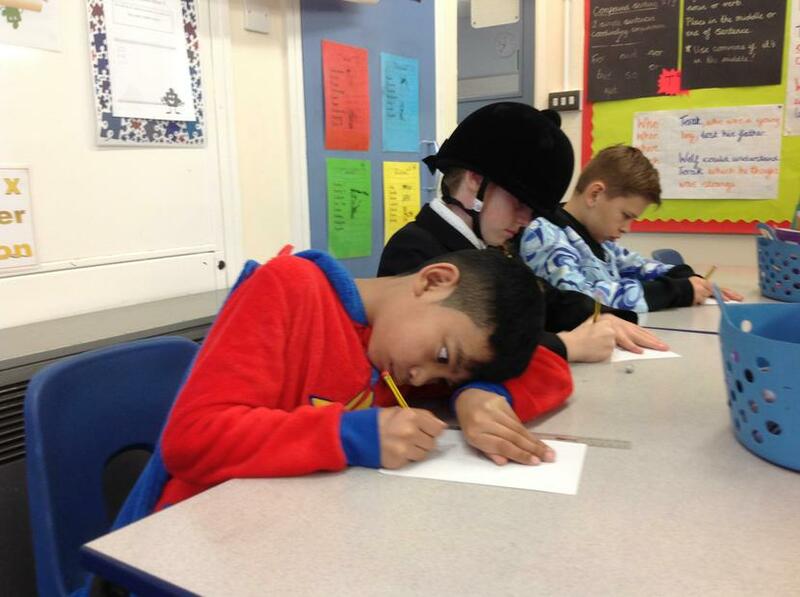 We really enjoyed creating our own characters and planning the challenges our heroes would overcome. 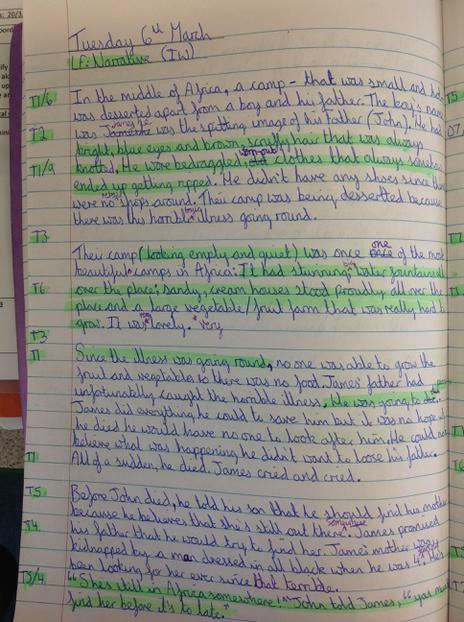 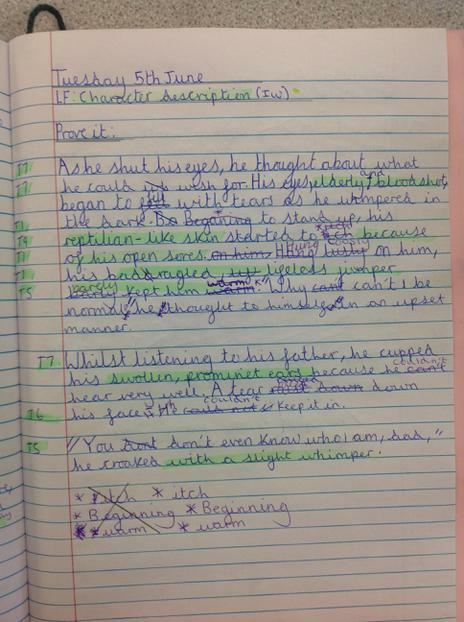 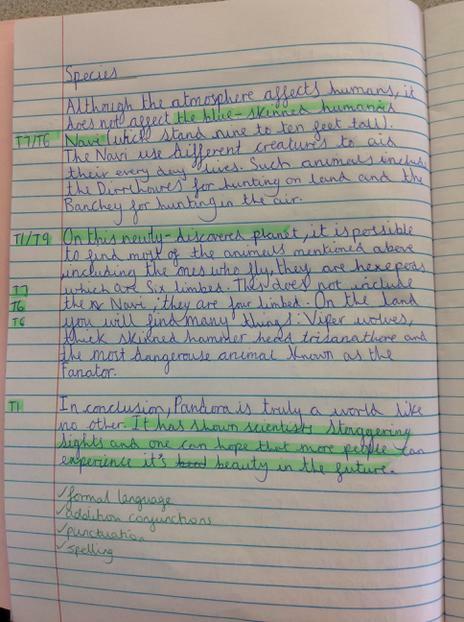 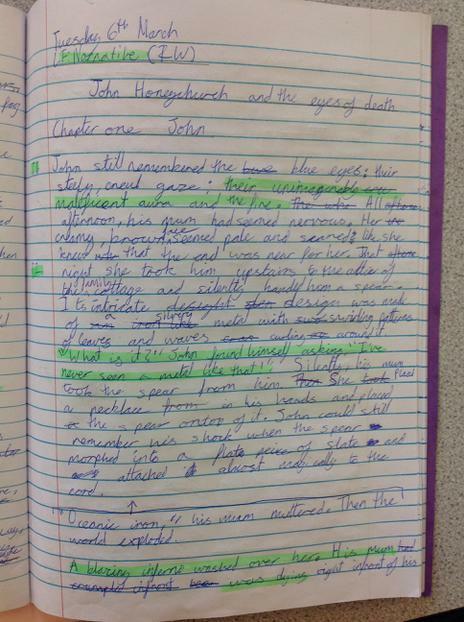 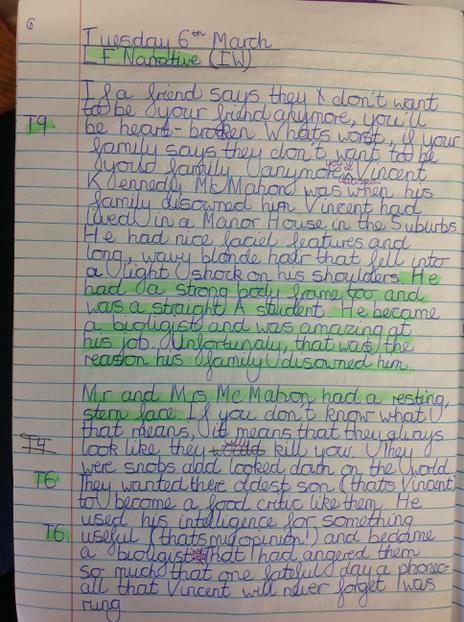 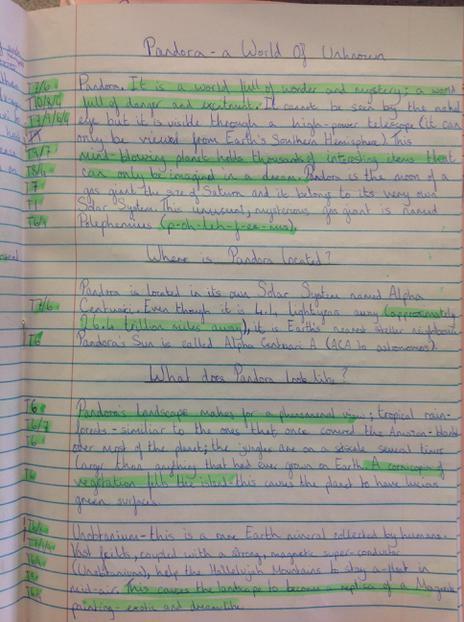 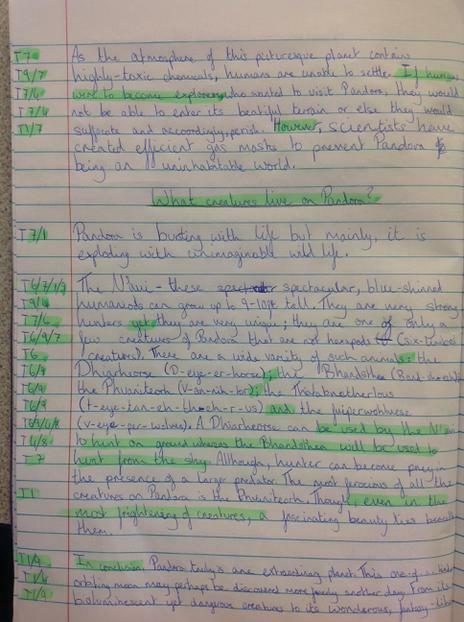 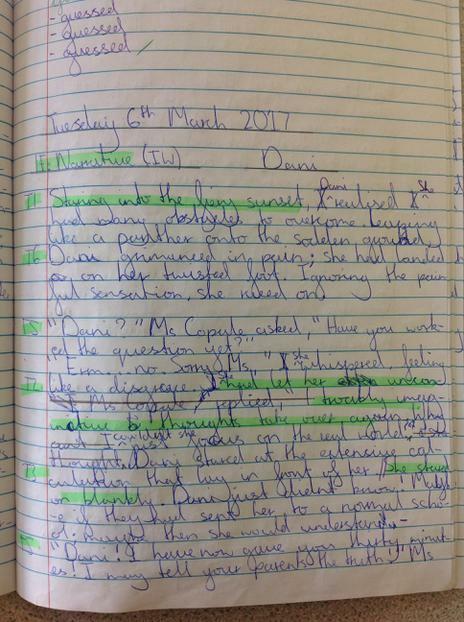 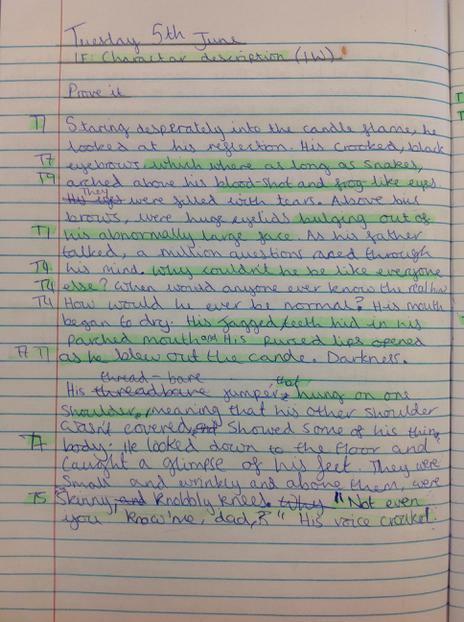 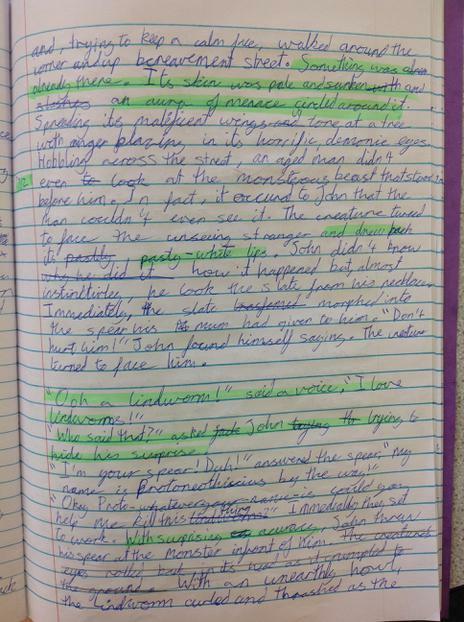 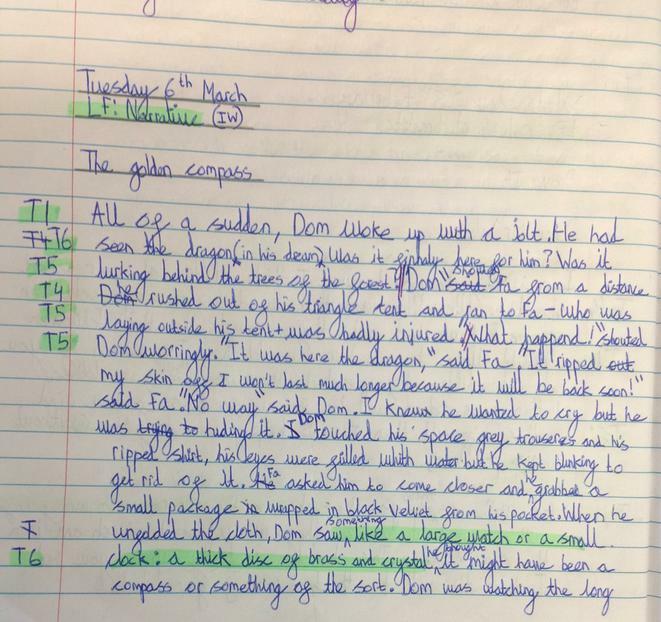 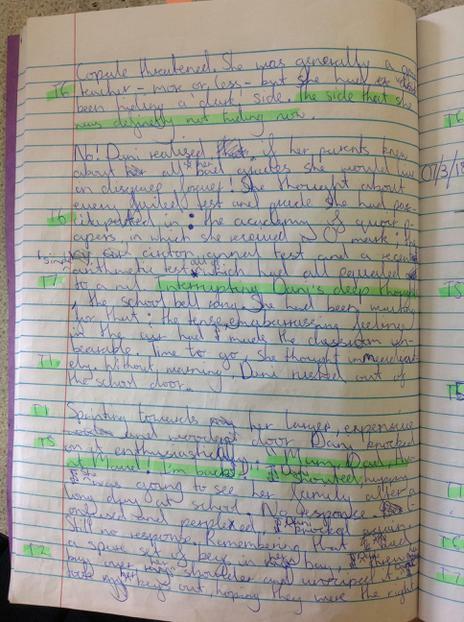 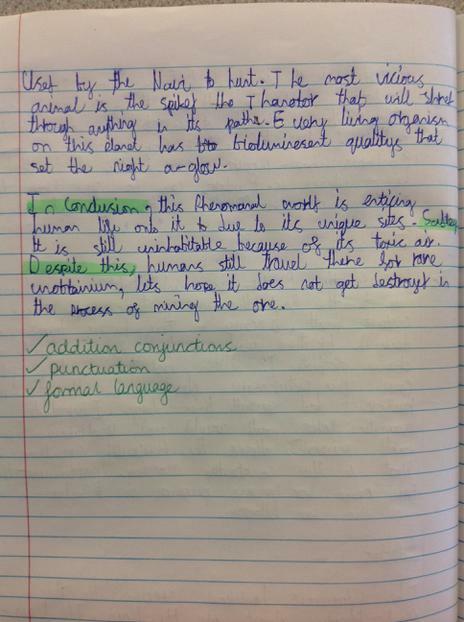 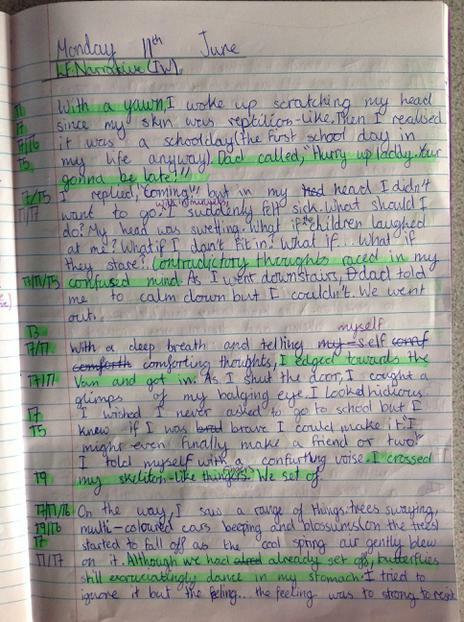 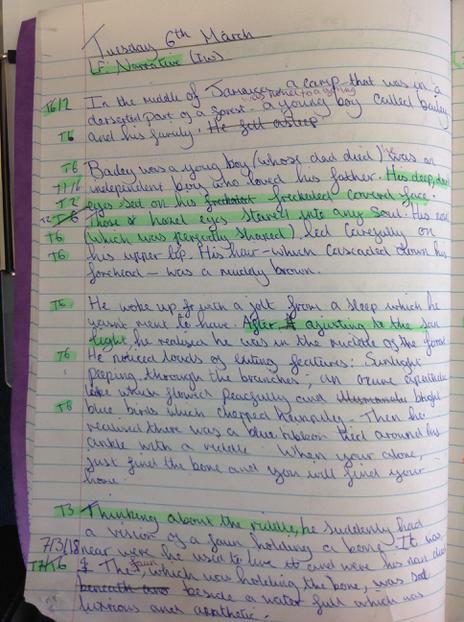 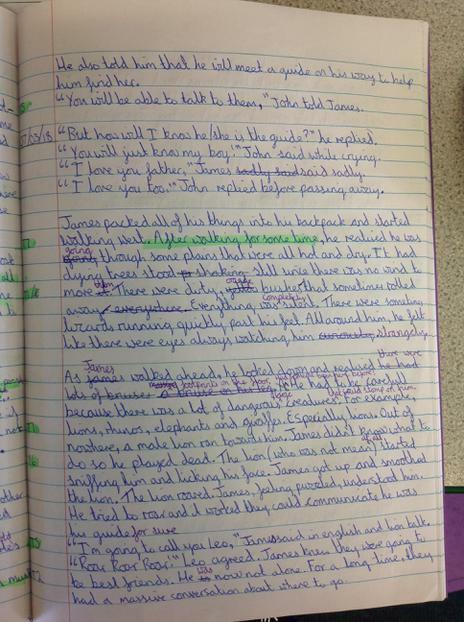 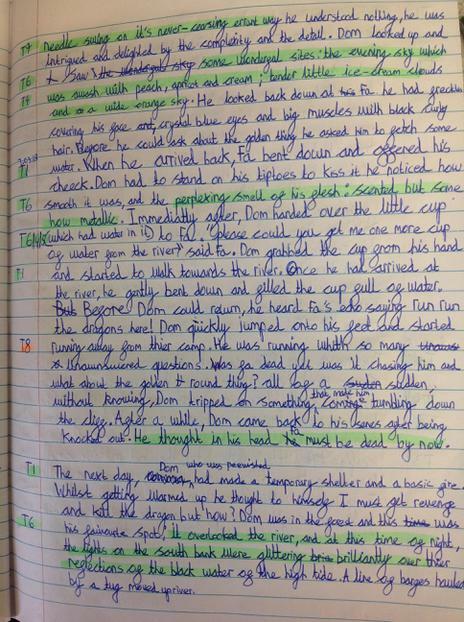 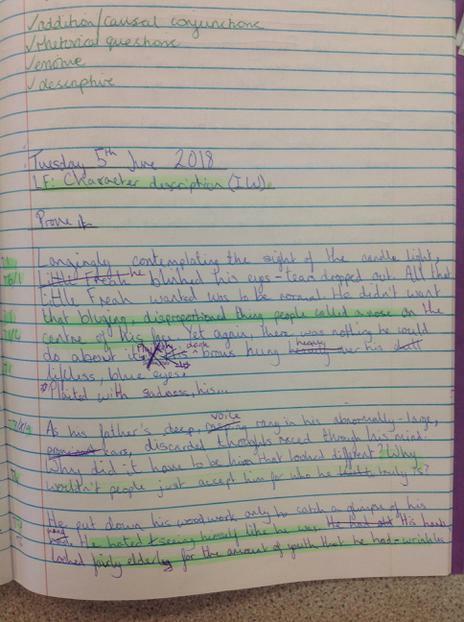 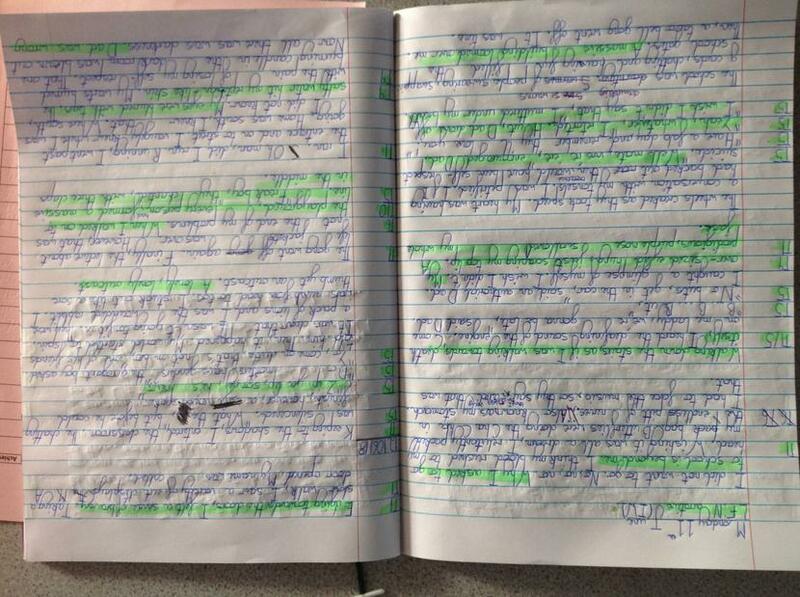 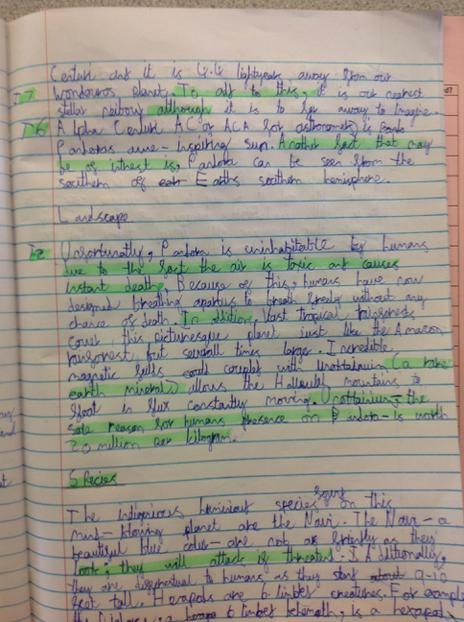 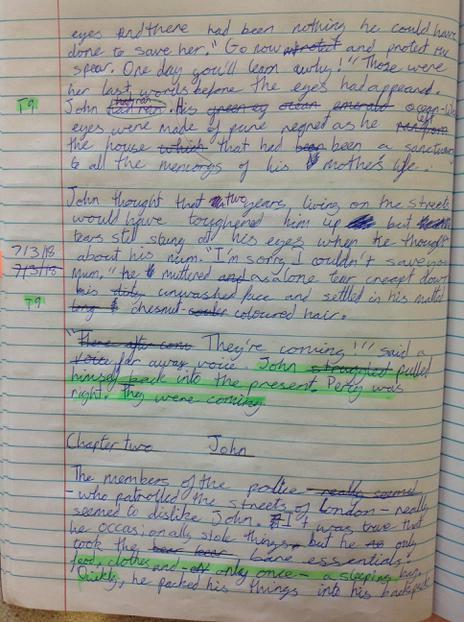 As you can see from reading our extracts below, we have also become much more confident to edit and improve our own work using our purple pens. 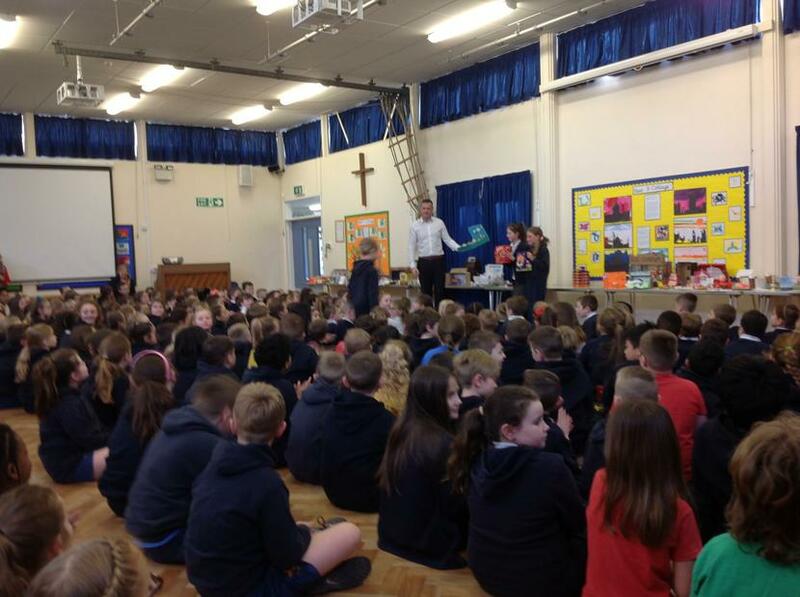 This morning we celebrated the winners and all those who contributed to our 2018 decorate-an-egg challenge. 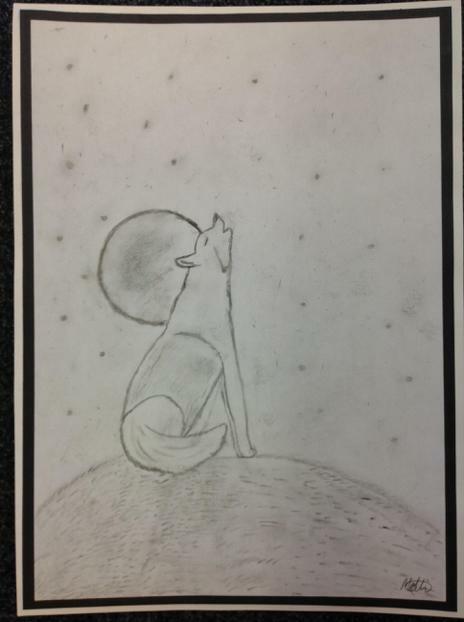 We were amazed at the variety and creativity of all the submissions. 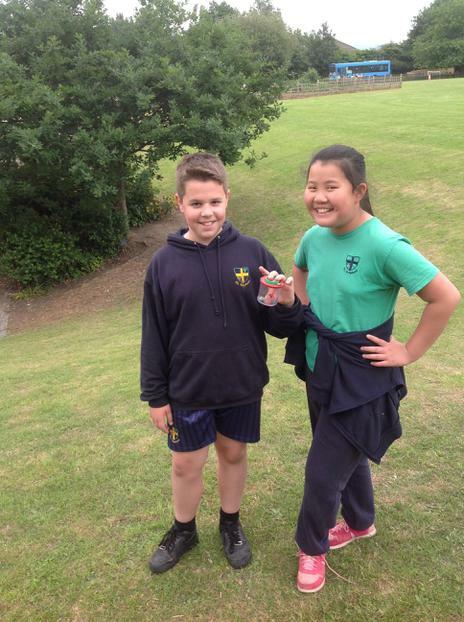 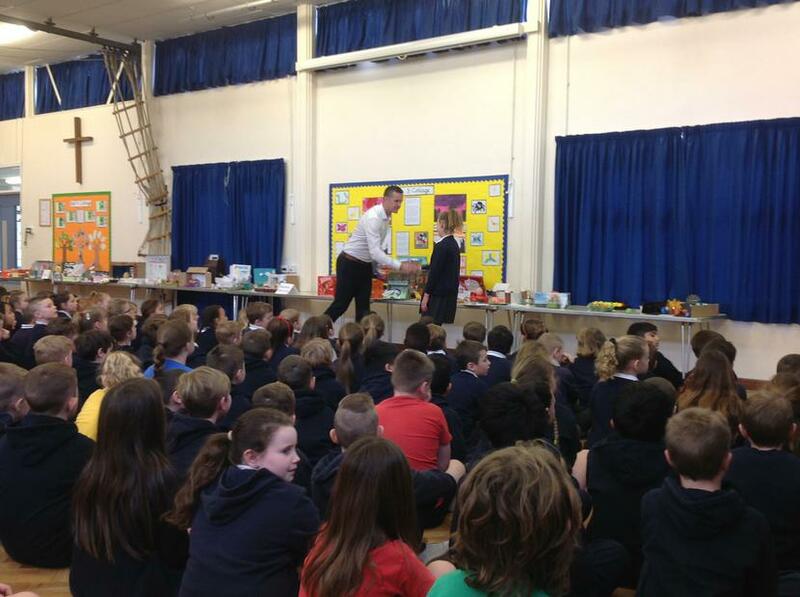 Congratulations to the winners in 6AO - Evie and Callum! 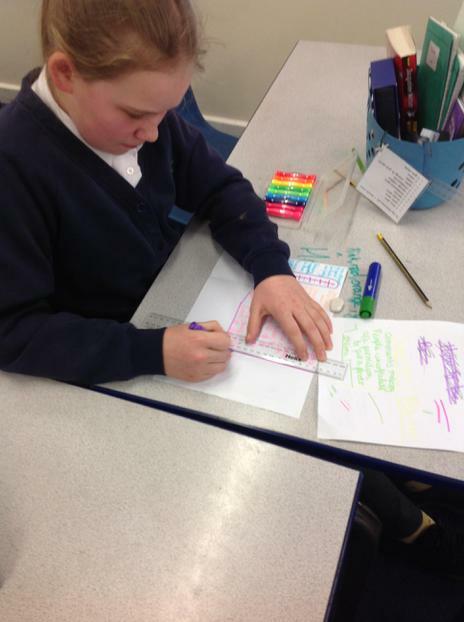 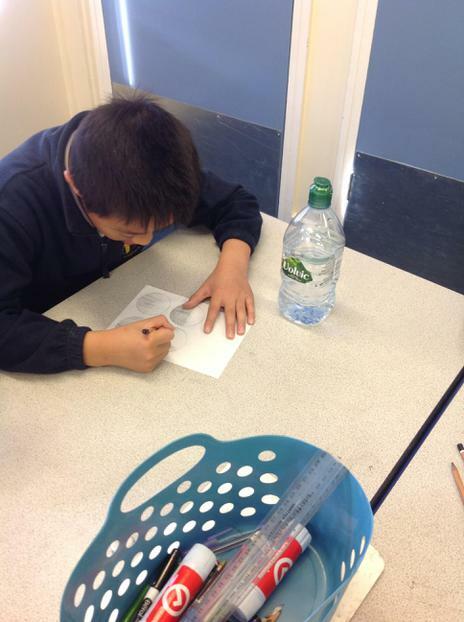 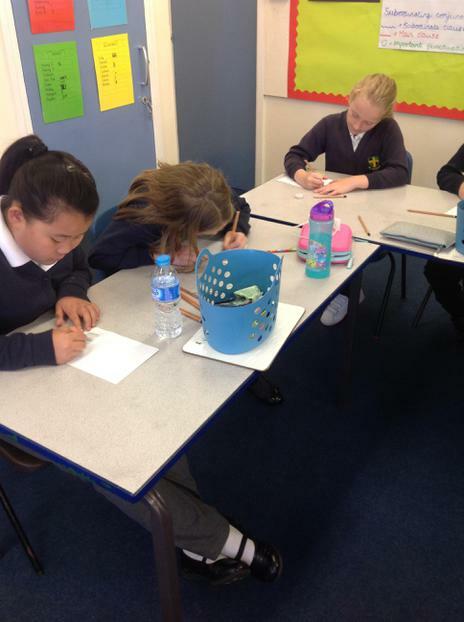 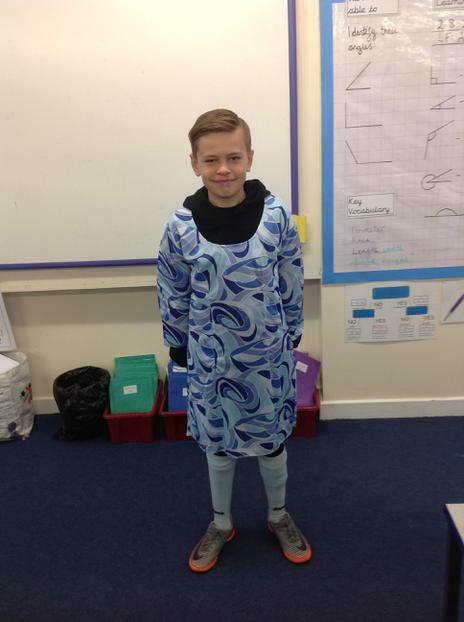 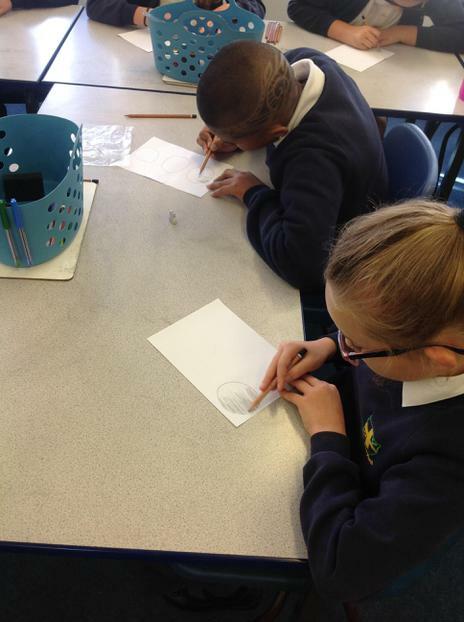 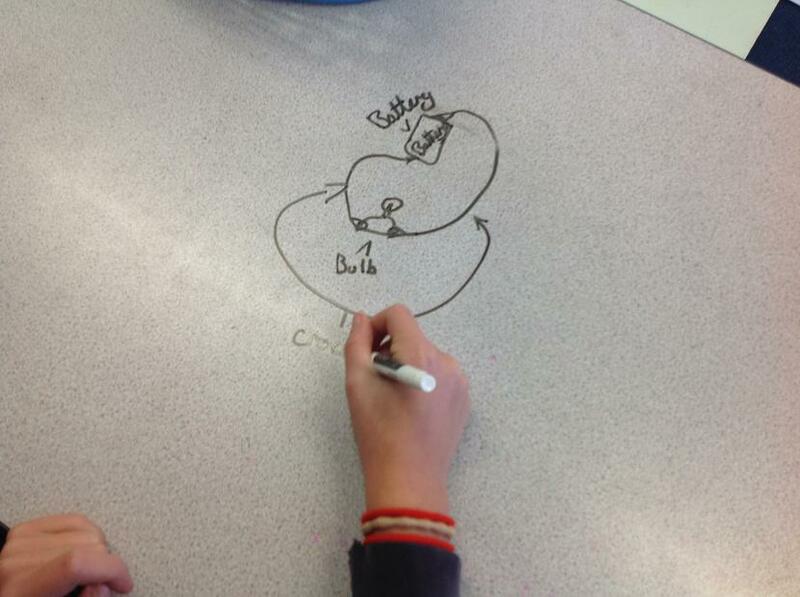 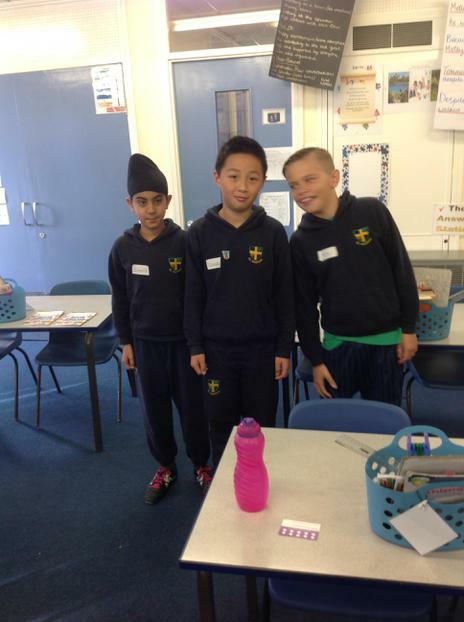 Today, Year 6 really enjoyed learning about reflection. 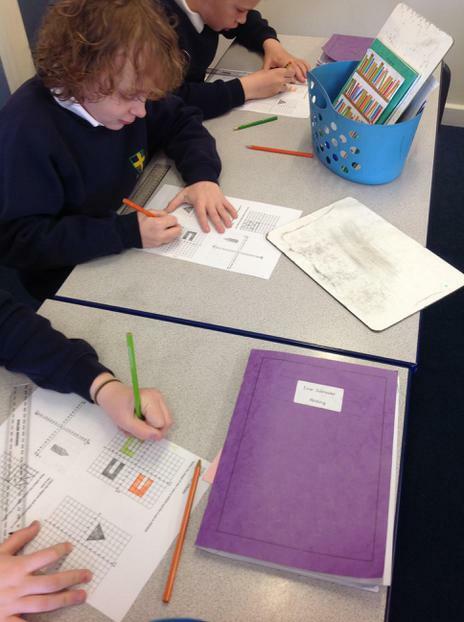 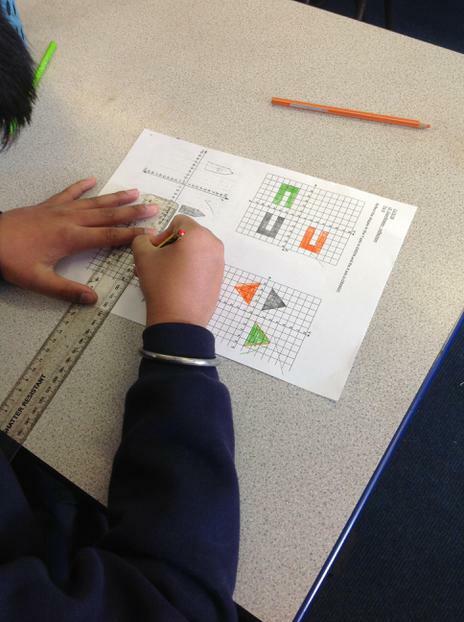 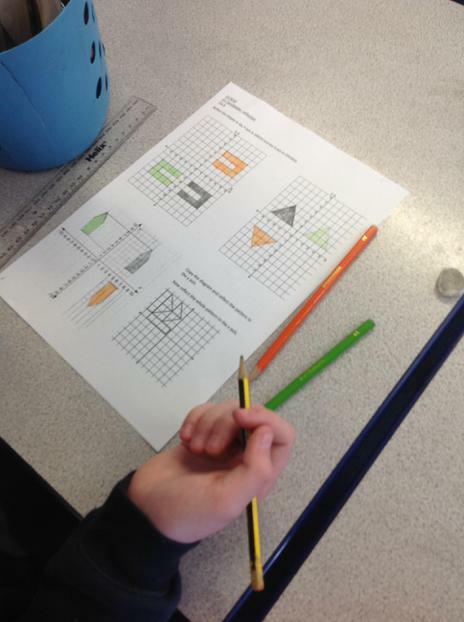 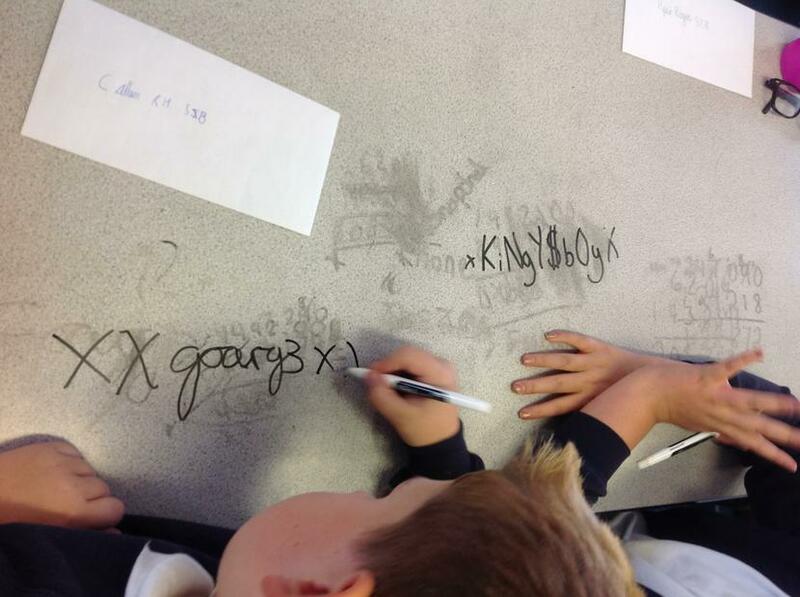 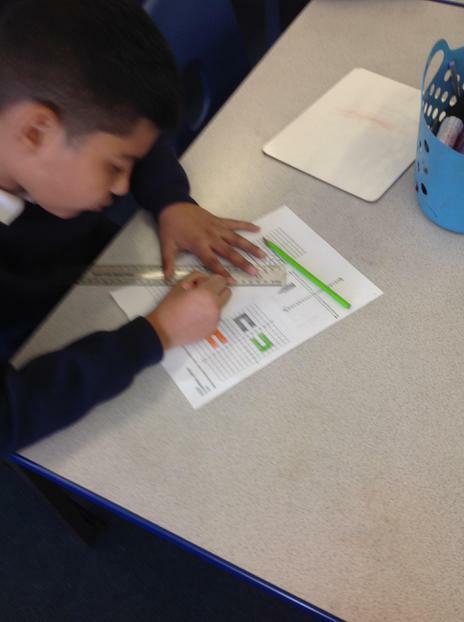 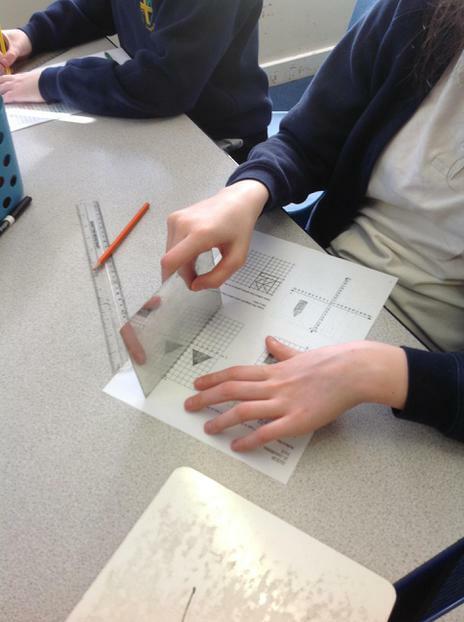 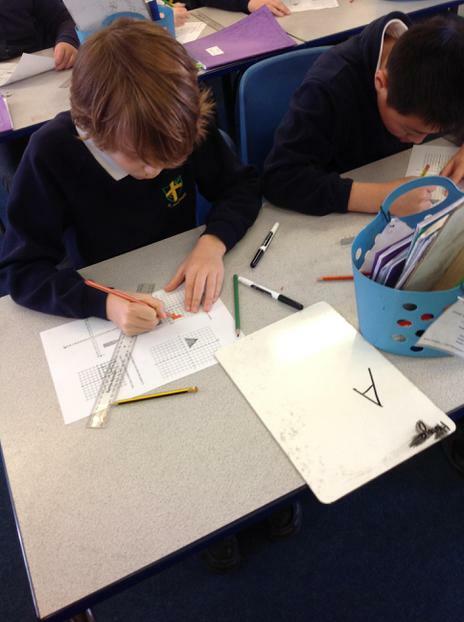 We have now mastered coordinates and are confident reflecting all kinds of shapes across both our X and Y axis! 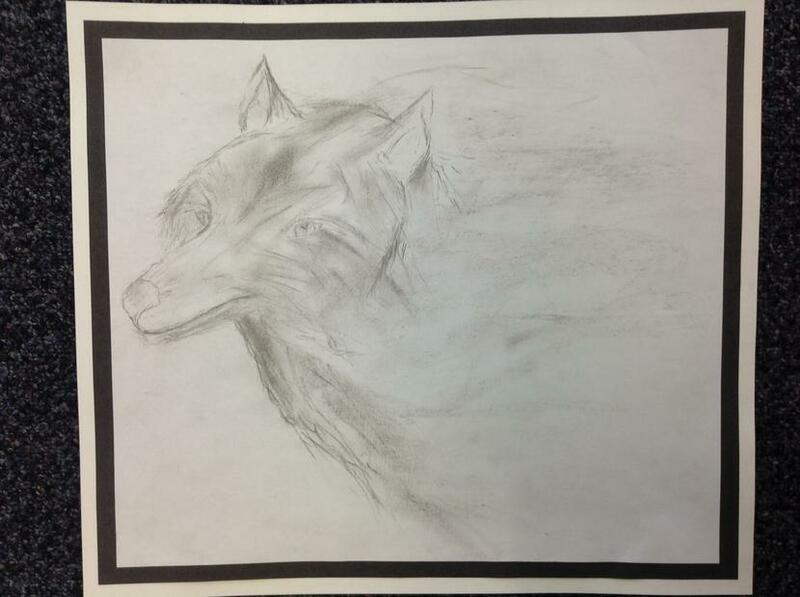 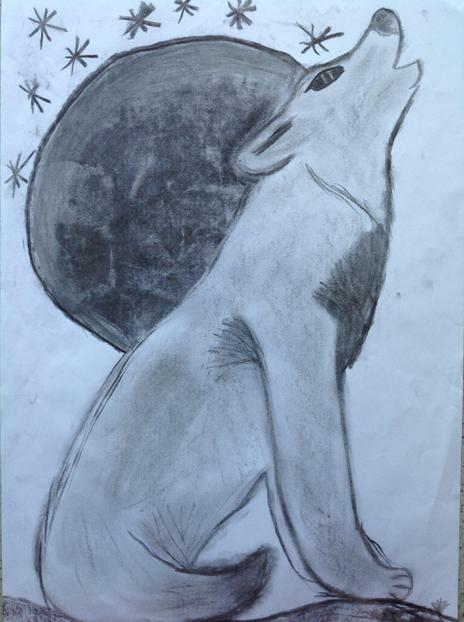 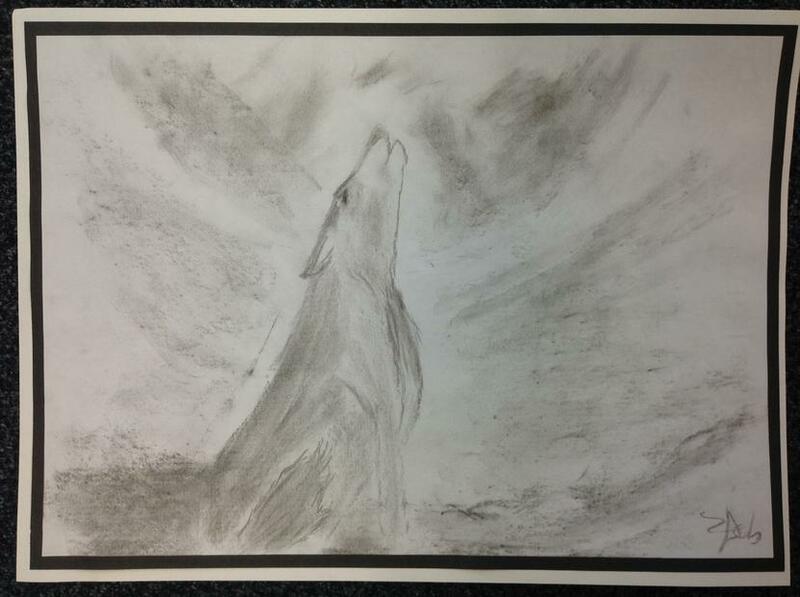 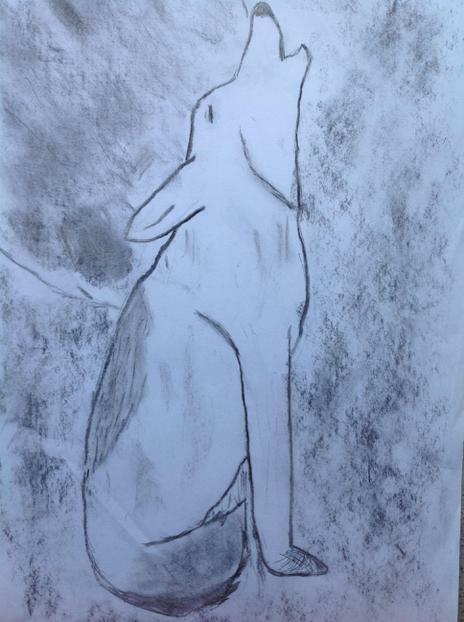 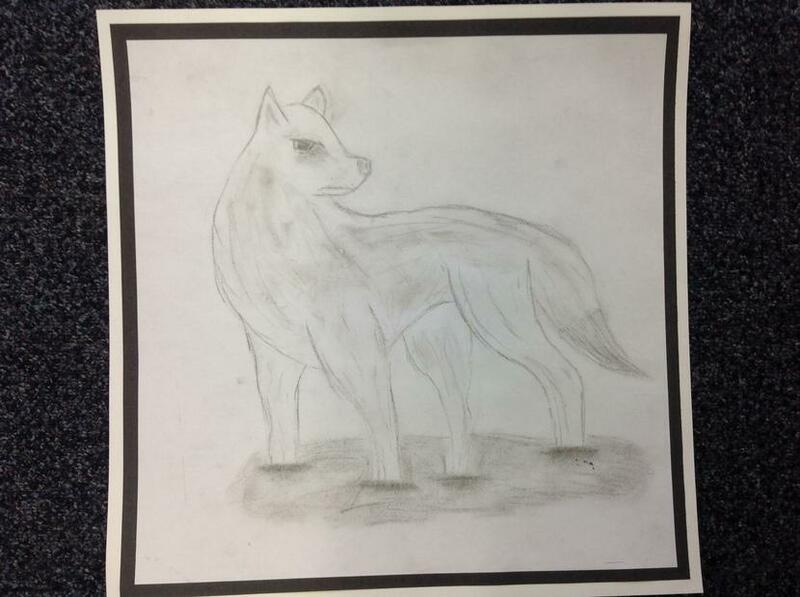 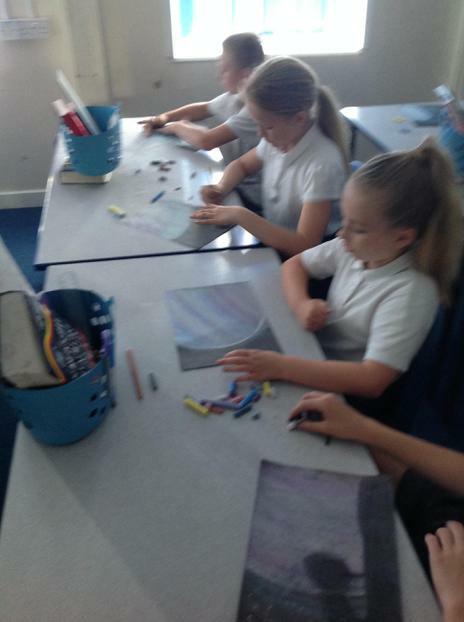 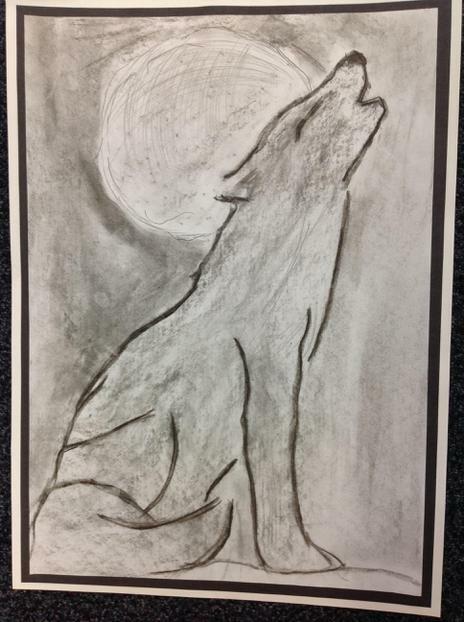 To create our wolf images this term, we used the medium of charcoal. 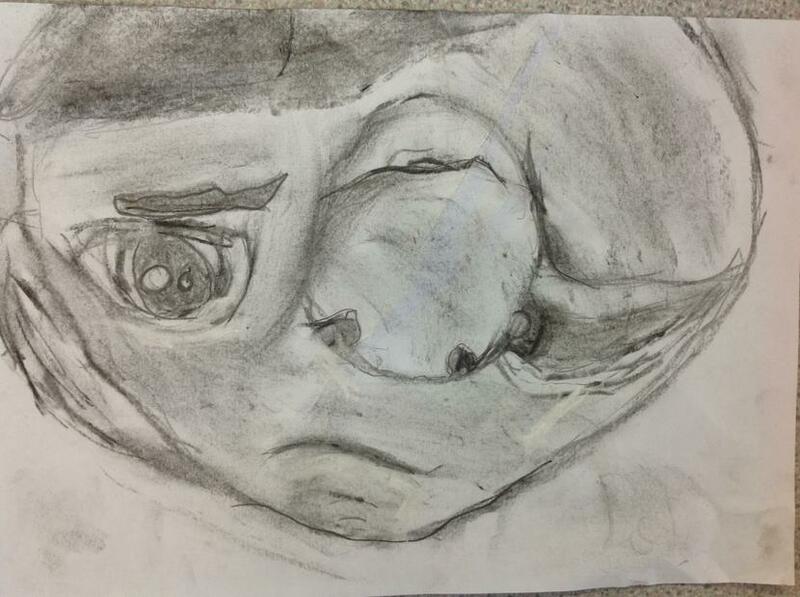 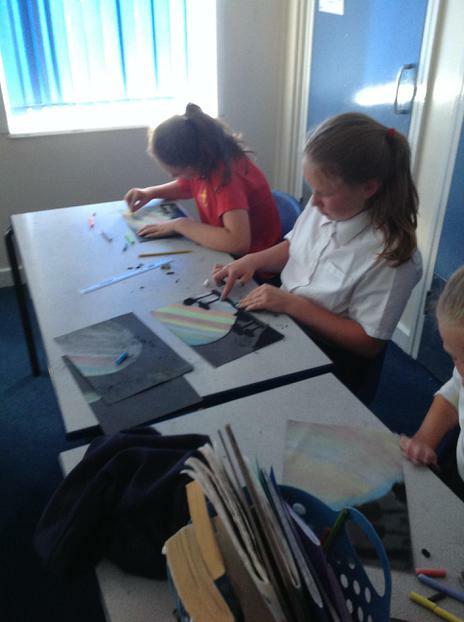 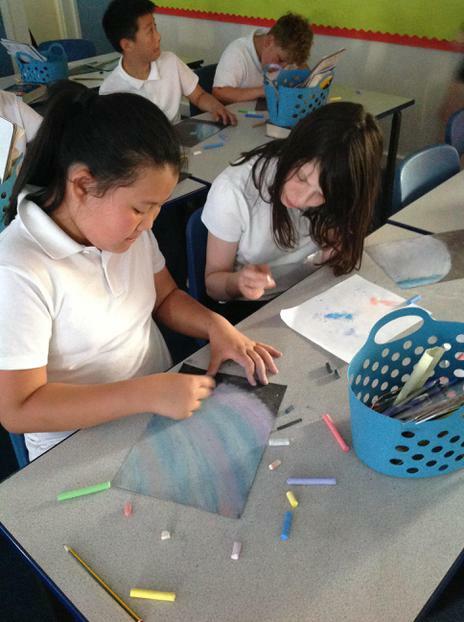 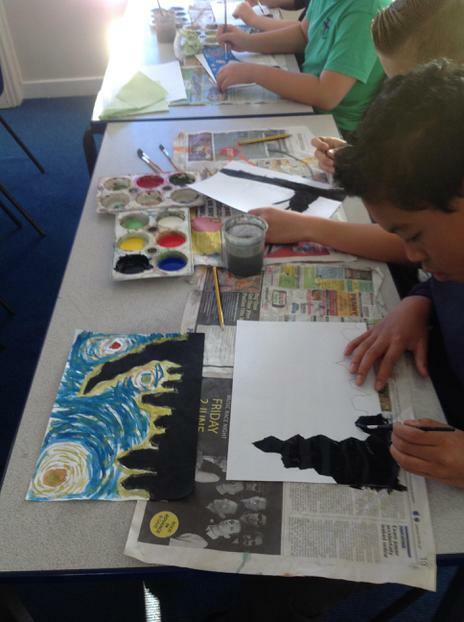 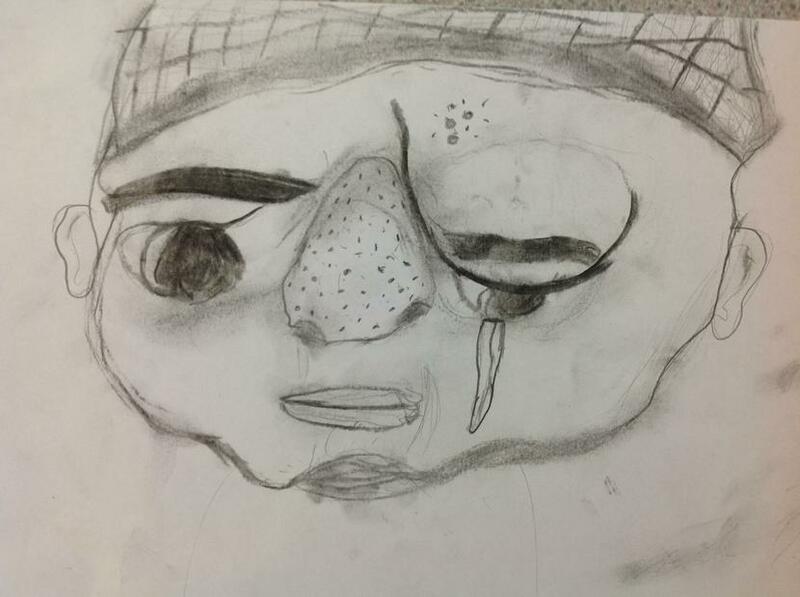 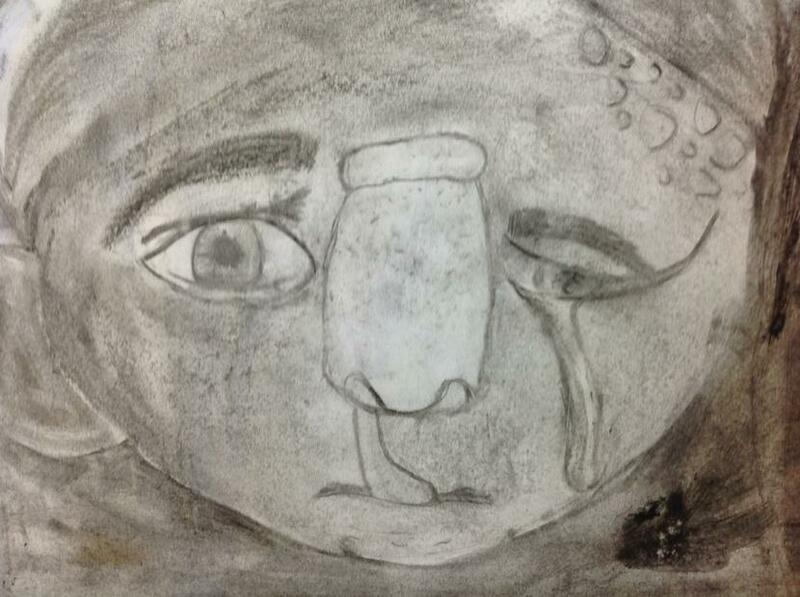 As you can see, we really began to experiment blending and shading with the charcoal to create great pieces of art. 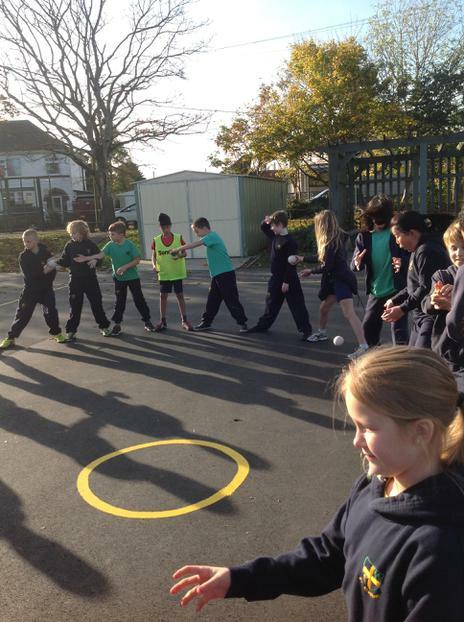 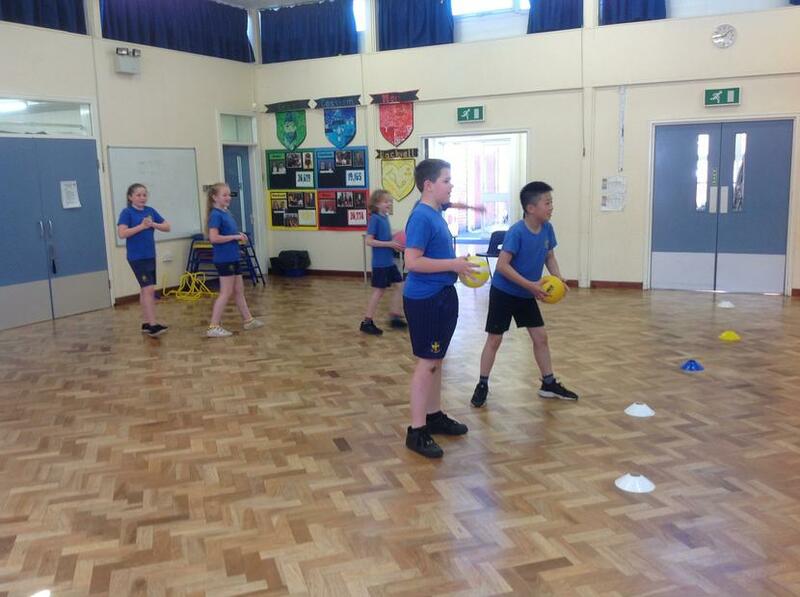 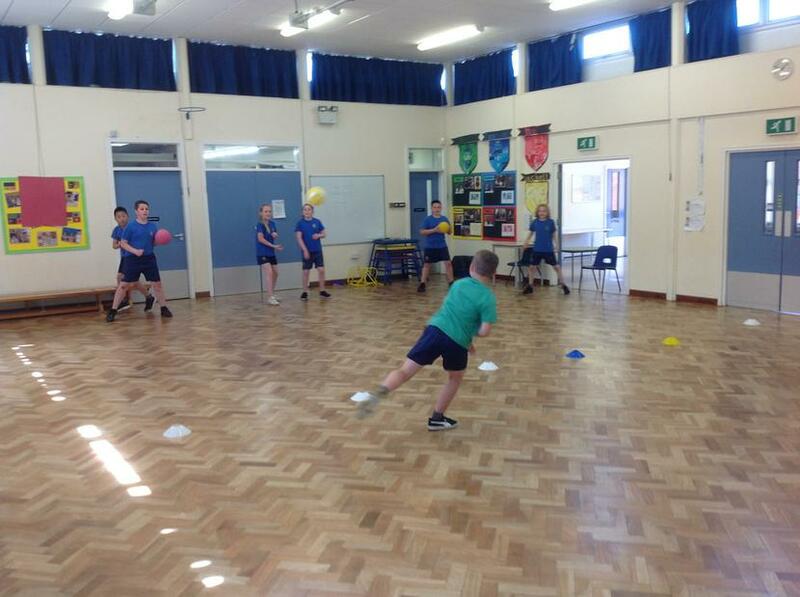 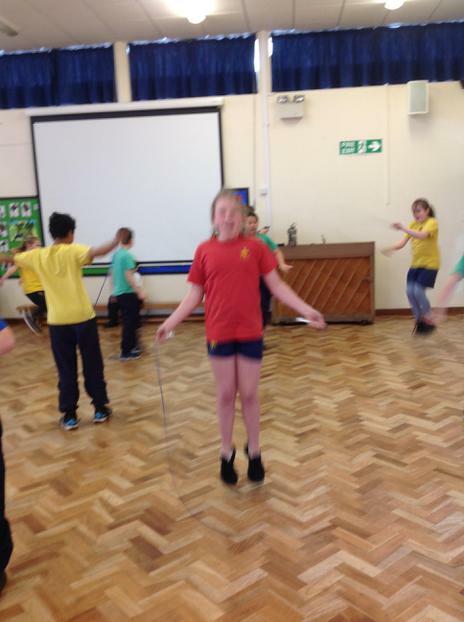 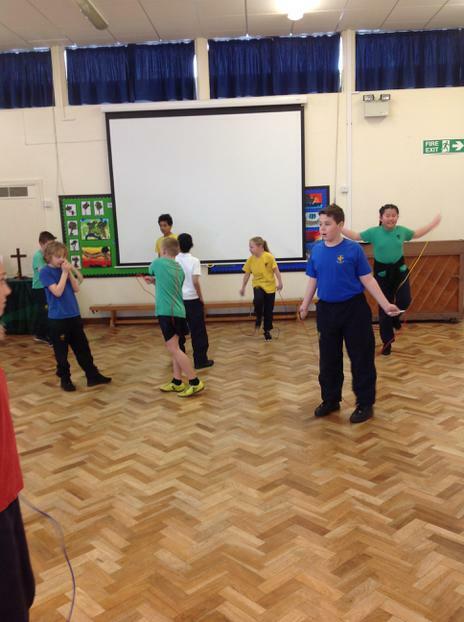 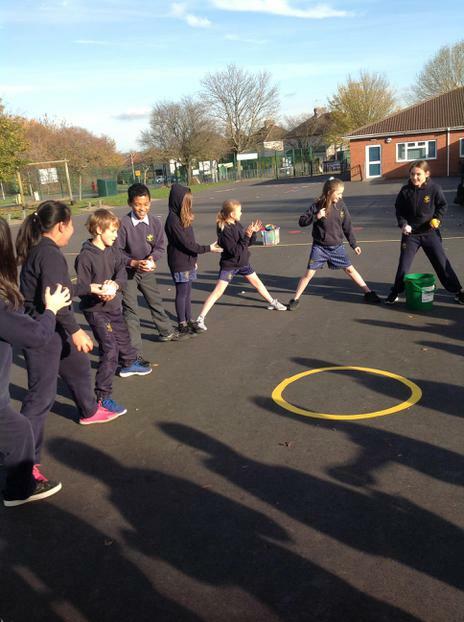 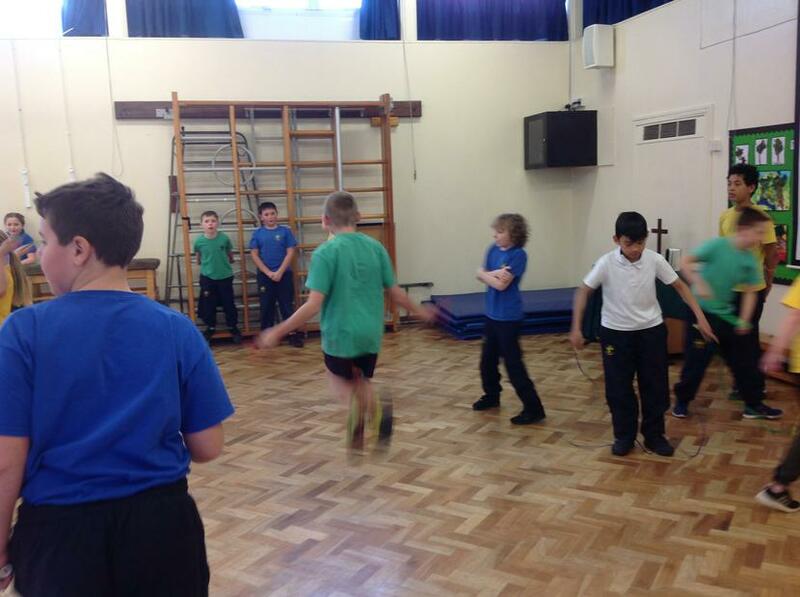 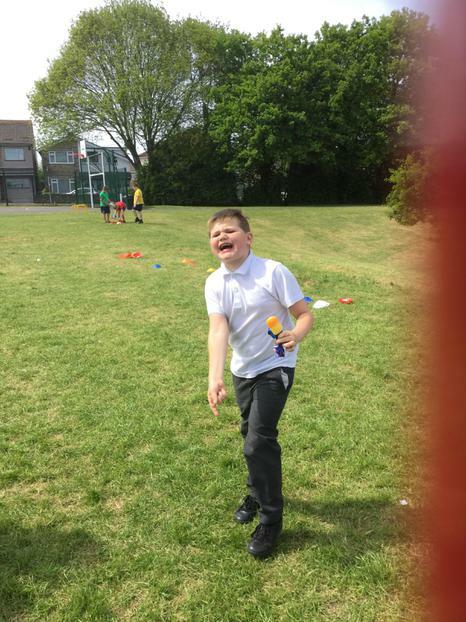 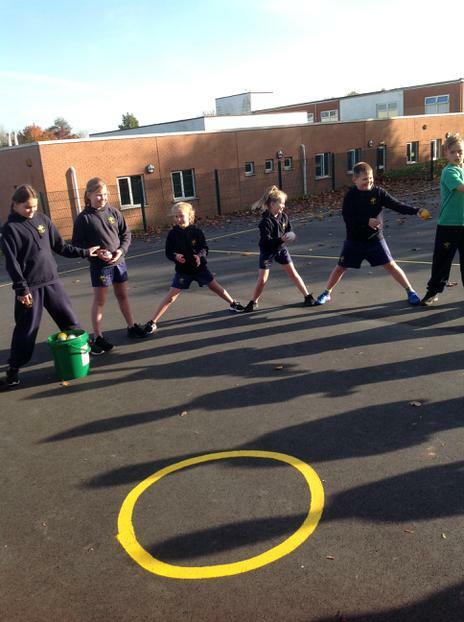 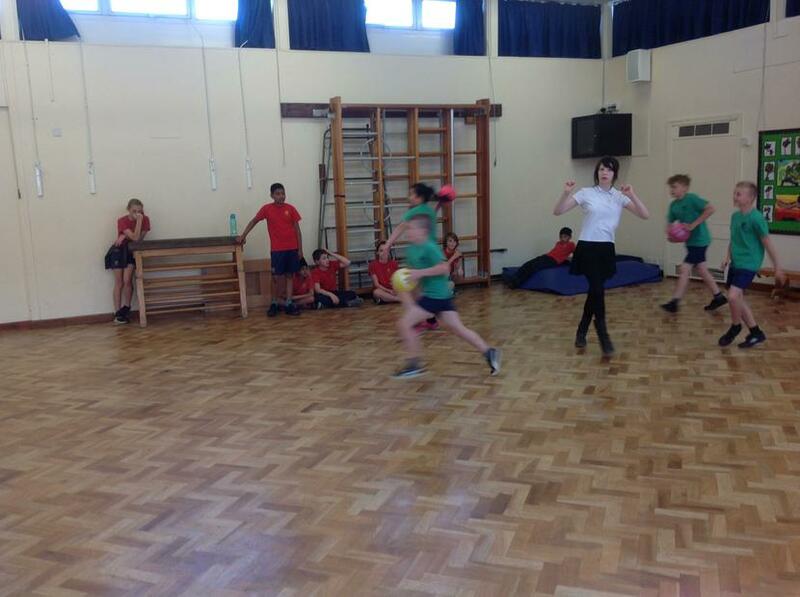 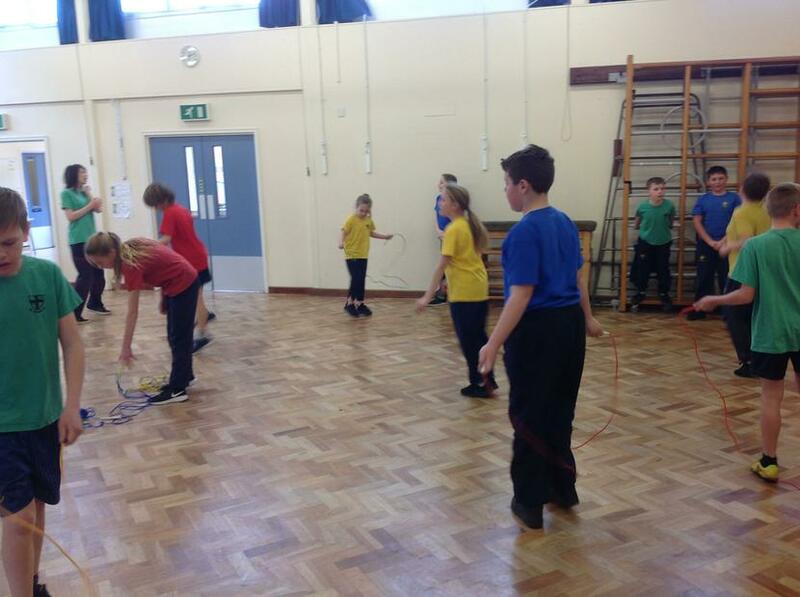 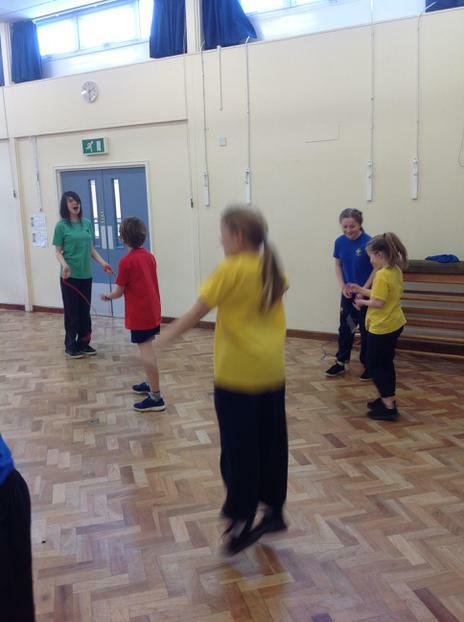 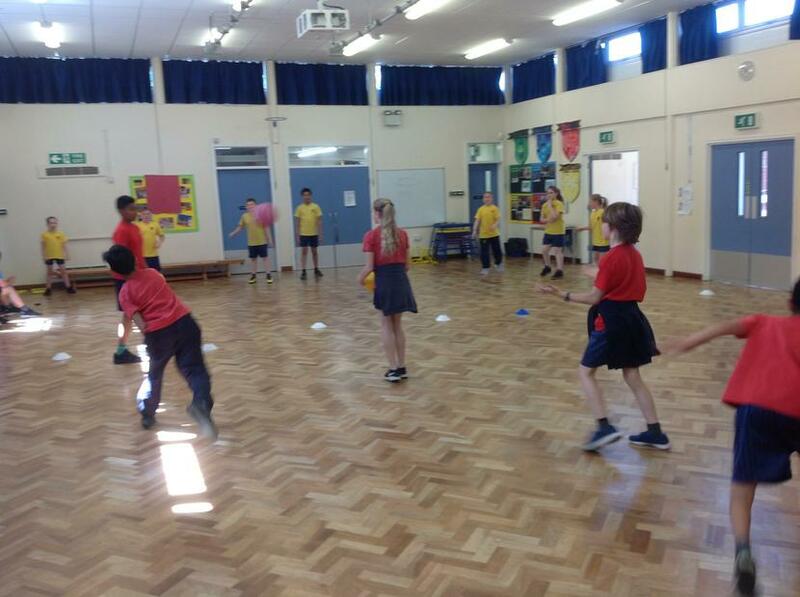 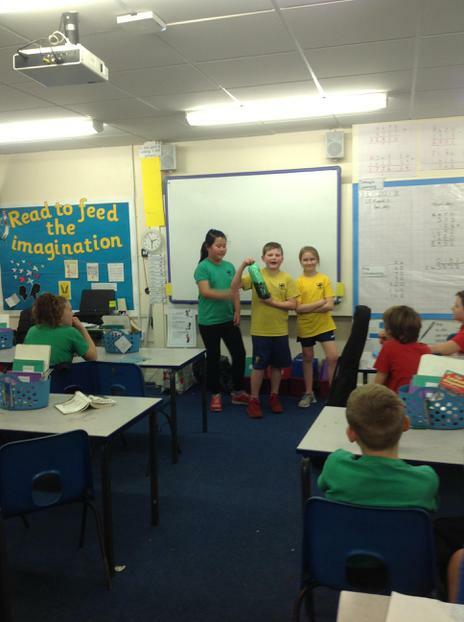 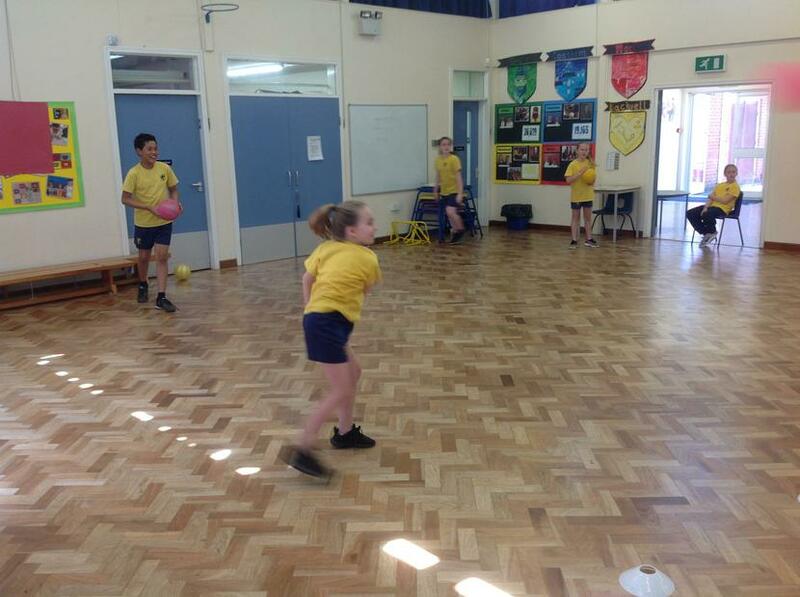 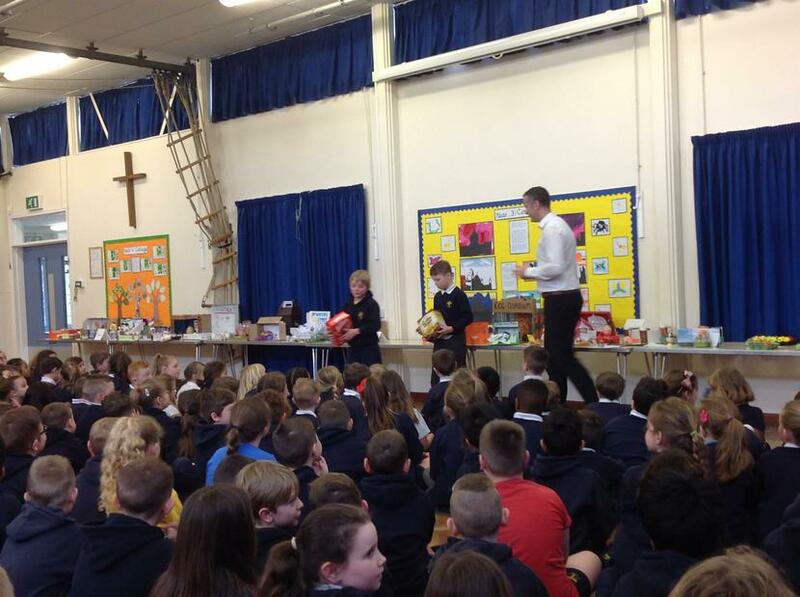 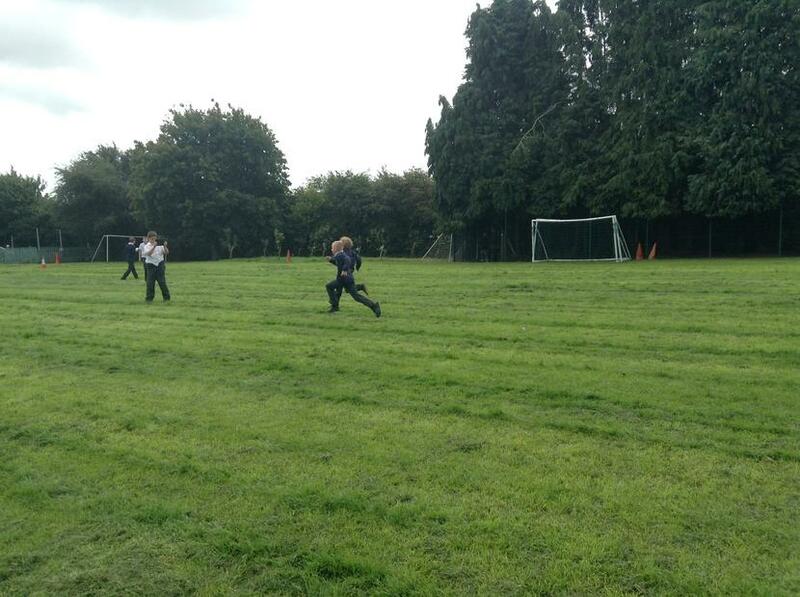 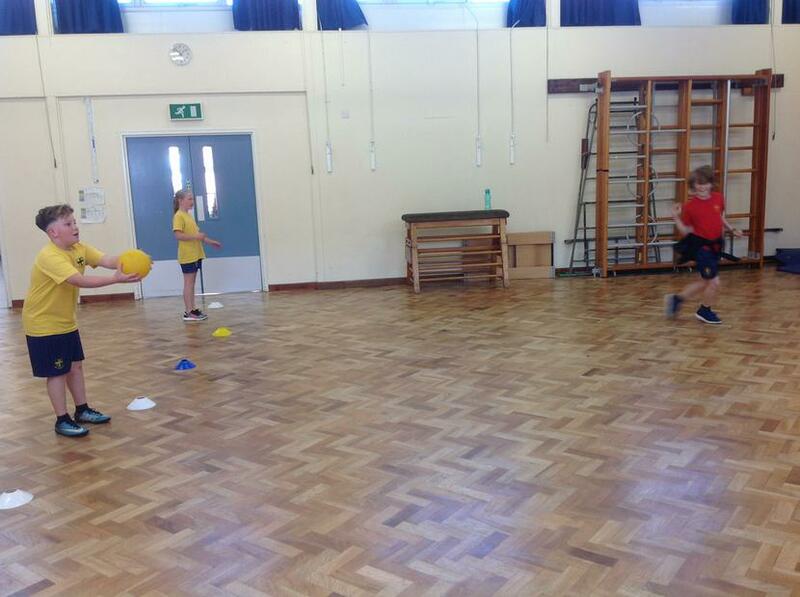 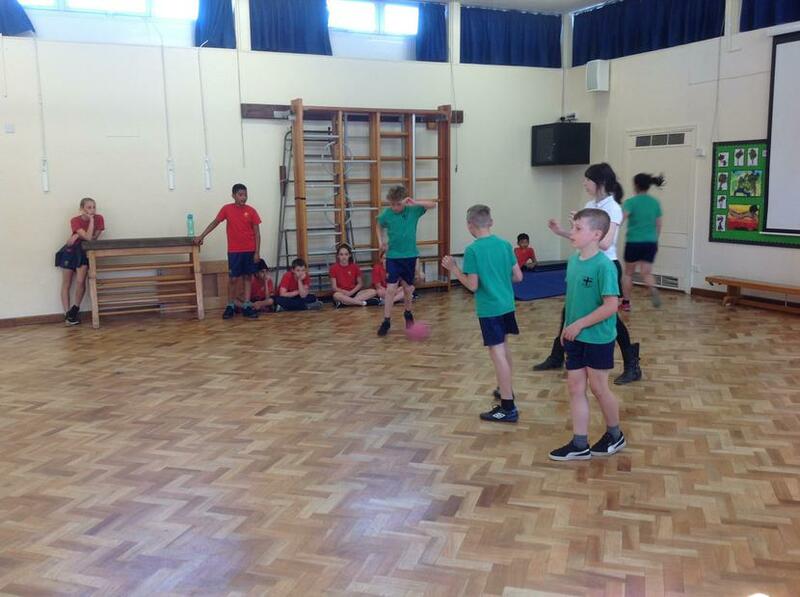 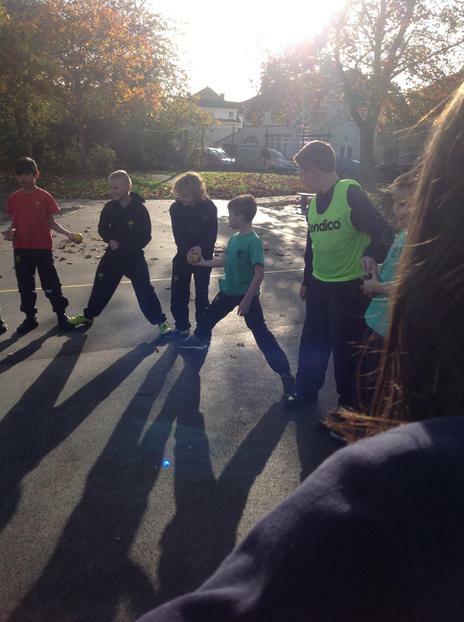 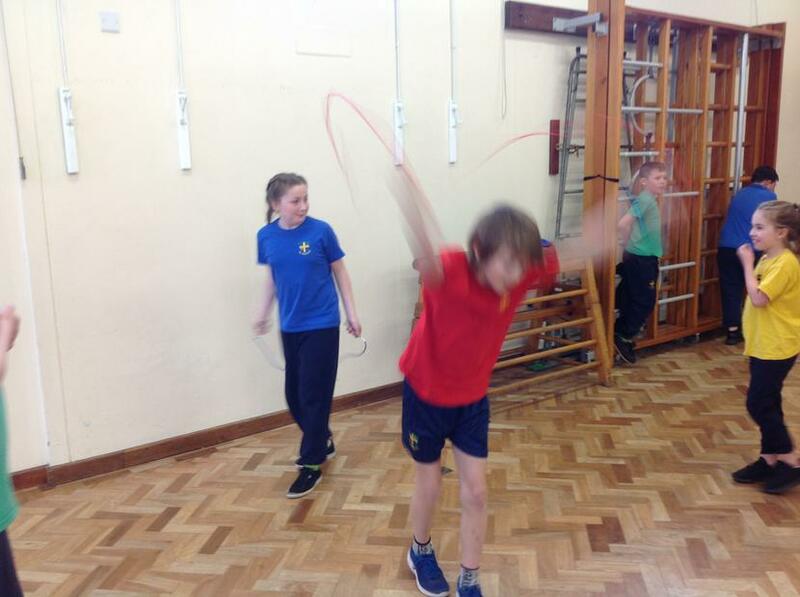 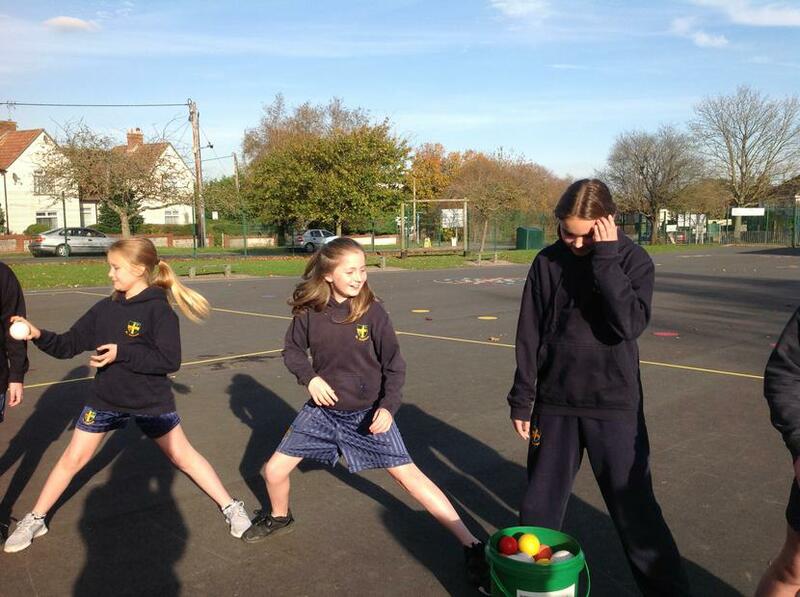 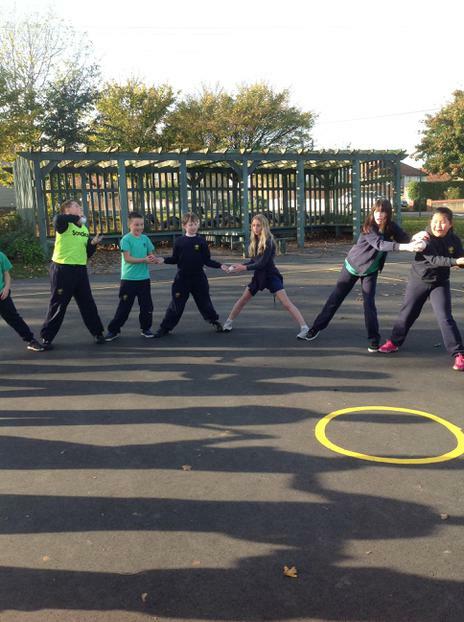 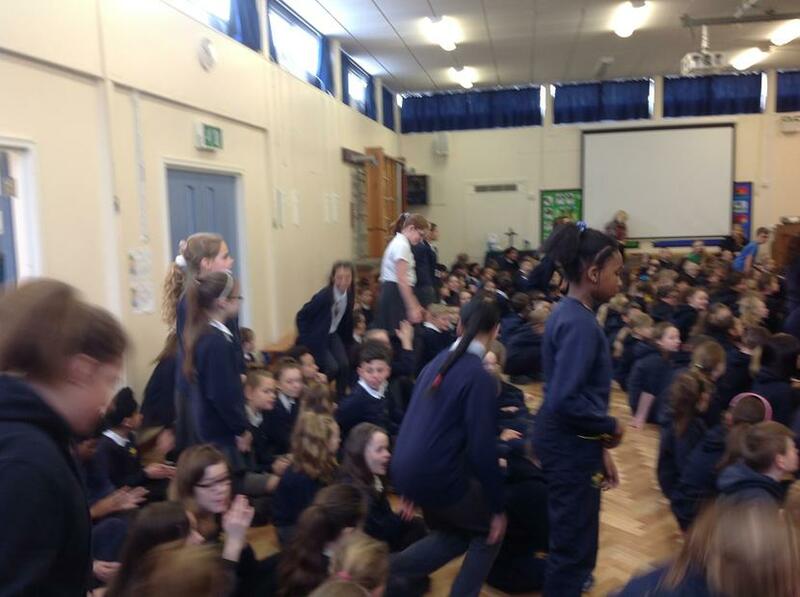 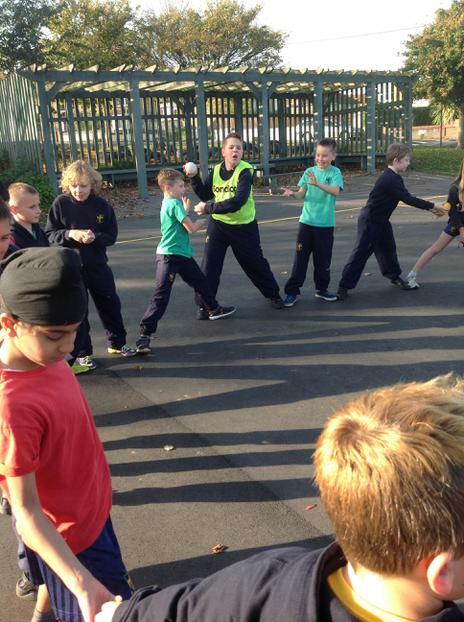 To earn house points for our houses, we all took part in a skipping challenge this term. 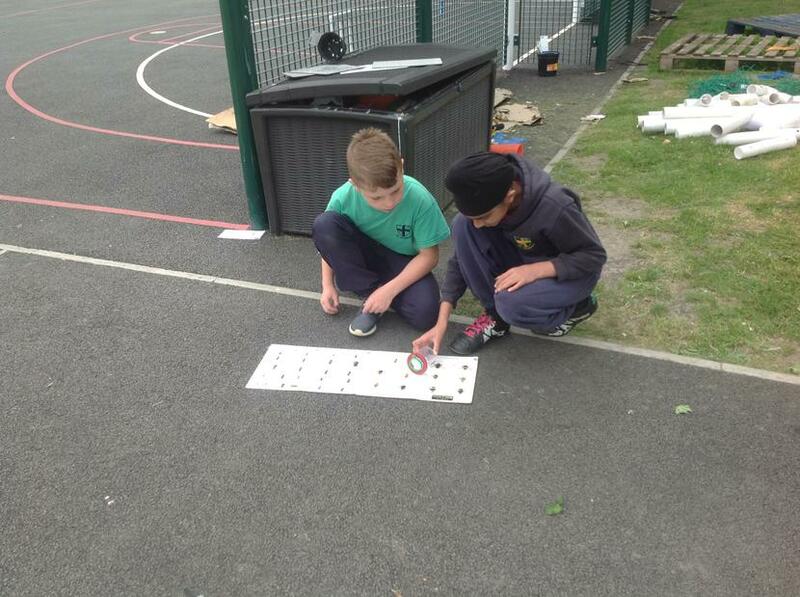 We all enjoyed trying to beat our top scores and we were pleased to see that we improved each time! 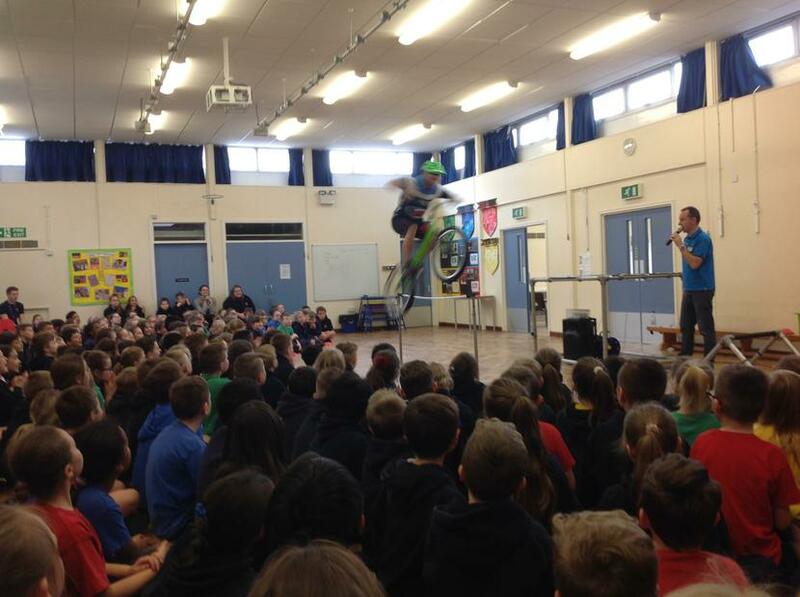 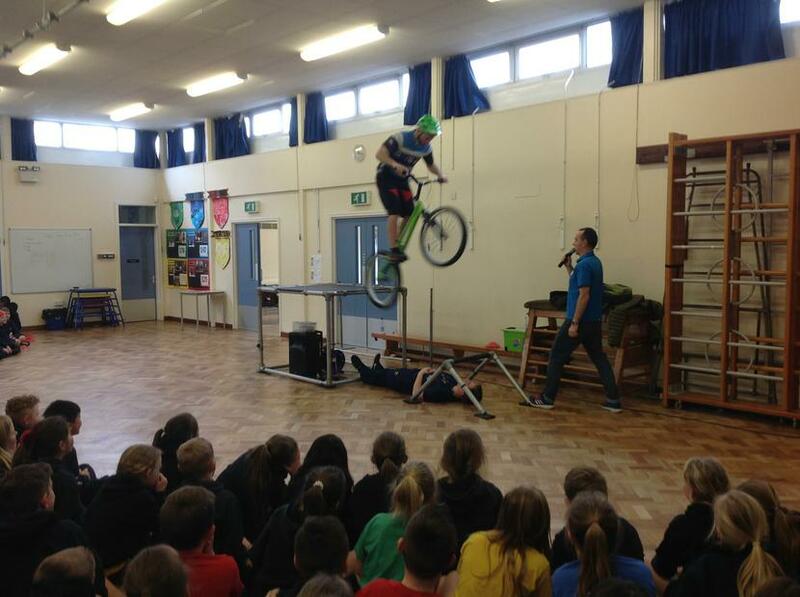 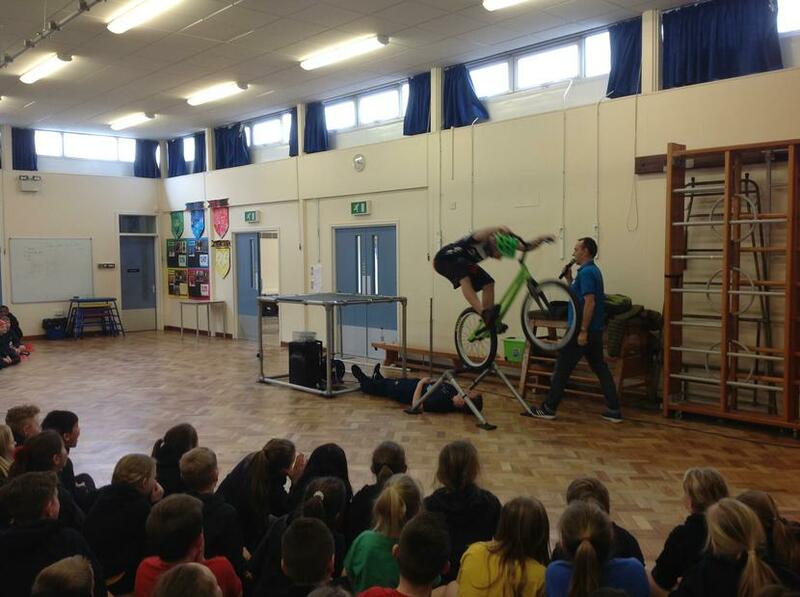 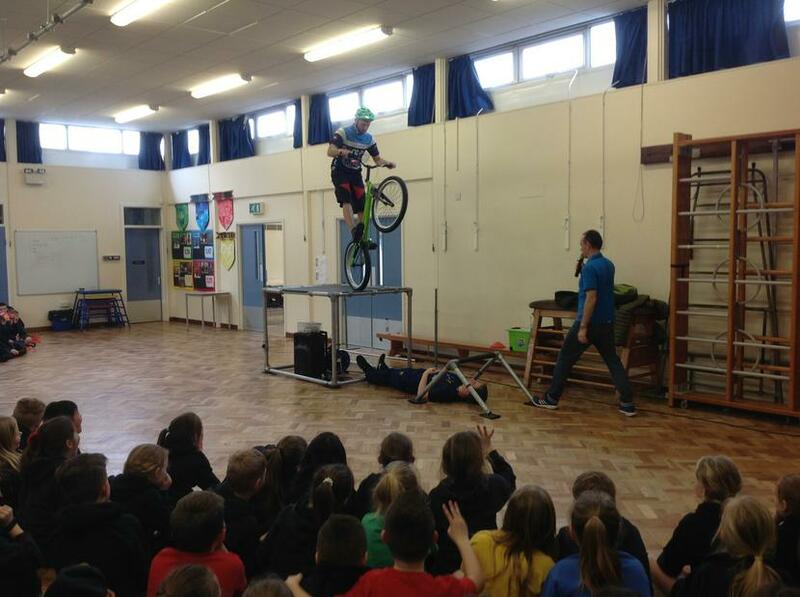 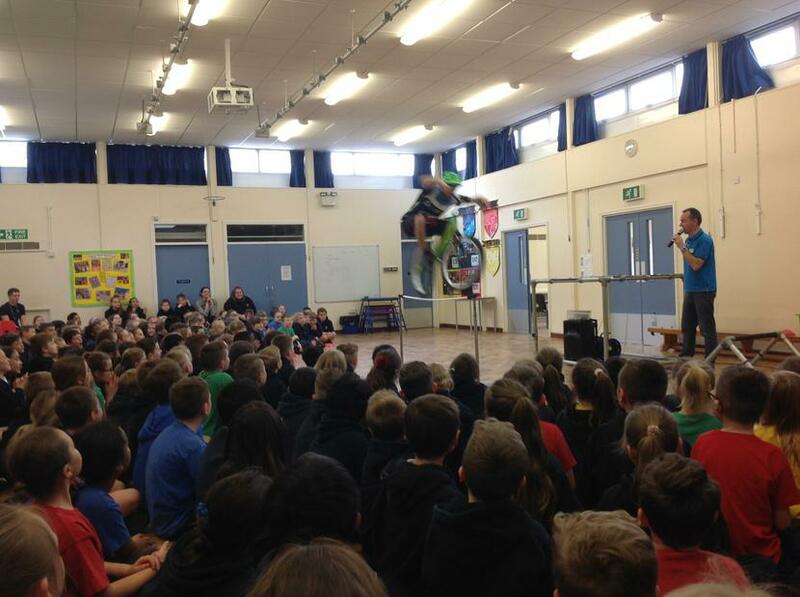 Today, Year 6 were treated to an exciting Stunt Bike display. 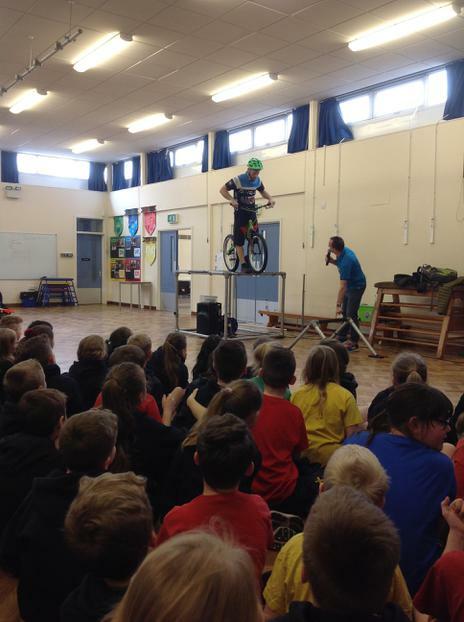 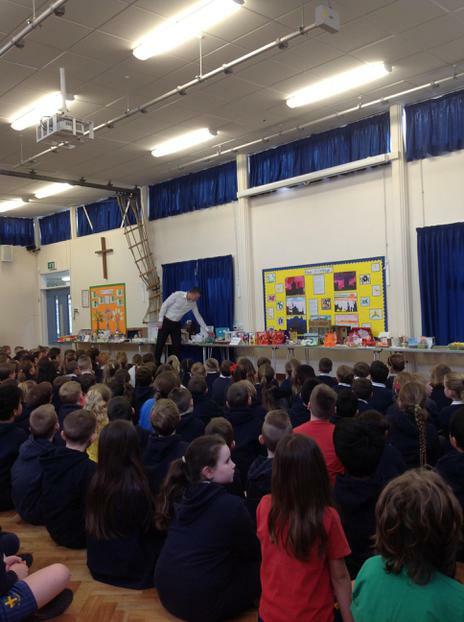 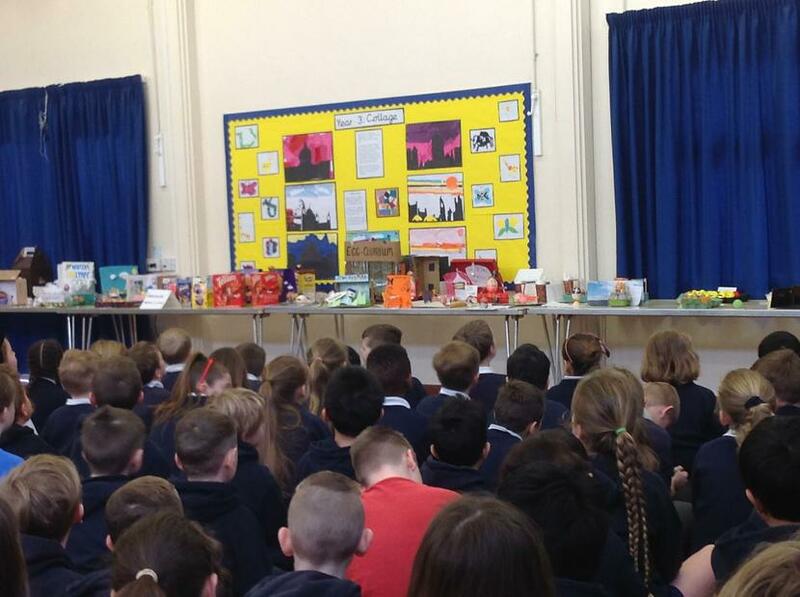 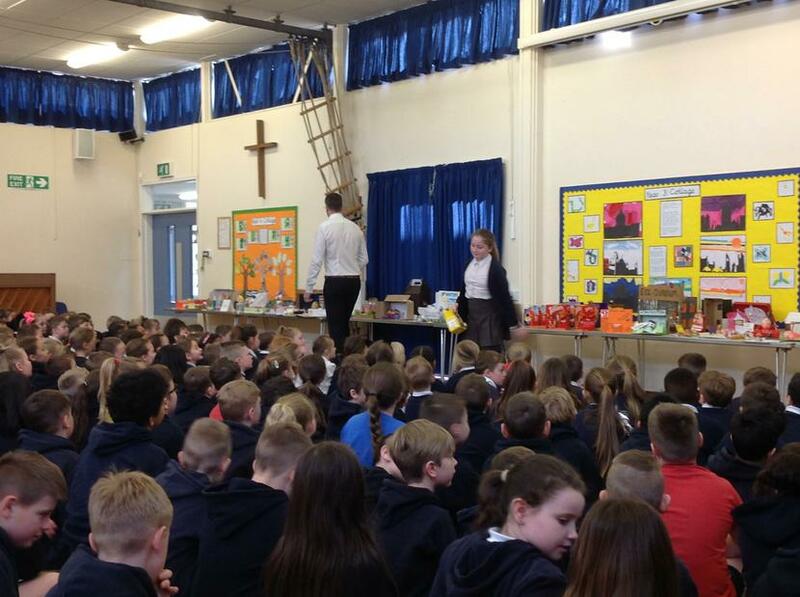 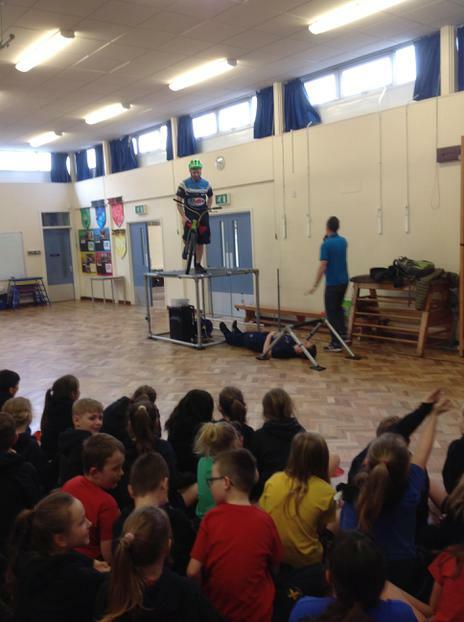 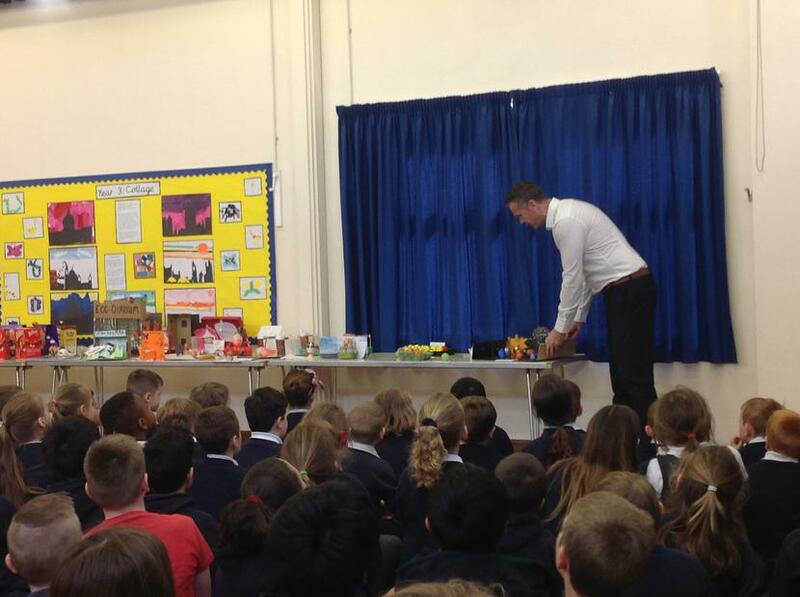 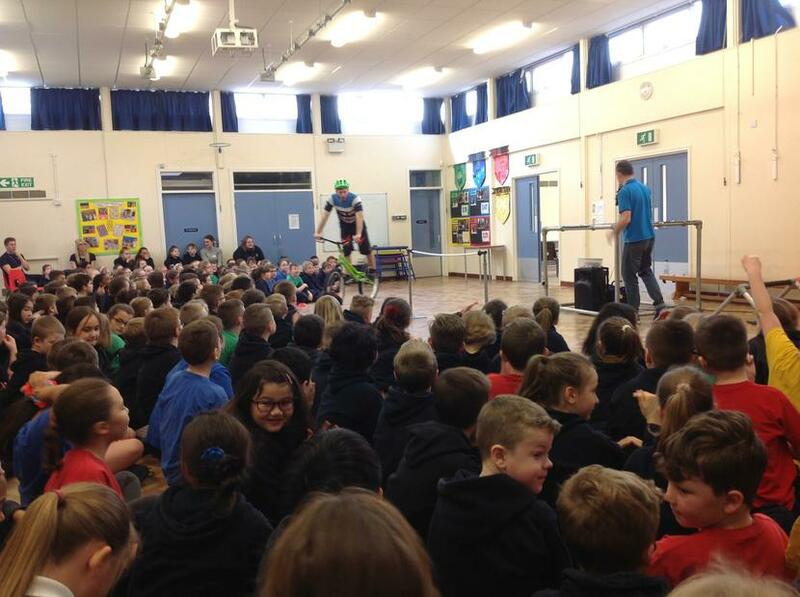 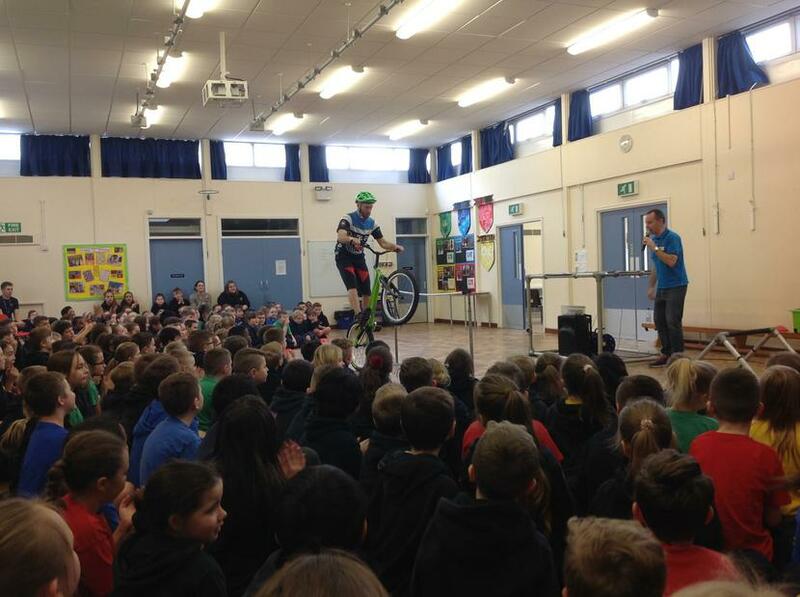 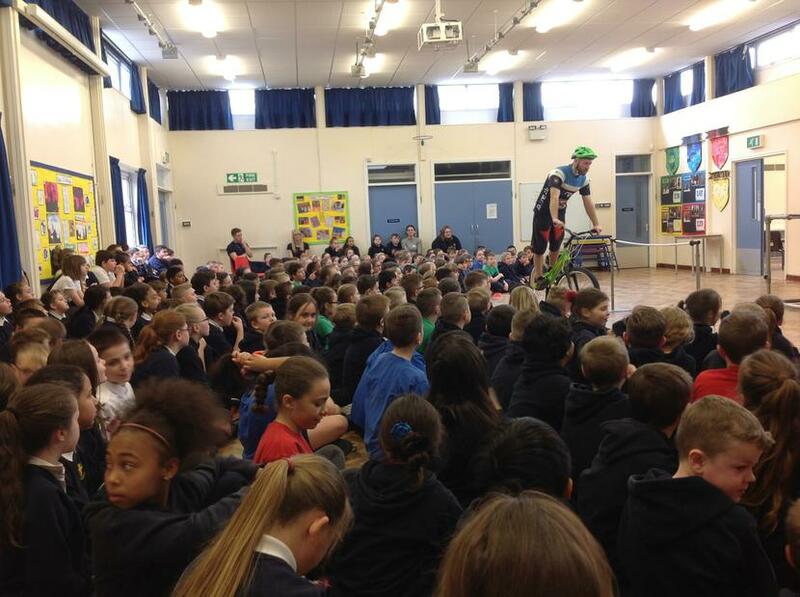 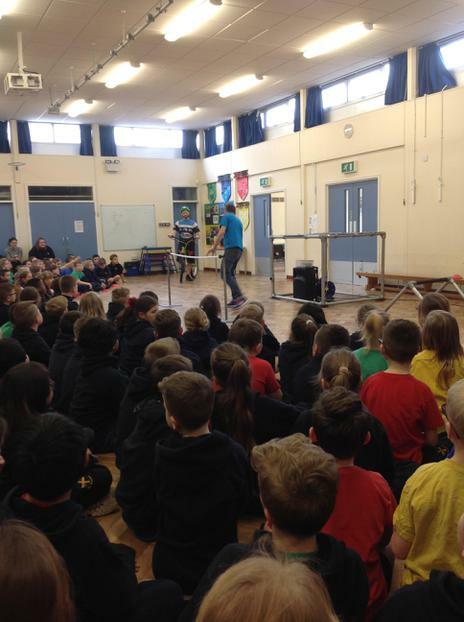 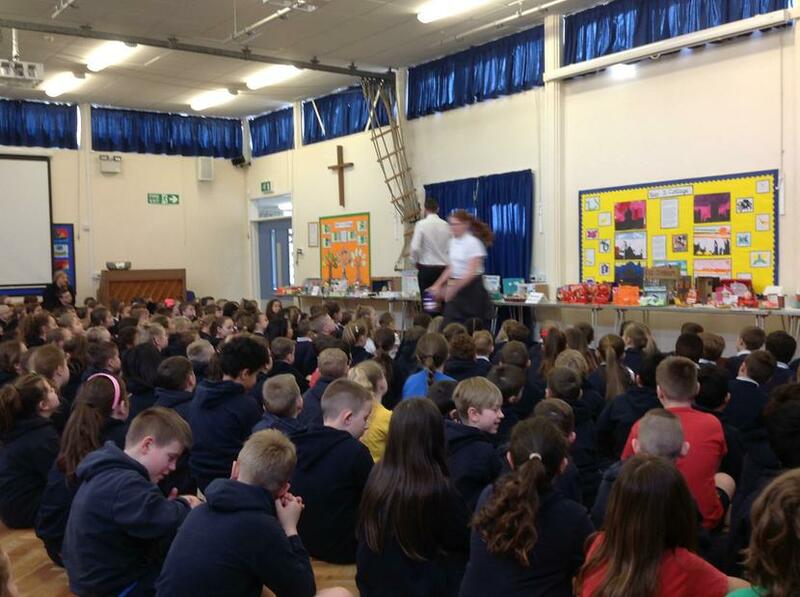 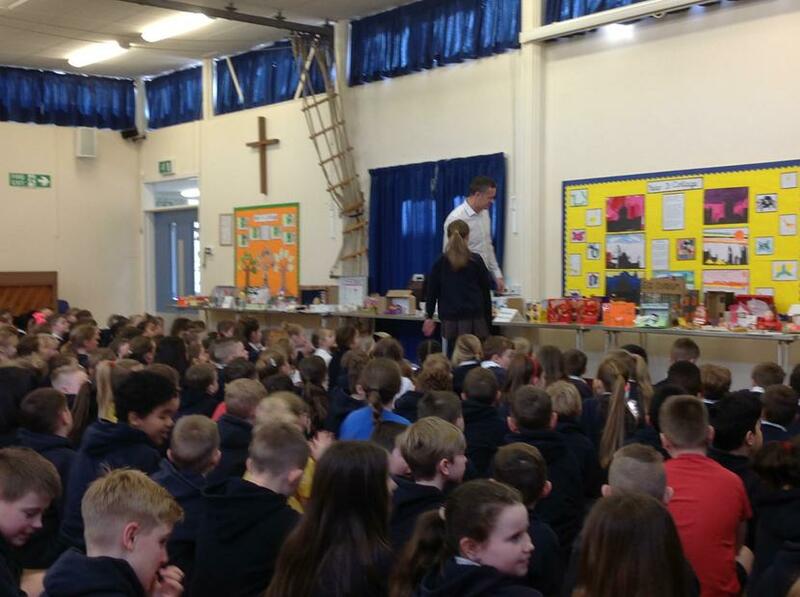 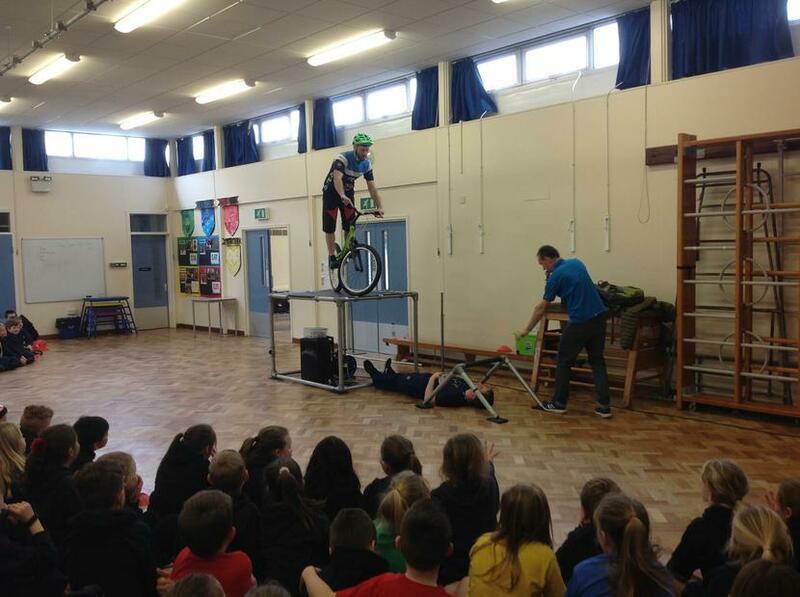 The children were amazed by the amazing stunts and tricks shown! 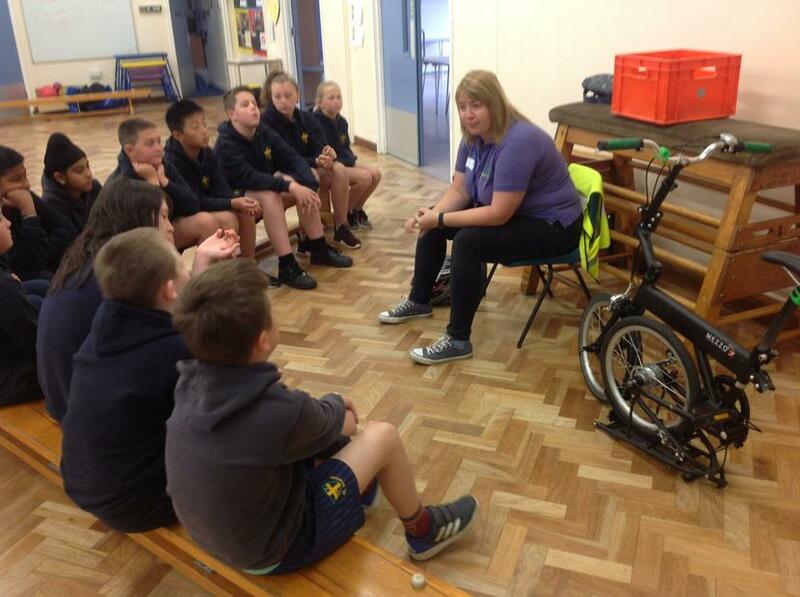 Key learning today, however, was about the importance of wearing a helmet and ensuring that we are safe and sensible on our own bikes and scooters. 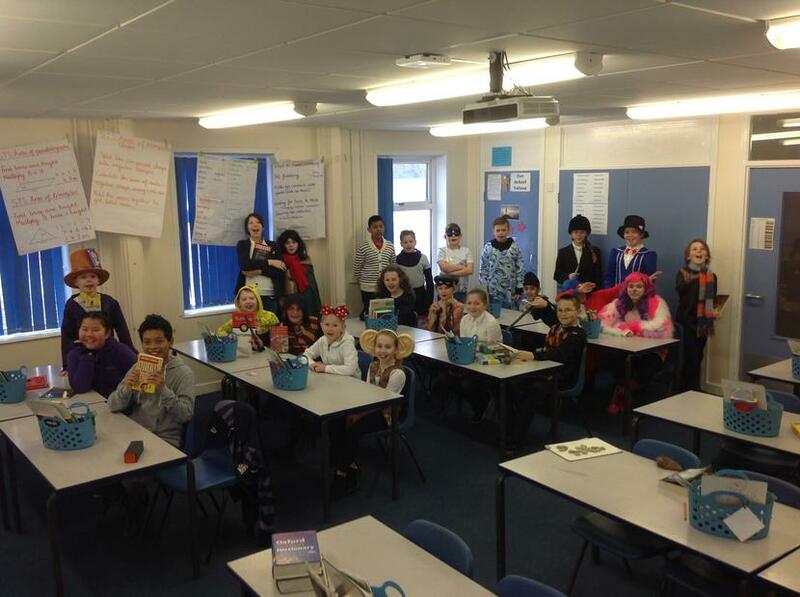 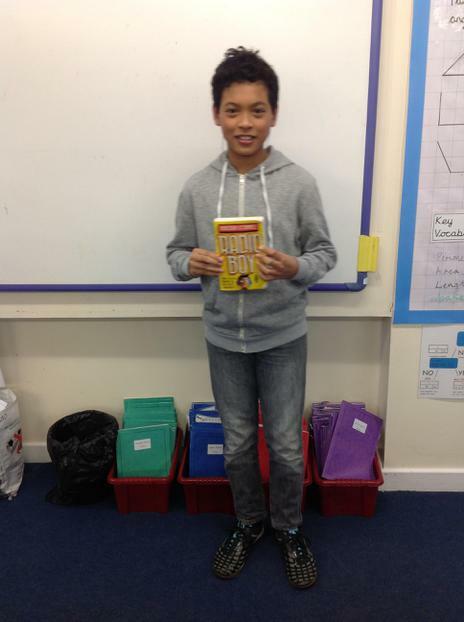 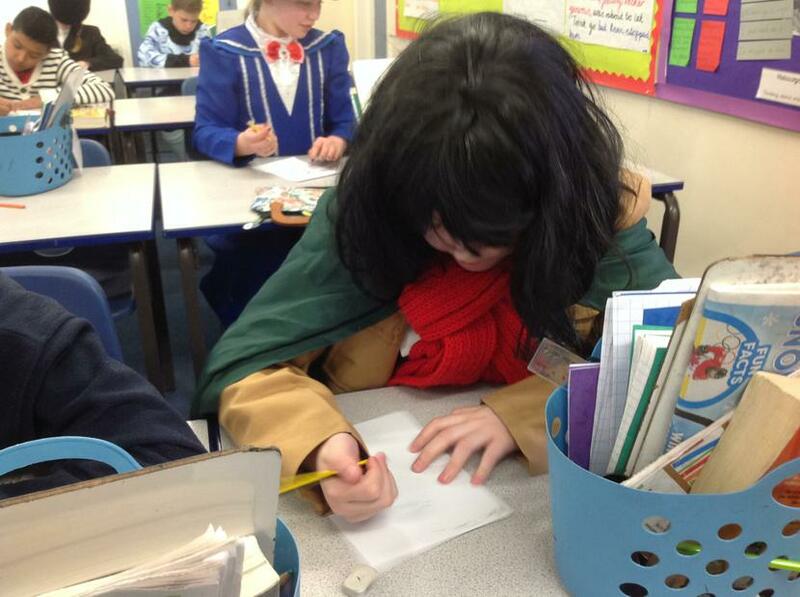 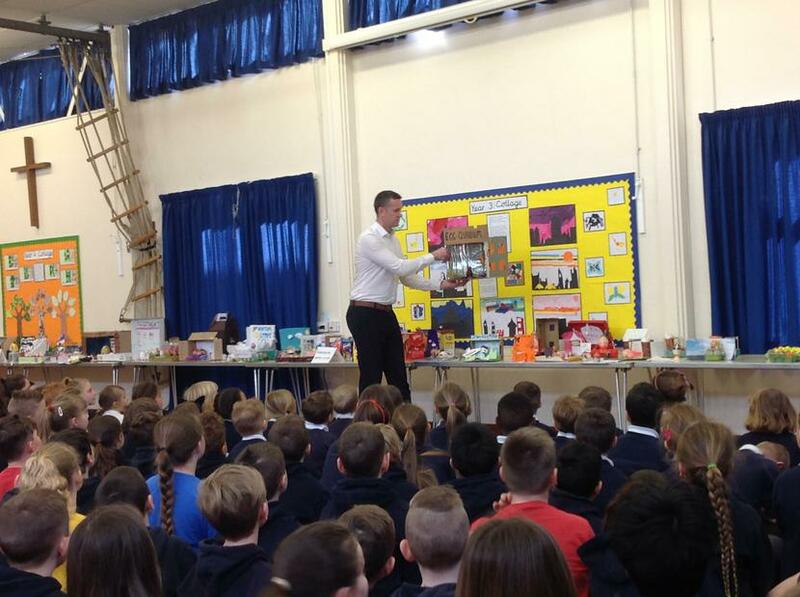 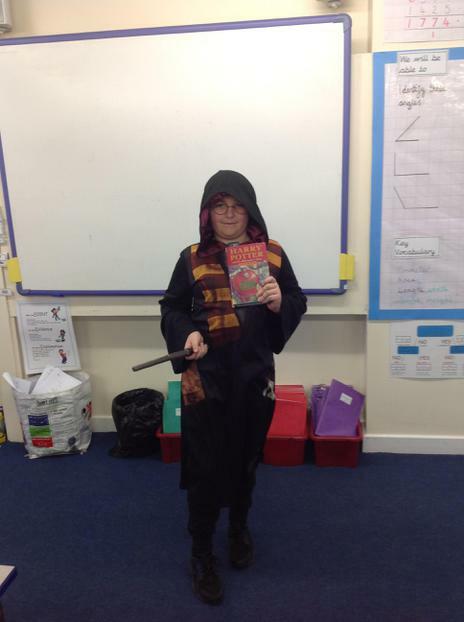 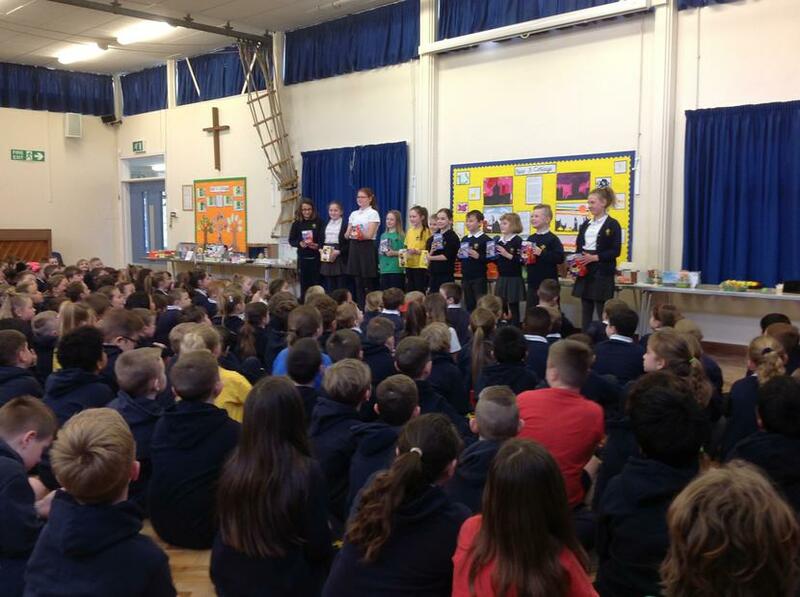 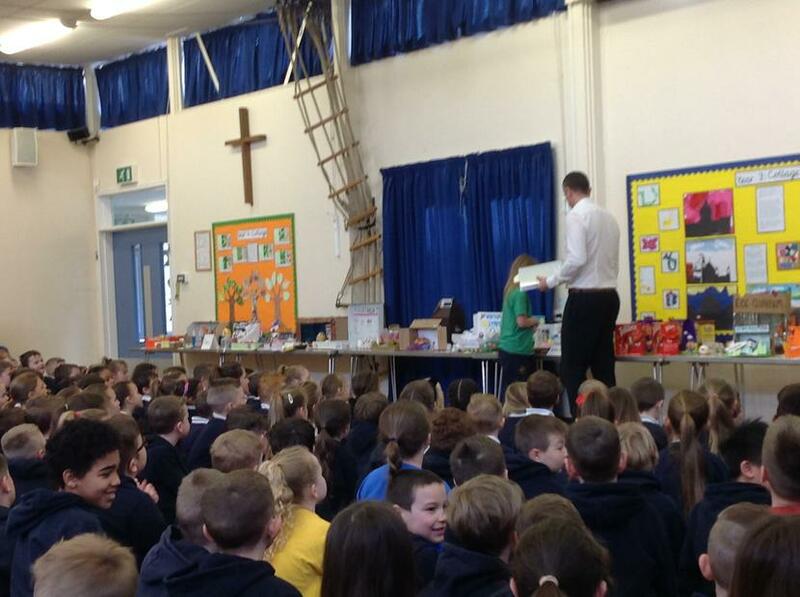 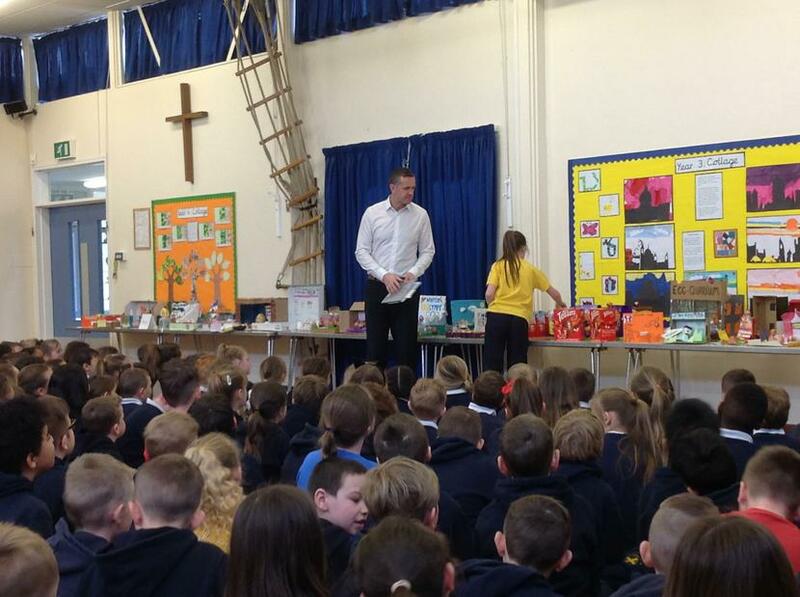 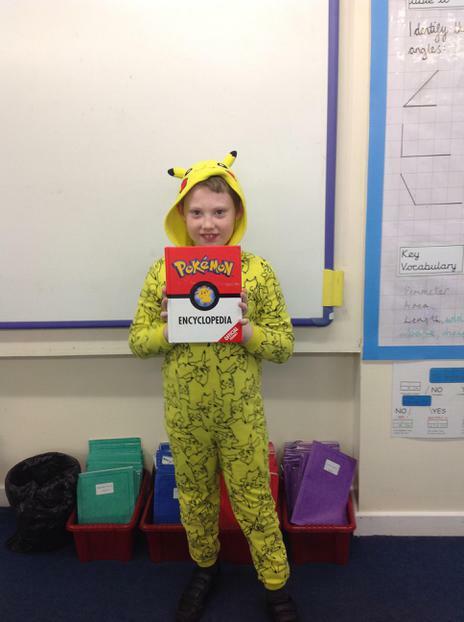 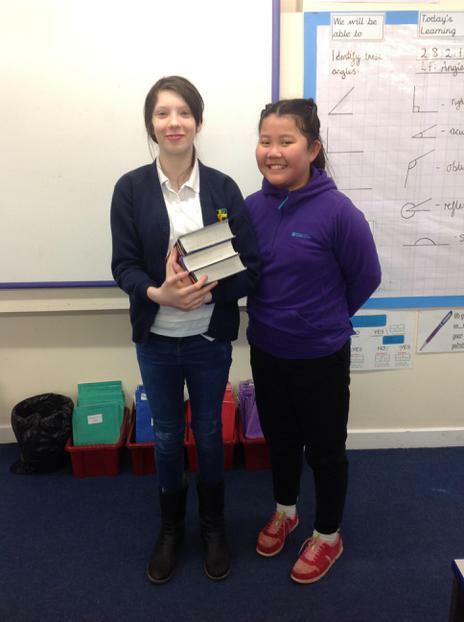 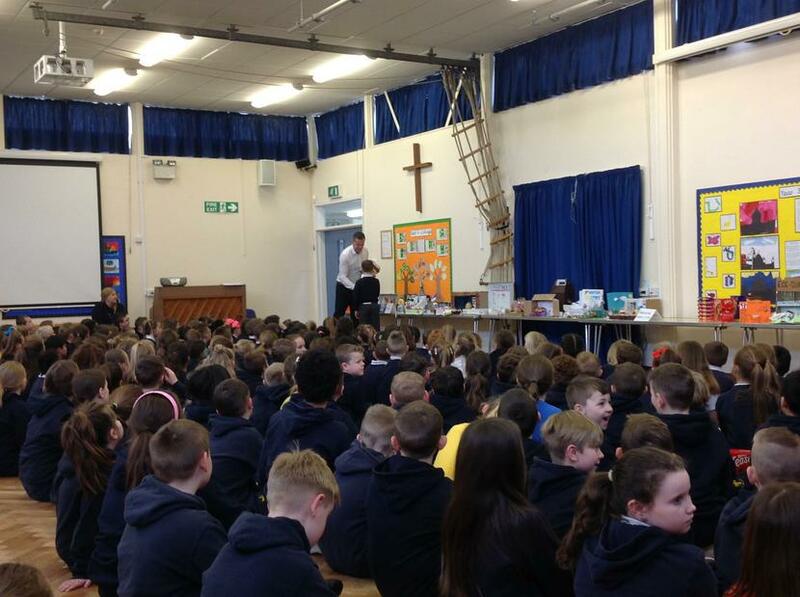 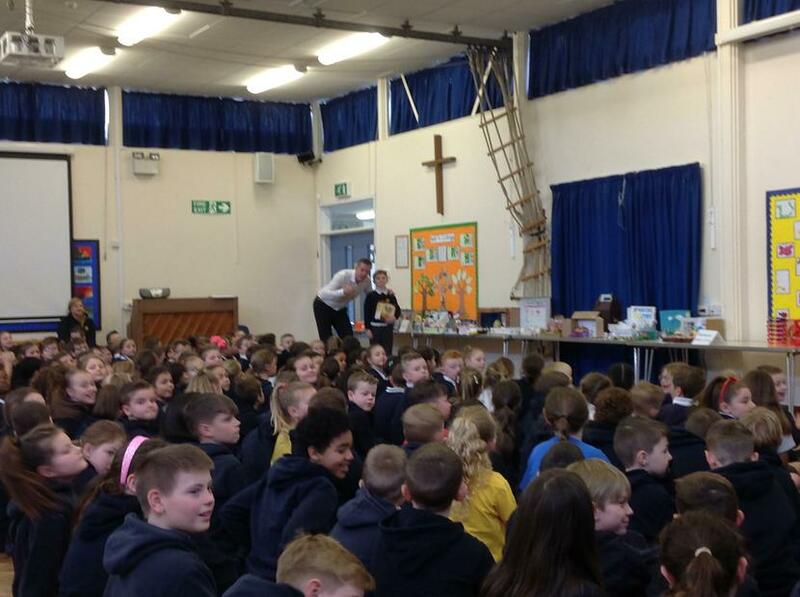 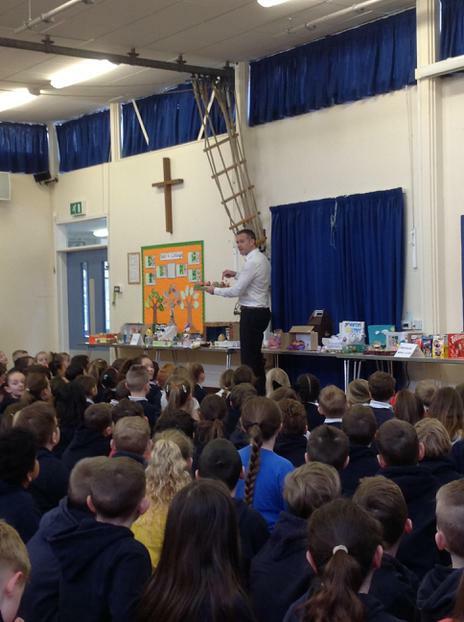 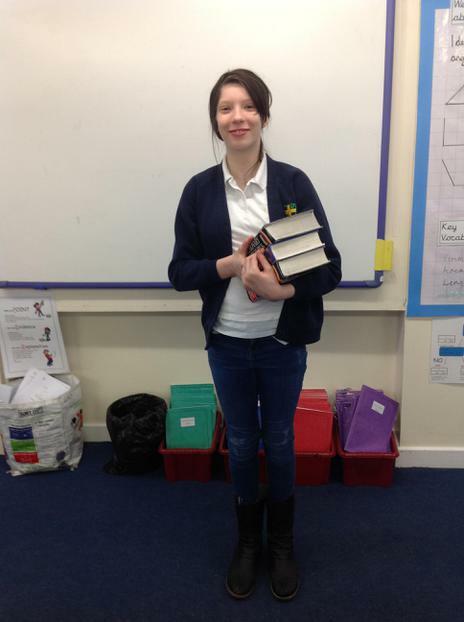 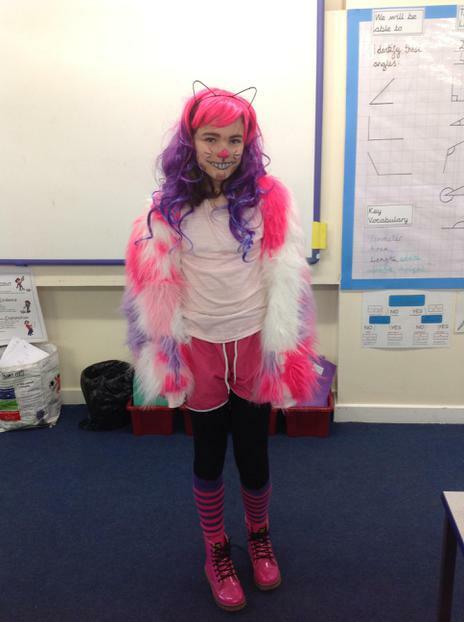 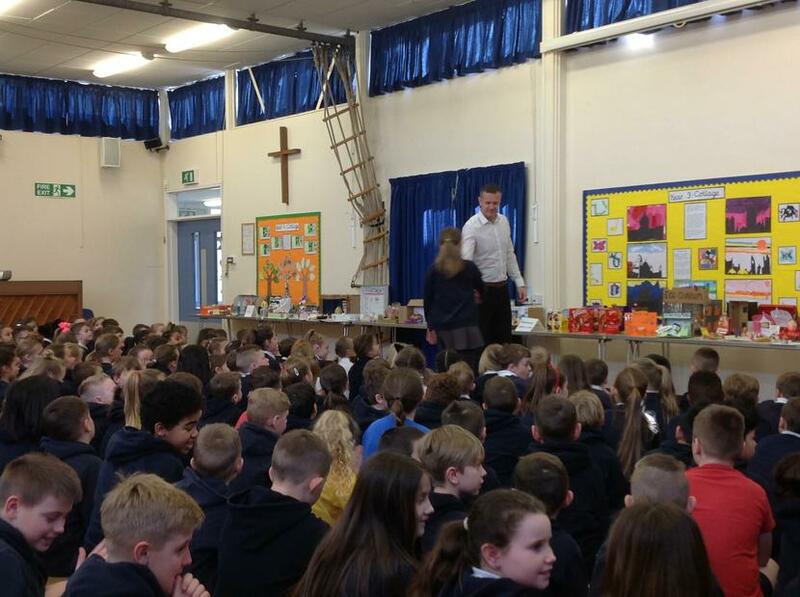 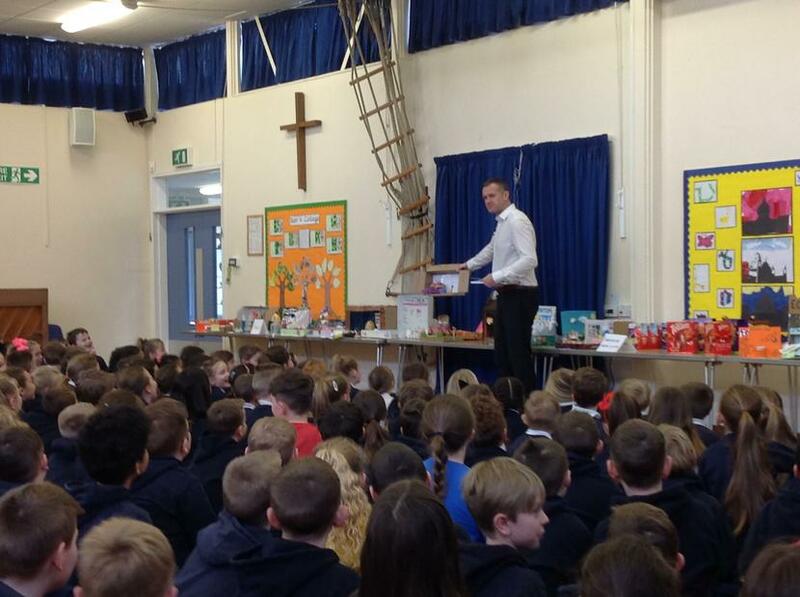 Today was World Book Day! 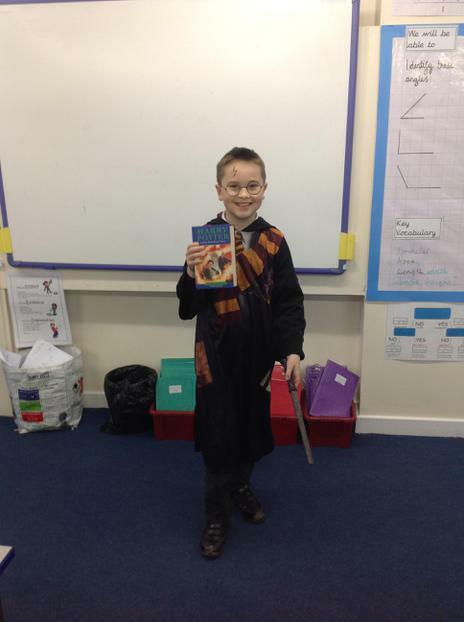 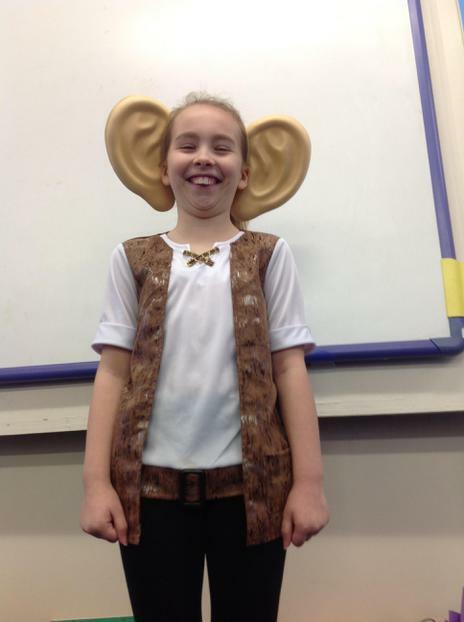 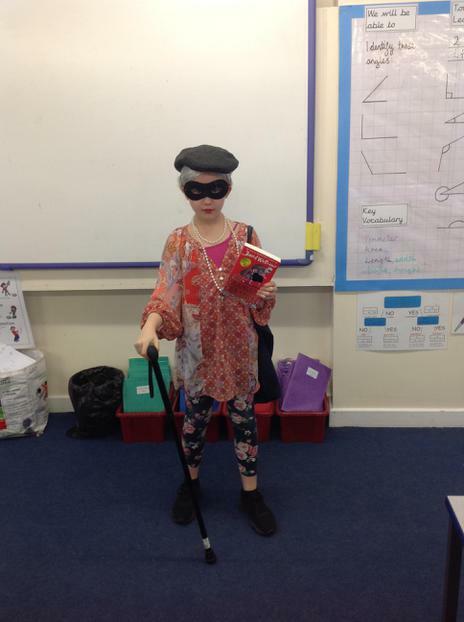 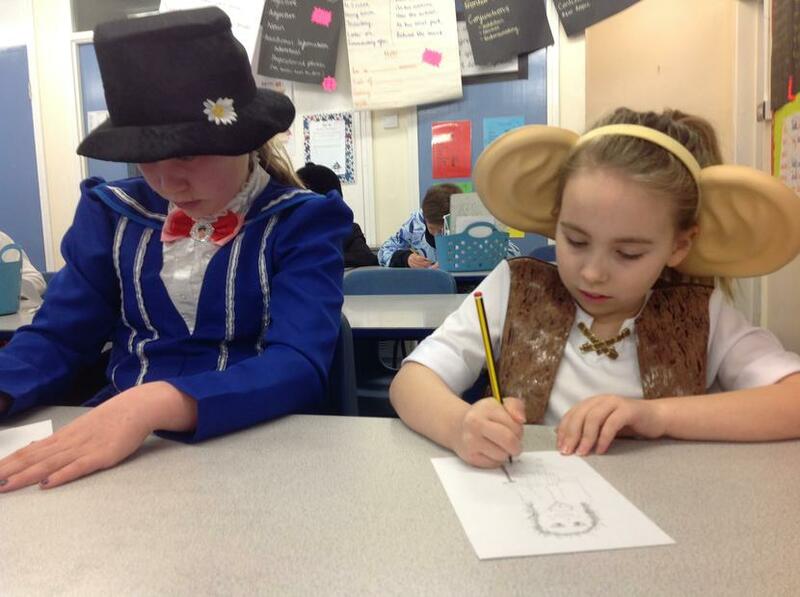 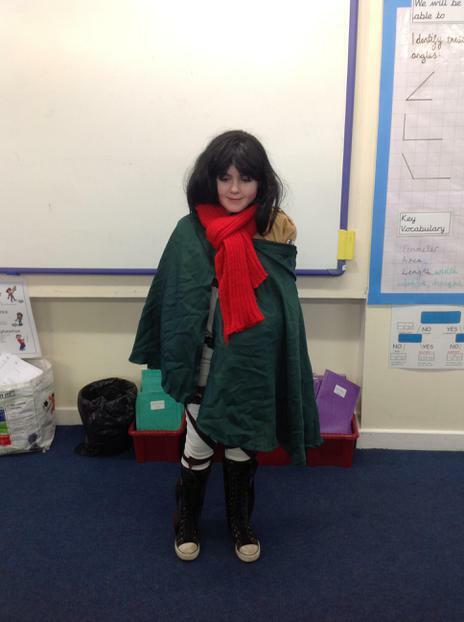 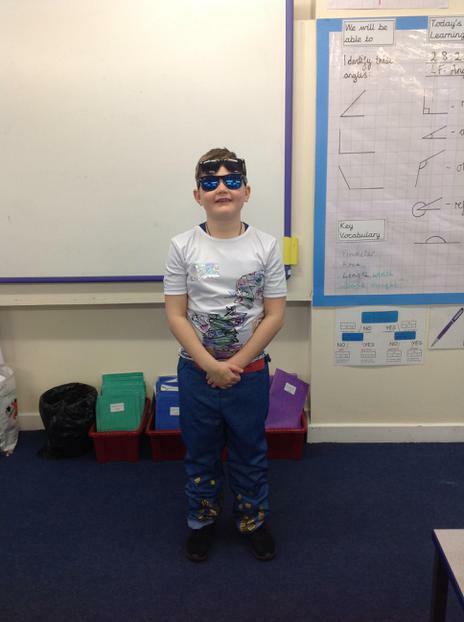 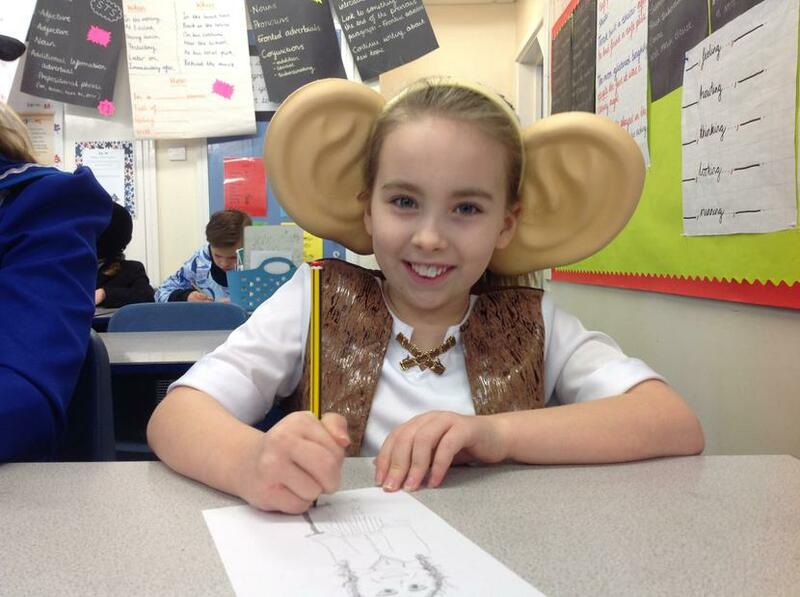 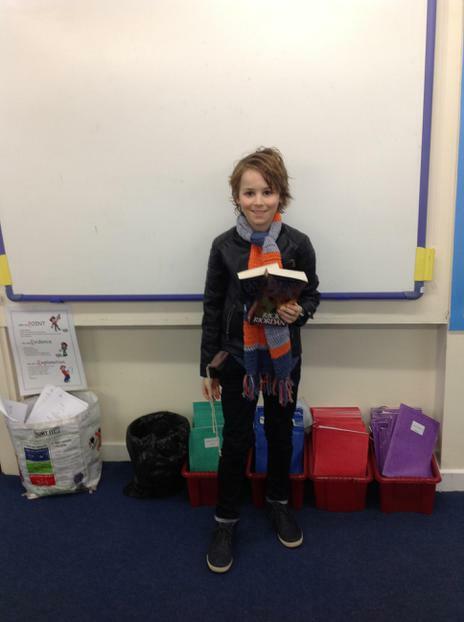 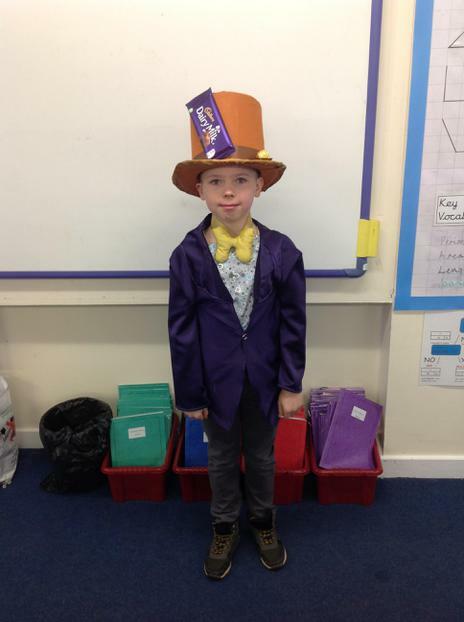 We had great fun dressing up as our favourite characters from the books we love to read! 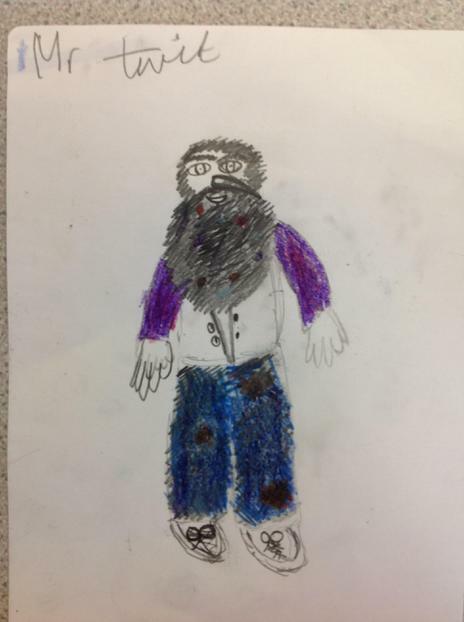 As part of our day we listened to Roald Dahl's 'The Twits'. 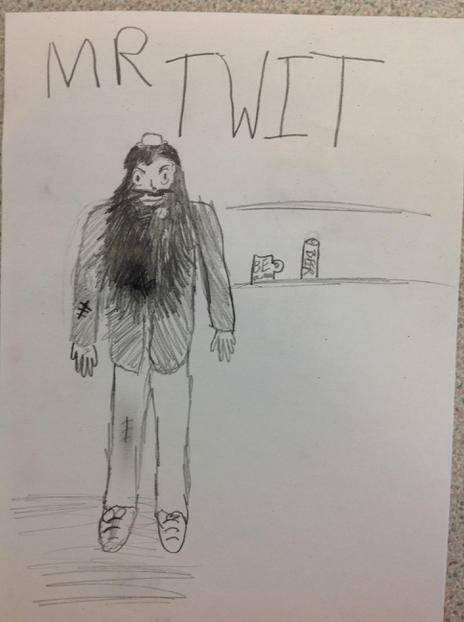 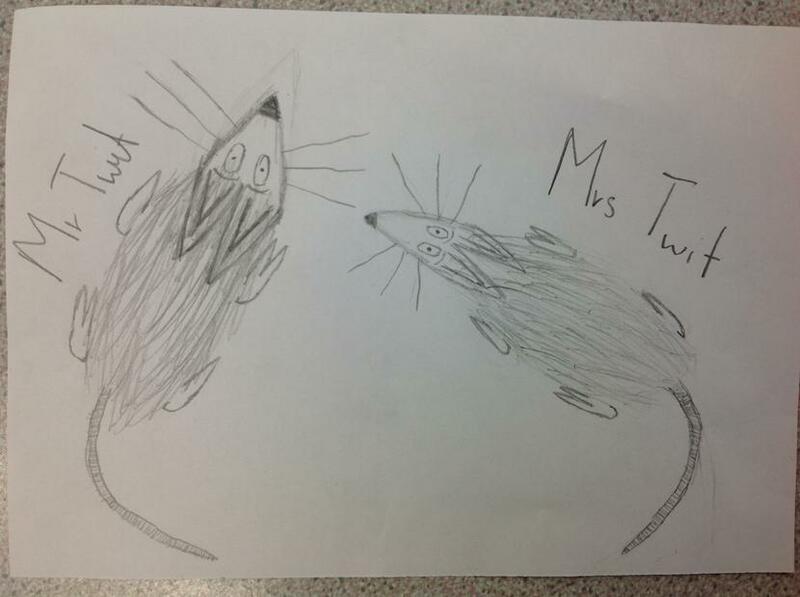 You can see below our drawings based on he hideous descriptions of Mr and Mrs Twit! 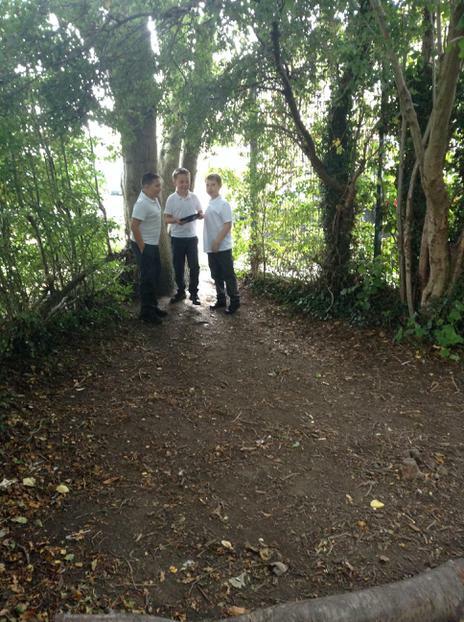 Enquiry title: Where will your quest take you? 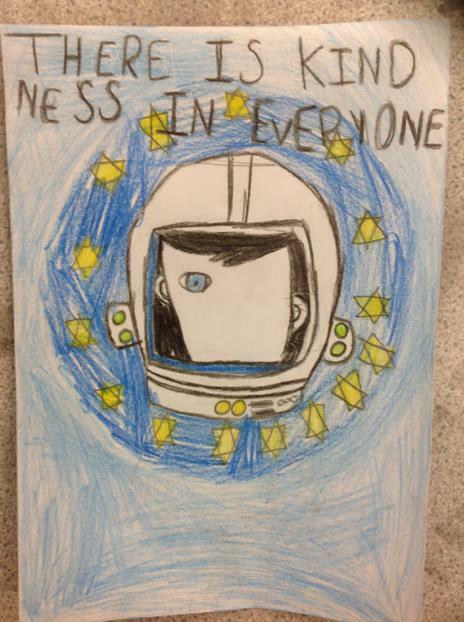 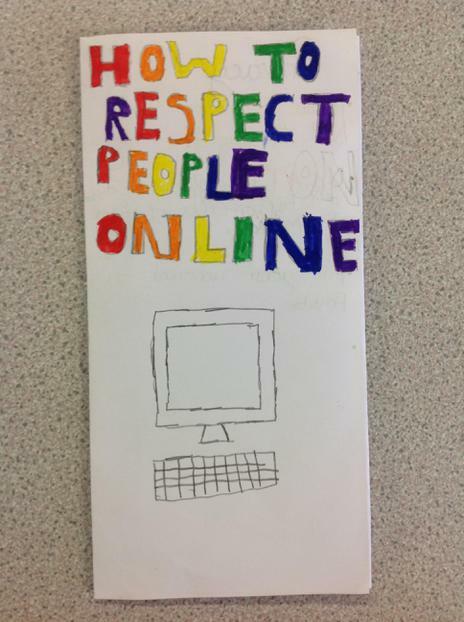 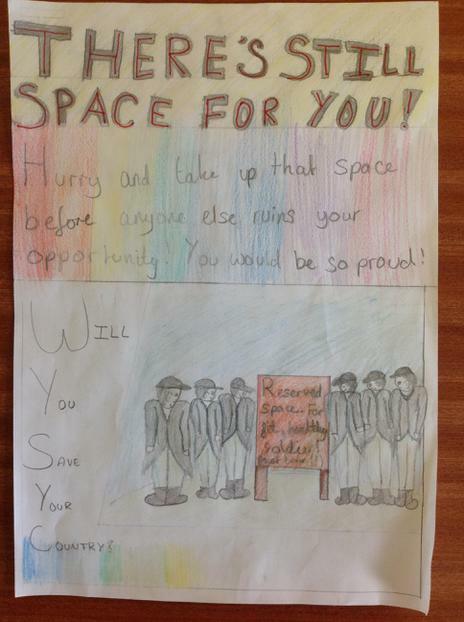 As part of our Safer Internet Day, we created posters in order to campaign about the importance of showing respect online and being safe online. 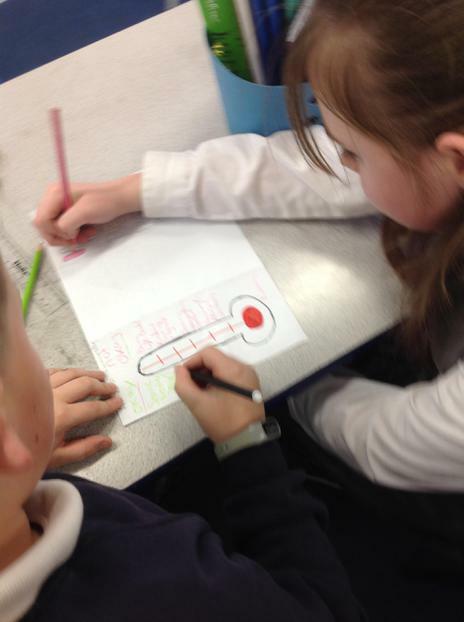 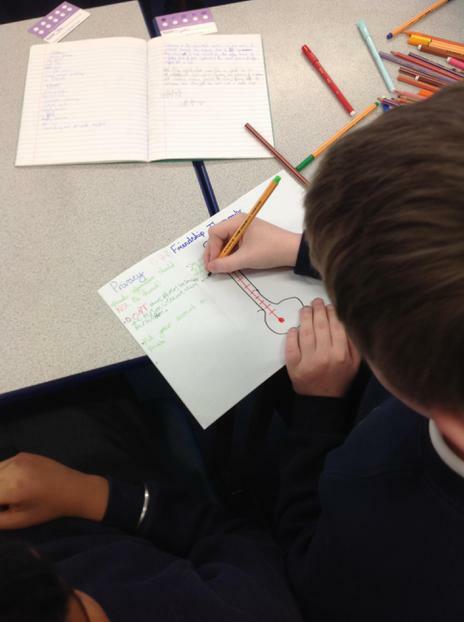 We have been finding out about and discussing the positives and negatives of our internet use. 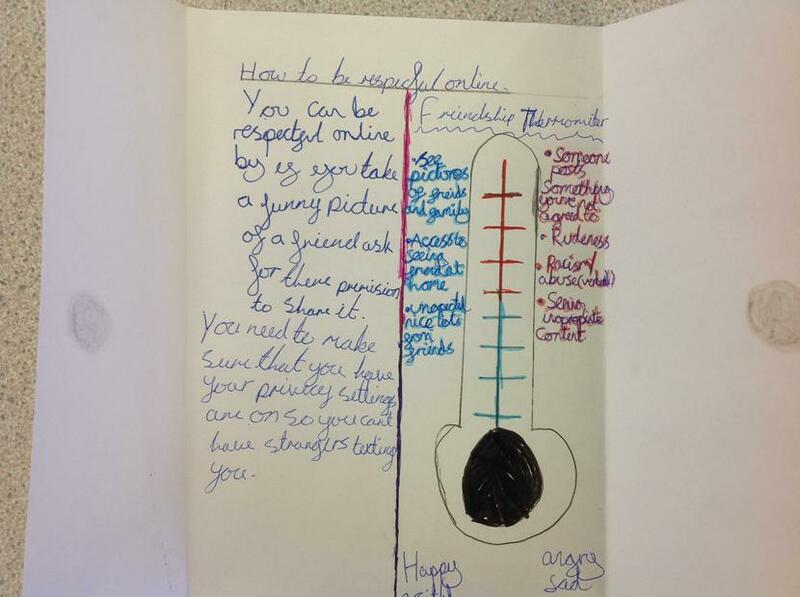 We really want to involve parents and carers from home so we have thought of some questions we would like to ask you about using the internet. 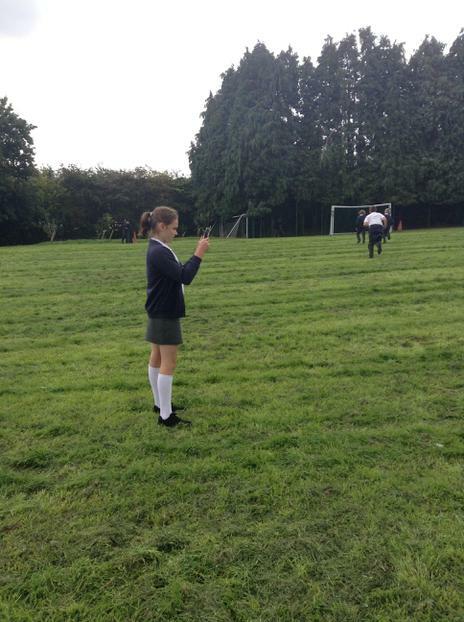 1) What apps/websites do you use the most? 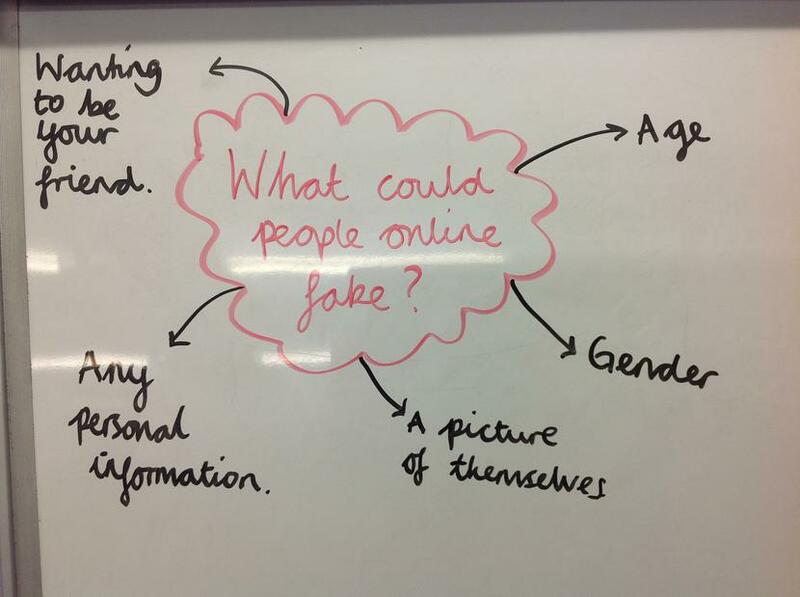 2) What is the most useful thing that the internet can do? 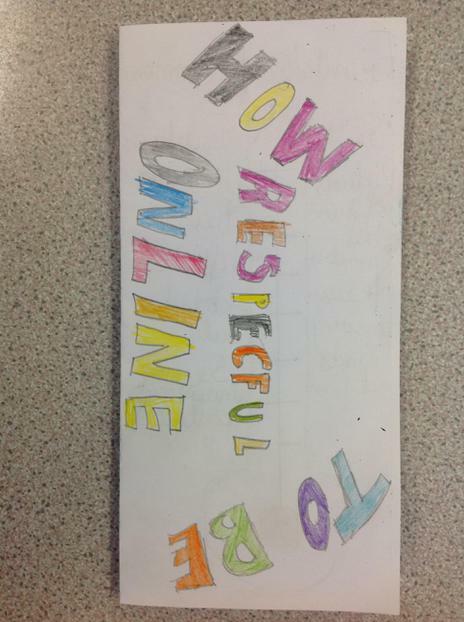 3) What do you think are the biggest negatives about the internet? 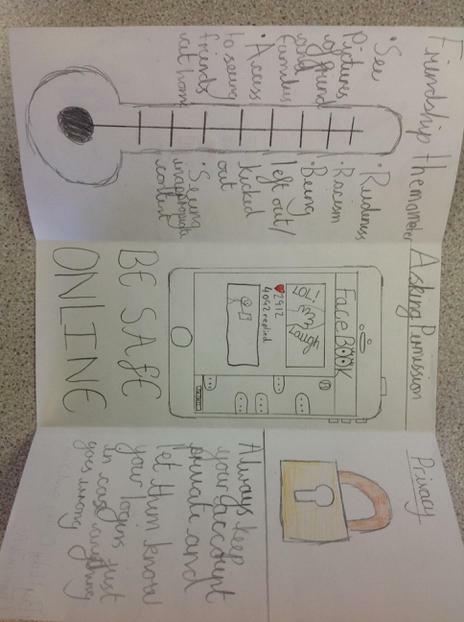 4) Do you have any advice on how we can stay safe online? 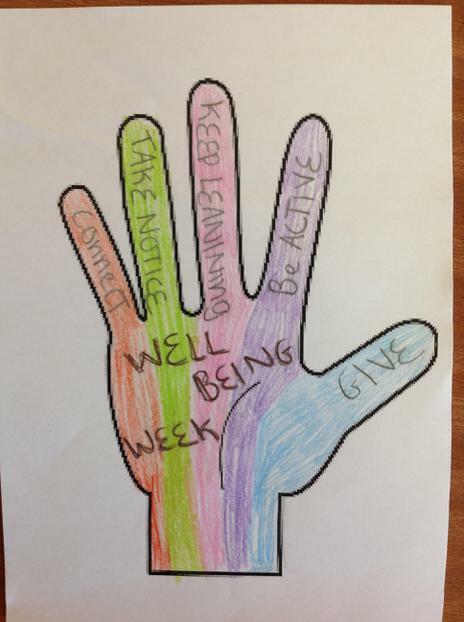 5) What is the most positive thing about the internet? 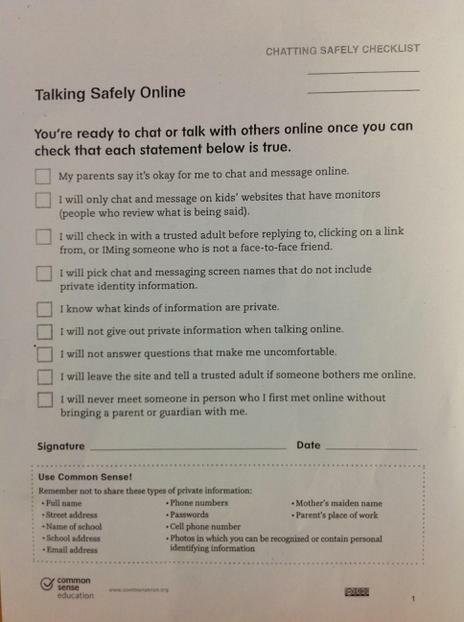 6) Do you have privacy settings on your account? 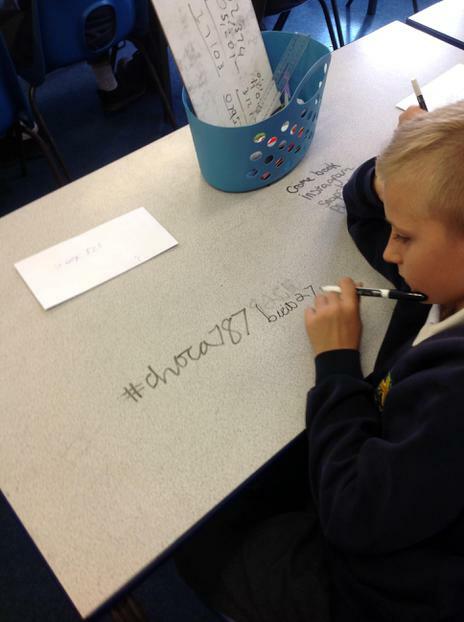 7) How much time do you spend on Social Media? 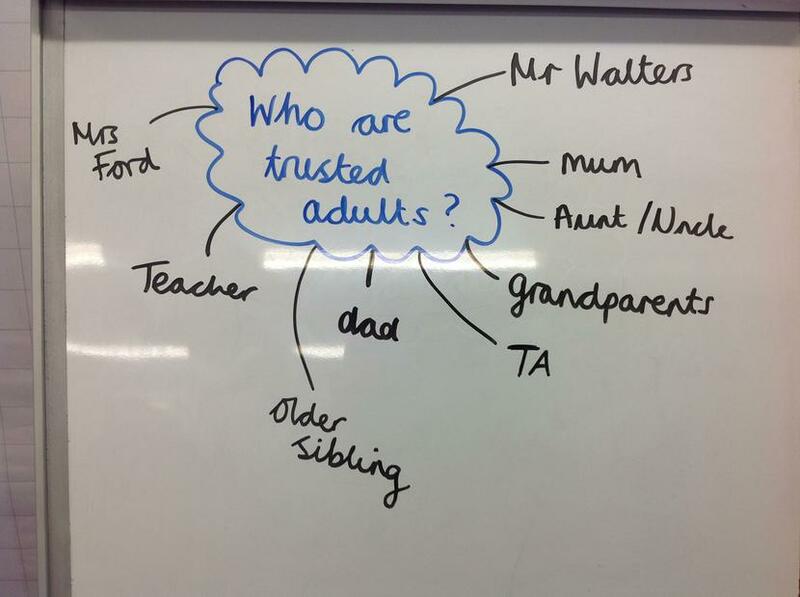 8) Do you know what accounts your child has and do you have access to them? 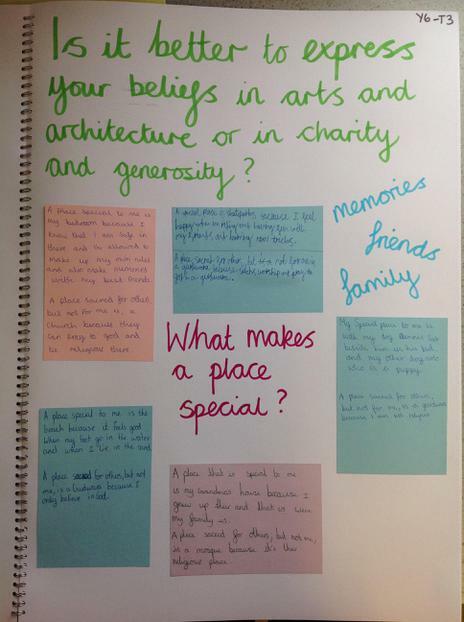 RE: Is it better to show your beliefs through art and architecture or through charity and generosity? 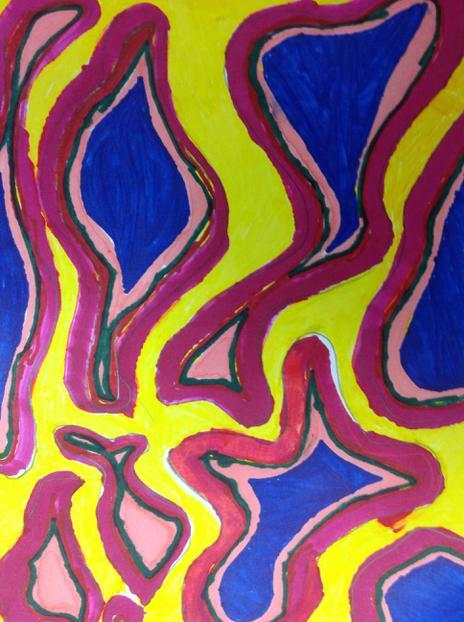 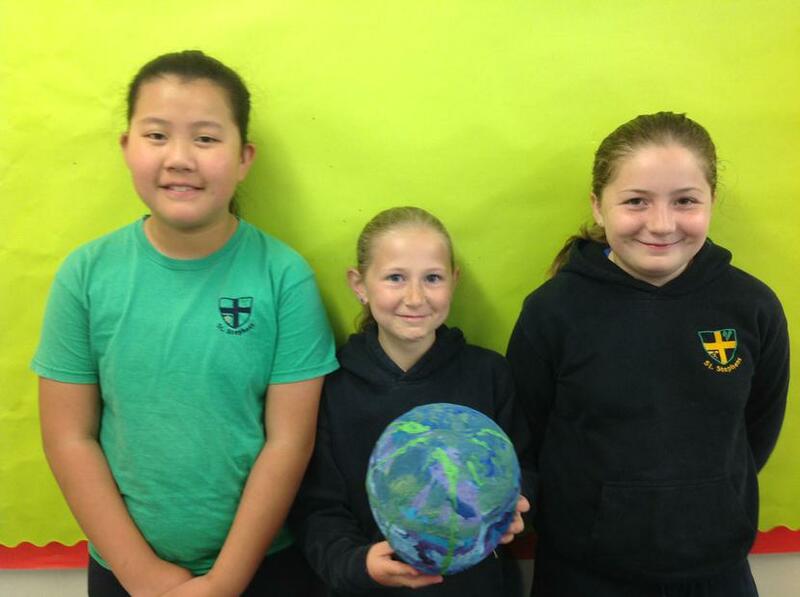 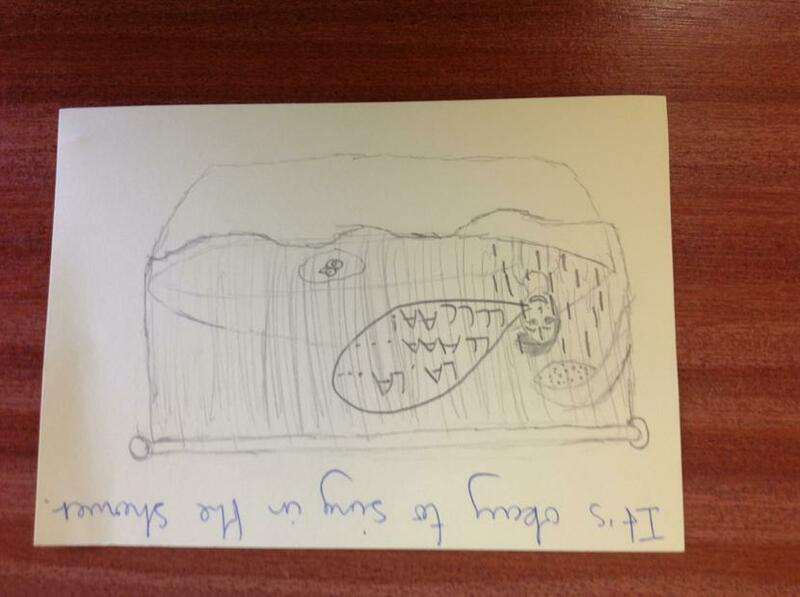 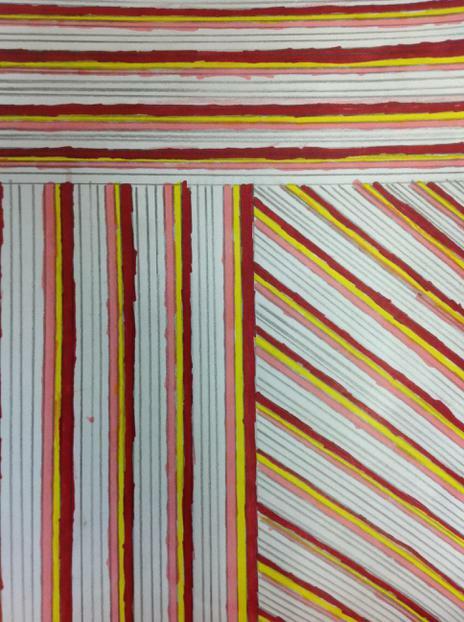 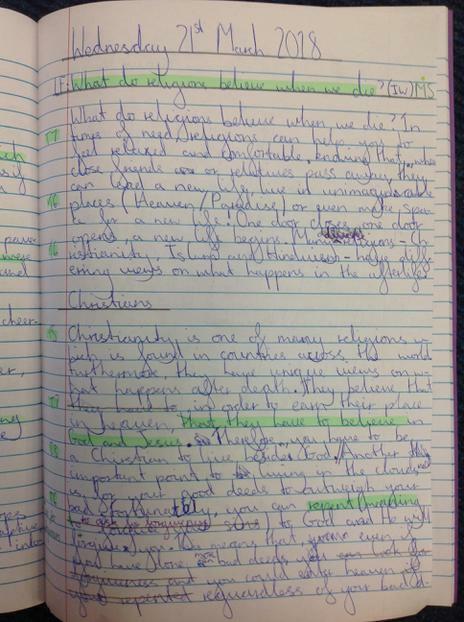 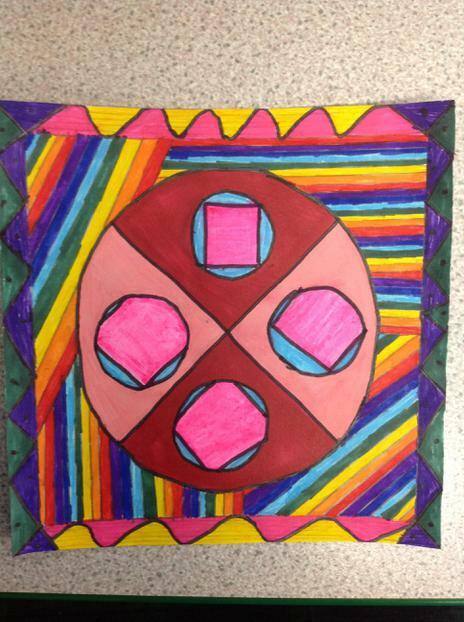 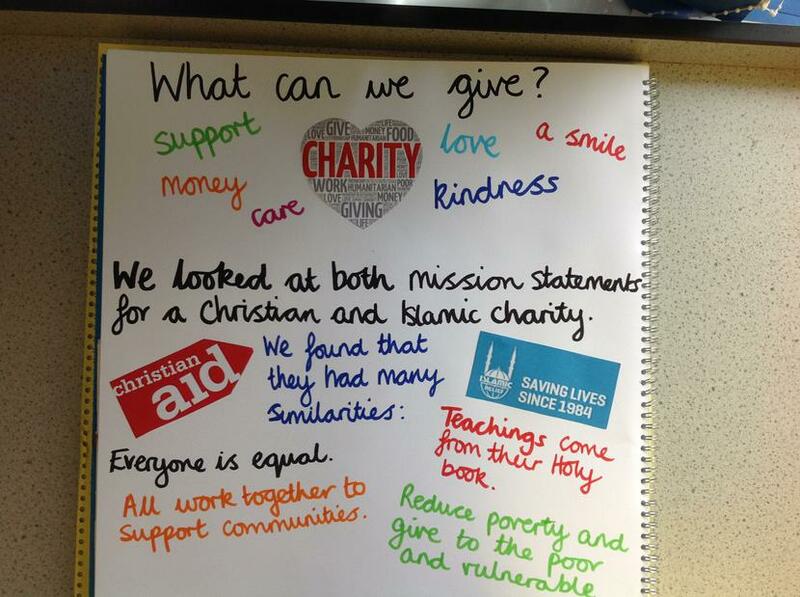 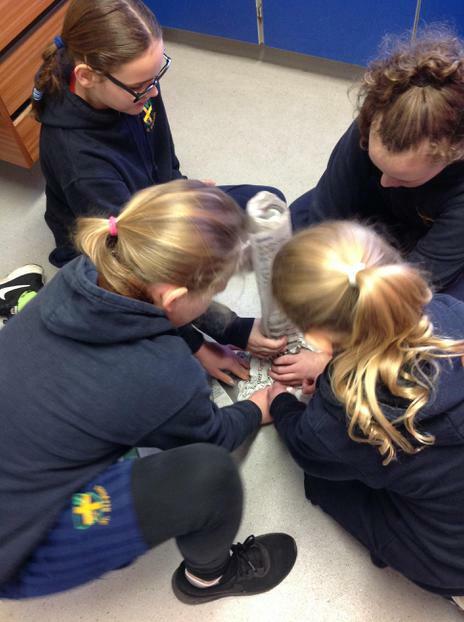 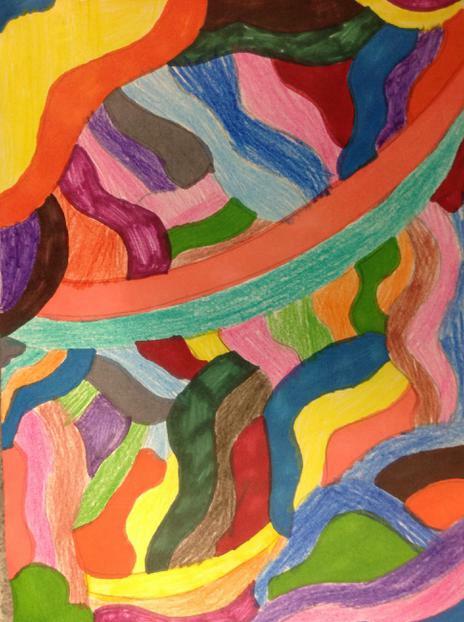 In Term 3, we looked at whether art or charity is the best way to share our faith and show our religious beliefs. 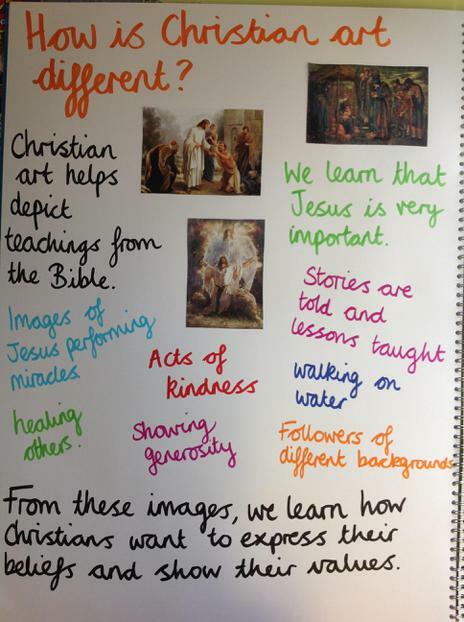 We saw how both faiths have very different styles of art but both believe in the same fundamental values; that we should all work together to support one another as we are all equal. 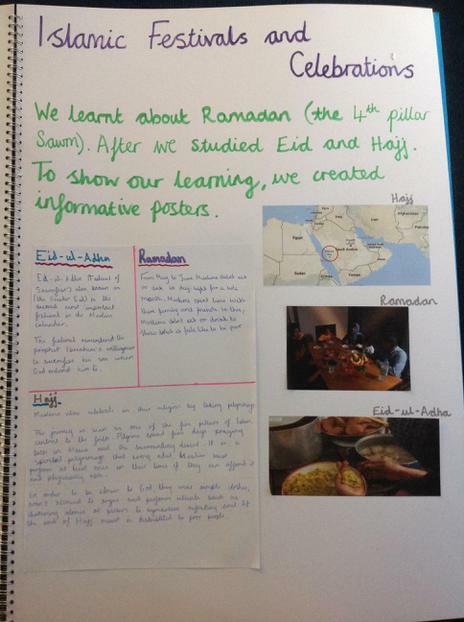 Here are some pictures from our floor book to tell you more. 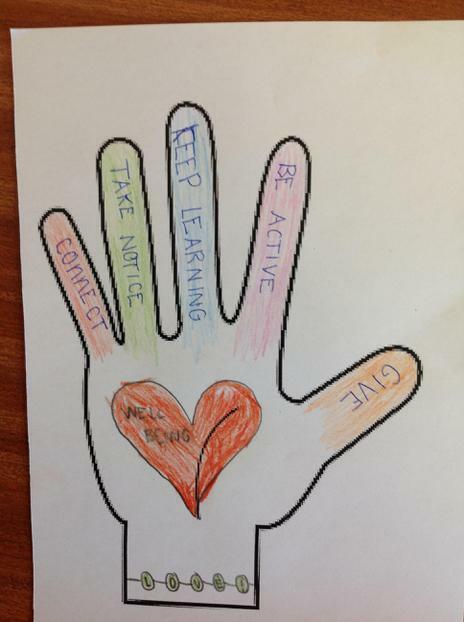 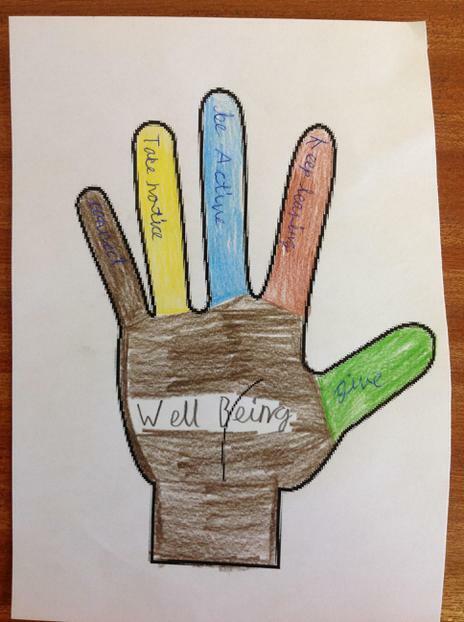 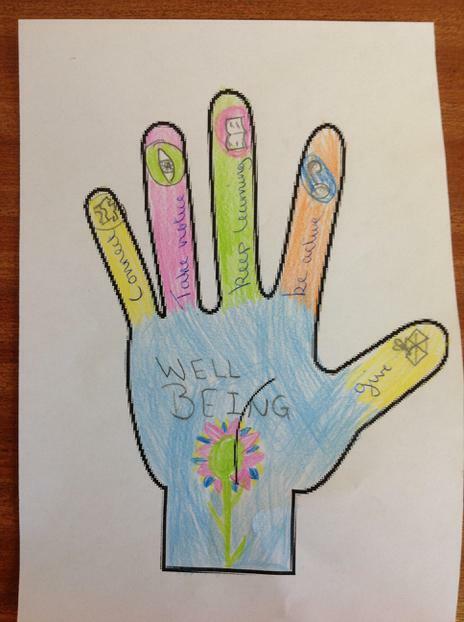 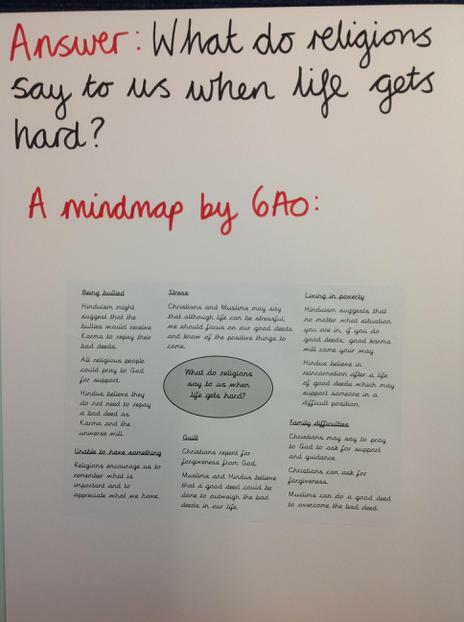 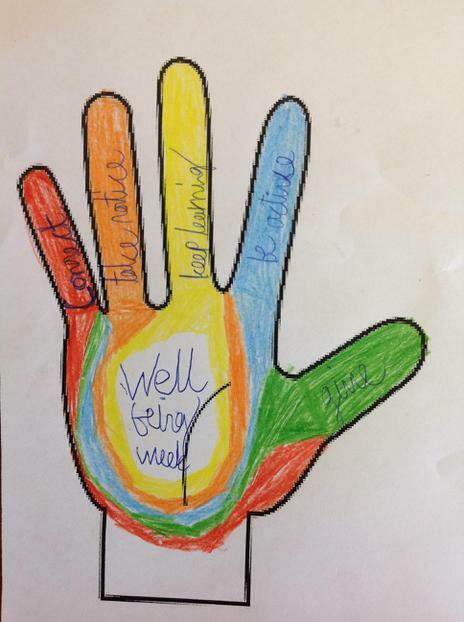 The final week of Term 3 is 'well-being week' which is in line with the national Children's Mental health week. 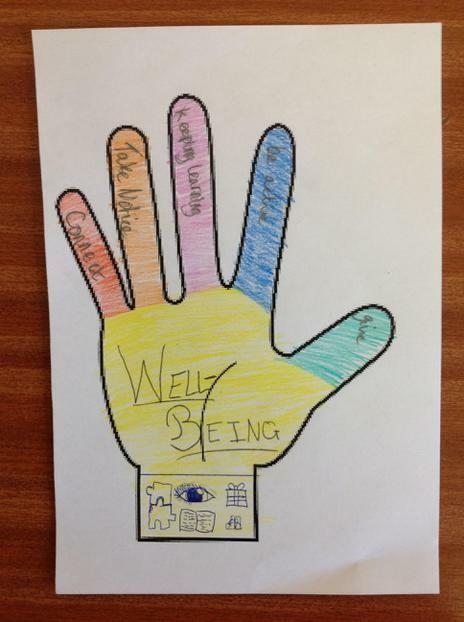 We will be spending time thinking about how we can contribute to our own well-being and good mental health. 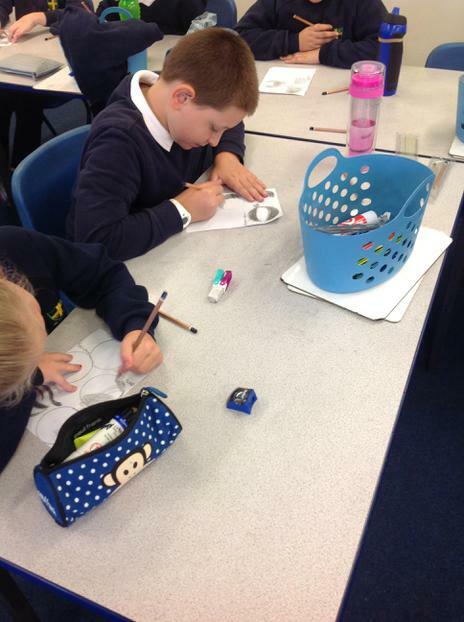 This week we also looked at the book 'It's OK to be different' by Todd Parr. 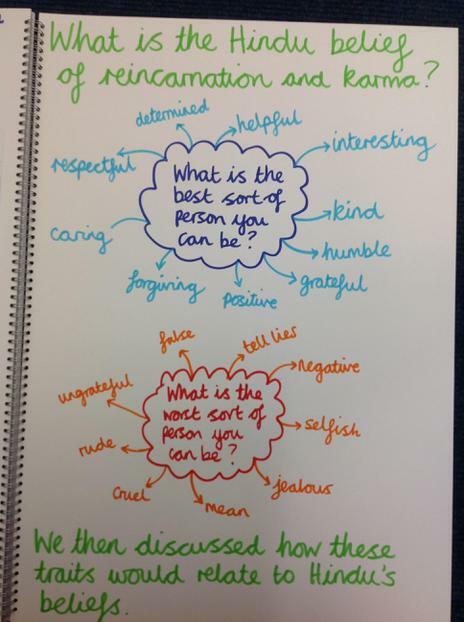 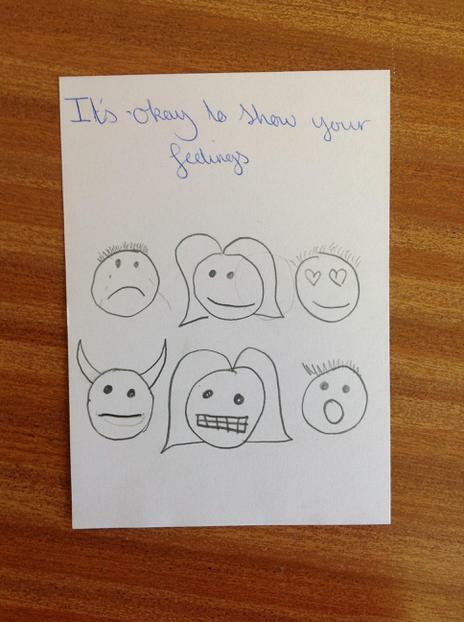 We discussed the differences people can have and how it makes us who we are. 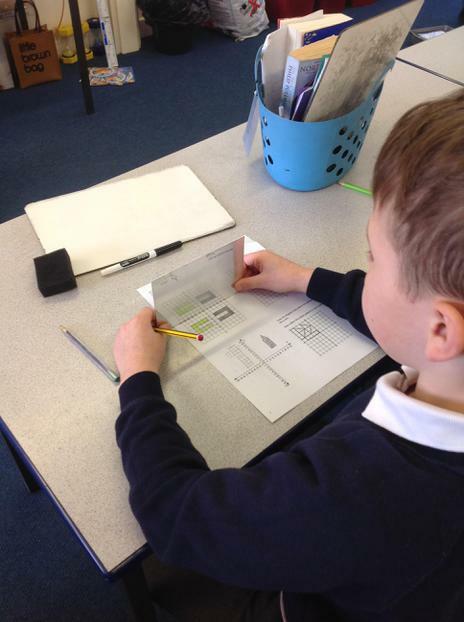 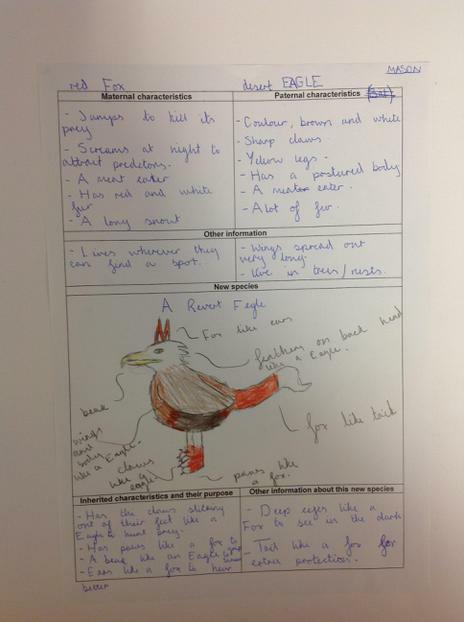 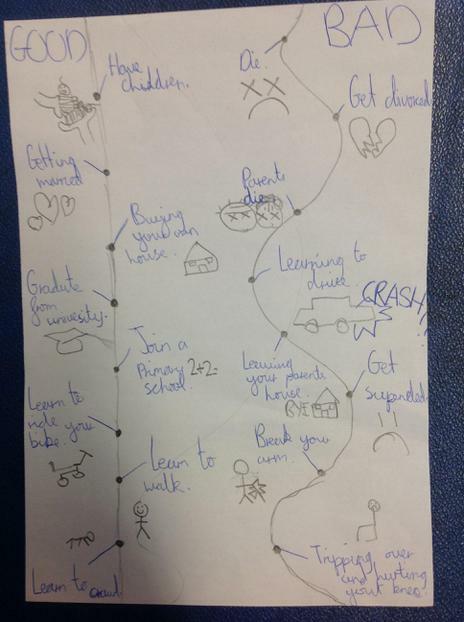 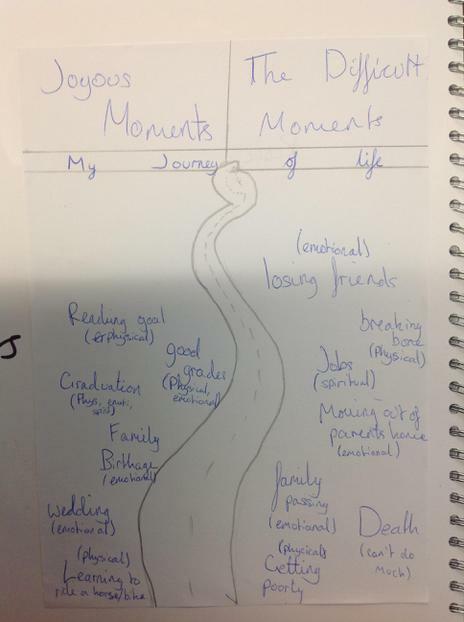 We then designed pages that we thought we could add the the book we read. 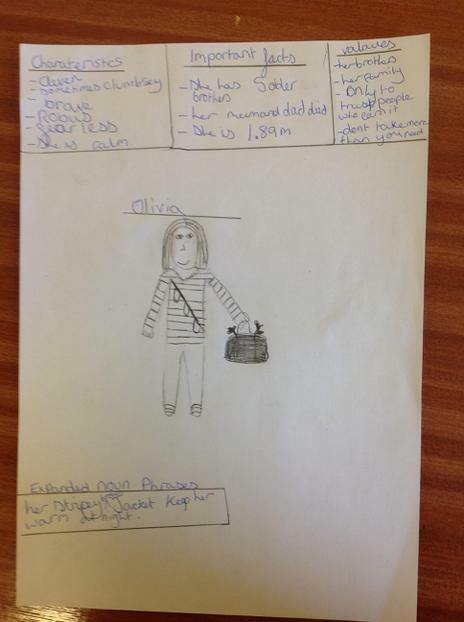 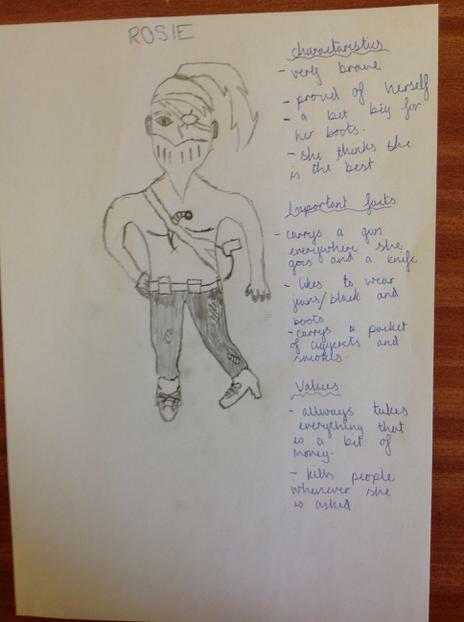 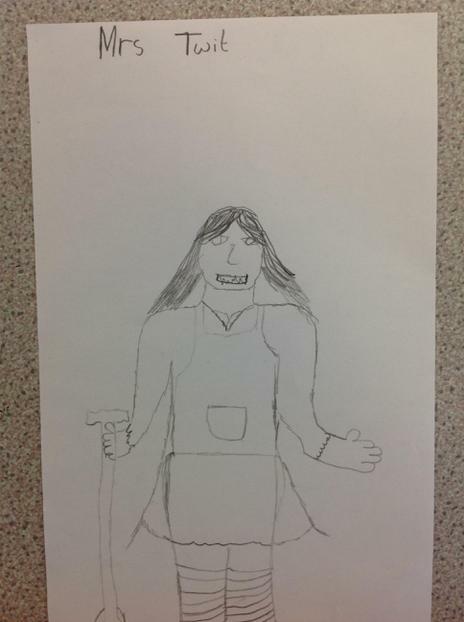 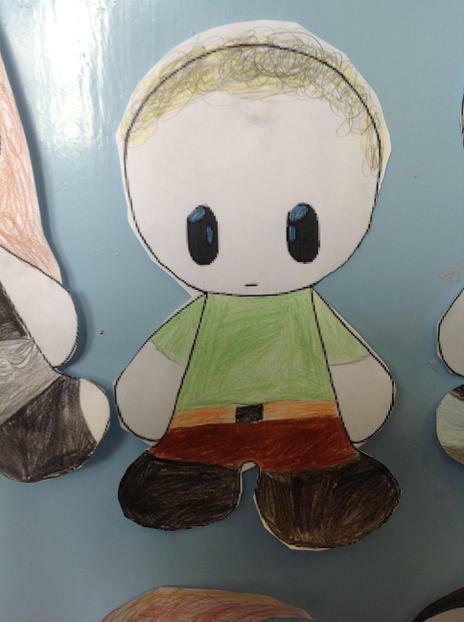 In preparation for writing our own quest stories, we have designed our own characters. 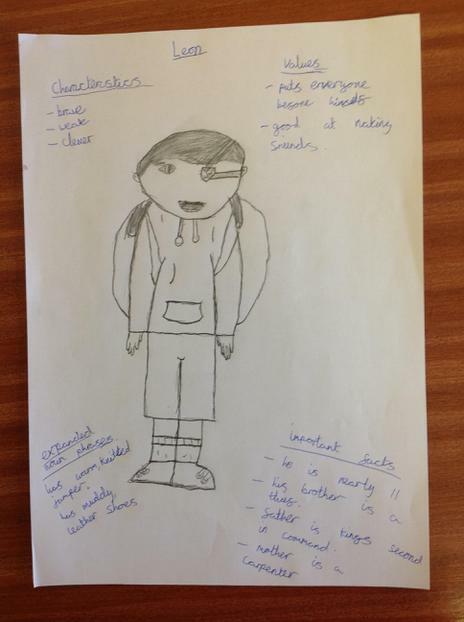 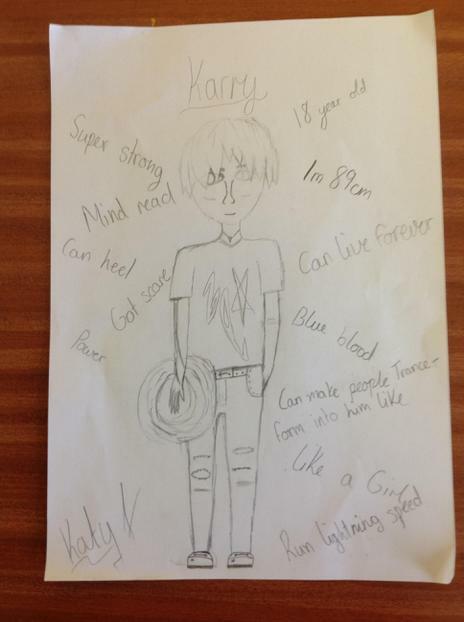 We used our knowledge of Torak in Wolf Brother had to think carefully about what personality traits our character would need to survive on their journey. 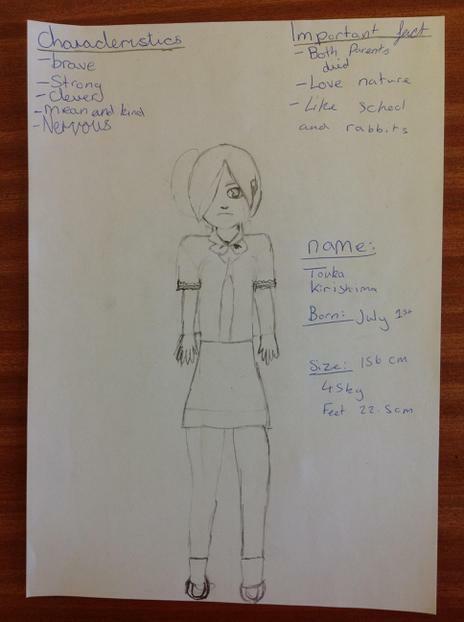 What do we know about our main character so far? 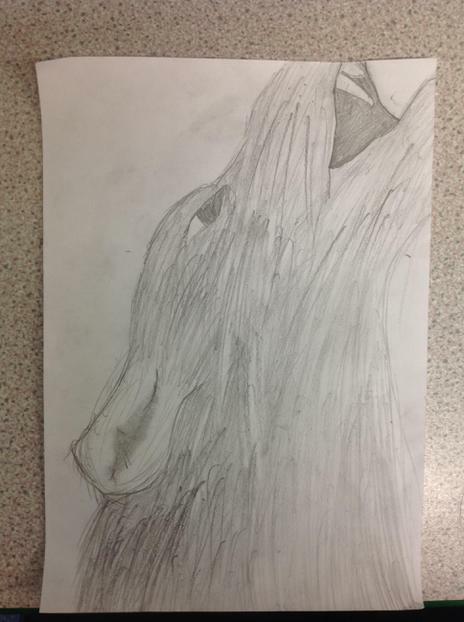 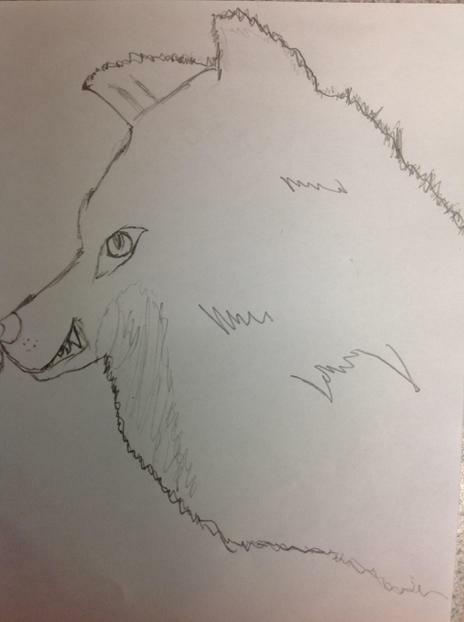 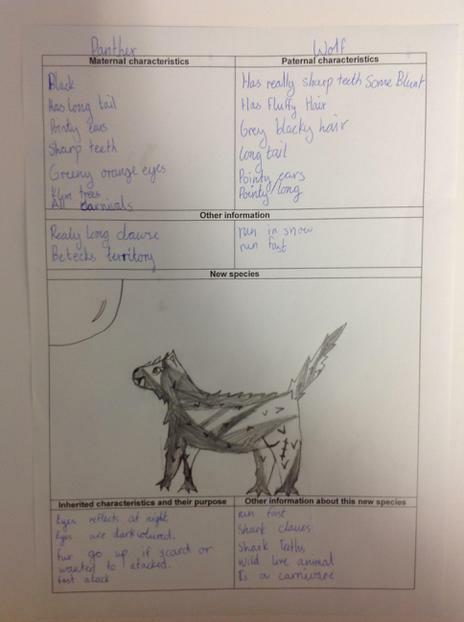 In week three, we have been using pencils to sketch wolves. 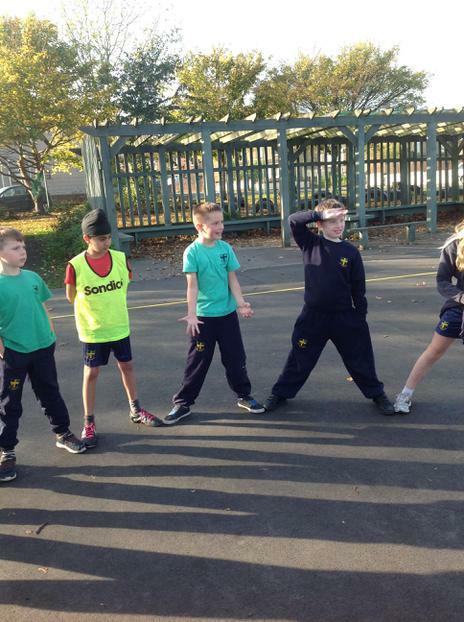 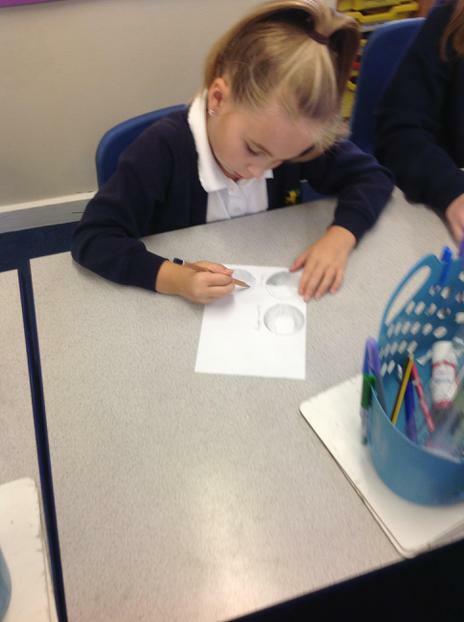 We have looked closely at the shapes which make up their bodies and thought about how they might be positioned. 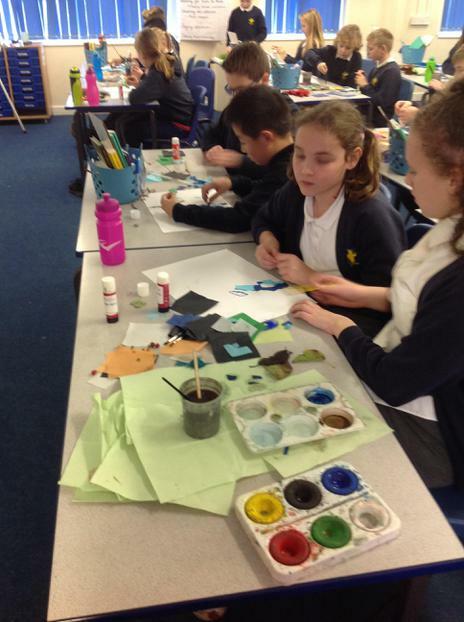 We found that different mediums were useful for different things. 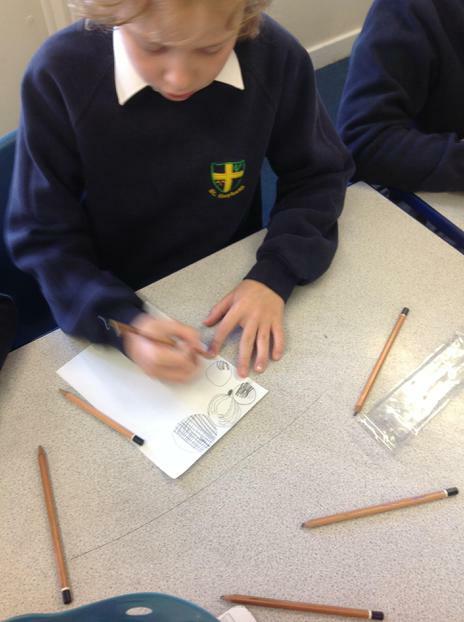 For example, we found it easier to create fine detail with sketch pencils dependent on their thickness. 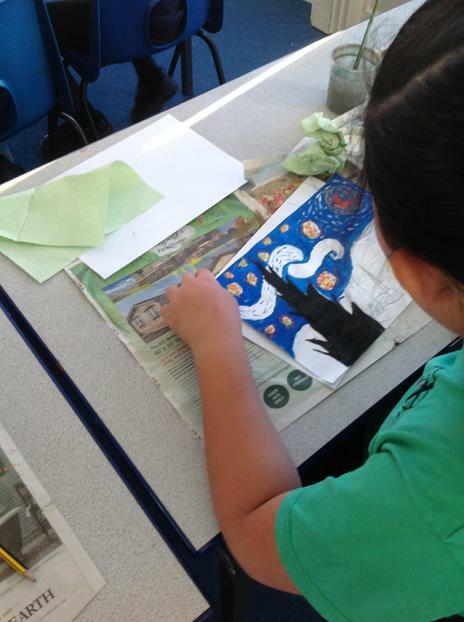 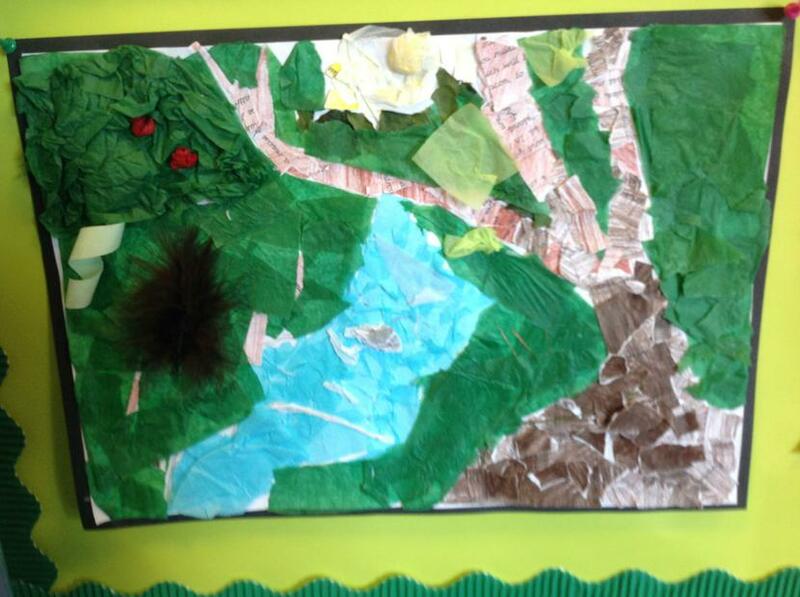 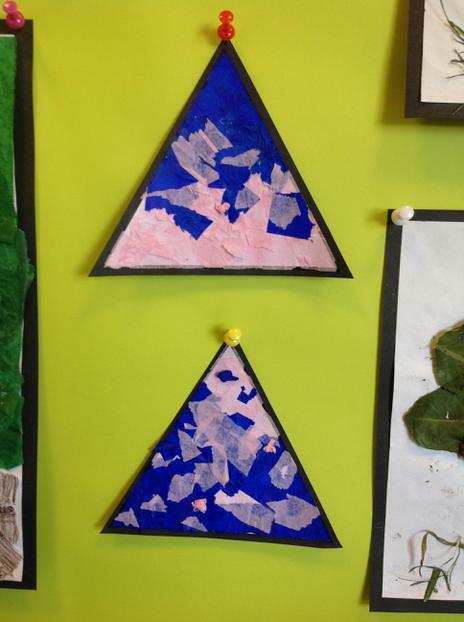 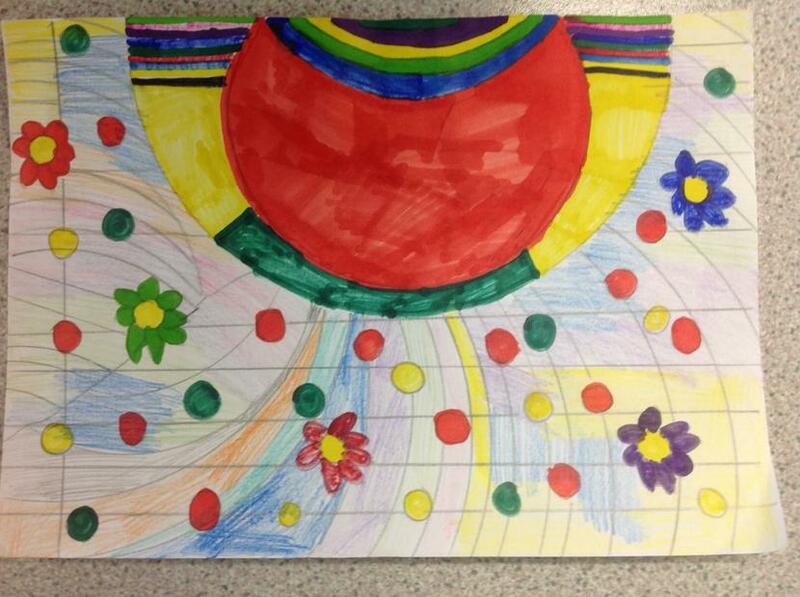 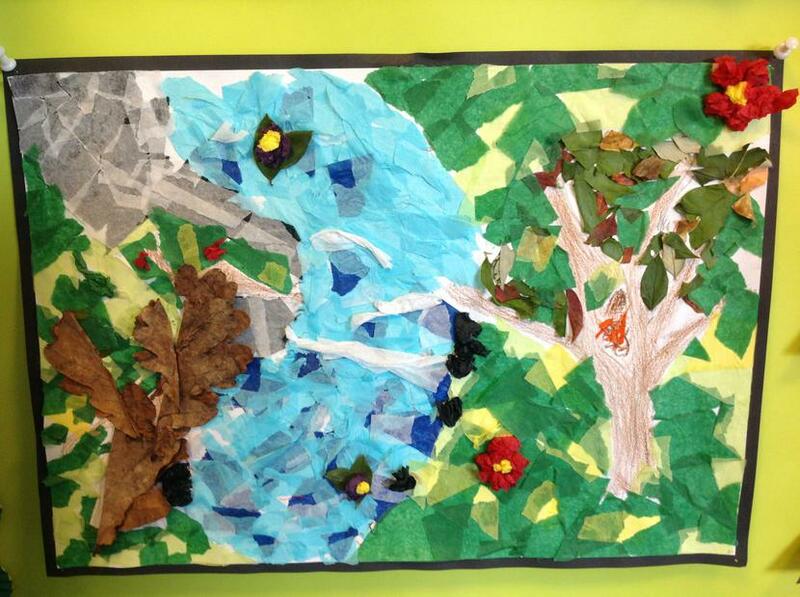 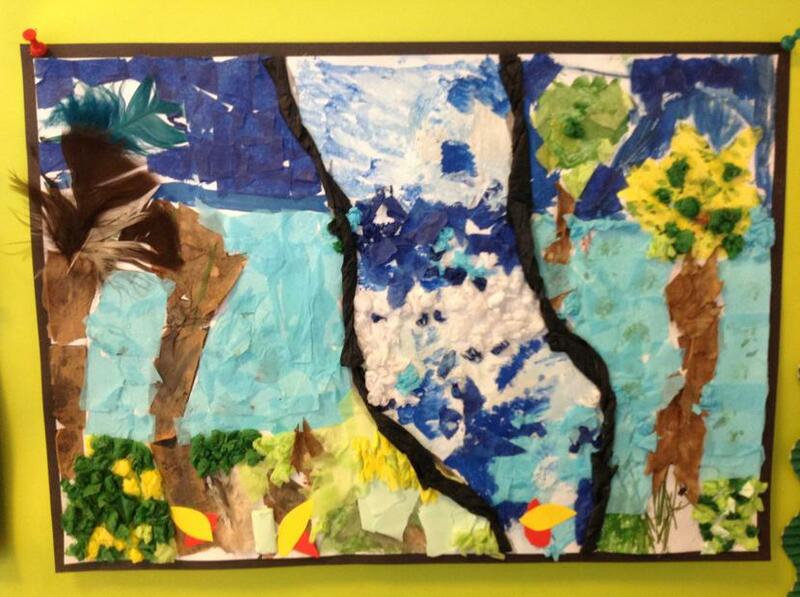 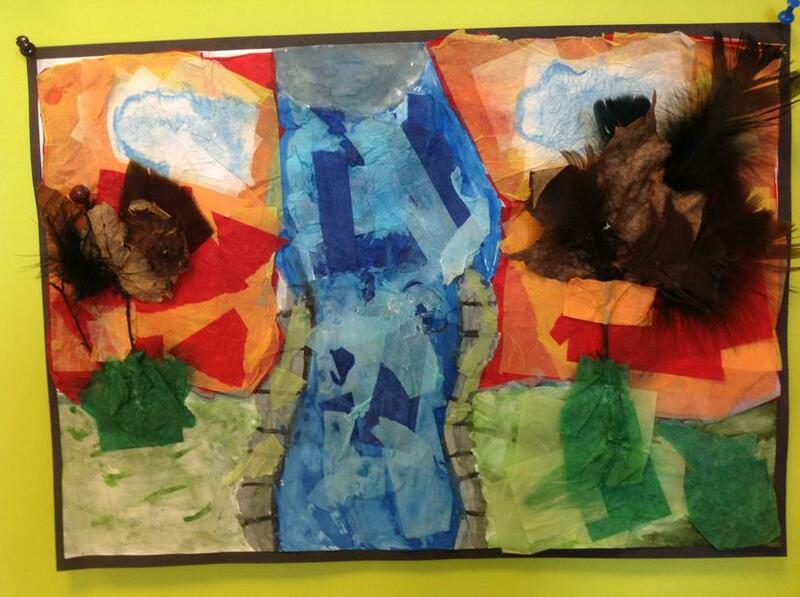 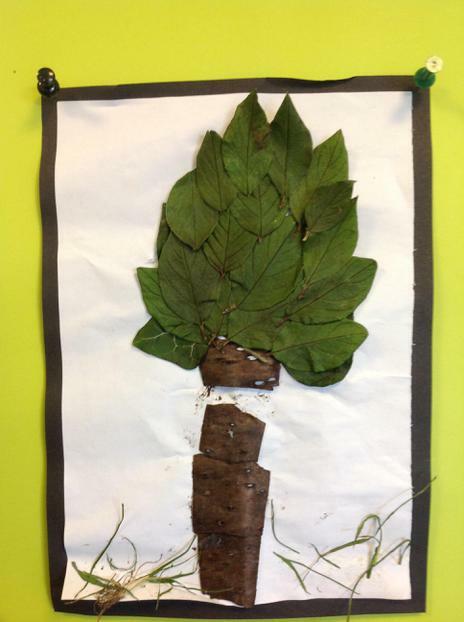 Our art skill this term has been collage. 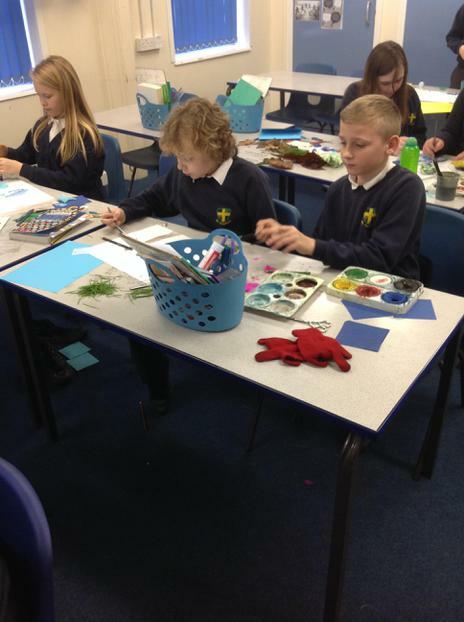 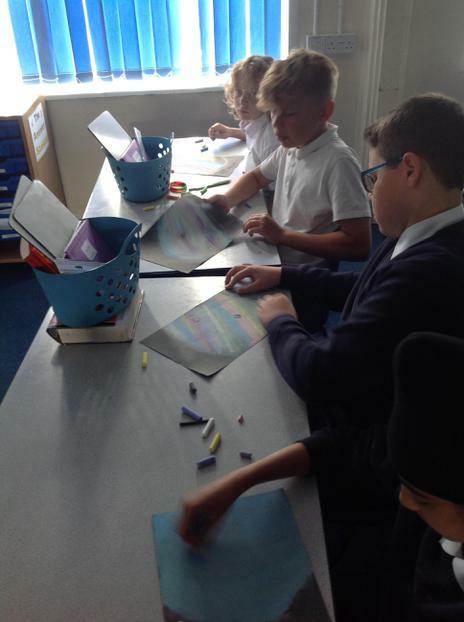 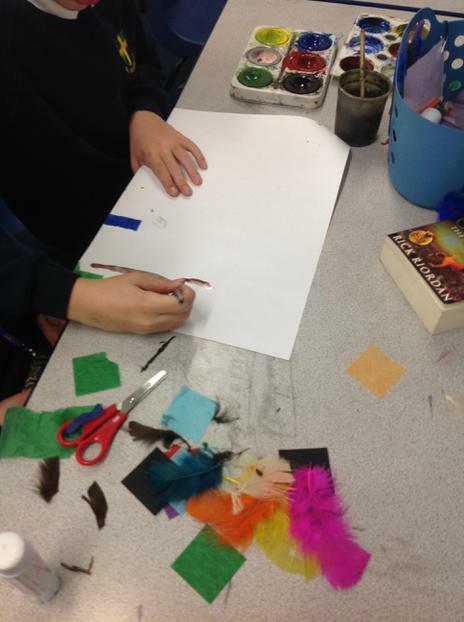 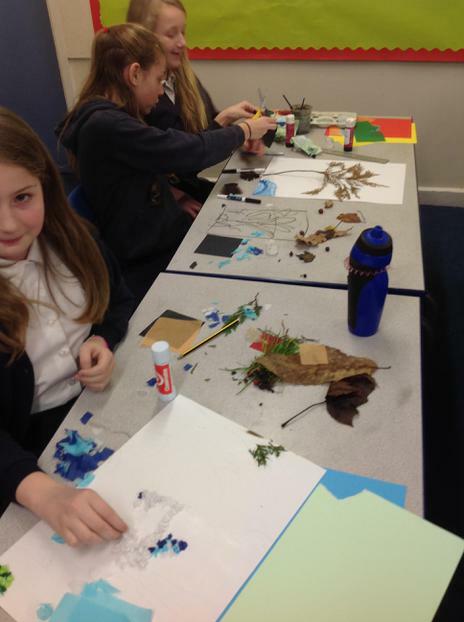 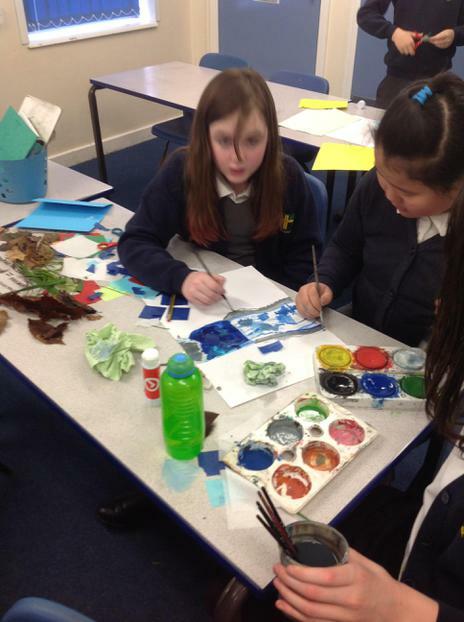 We spent a couple of days learning how to blend colour, practise how to create an image using different materials and then as our prove it, in pairs, we created collages of a forest or nature scene. 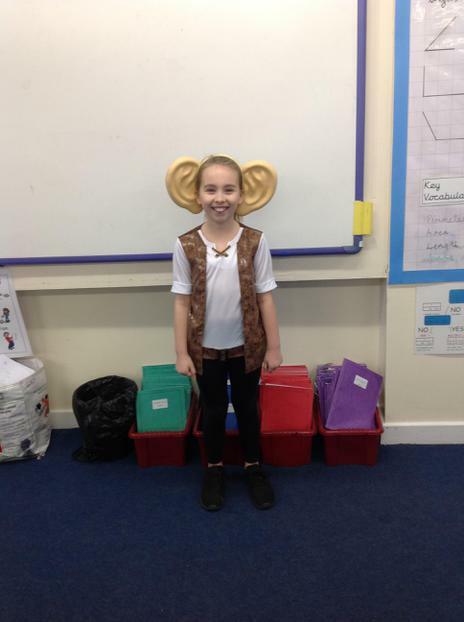 Today we had our class assembly. 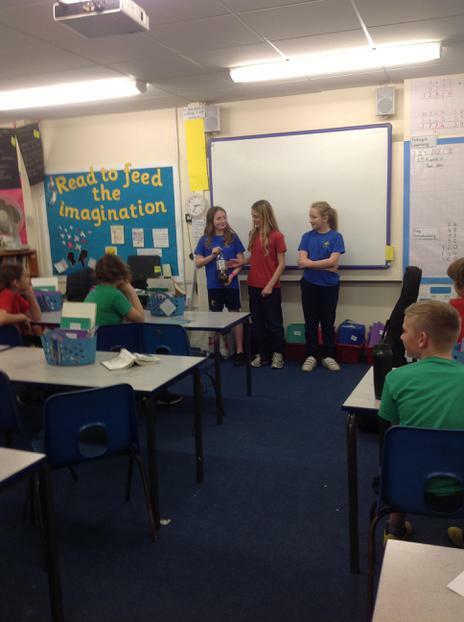 We really enjoyed working collaboratively to present to our school and parents the fantastic learning we have done this term. 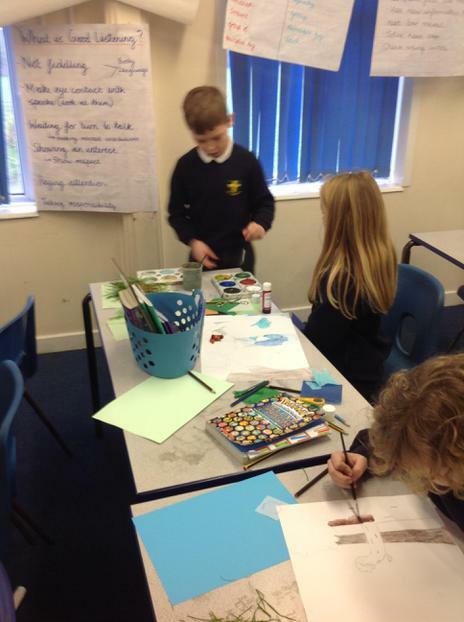 We displayed our art work, presented drama scenes, showed a video and even read extracts from our writing. 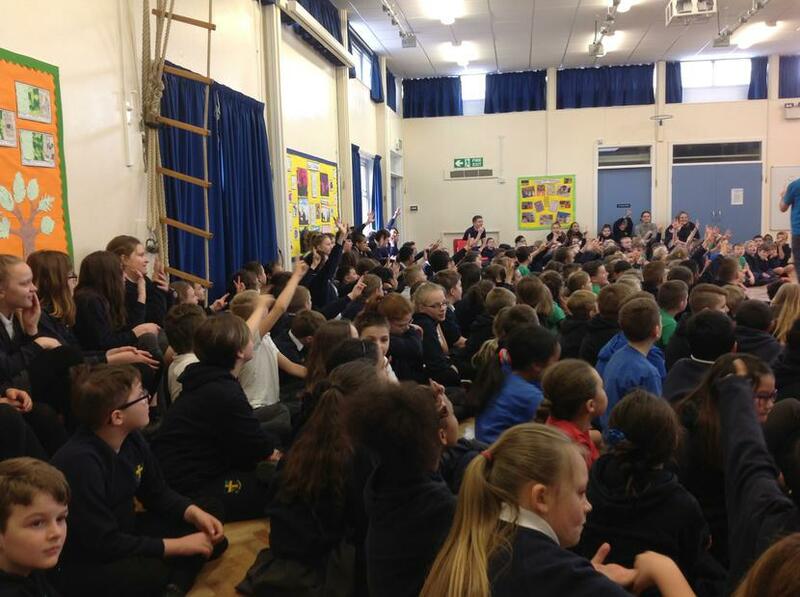 We would like to thank all parents for coming and we hope you enjoyed the performance! 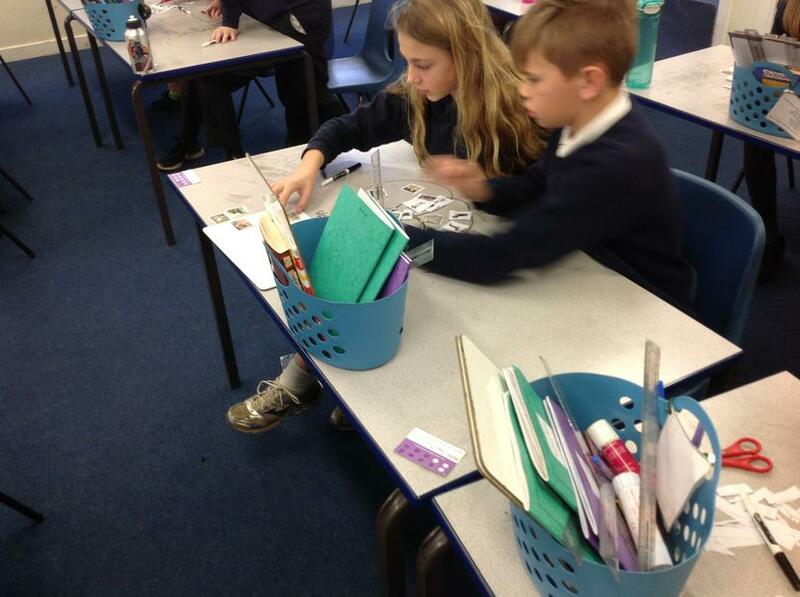 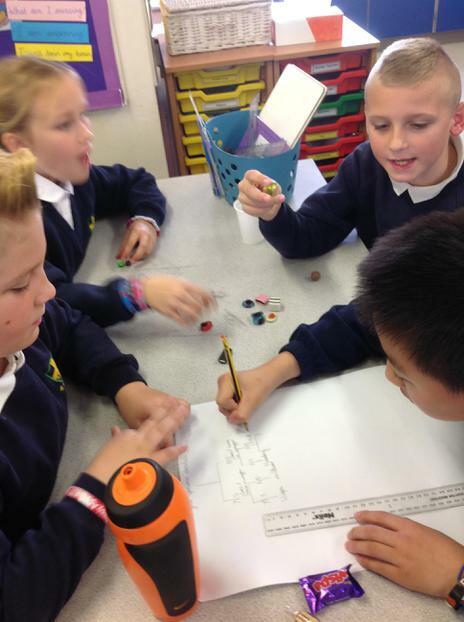 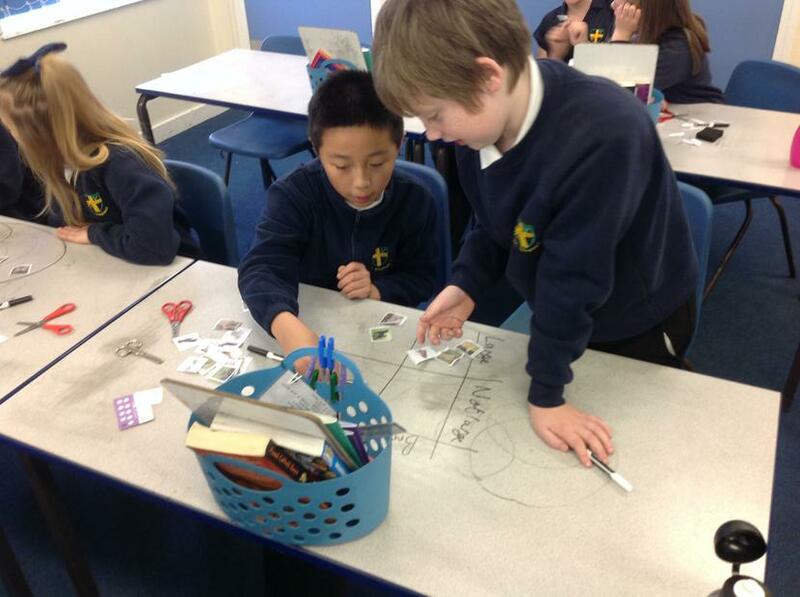 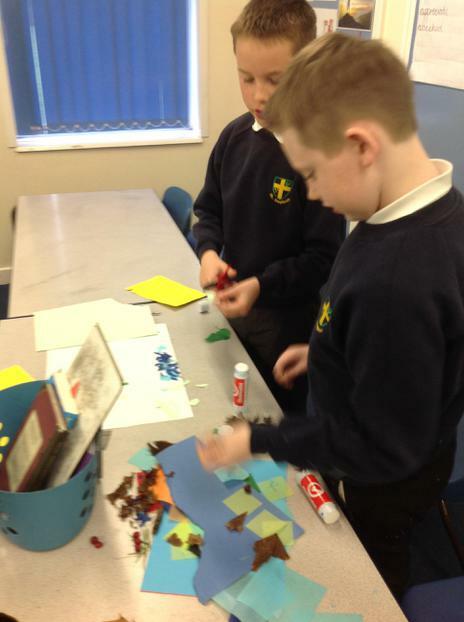 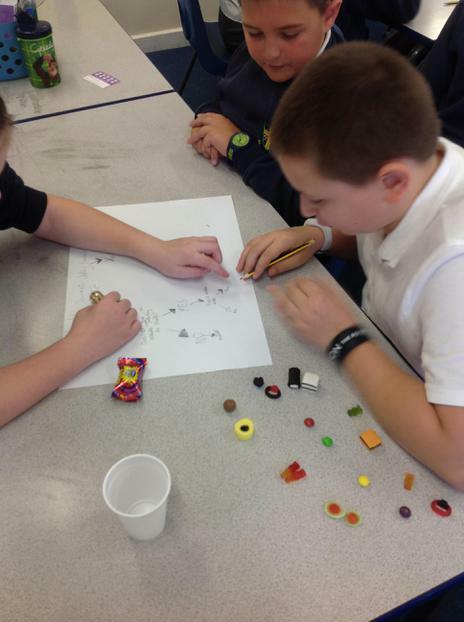 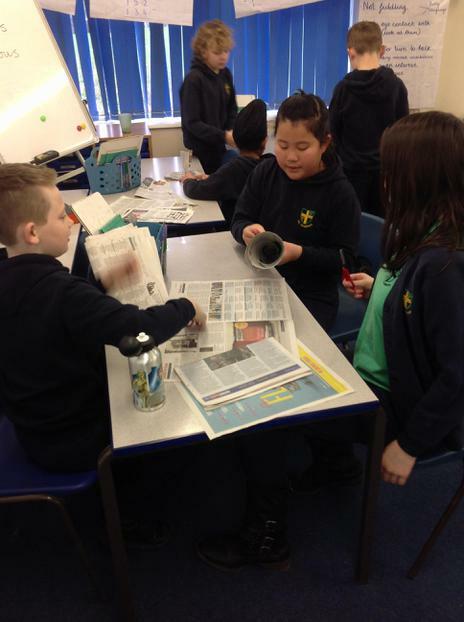 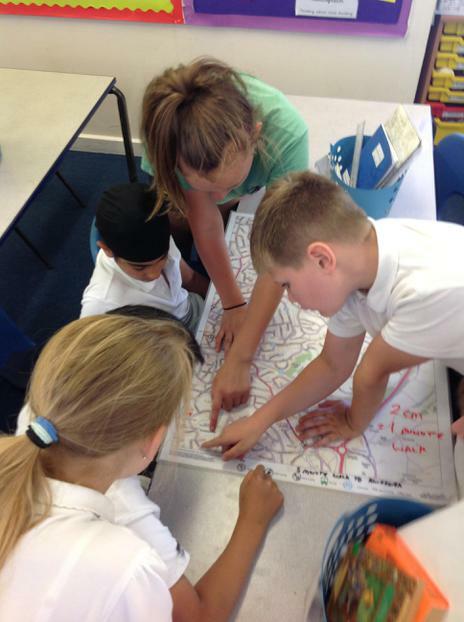 As part of our WOW day we worked collaboratively to create a resource to use if we were abandoned on an island. 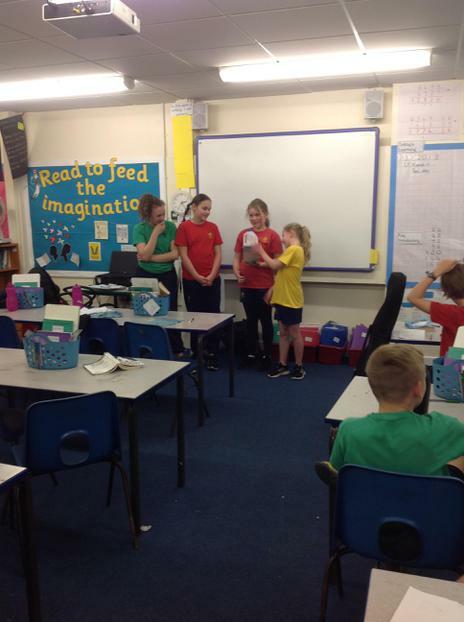 We had great fun working in teams and we learned the importance of sharing roles, listening to each others ideas and creating a plan of action together! 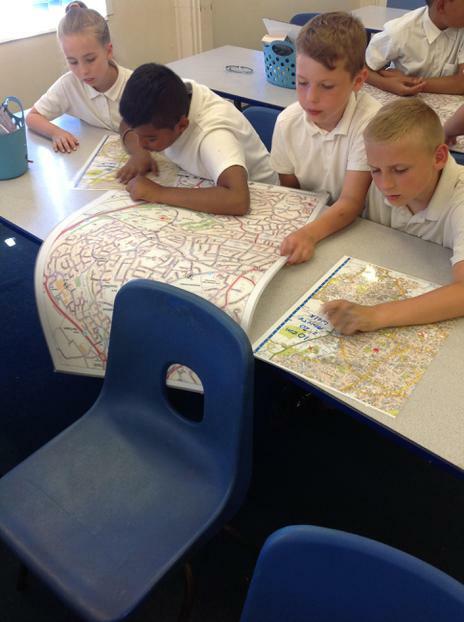 During week two, we were told our new enquiry question, 'Where will your quest take you?' 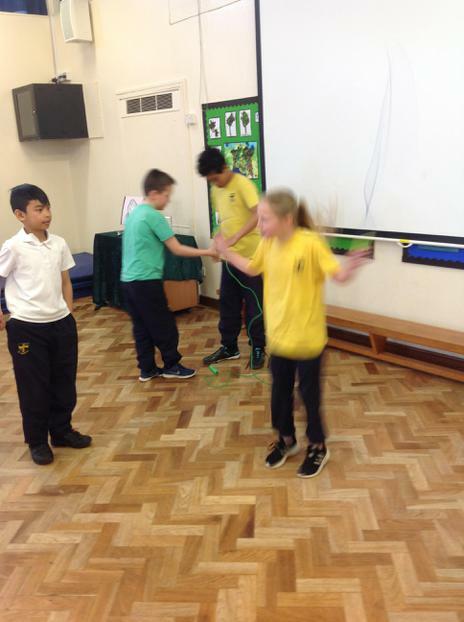 We imagined that we had become stranded on an island and had to complete various quests in order to survive and be rescued. 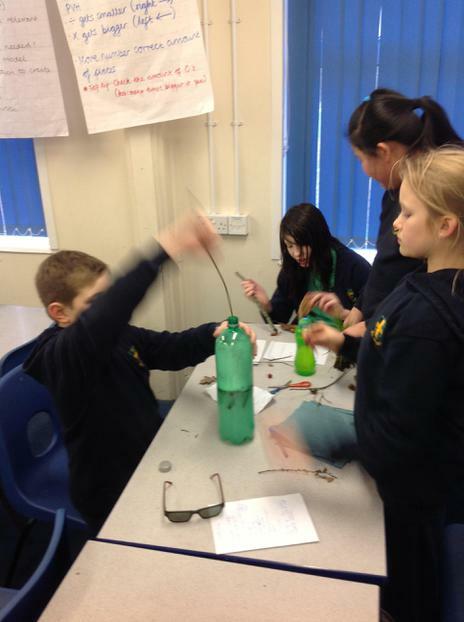 We worked collaboratively to create a light which would signal a passing plane as well as potions to heal wounds and treat illnesses. 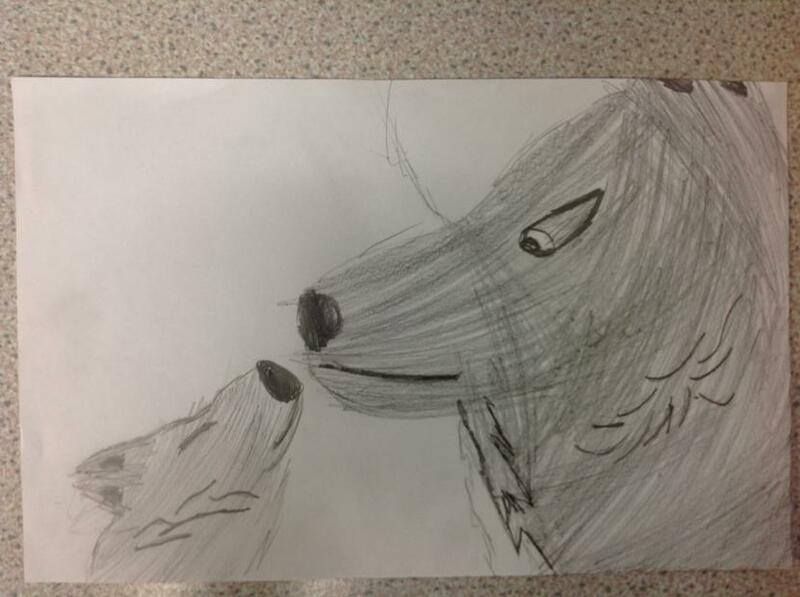 In the afternoon, we were introduced to our new book, 'Wolf Brother'. 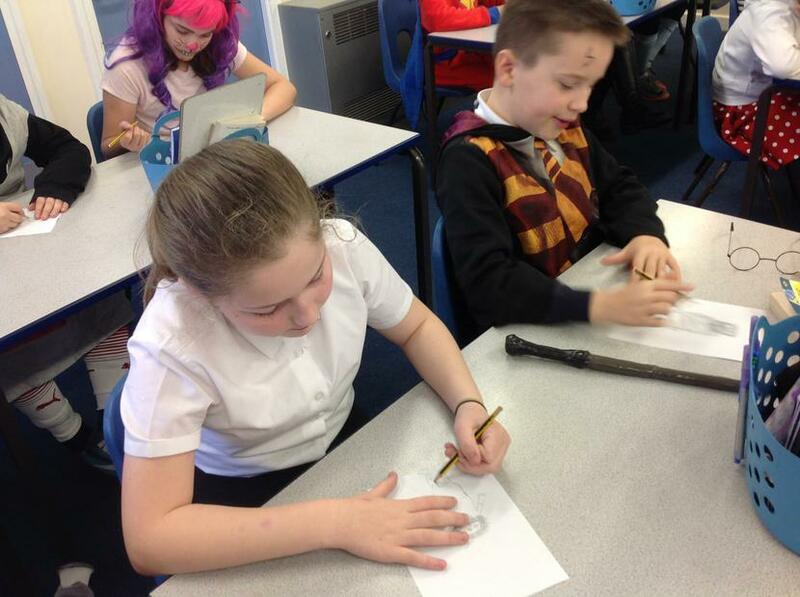 We can't wait to find out more about the characters and their quest! 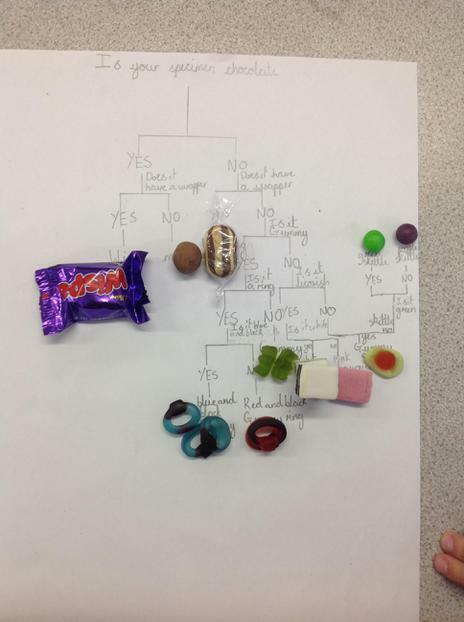 Enquiry title: How do offspring inherit characteristics? 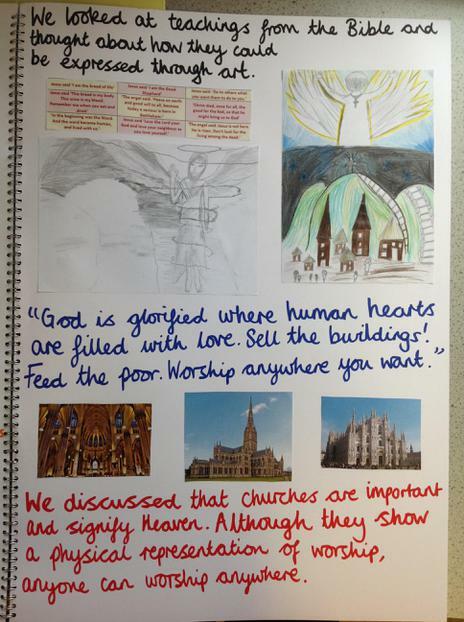 RE Enquiry: What is important to both Humanists and Christians? 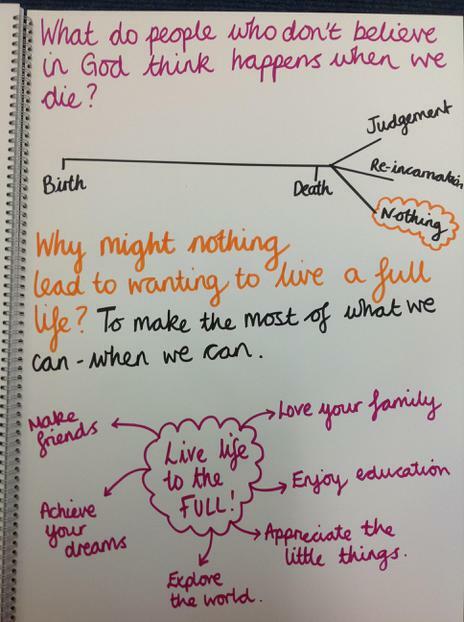 This term, we have been learning all about Humanism. 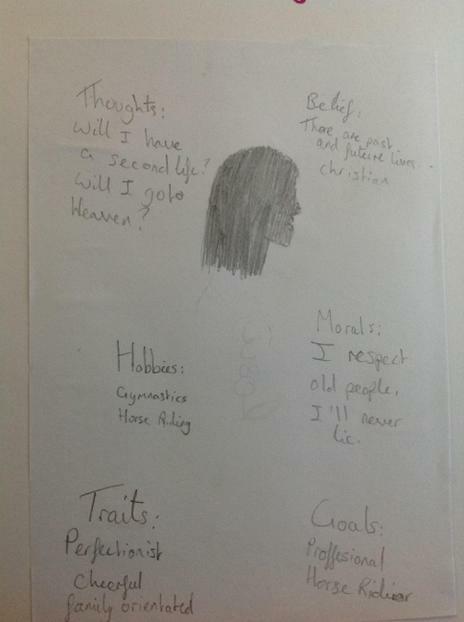 We were interested to learn that, although Humanists do not believe in a God, they share many of the same values as Christians. 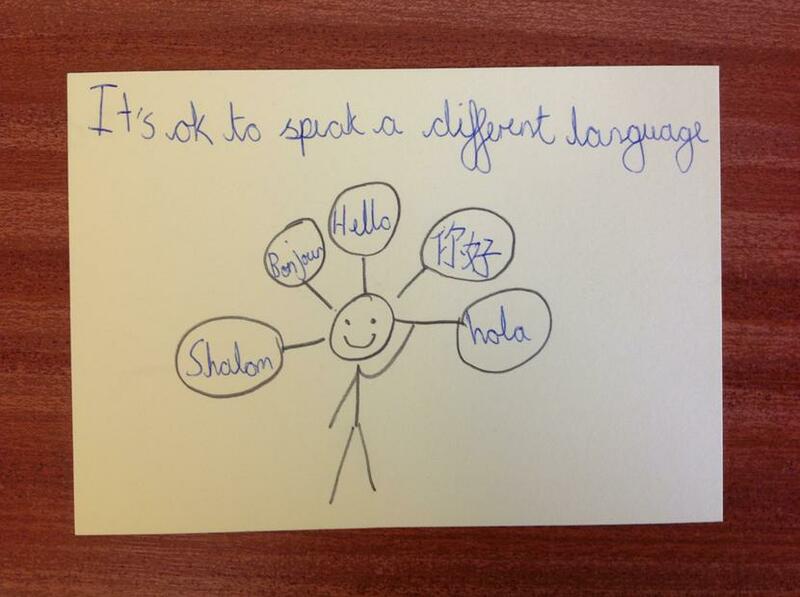 For example, they ask that every one is treated the same, regardless of any differences. 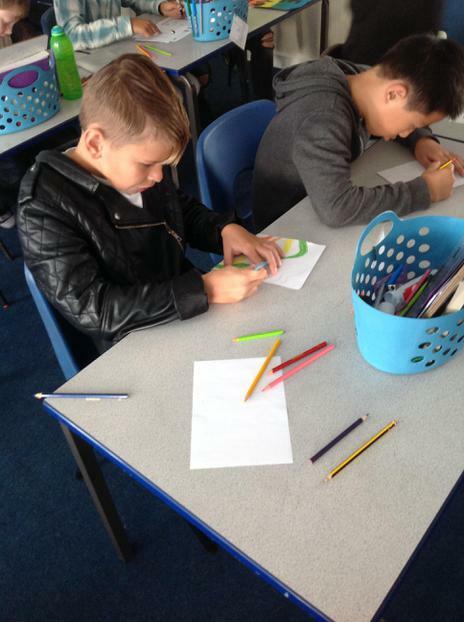 We thought about ways we could be peacemakers in our own lives and talked about how important it is to set good examples for kindness and empathy. 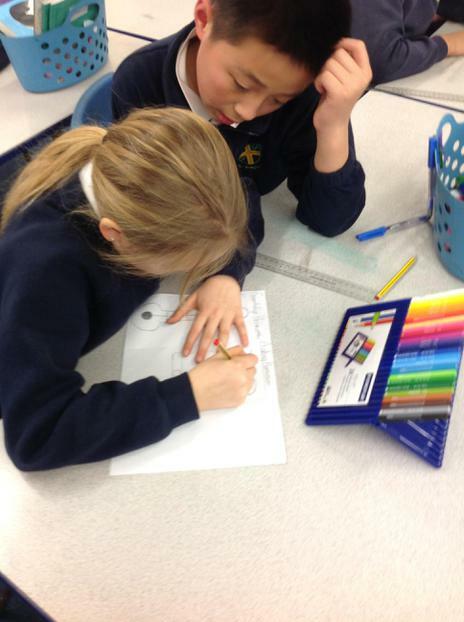 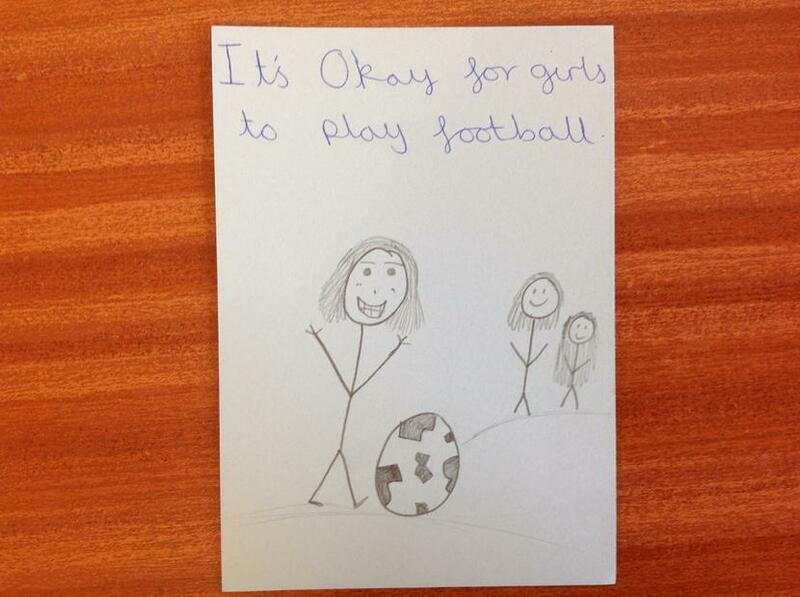 Finally, we created posters to demonstrate the similarities between these two different ways of thinking. 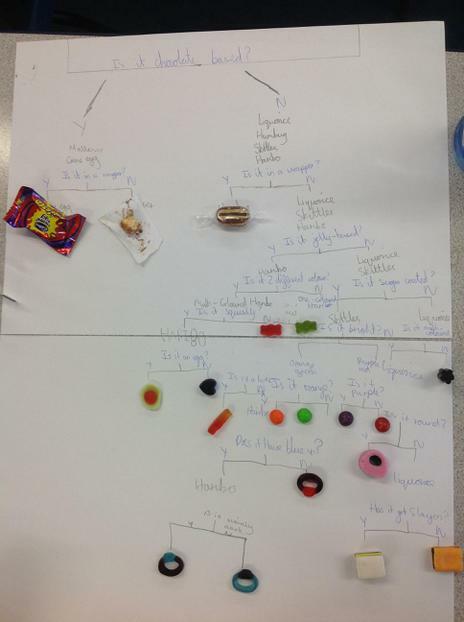 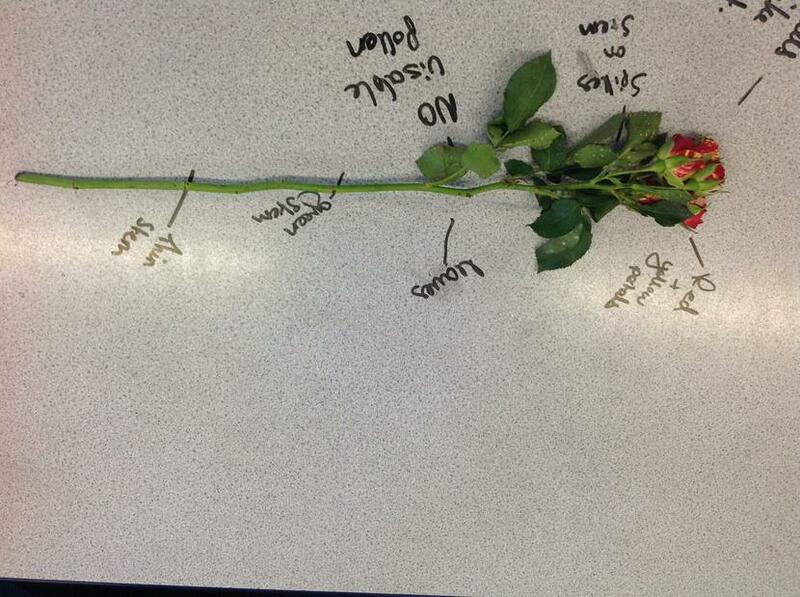 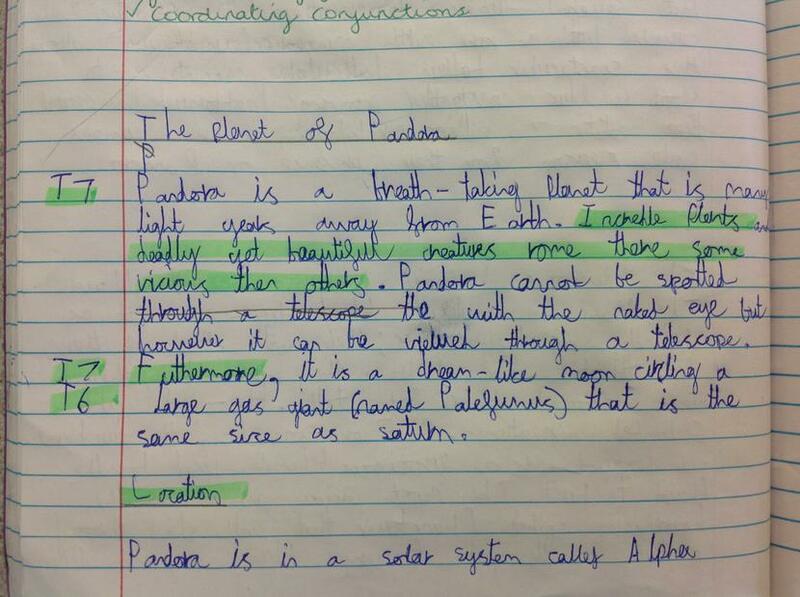 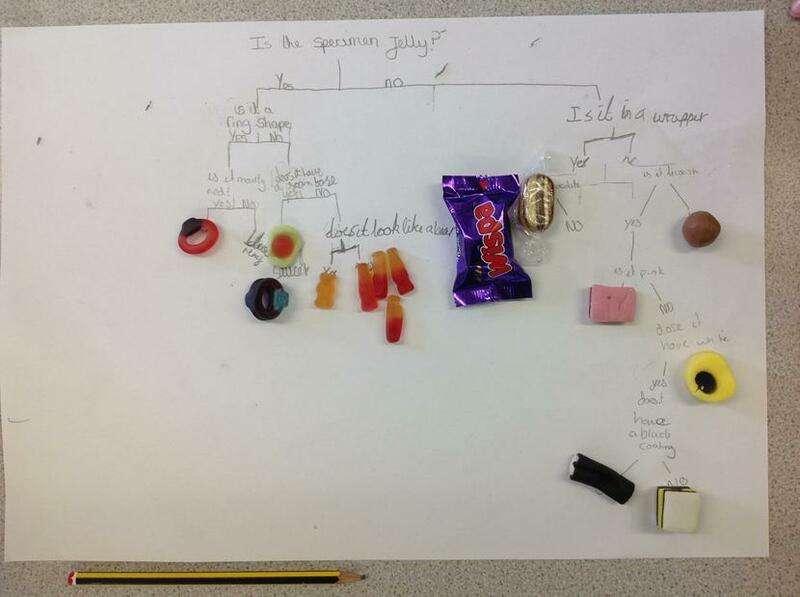 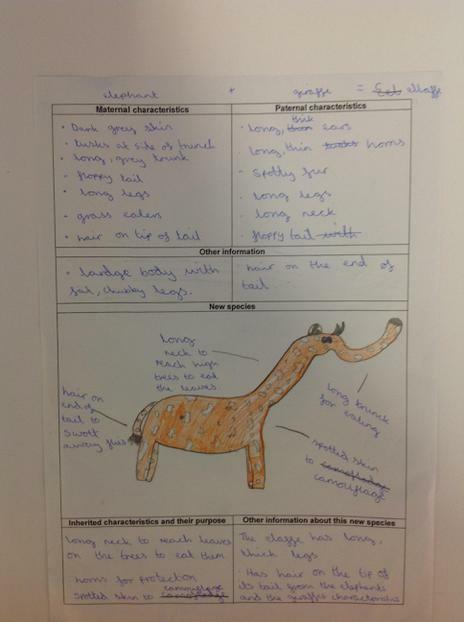 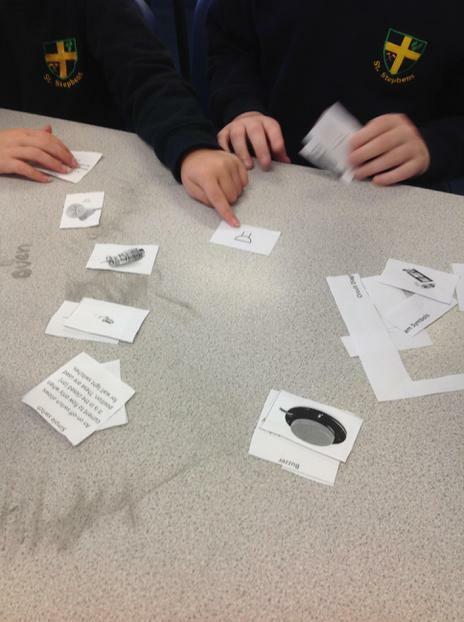 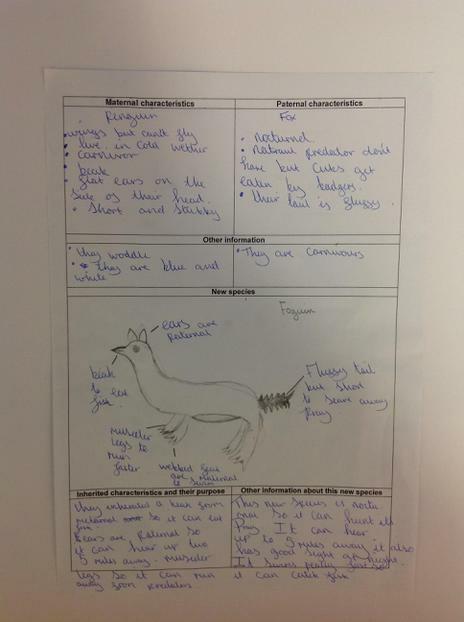 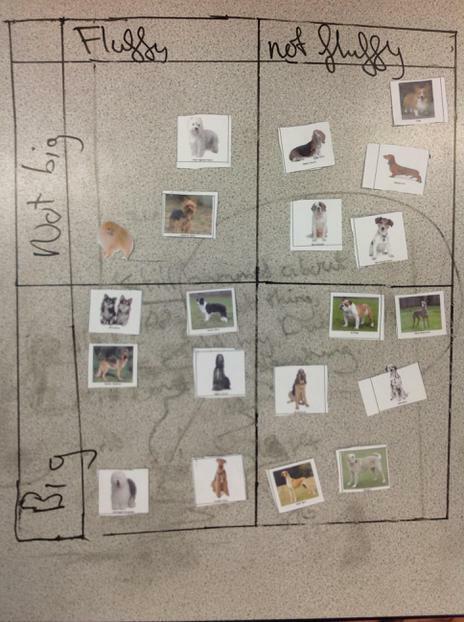 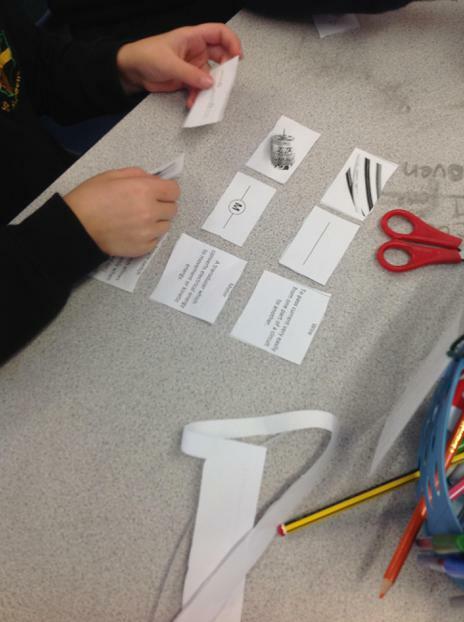 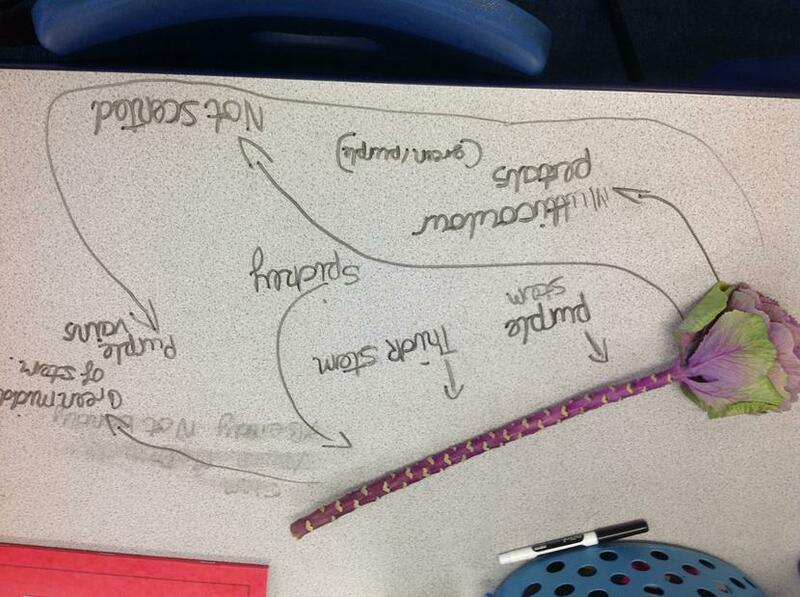 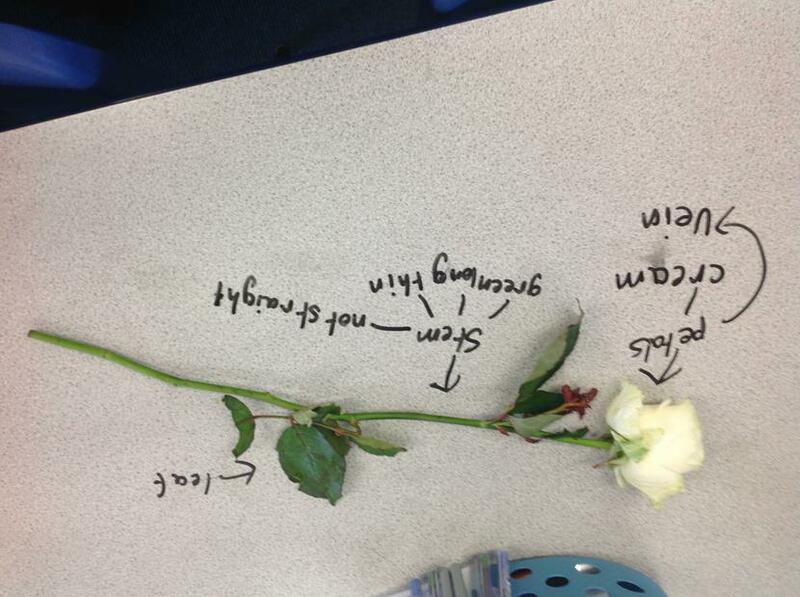 This term, we have been learning all about evolution and inheritance. 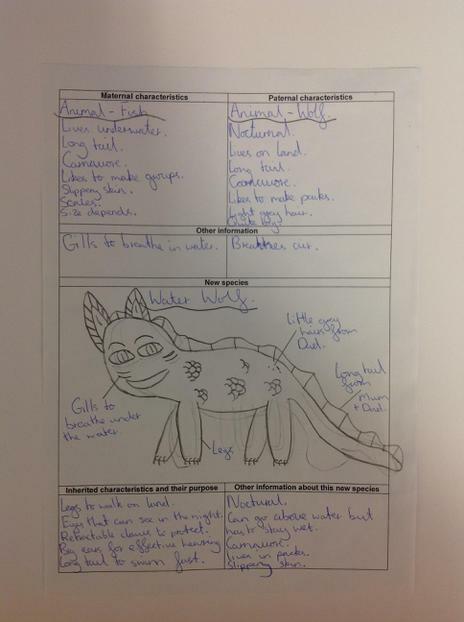 We have found it really interesting to learn how animals have evolved over time in order to adapt to their environments. 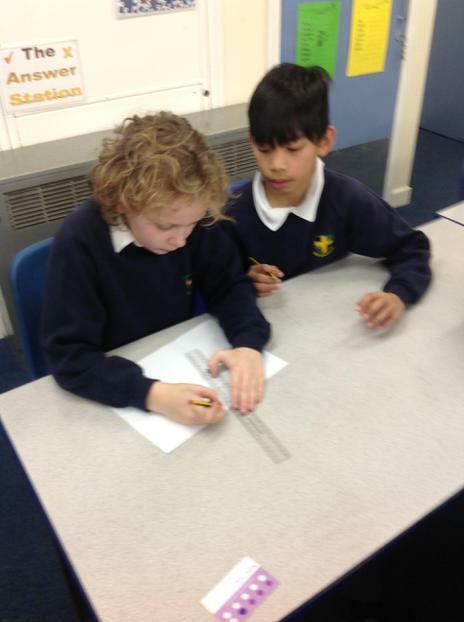 Our new knowledge has helped us to understand why we are all different. 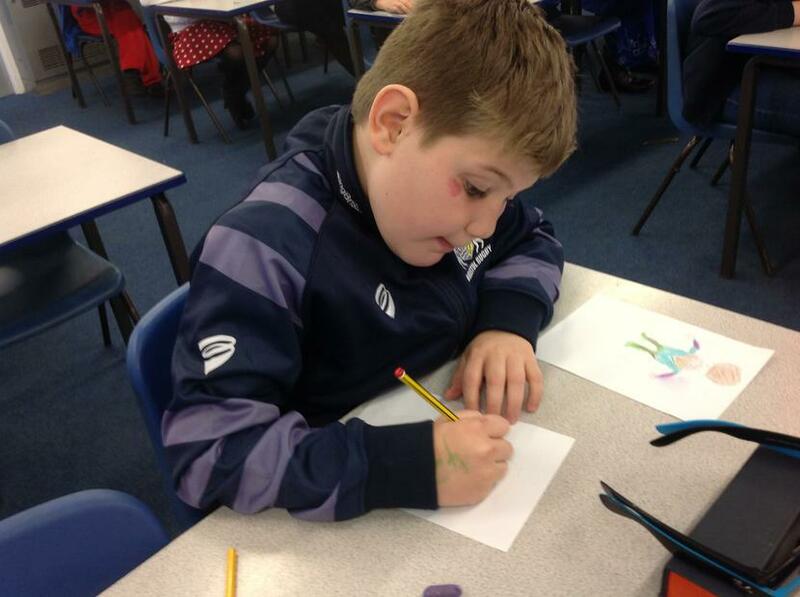 It has also helped us understand why some people suffer from genetic conditions such as Treacher Collins Syndrome. 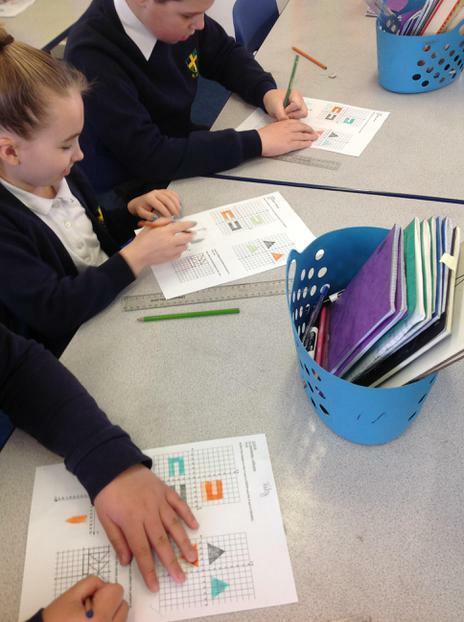 In ICT this term, we are learning how to program information. 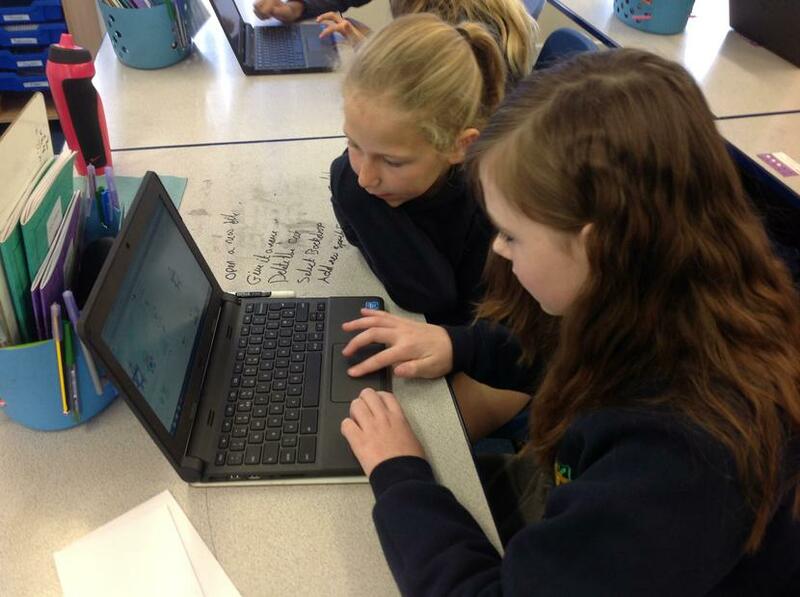 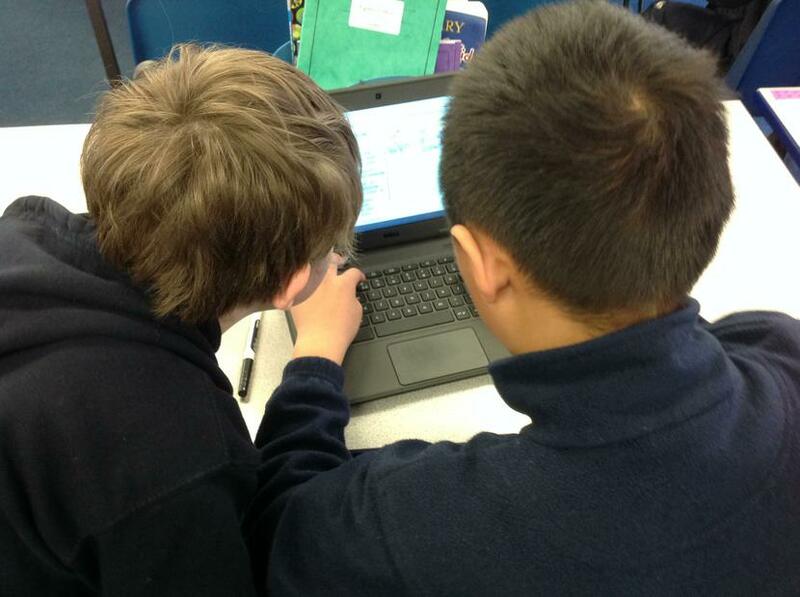 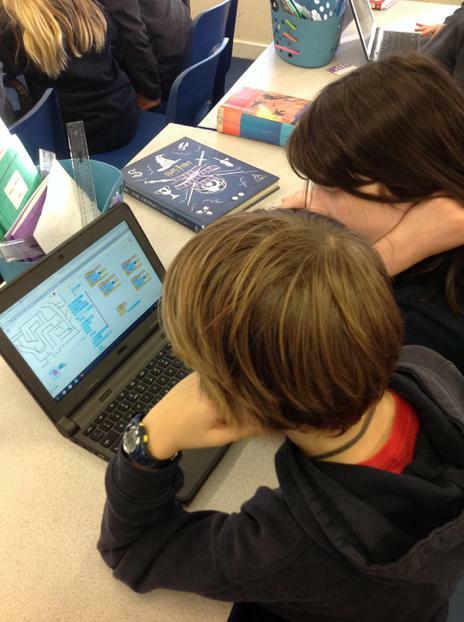 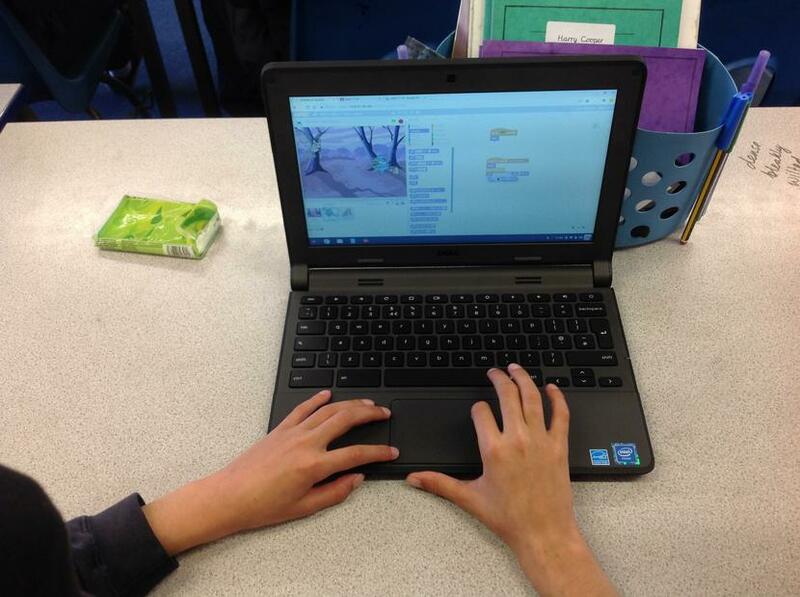 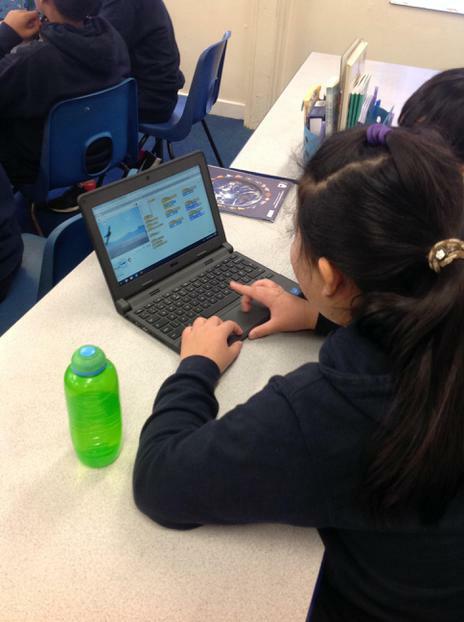 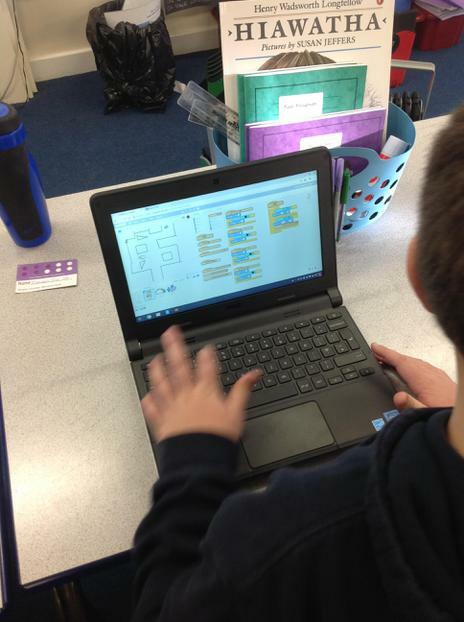 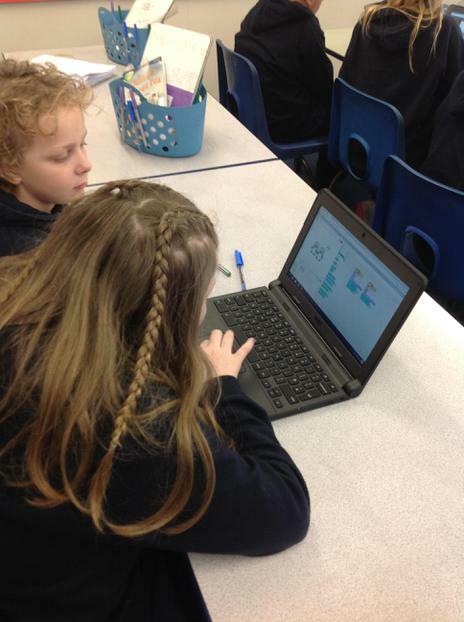 Using Scratch, we learned how to create our own algorithms in order to produce different outputs. 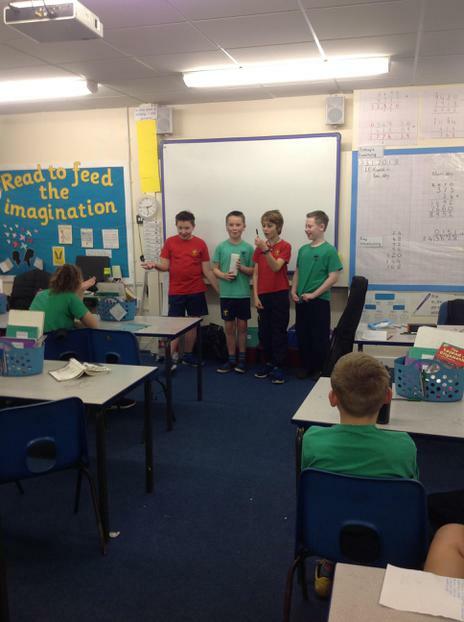 For example, we now know how to change the script in order to animate the sprites and make them communicate with one another. 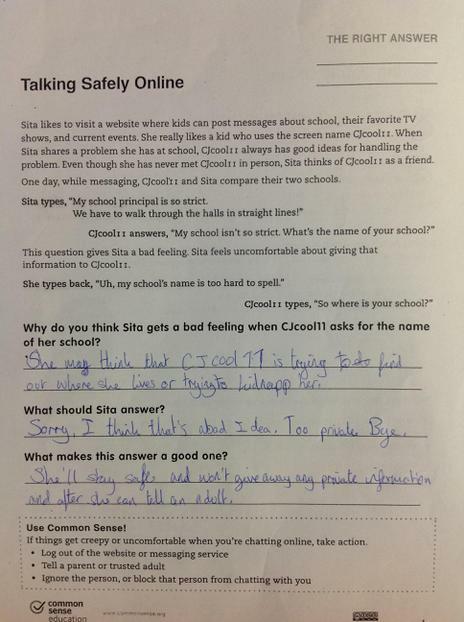 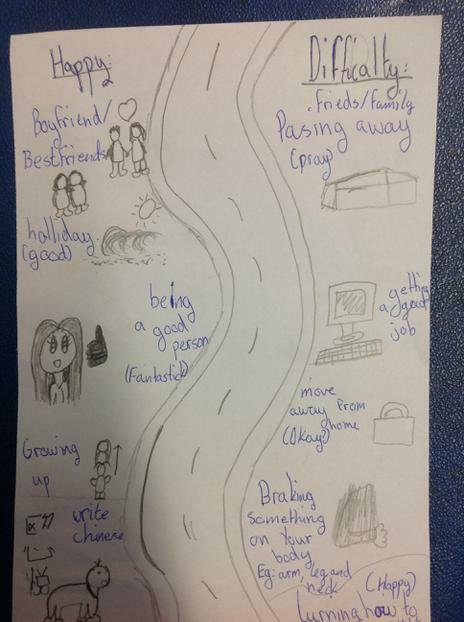 This term we are thinking about how to talk safely while using apps or the Internet. 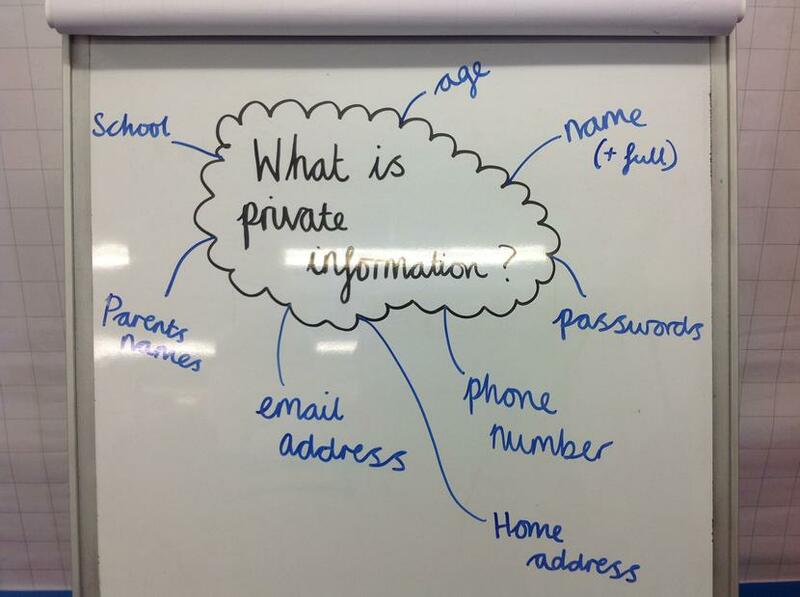 We considered what kind of information is private and how to respond if someone online asks you to share information. 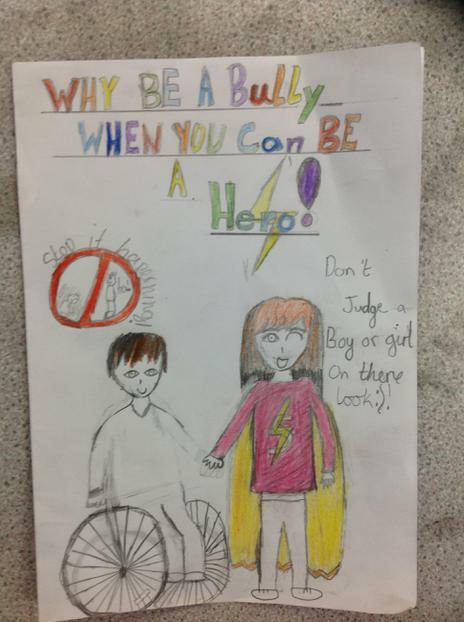 This week is anti-bullying week. 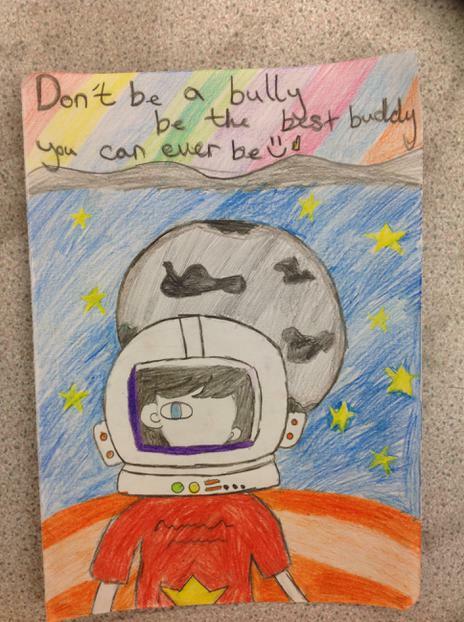 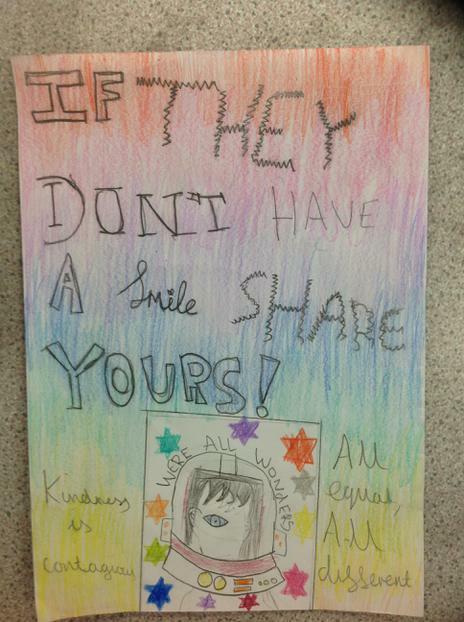 As we have been thinking about Wonder, a book which looks at hurtful comments towards people who are 'different', we decided to combine the two ideas and create anti bullying posters. 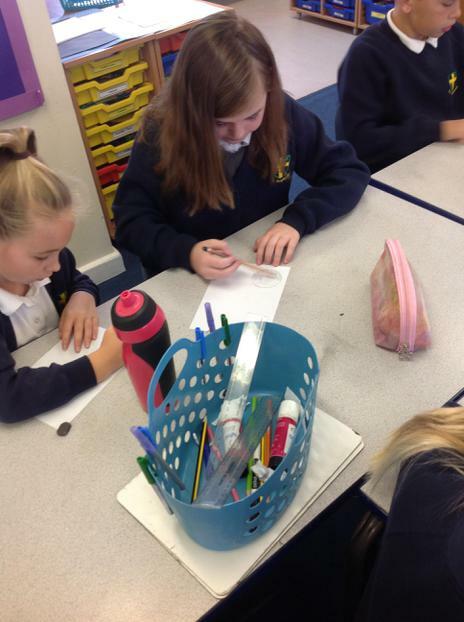 We discussed what bullying meant and thought about how it is different from being unkind. 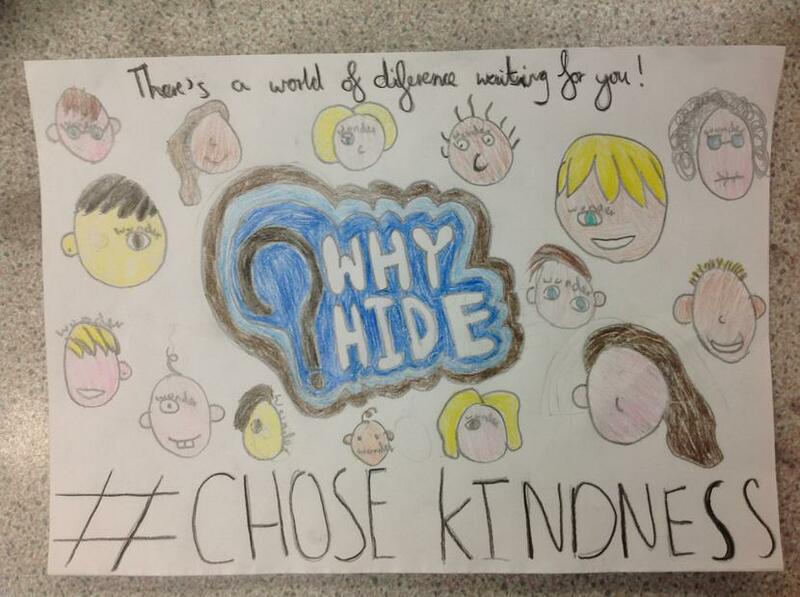 We learned all about the #ChooseKind campaign and created slogans to encourage people to treat every body's equally. 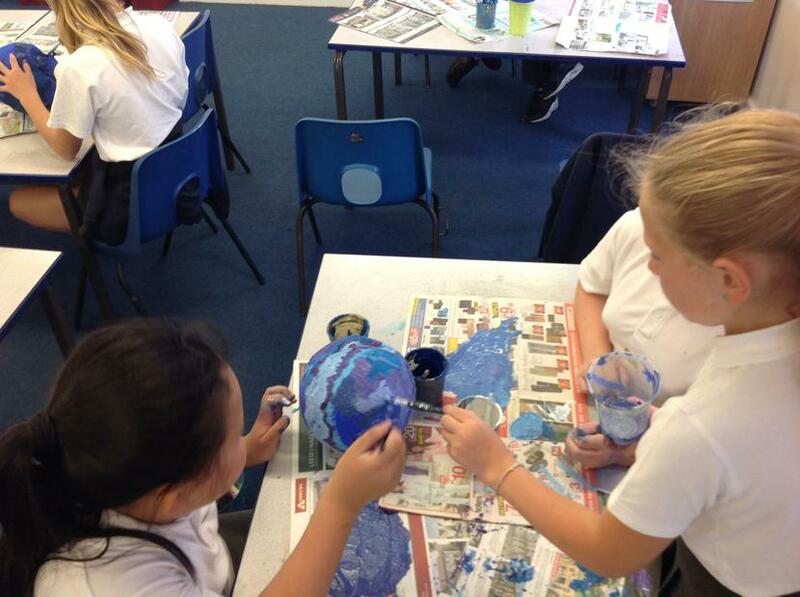 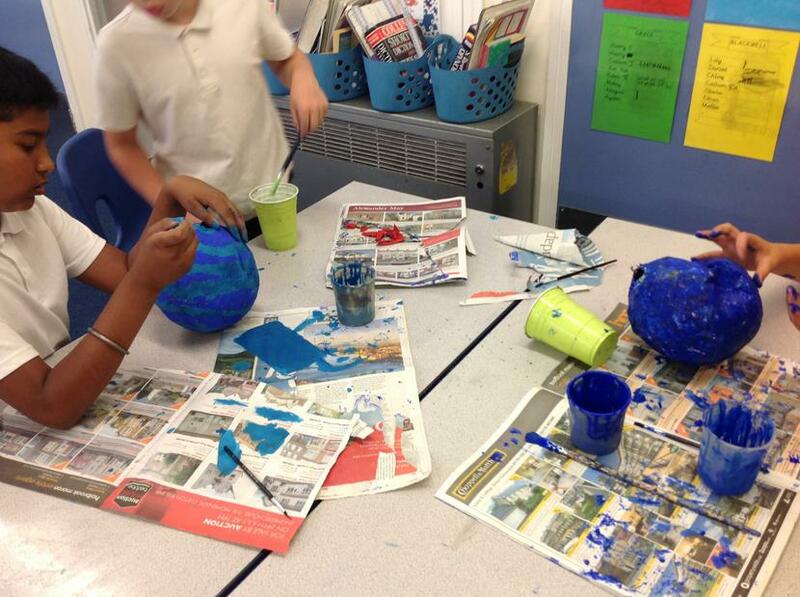 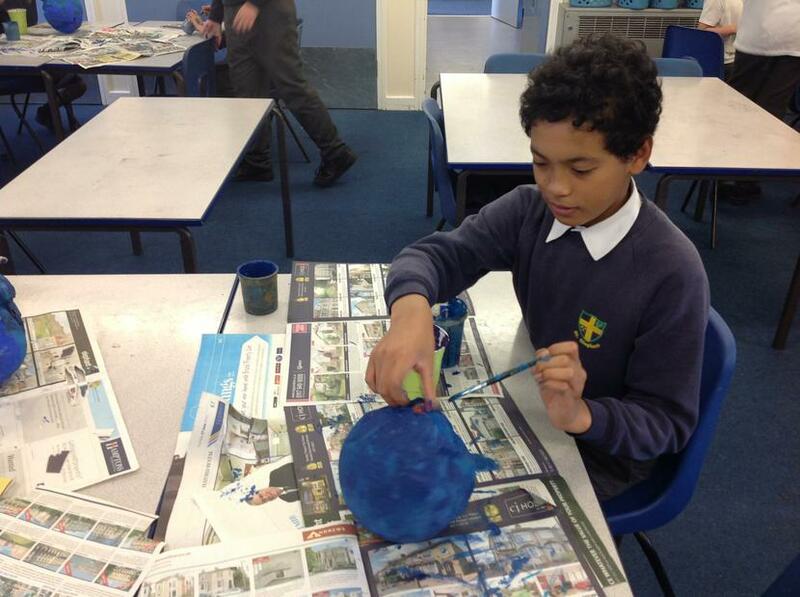 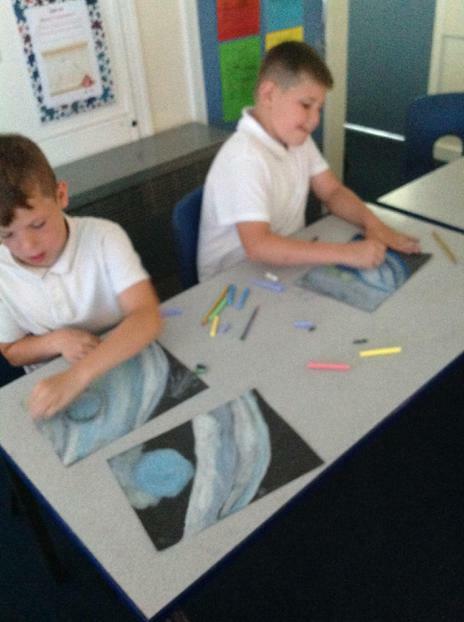 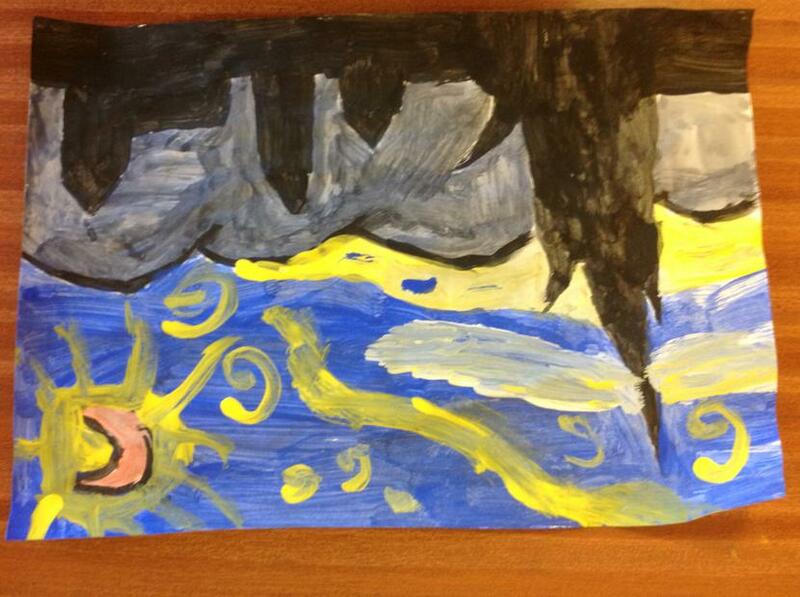 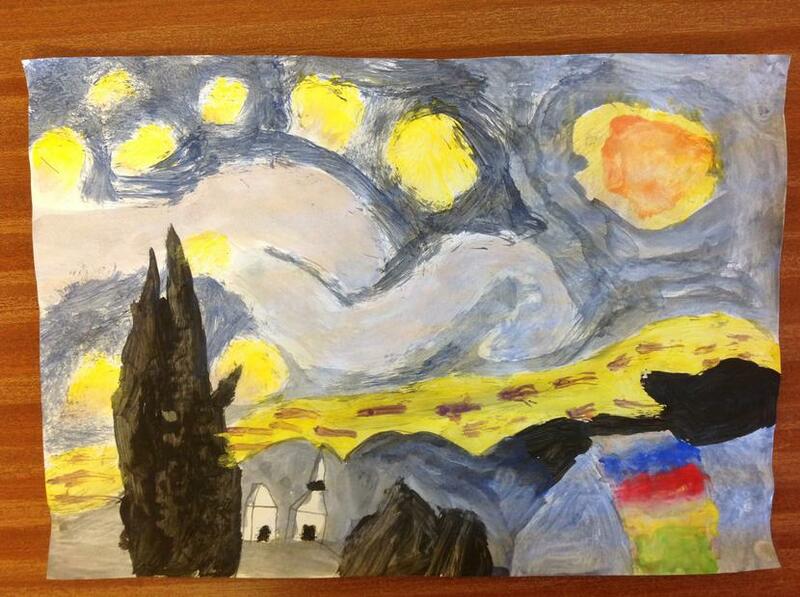 For our art this term, we have been exploring the work of Vincent Van Gogh. 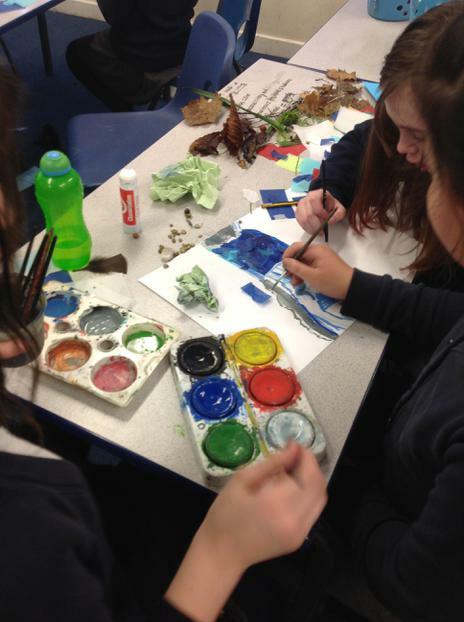 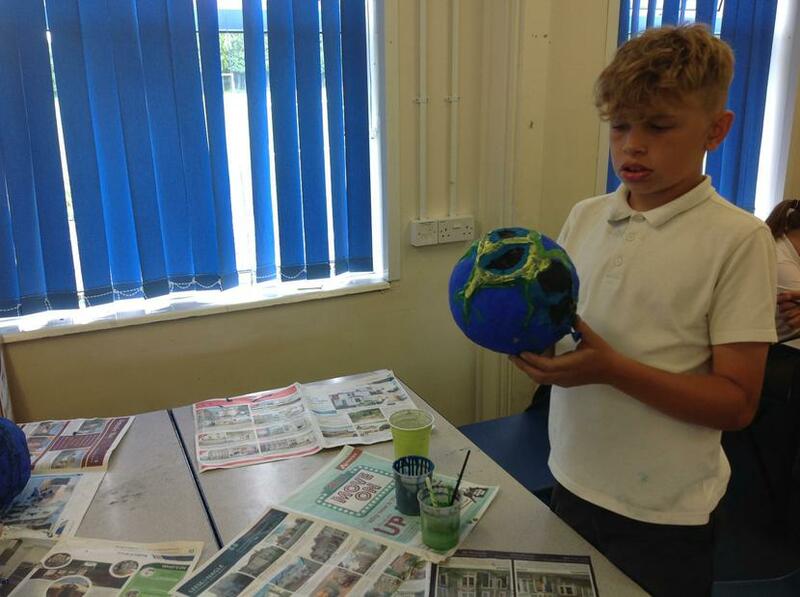 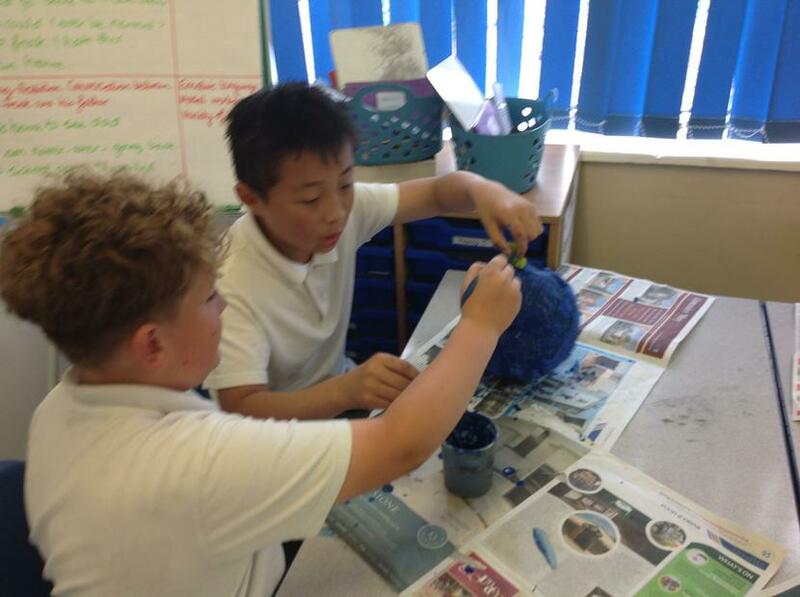 When creating our own pieces we have discussed using textures, tones, colours and light to paint our man-made and natural objects. 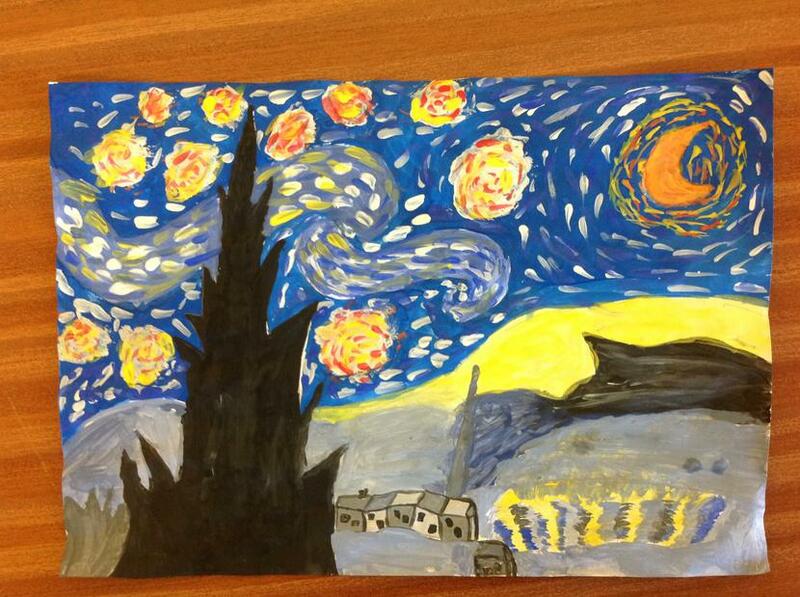 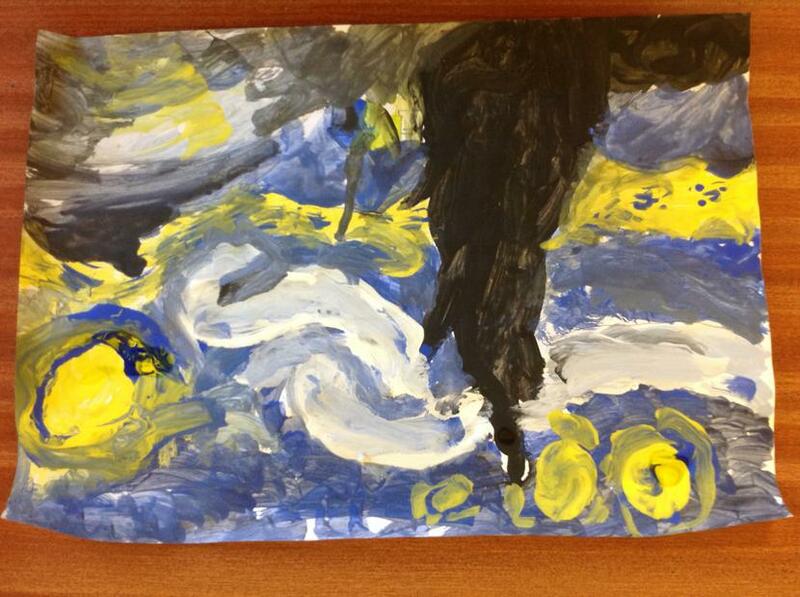 To prove our new-developed learning and techniques we re-created 'Starry Night' by Vincent Van Gogh. 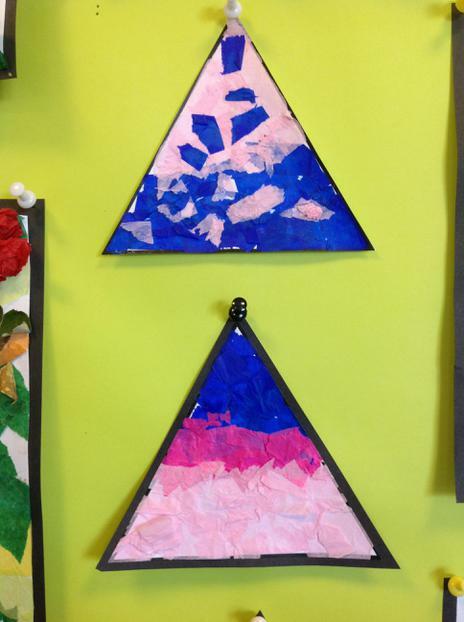 See how his painting techniques have inspired us below! 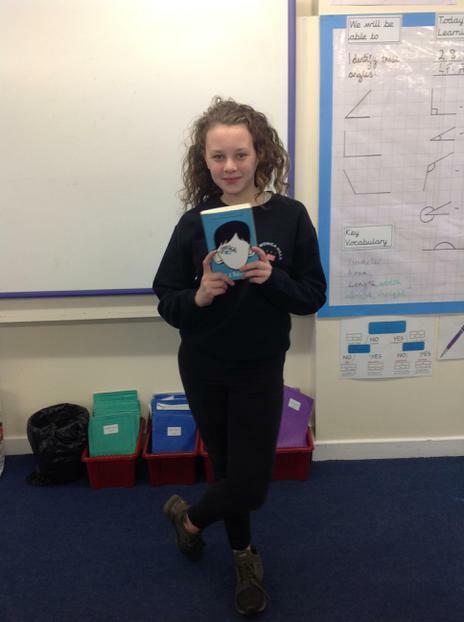 To start out enquiry this term, we explored the front cover of Wonder. 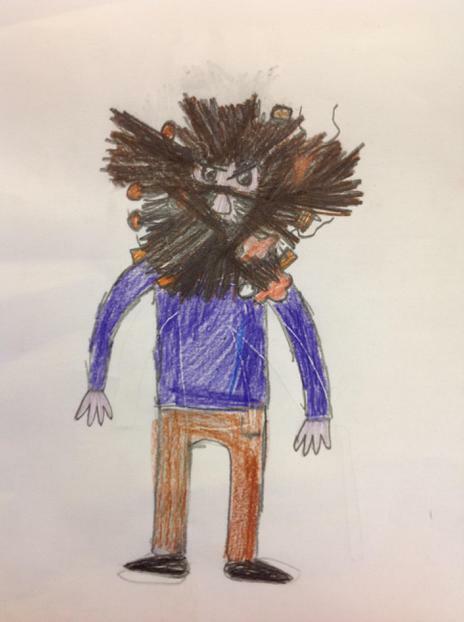 We discussed who the character might be on the front and thought about how and why they have been illustrated in this way. 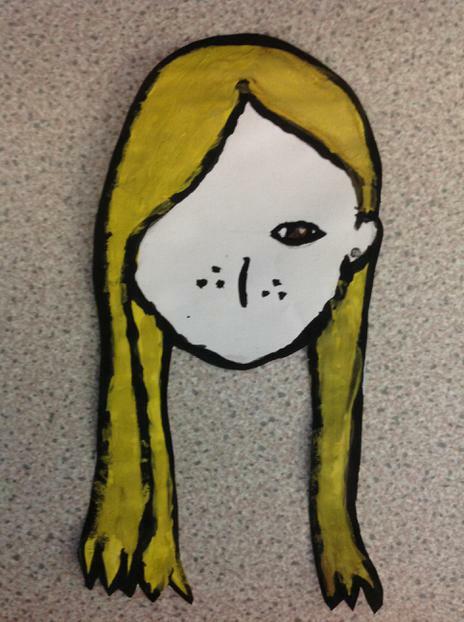 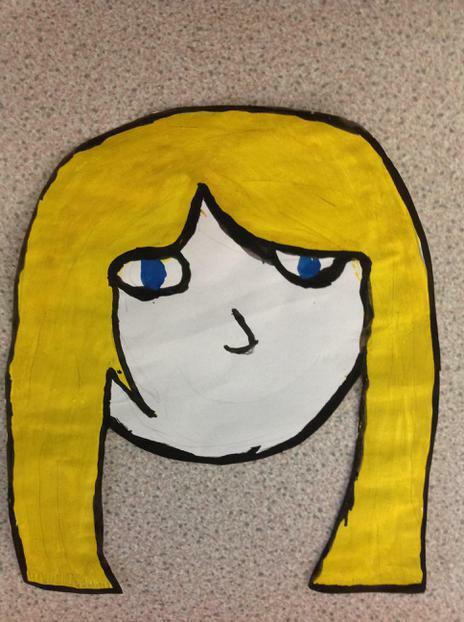 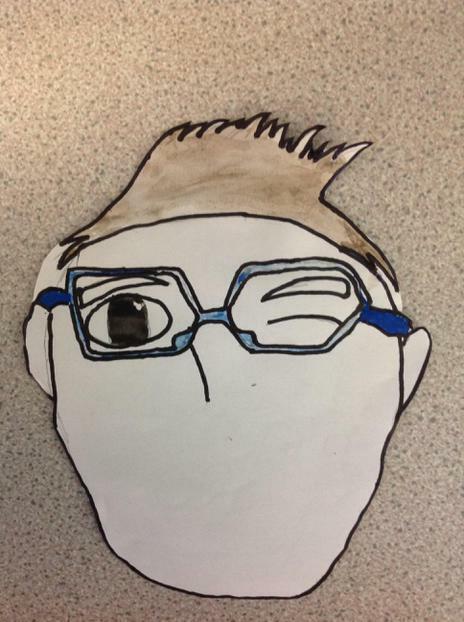 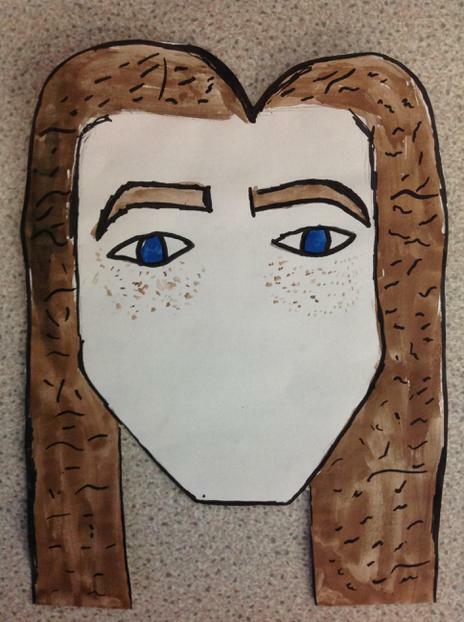 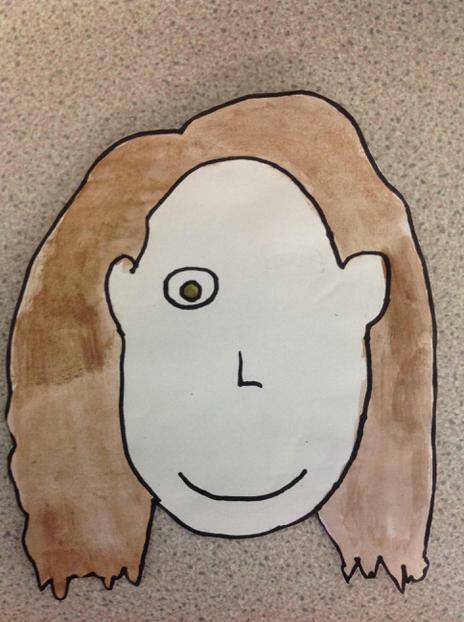 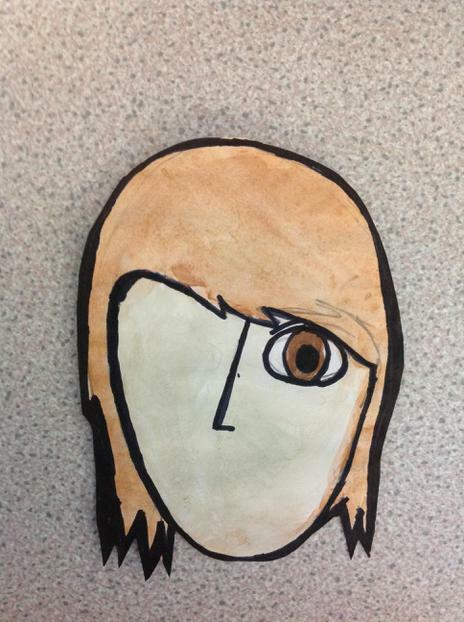 Using the same style of art, we then created our own faces yet with missing features. 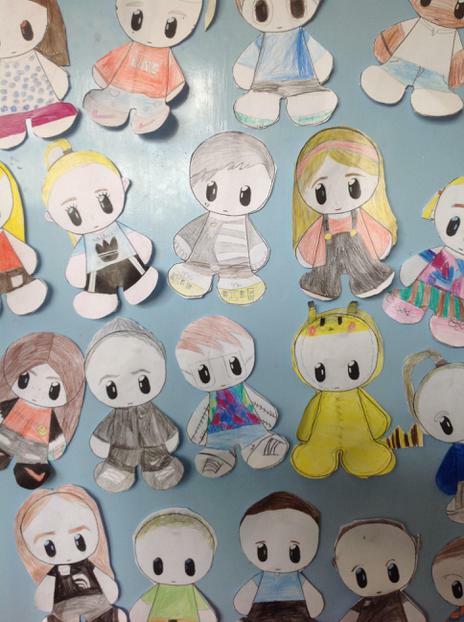 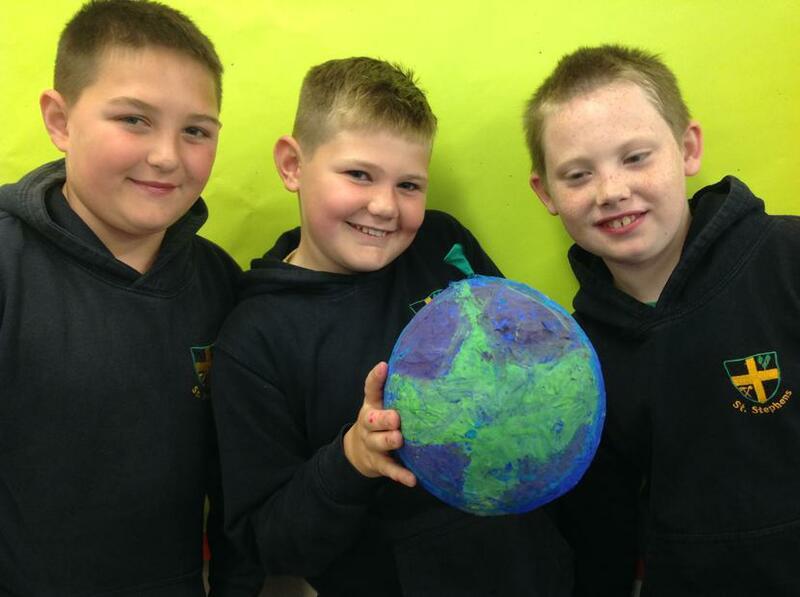 When we were all finished, we collected all of our faces together to form a class collage for our door displays. 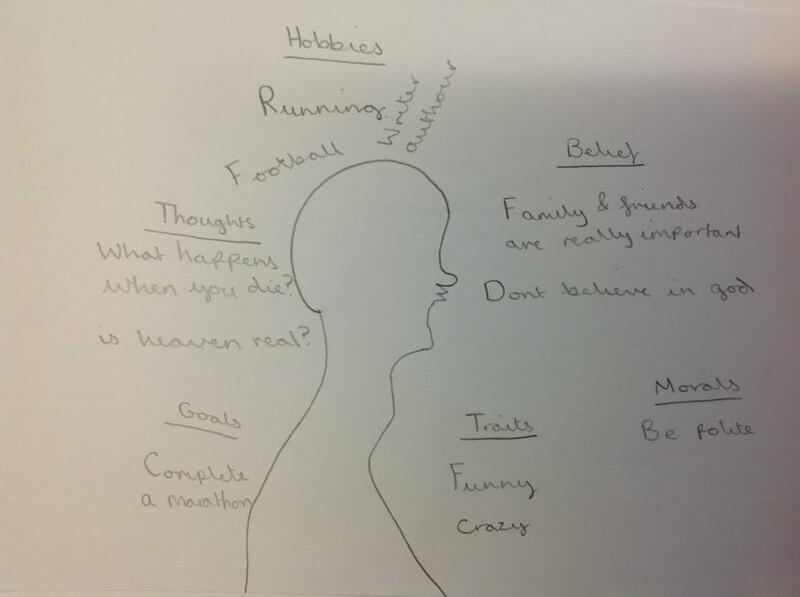 Answer: What makes me human? 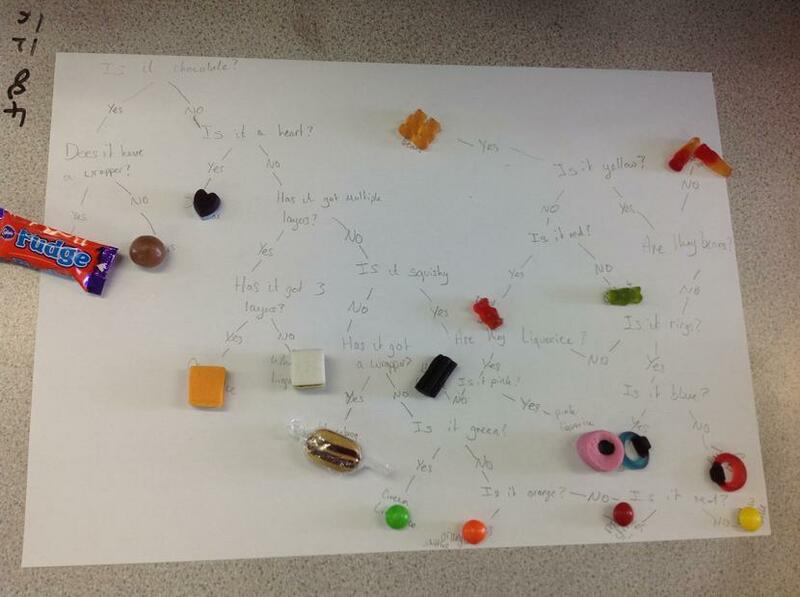 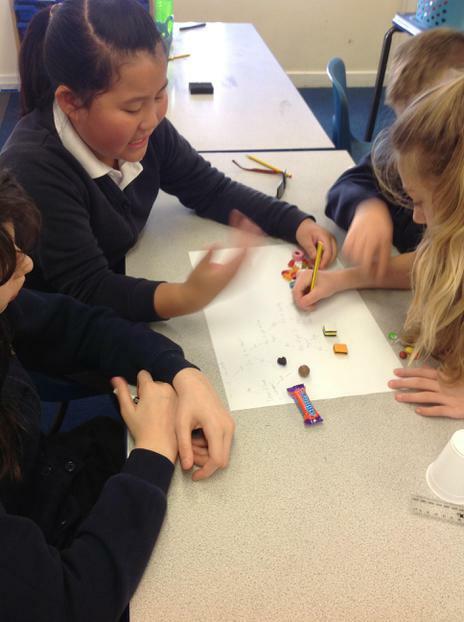 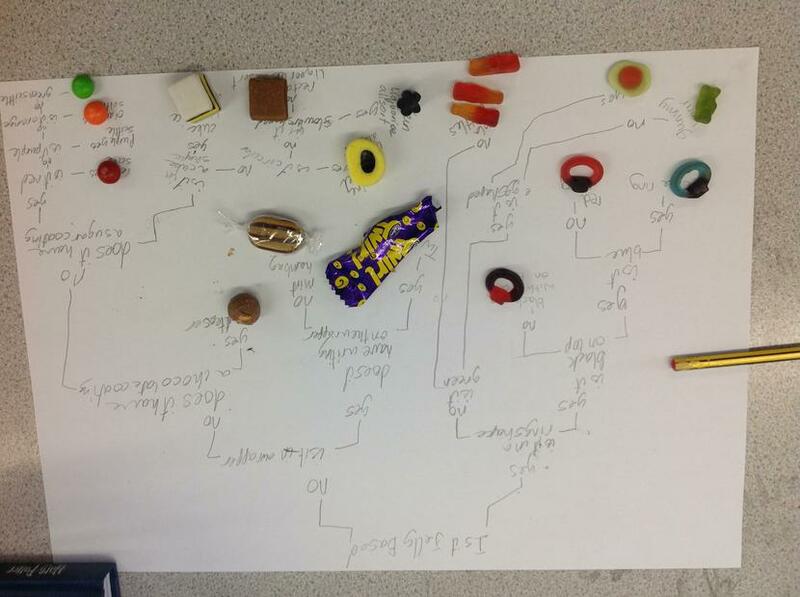 In order to test our abilities to identify and classify, we were given the task to classify a range of sweets and chocolate. 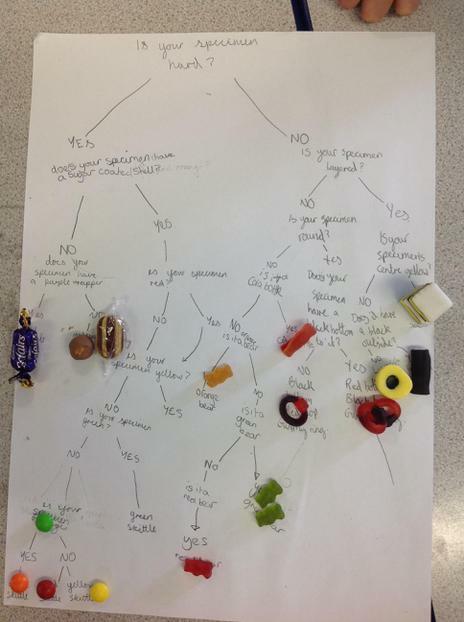 See our classification charts to know what's what! 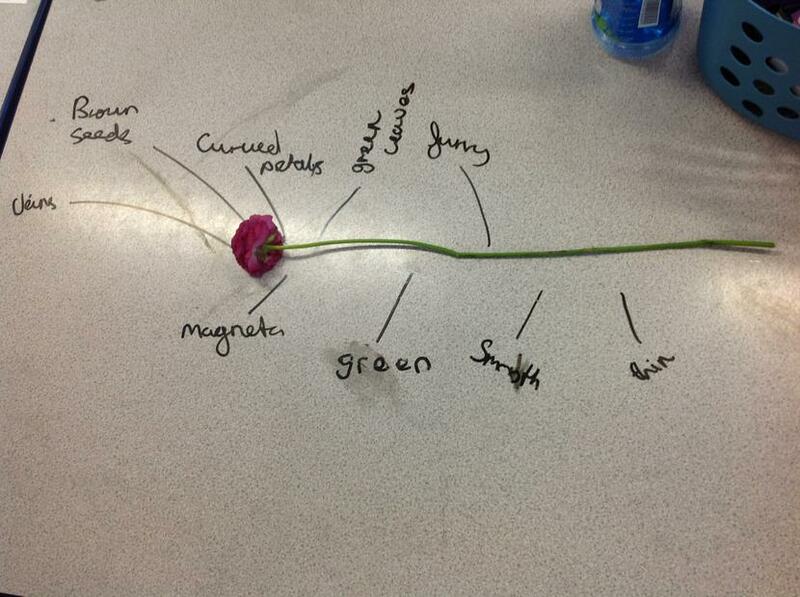 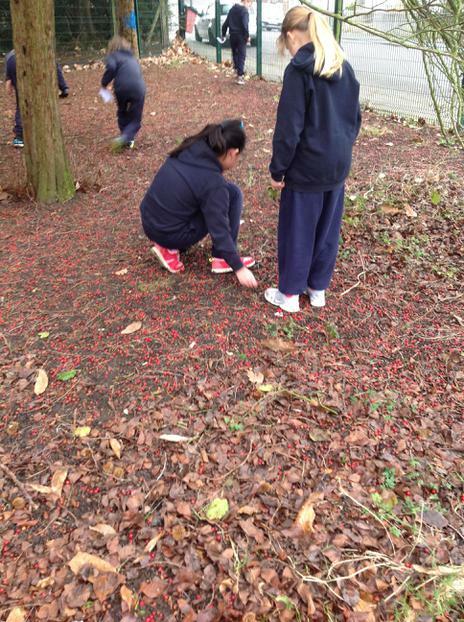 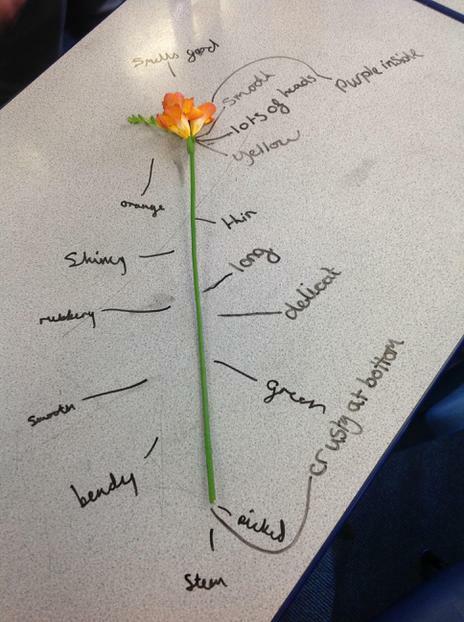 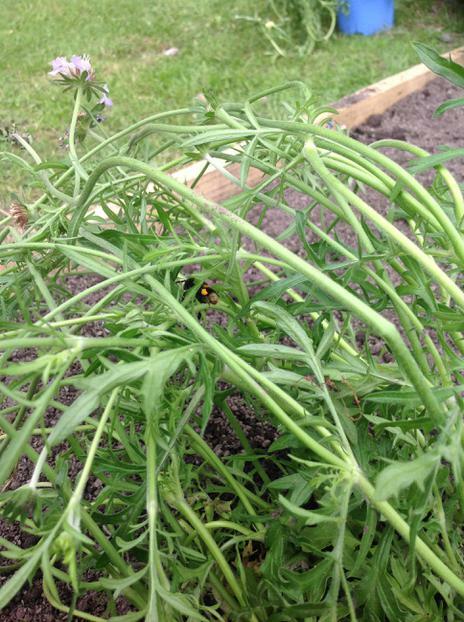 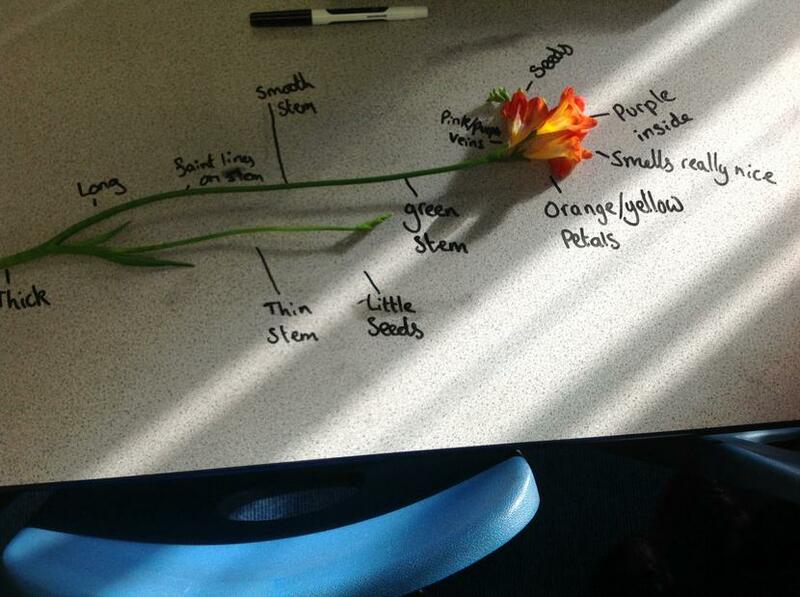 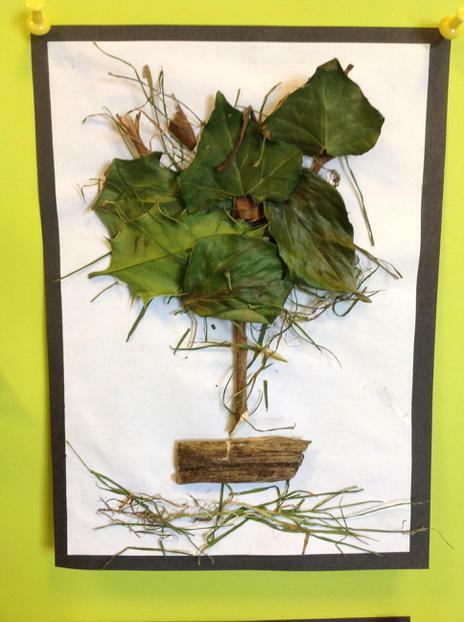 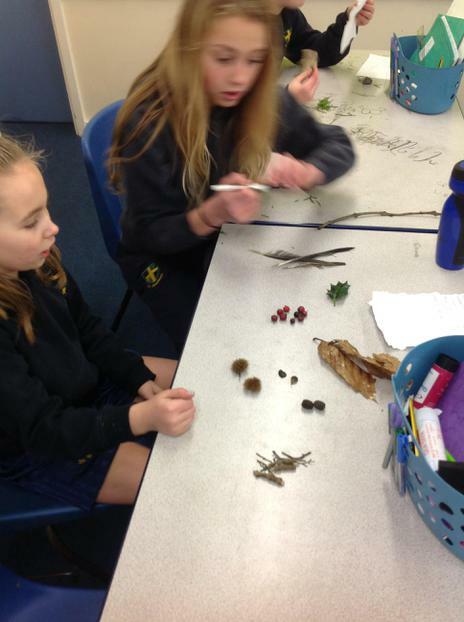 Acting as botanists: What are the features of these plants? 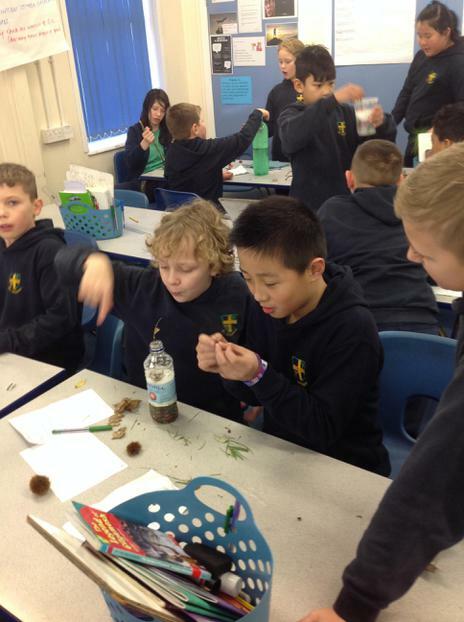 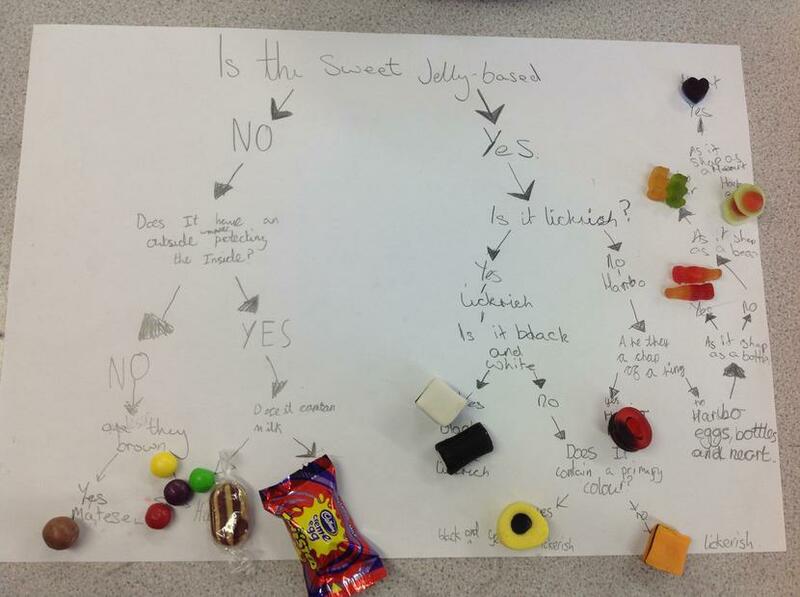 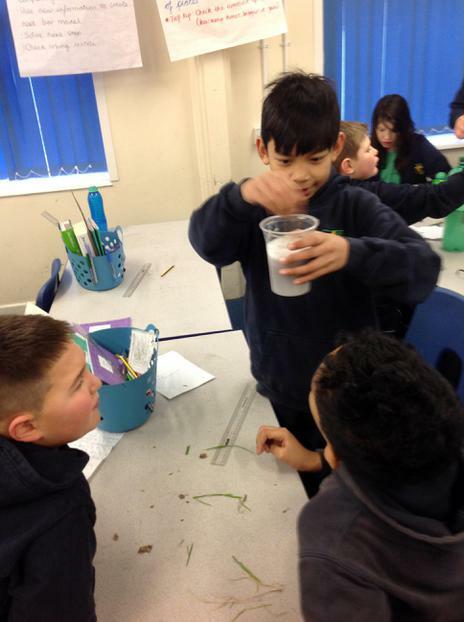 What conditions do micro-organisms prefer? 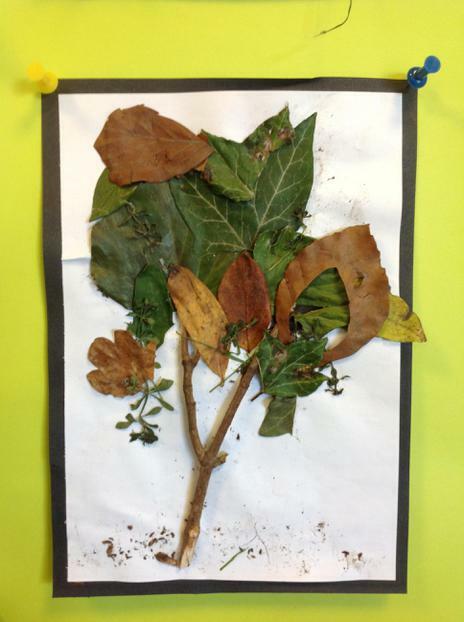 In order to test the best conditions for mould to grow, we have conducted an experiment that we are observing over time. 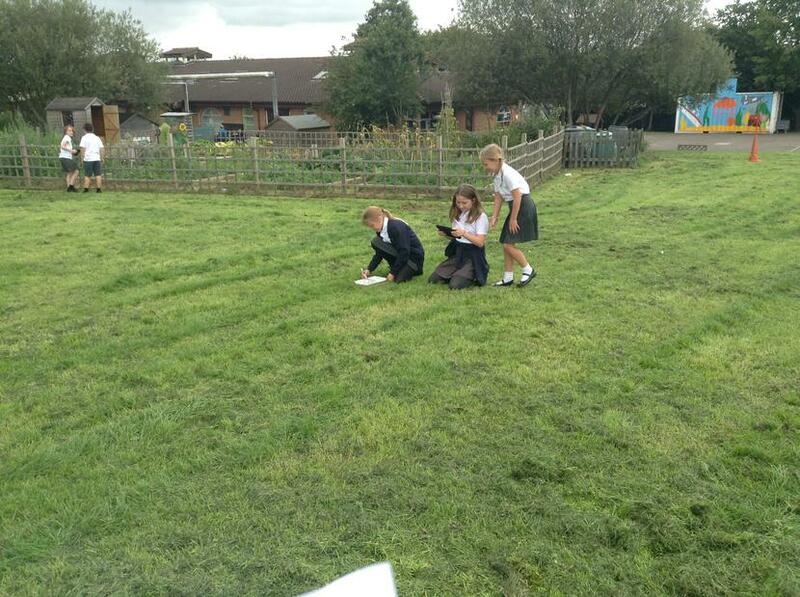 We have planted 3 pieces of bread in 3 different places: Miss O'Callaghan's cupboard, the fridge and the freezer. 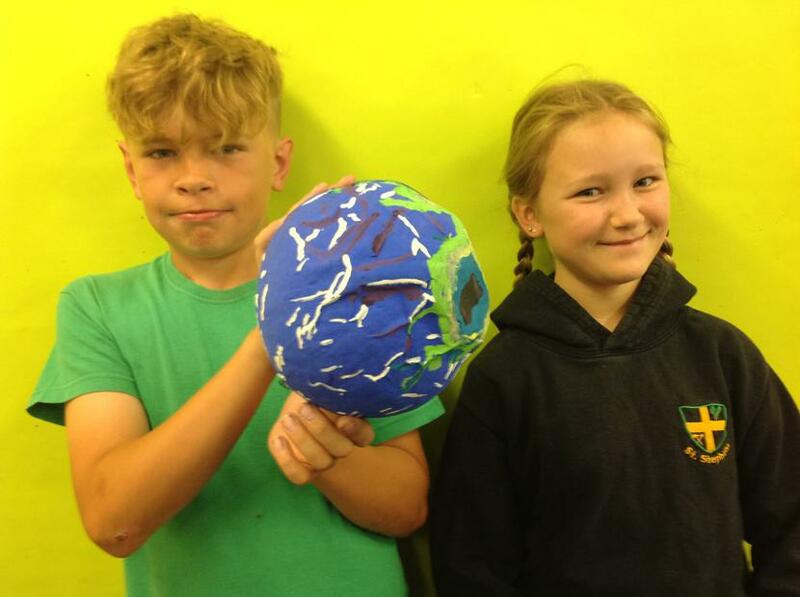 We will be checking on them weekly to see which one is going to have mould grown on it first..
Did you know that there are over 10 million types of living organism on our planet? 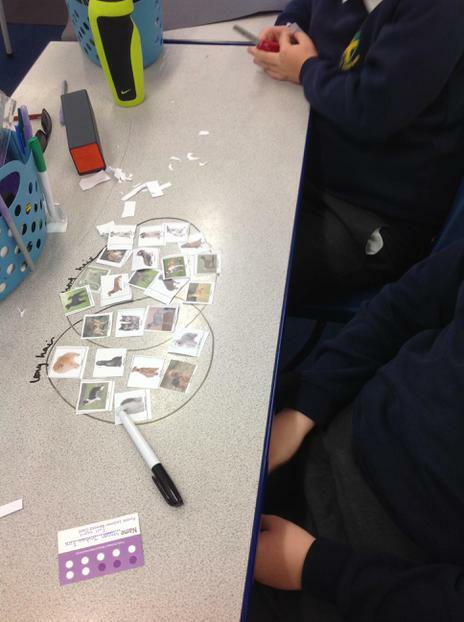 As a class we had the task of trying to classify ourselves. 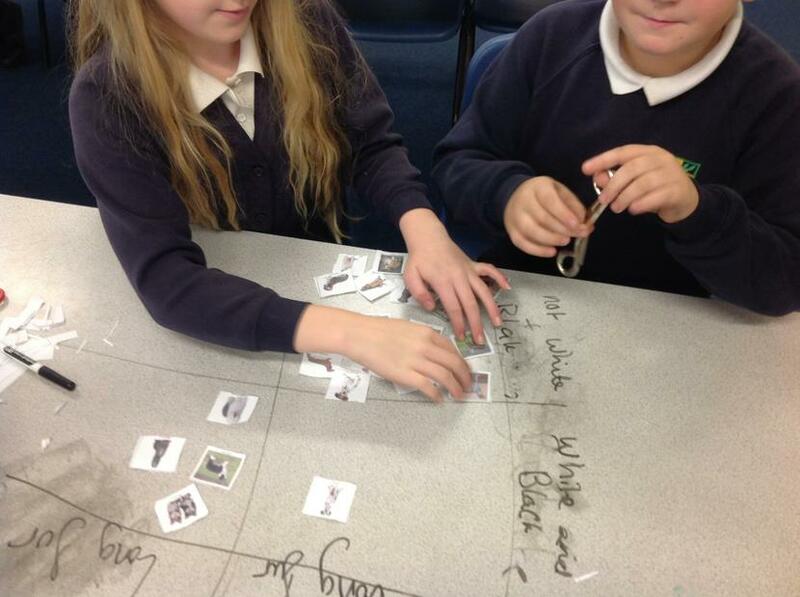 We each wore a label of a living thing and had to work together to decide how we could be grouped. 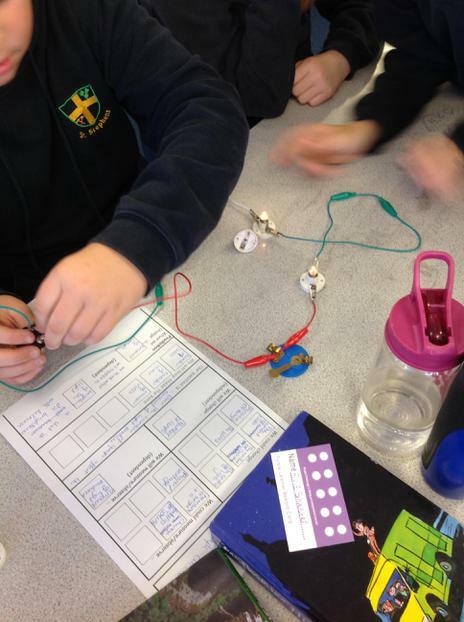 In a set of Christmas lights, what happens if one bulb fails? 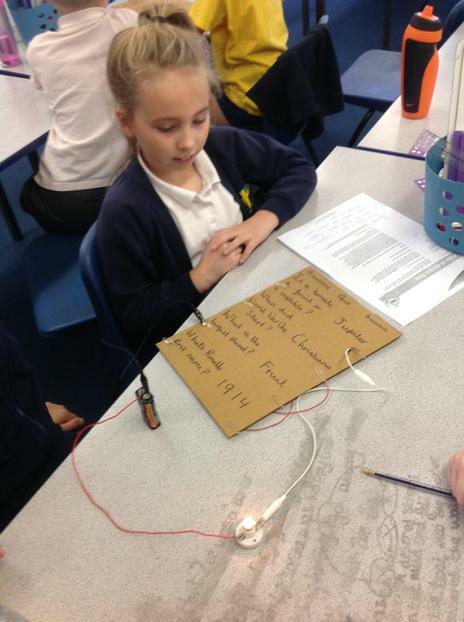 We created quizzes using our circuit knowledge. 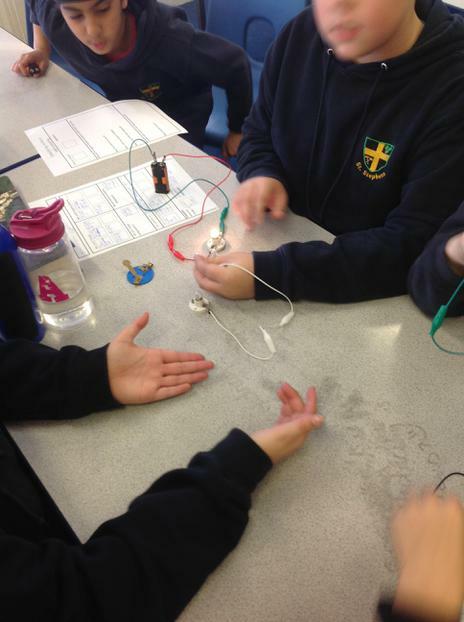 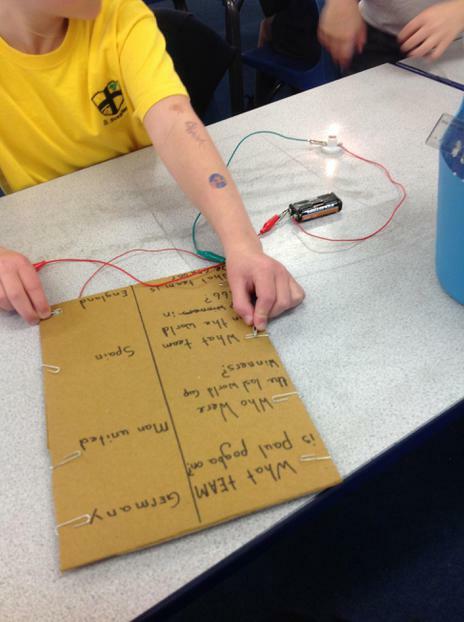 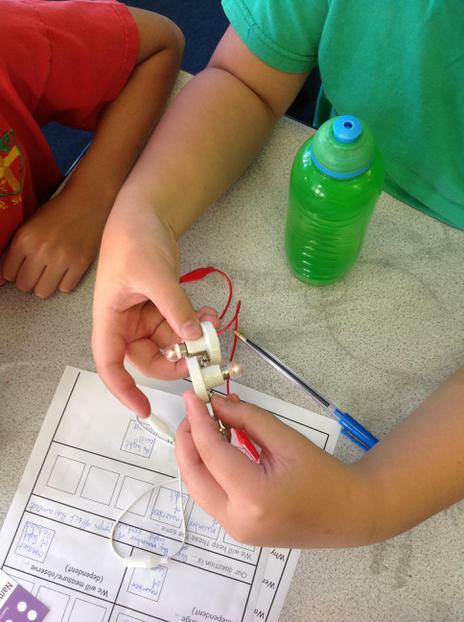 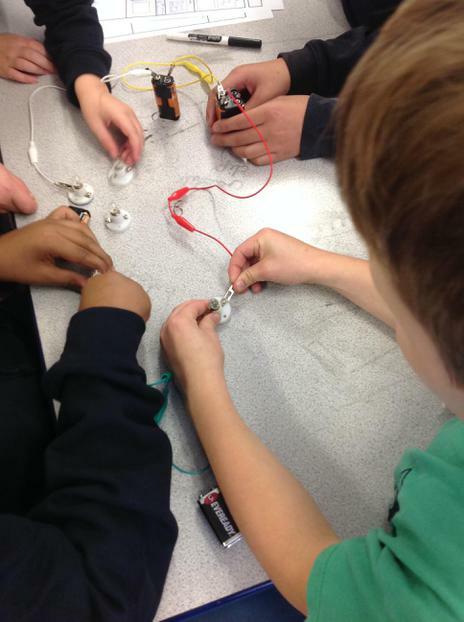 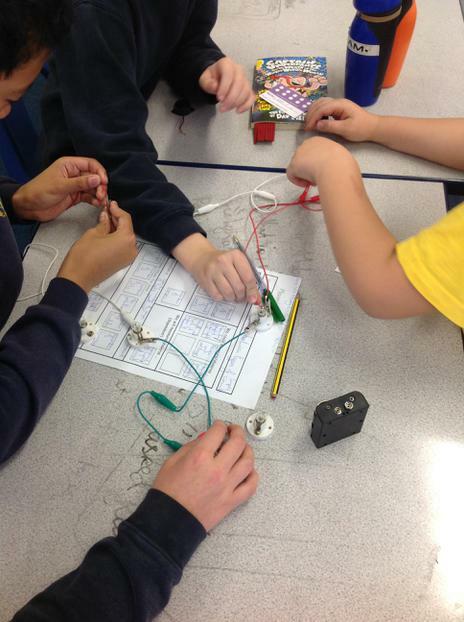 We knew that metal was a conductor and, therefore, used paperclips as part of our circuit. 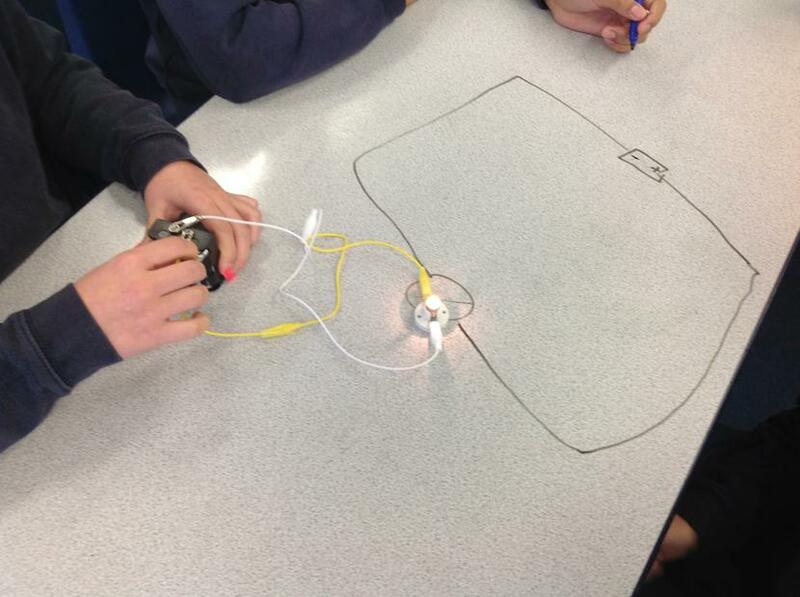 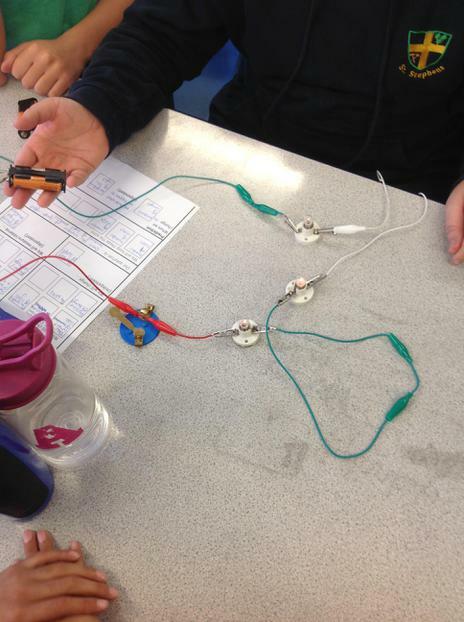 When the right answer to a question was tapped, the circuit was complete and our bulb lit up! 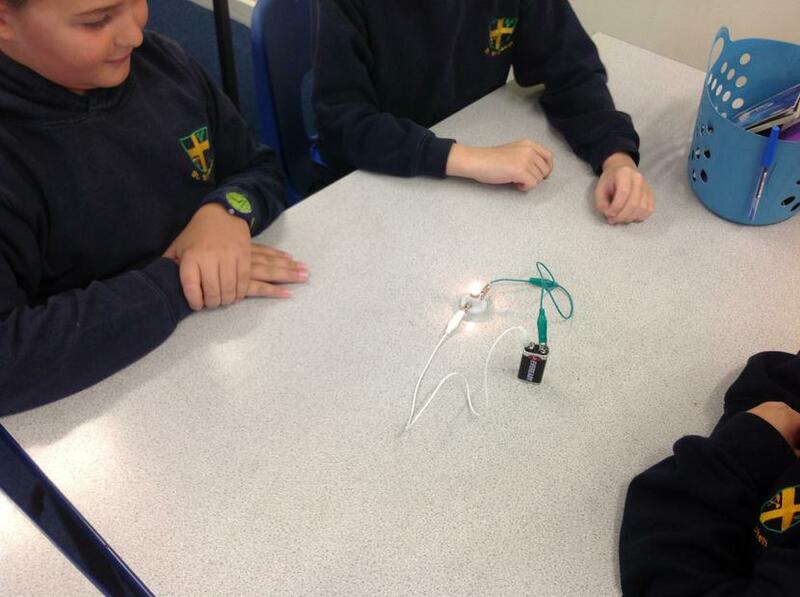 Investigation: Does the number of lamps affect the amount of light produced? 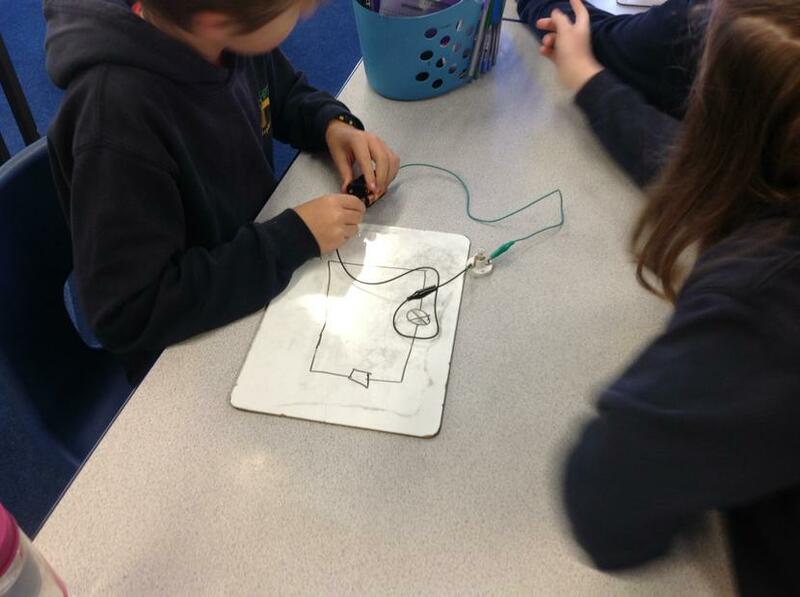 Outside we demonstrated how electrons flow through a circuit. 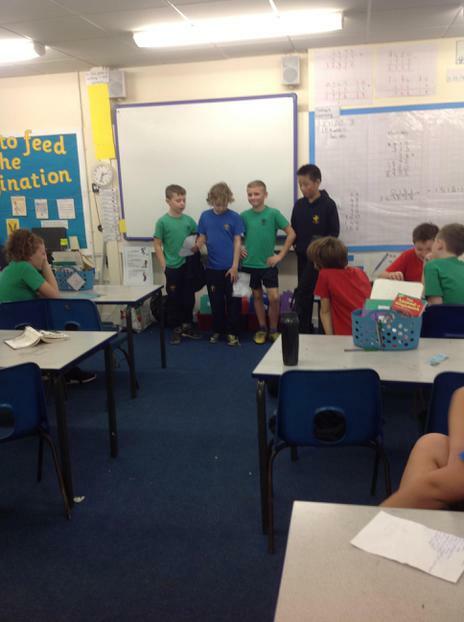 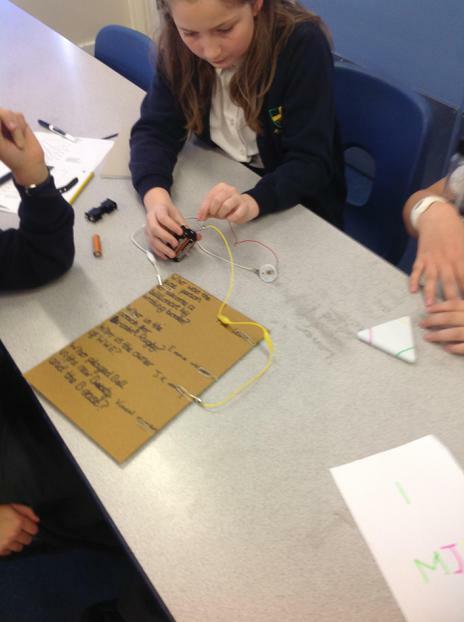 We thought about many components, including a buzzer, lamp, switch and cell. 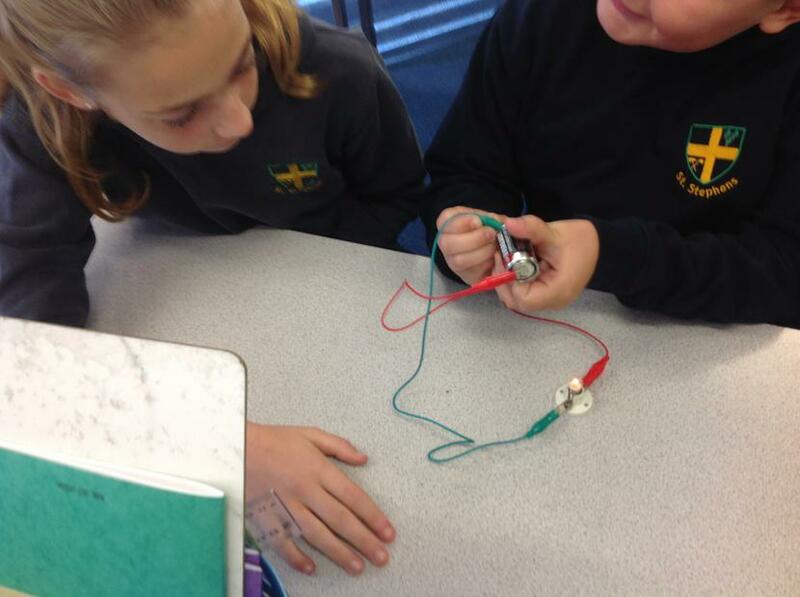 We had to be aware of when a circuit was flowing and what then would hapeen to our electrical current. 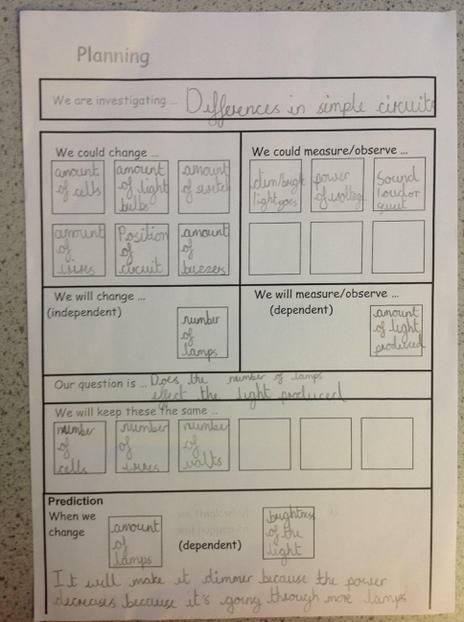 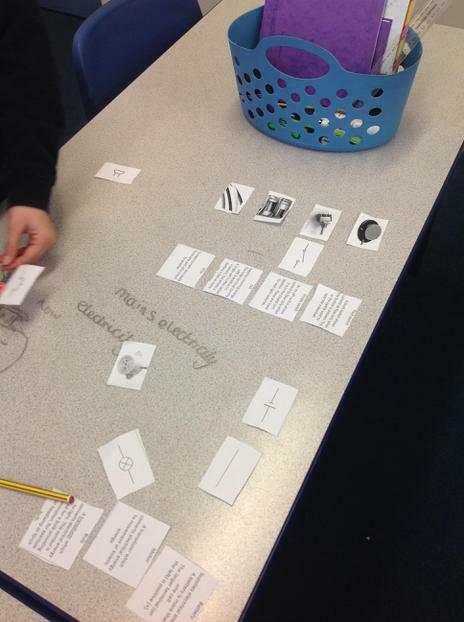 During our first week back, we are exploring two mini Science enquiries. 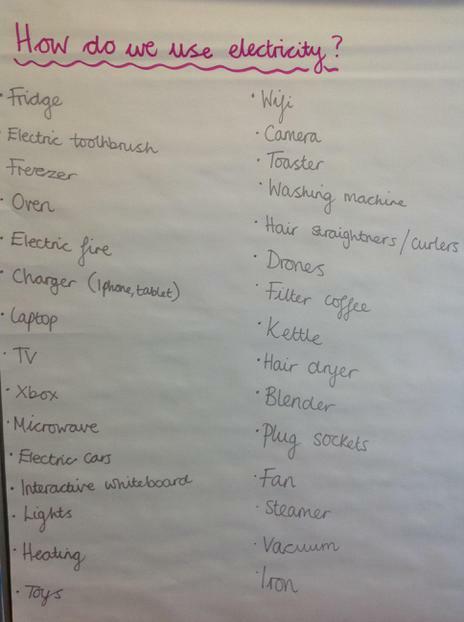 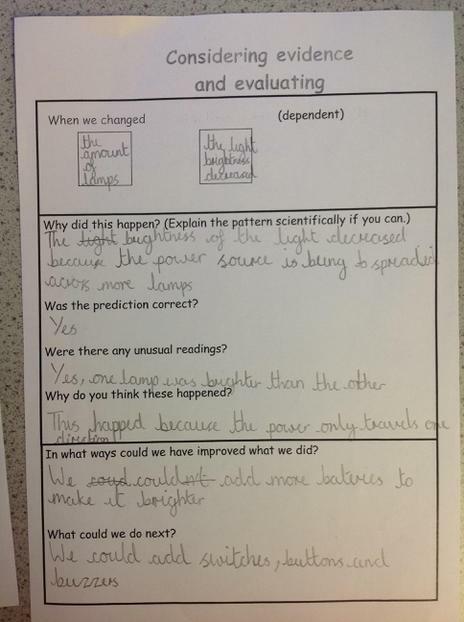 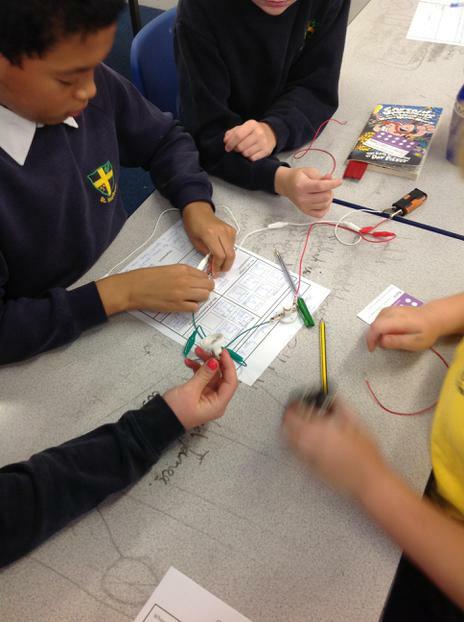 Our first enquiry is all about Electricity. 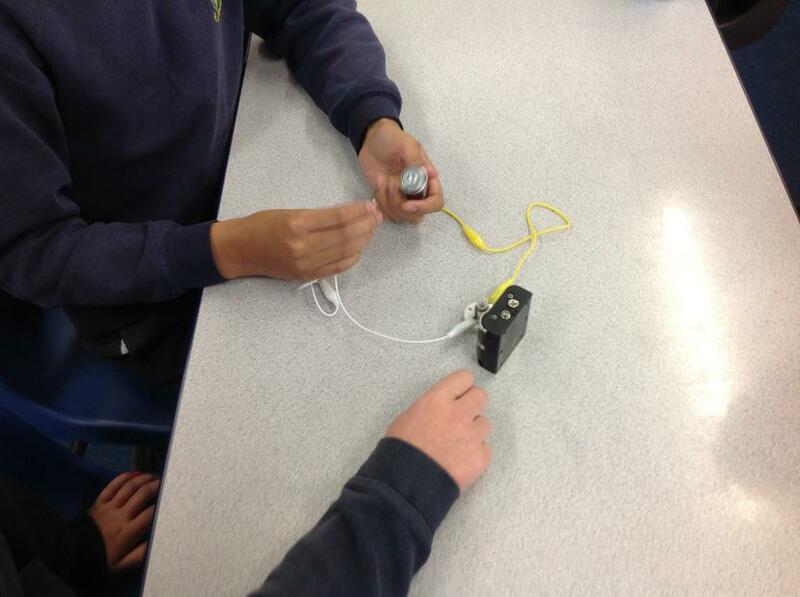 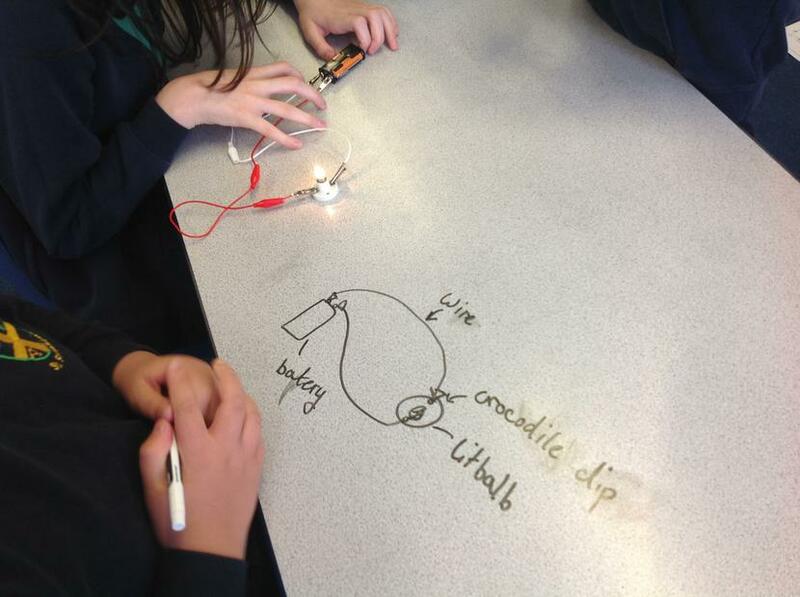 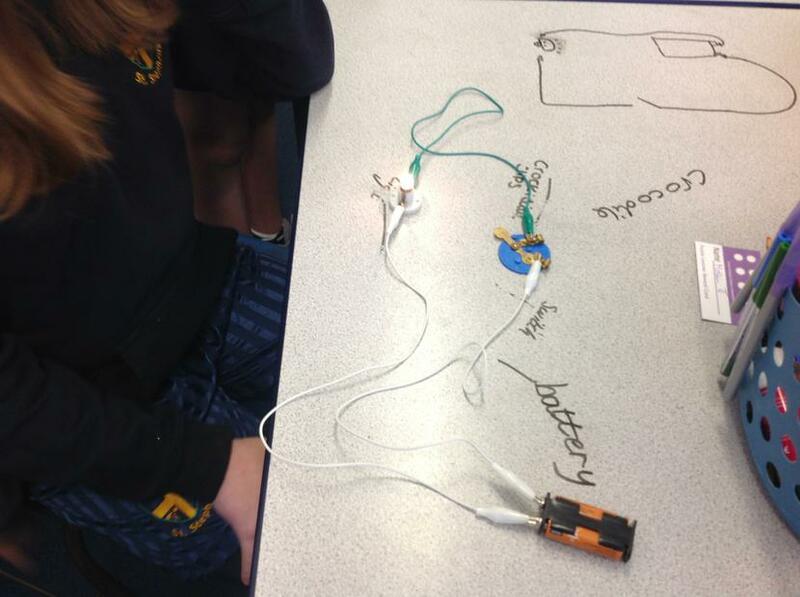 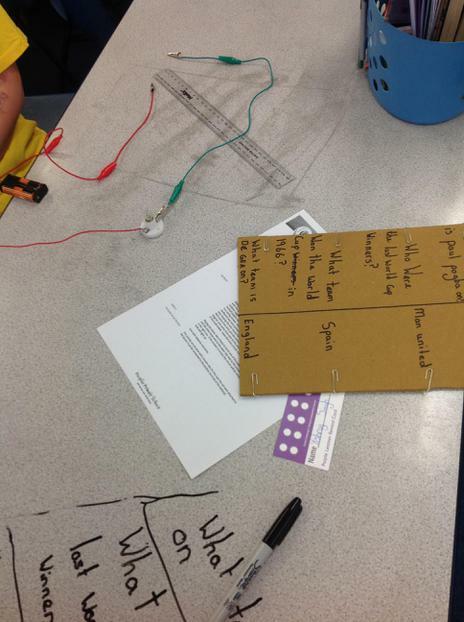 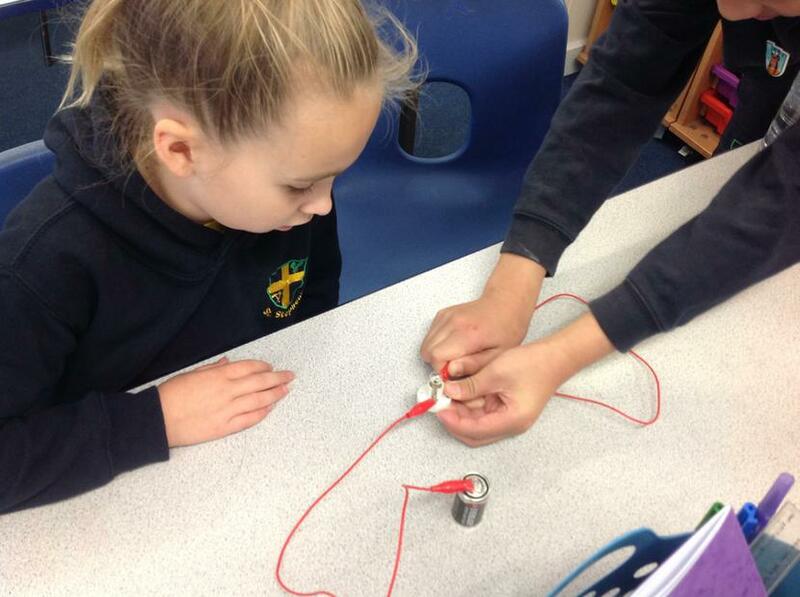 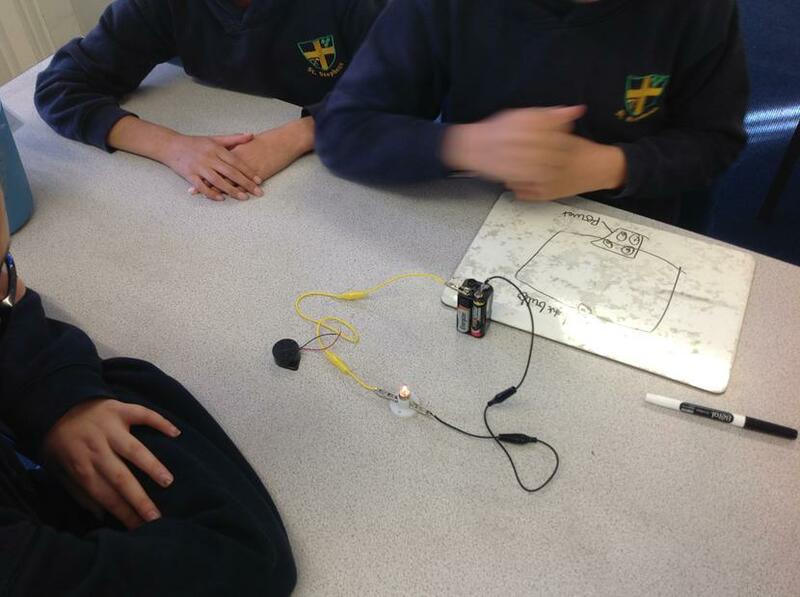 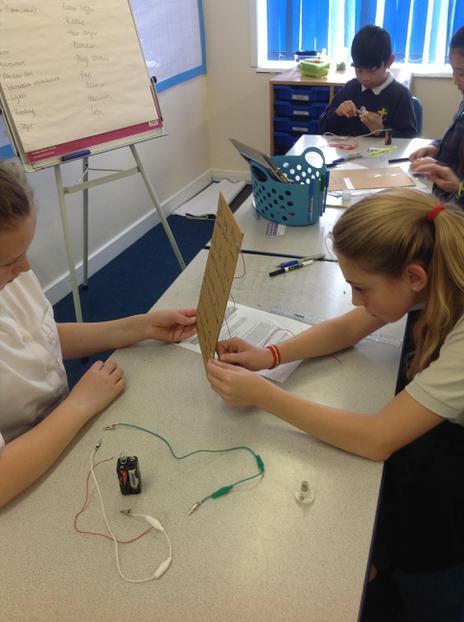 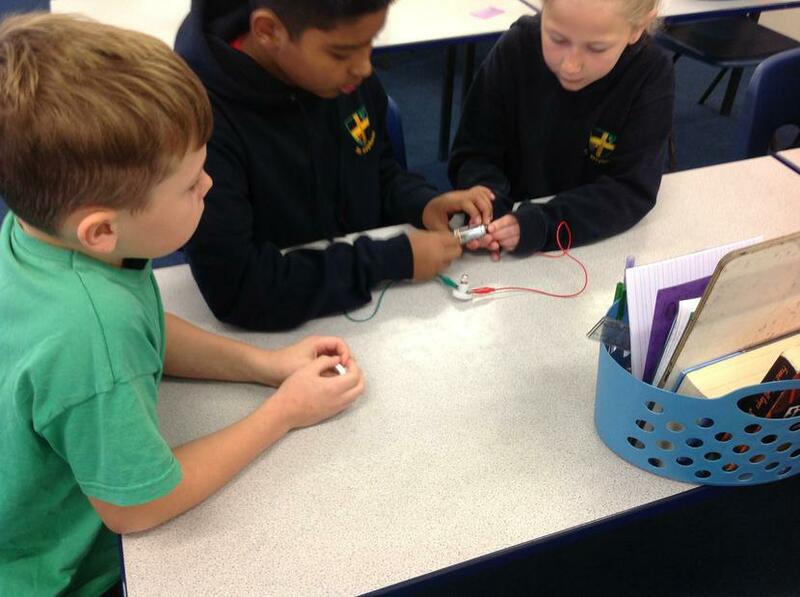 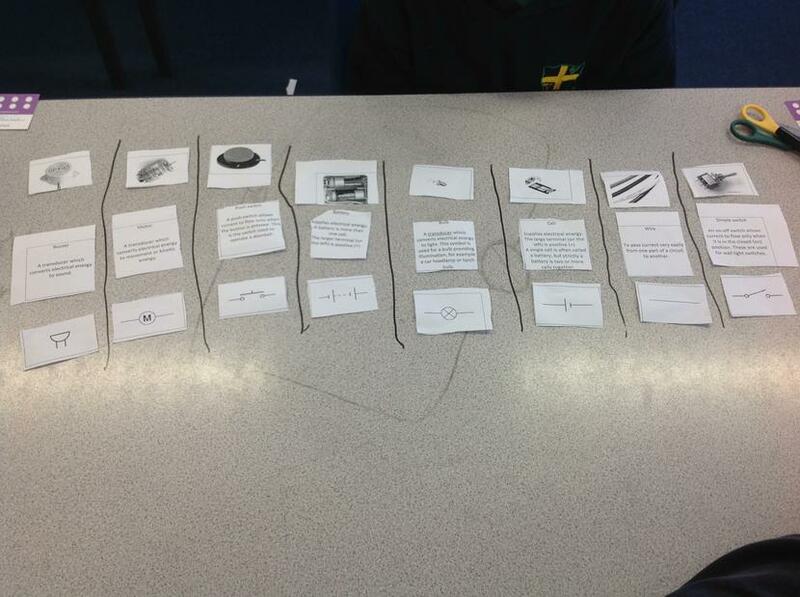 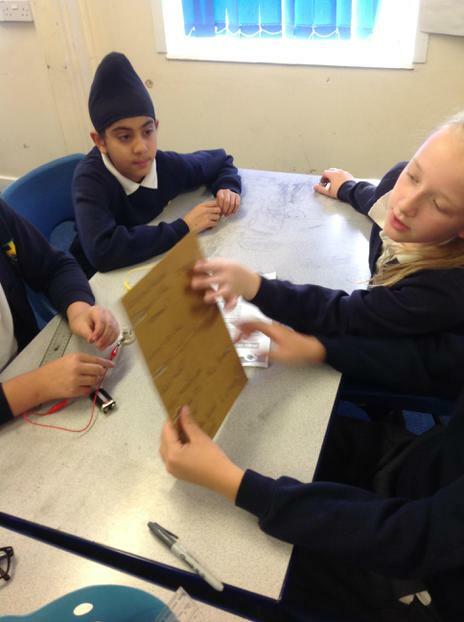 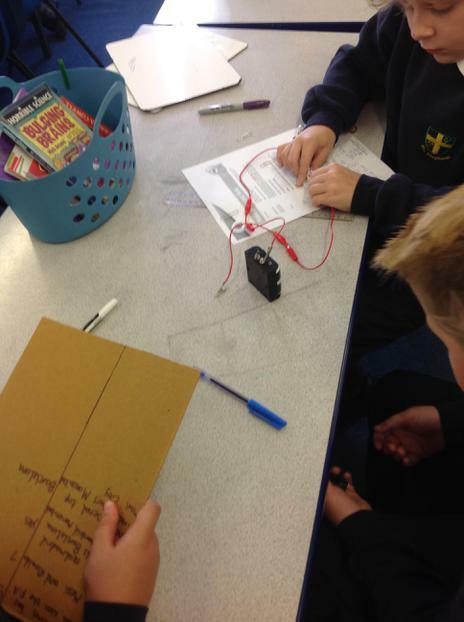 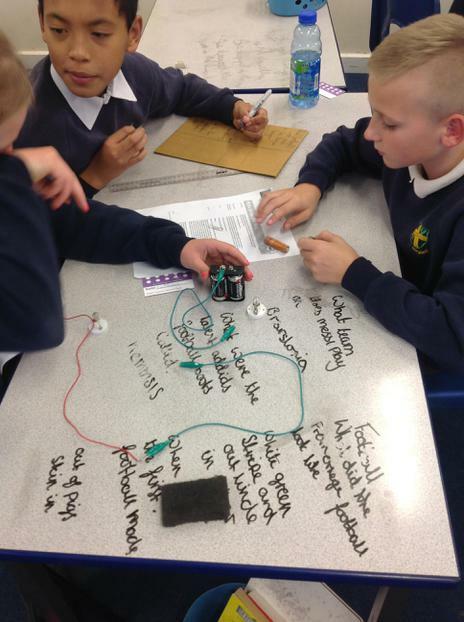 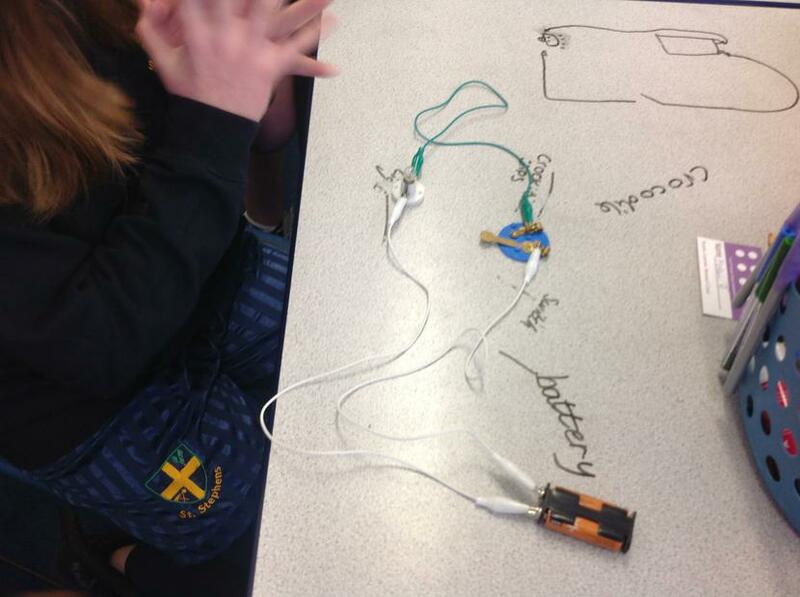 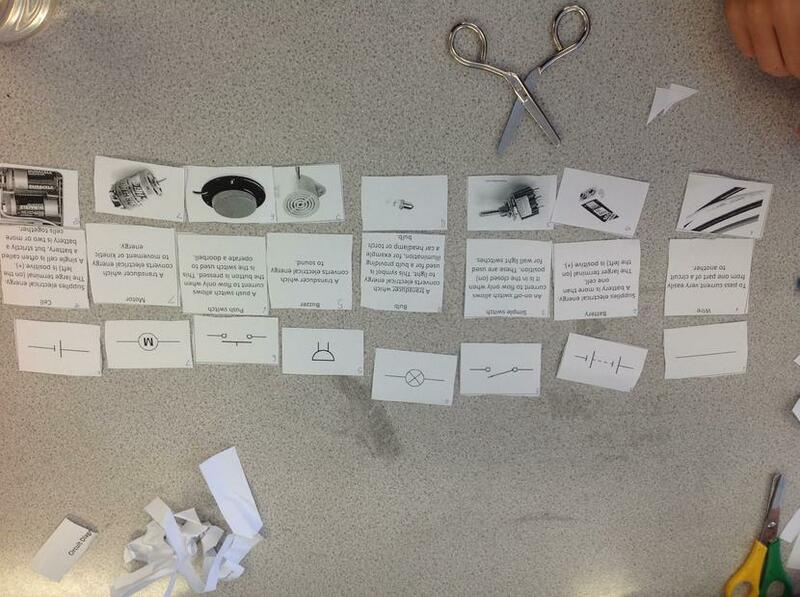 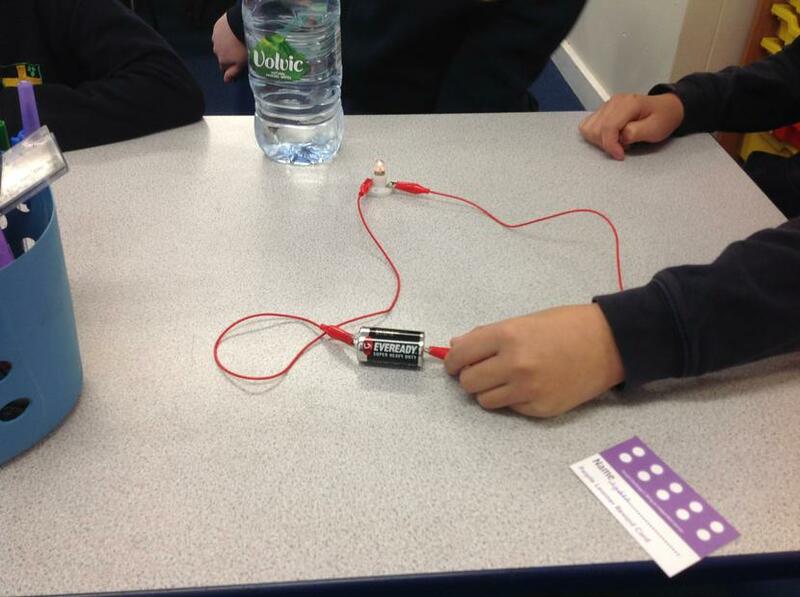 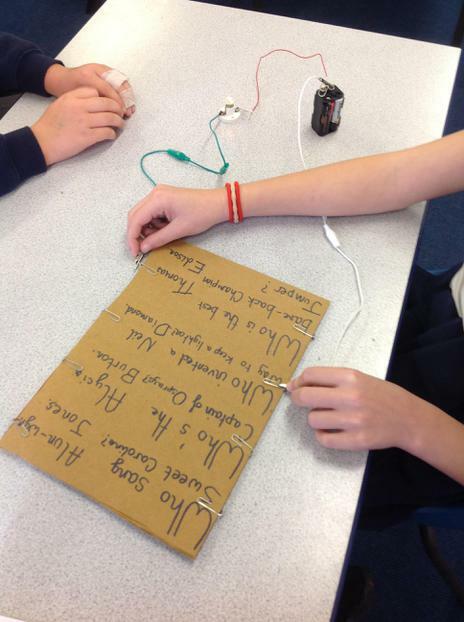 so far, we have enjoyed reminding ourselves all about simple circuits and electrical components. 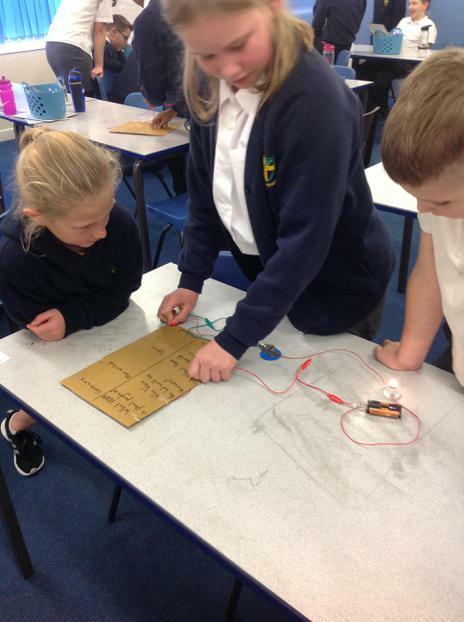 We have learned that mains electricity is far more powerful than a battery operated circuit because a much higher voltage is produced! 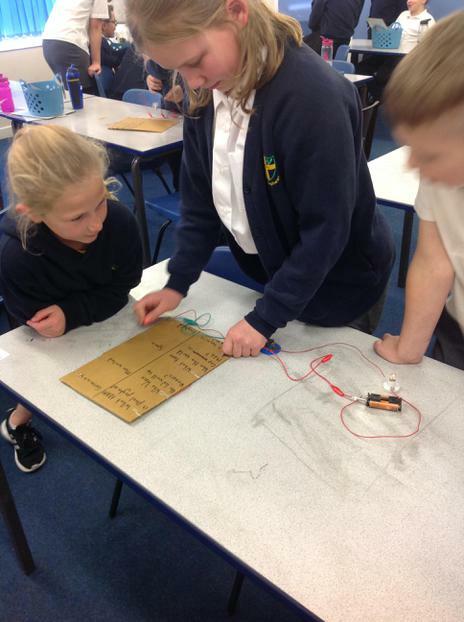 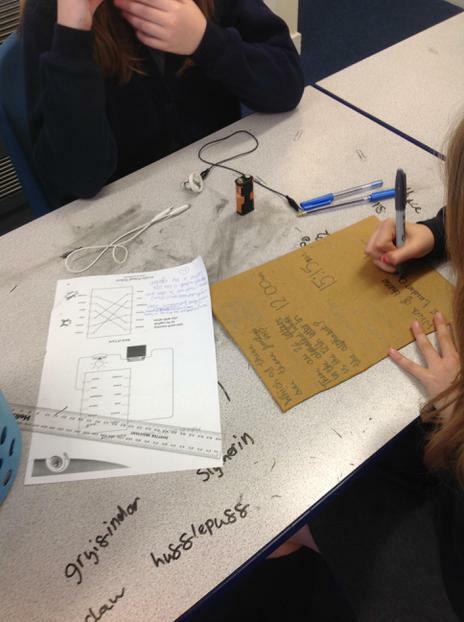 We worked as scientists to find and fix mistakes in simple circuits and conducted an investigation to find out whether the number of lamps affected the amount of light produced. 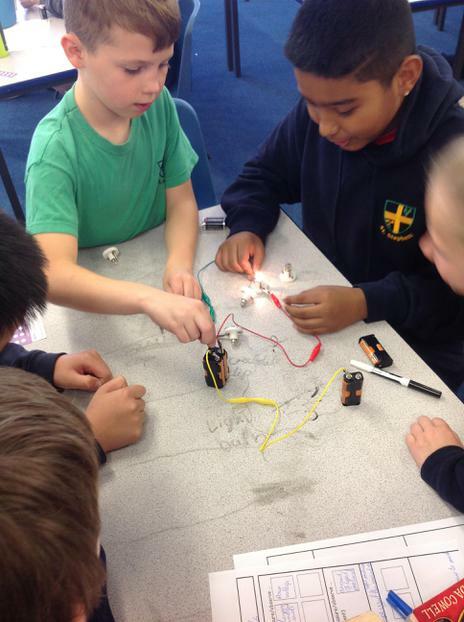 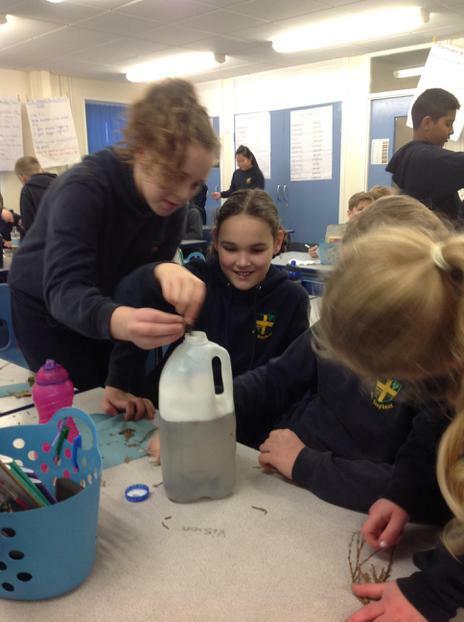 Check back for more of our amazing science discoveries. 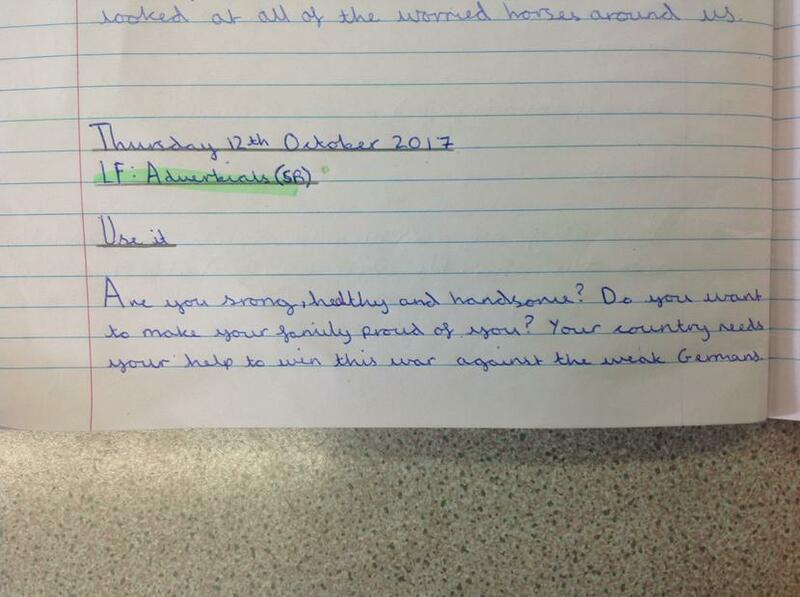 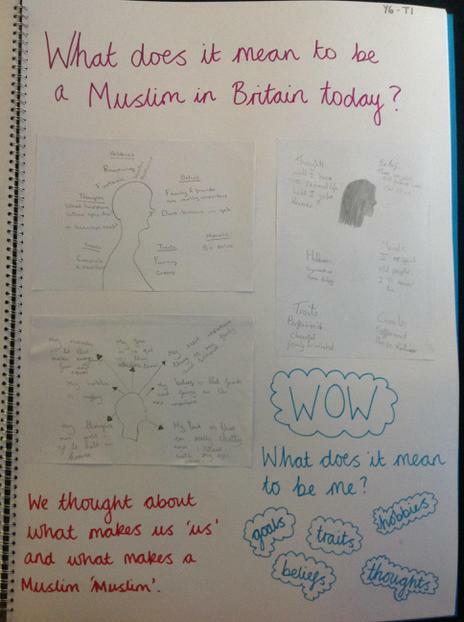 Enquiry title: How were the people of Britain effected by the First World War? 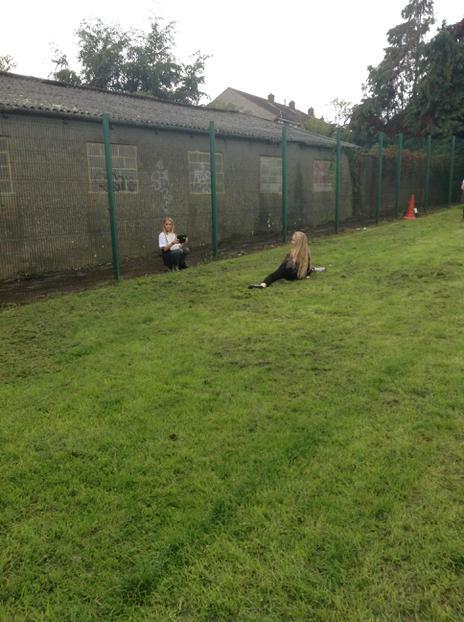 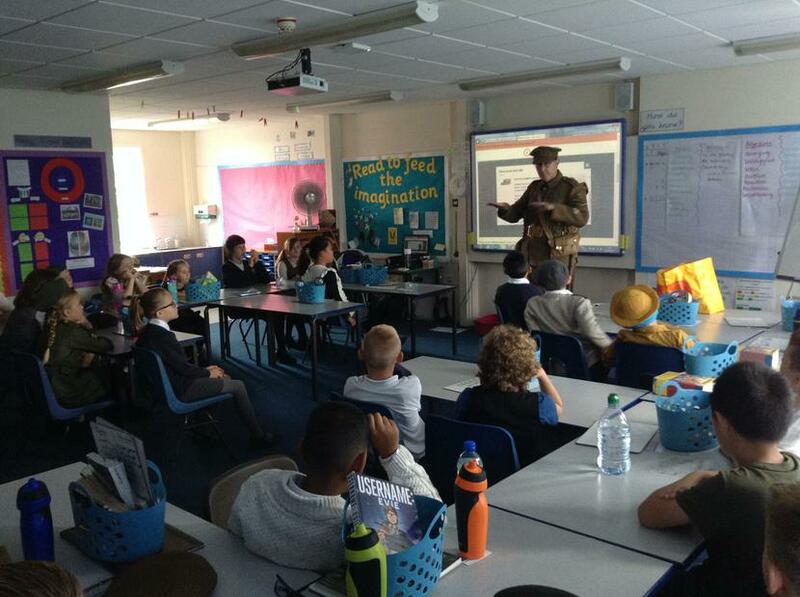 "Private Peaceful was actually really sad. 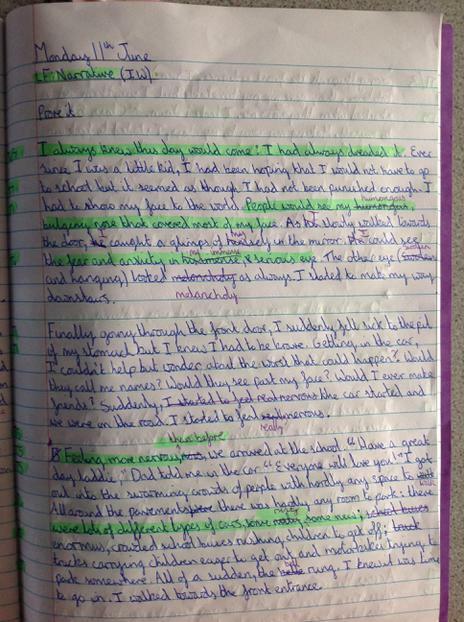 I even cried at the end." 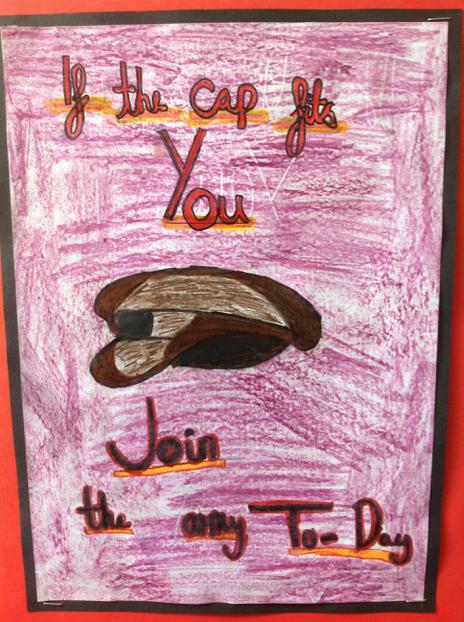 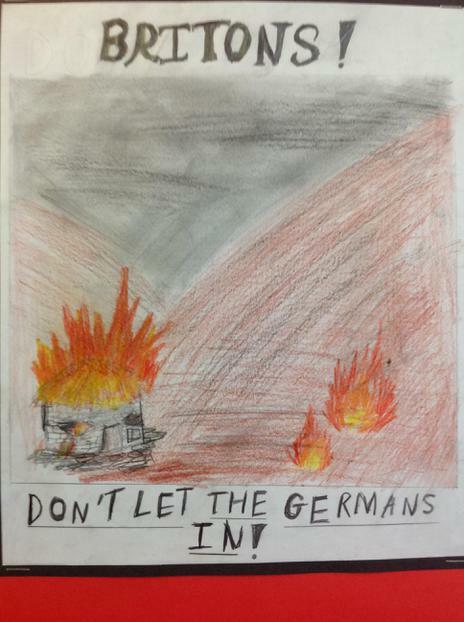 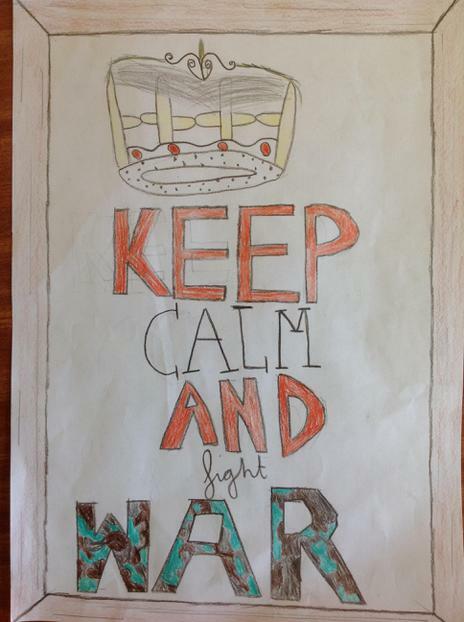 "The propaganda posters were cool to make. 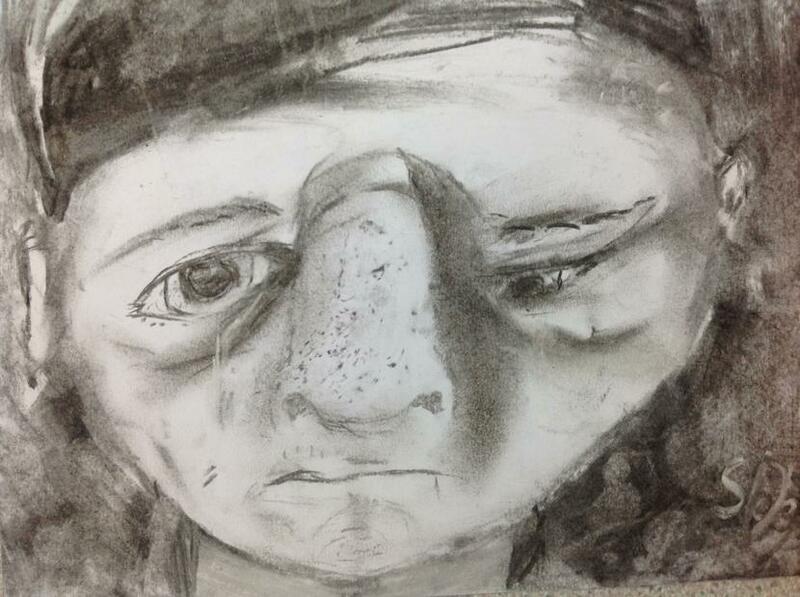 I liked looking at the originals too." 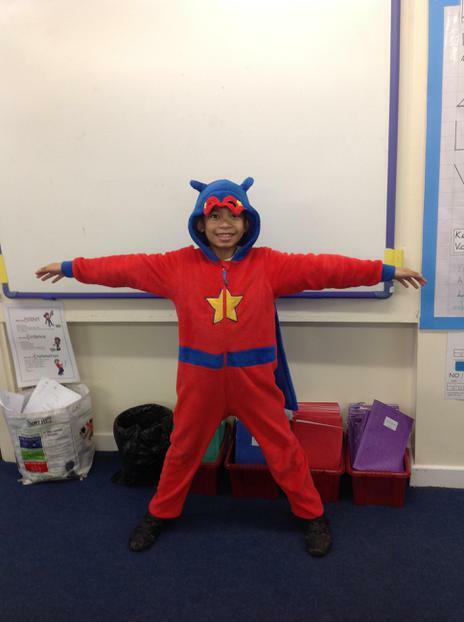 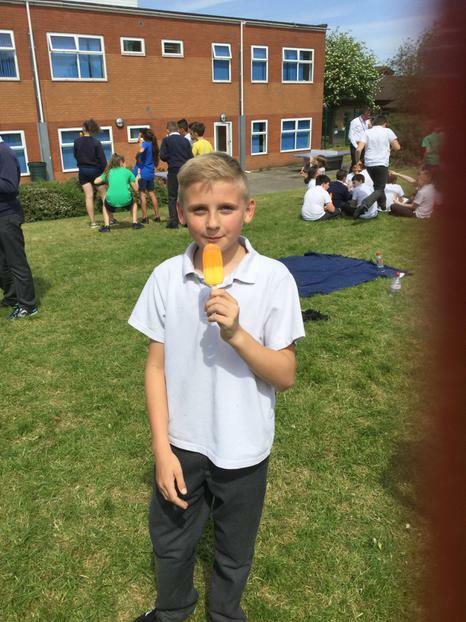 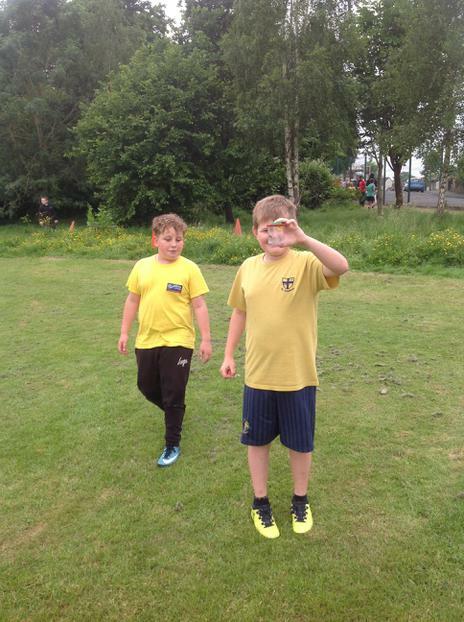 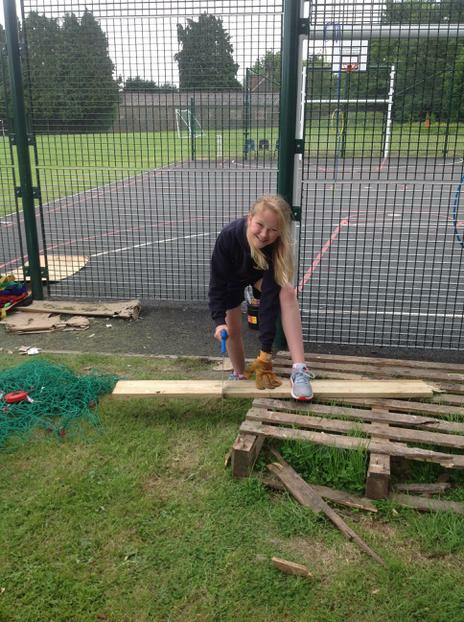 "I loved Beam House, I can't believe I did everything - it was a big thing for me!" 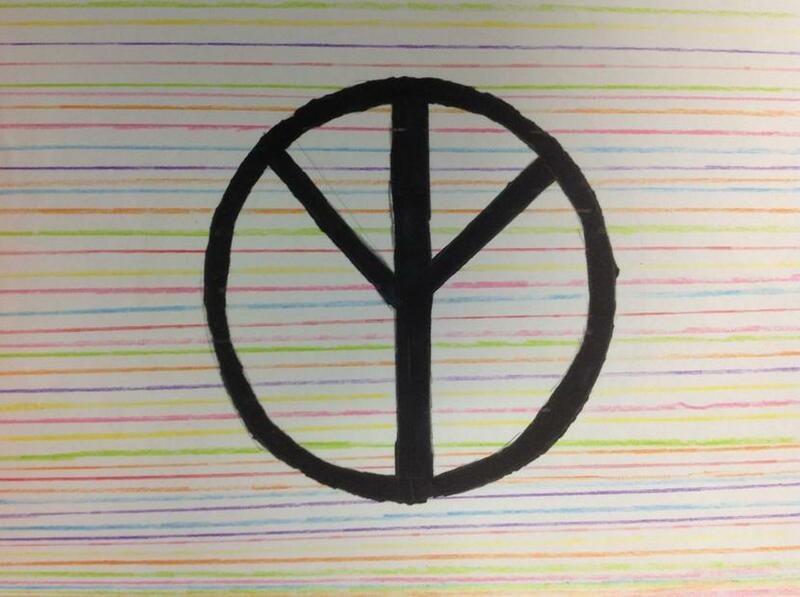 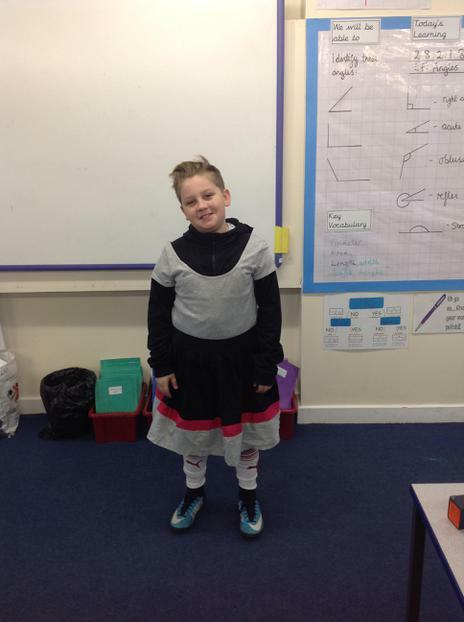 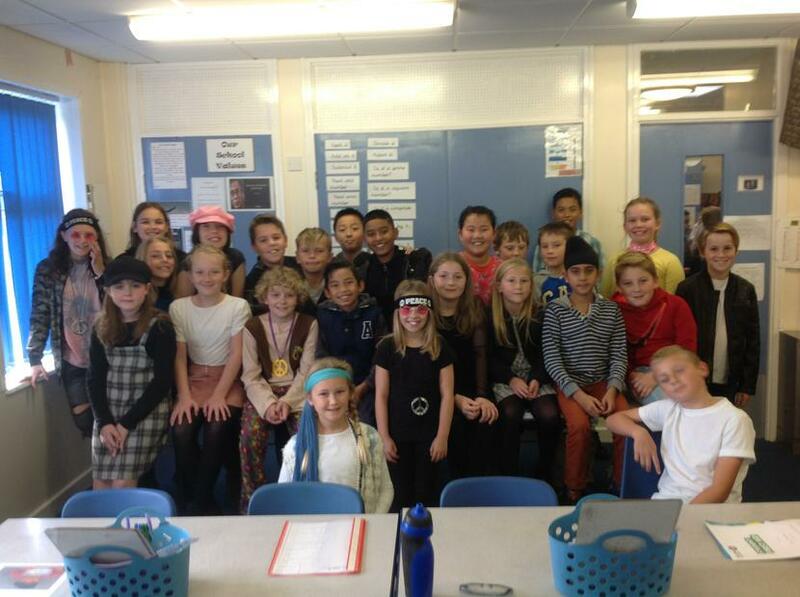 "60's day was loads of fun. 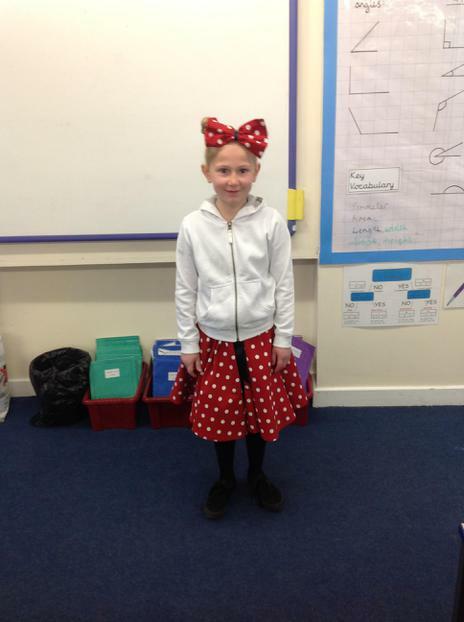 Listening to the music (like Elvis Presley) was definitely my favourite part." 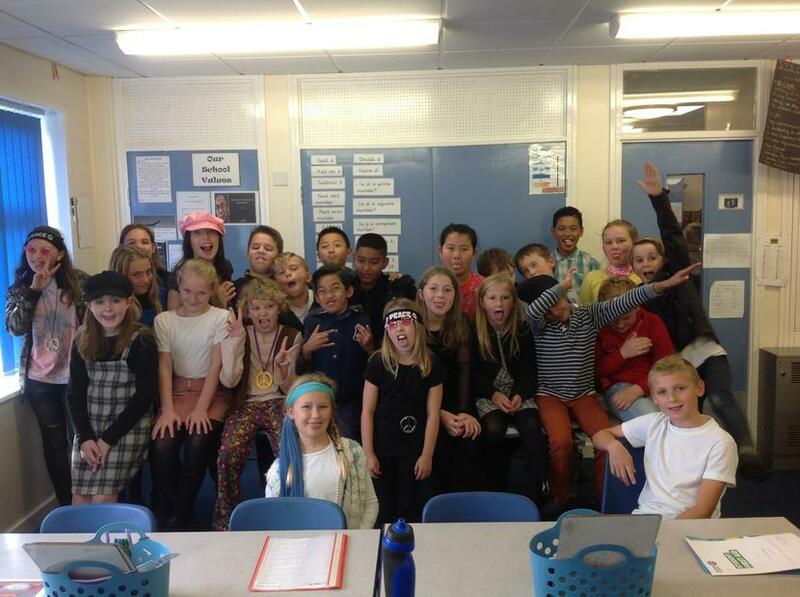 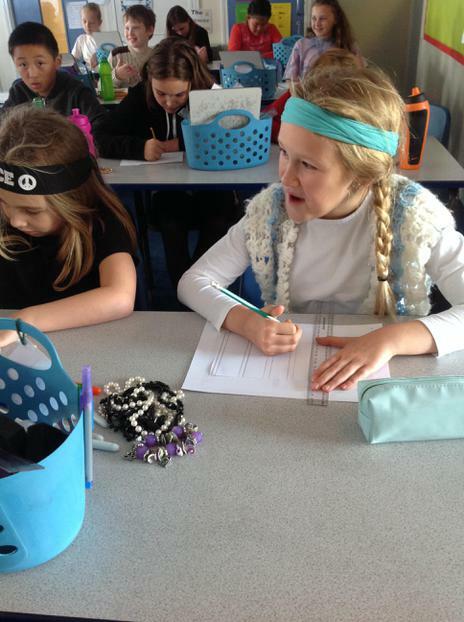 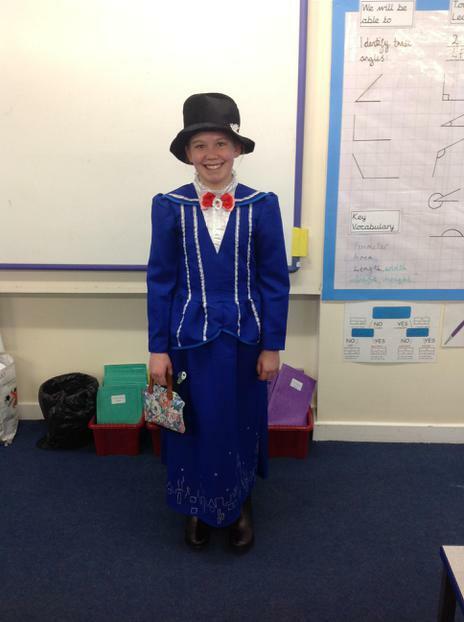 Today we celebrated the 50th birthday of our school by dressing up and learning about the fabulous 1960's! 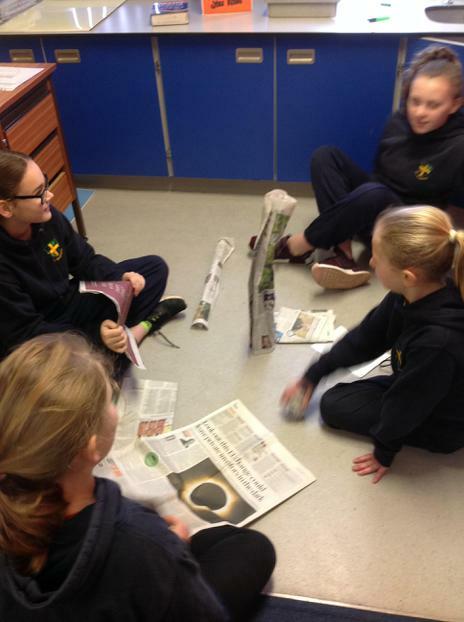 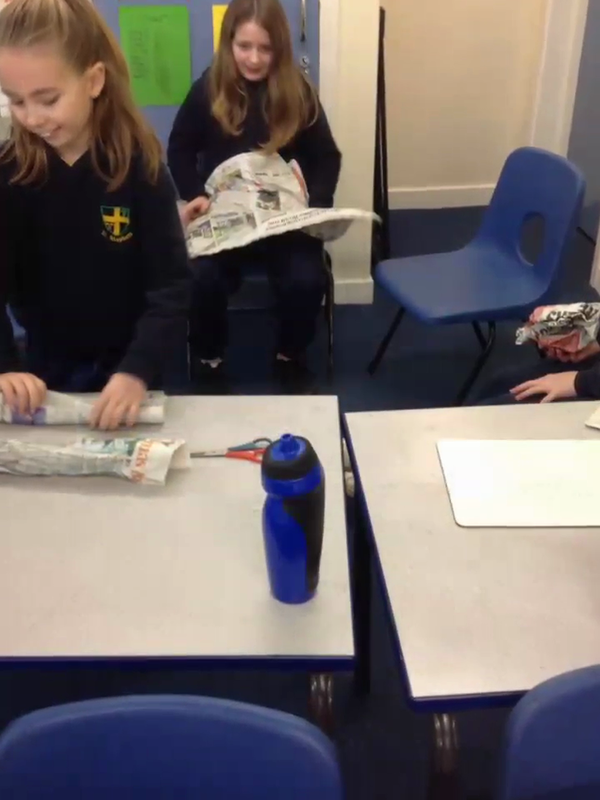 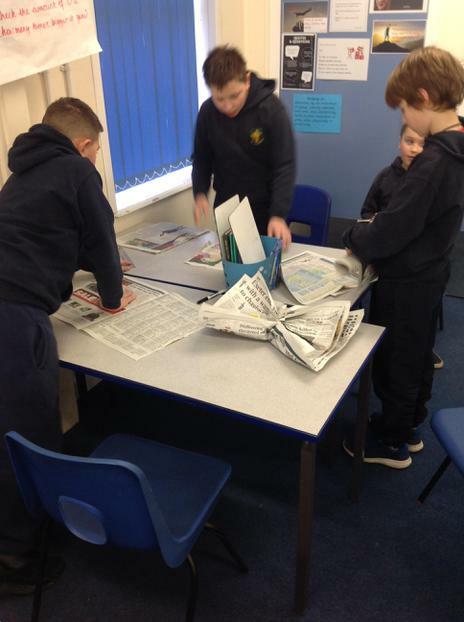 To end our enquiry based on WW1, in small groups we created our own news reports focusing on an area of life that would have been affected by the war. 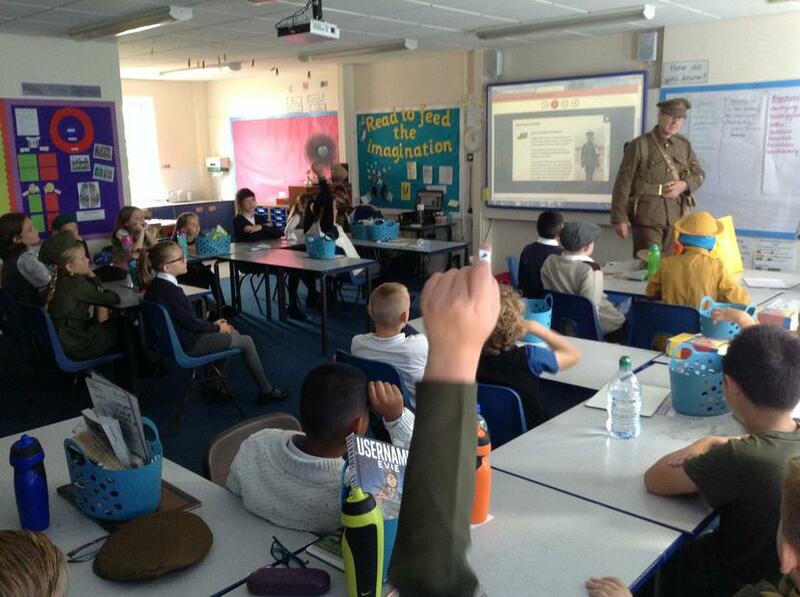 Some of us looked at life in the trenches while others looked at women during the war. 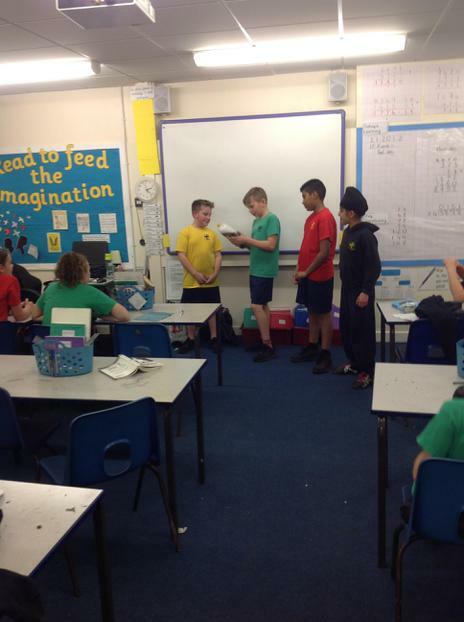 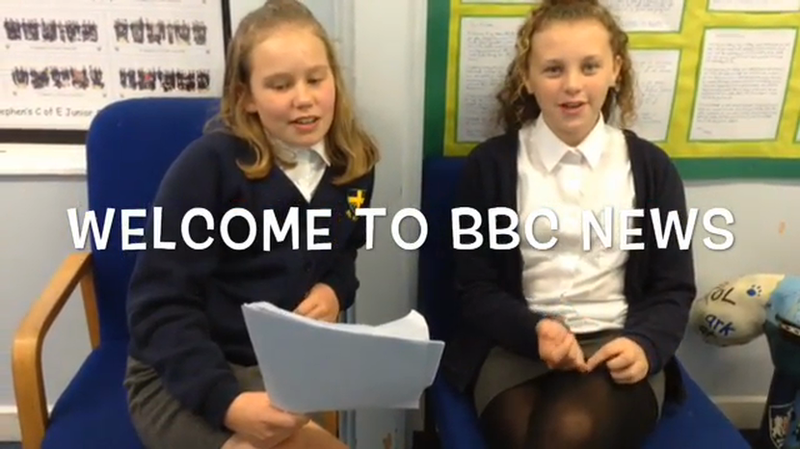 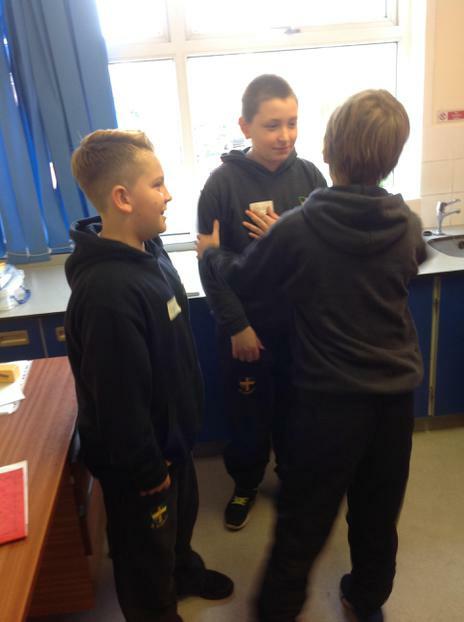 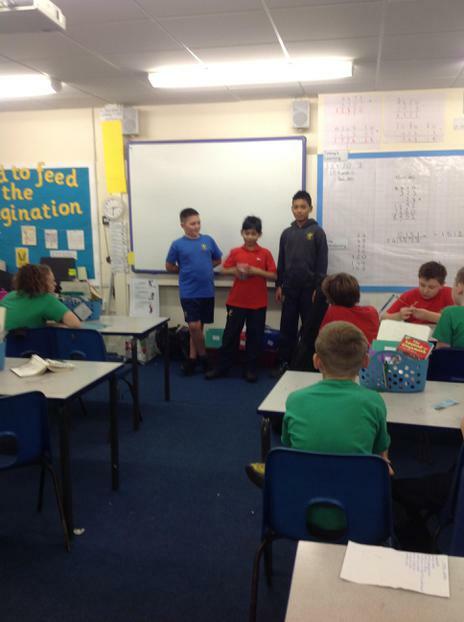 Enjoy watching us take on the roles of news reporters and war veterans! 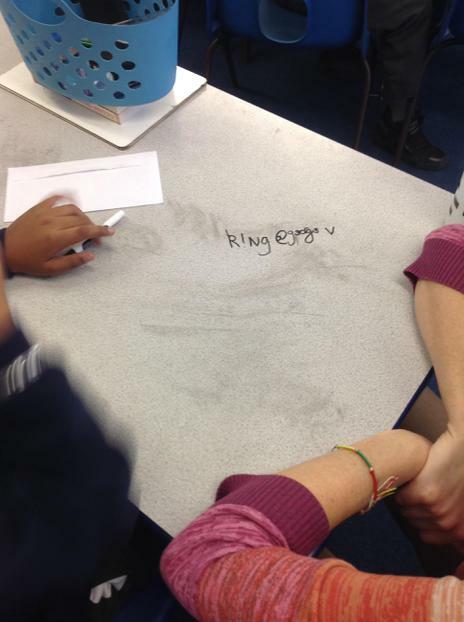 As a final challenge in our R.E. 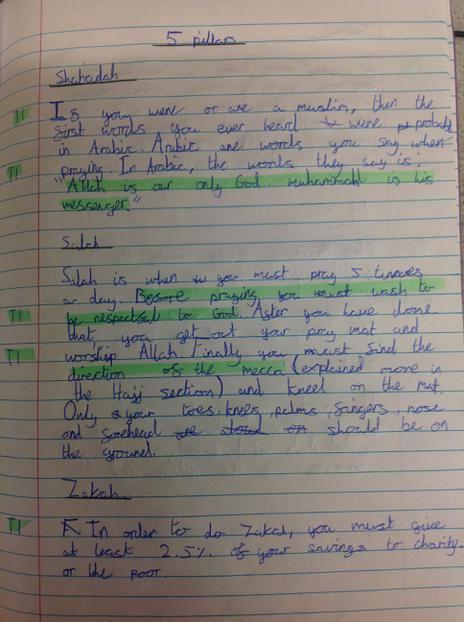 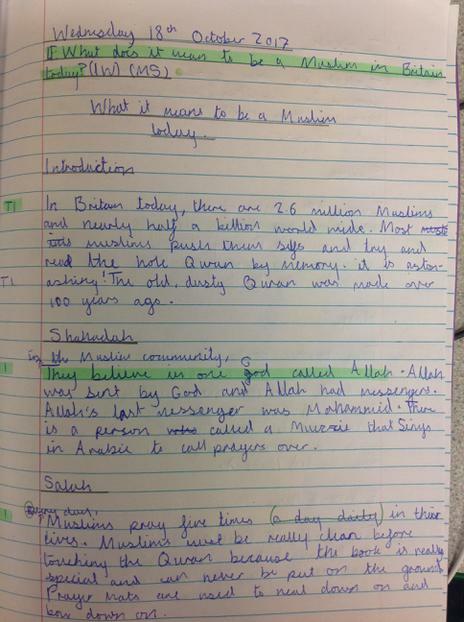 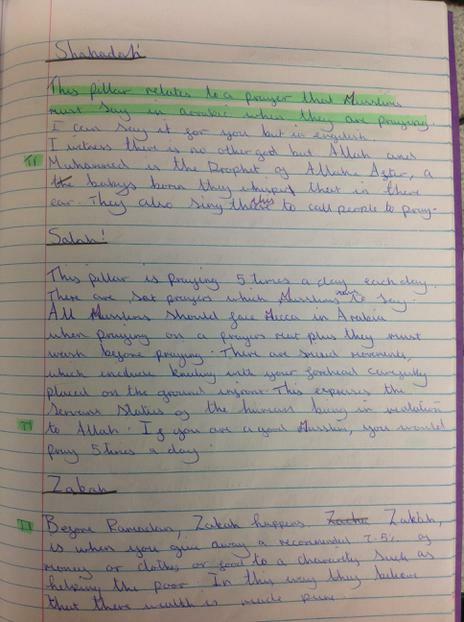 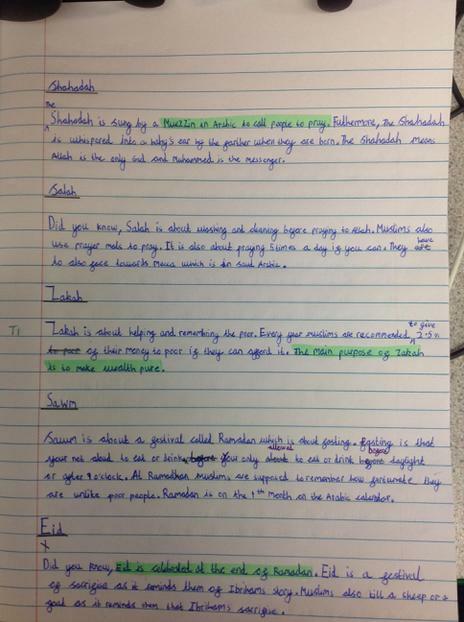 learning we wrote a non-chronological report detailing all the information we gathered about Islam and what it means to follow the religion. 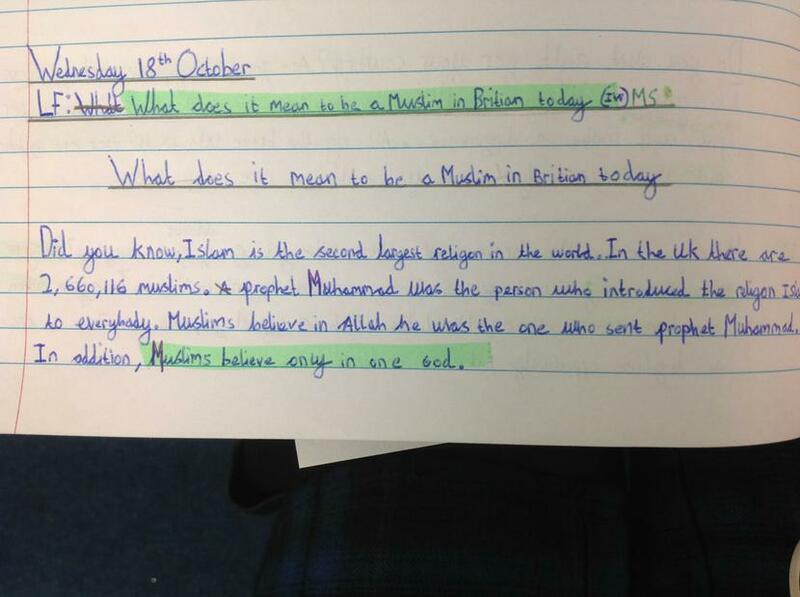 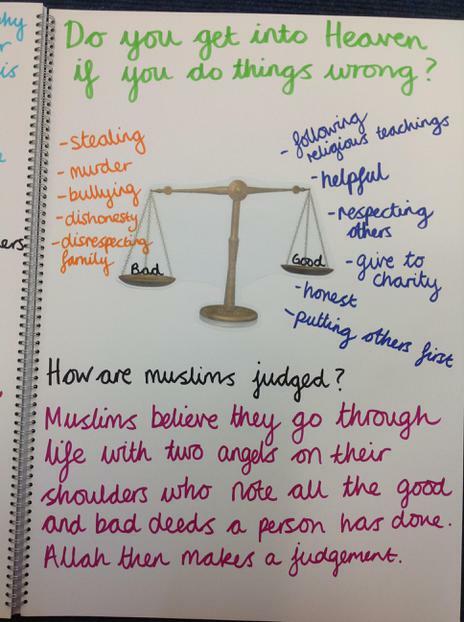 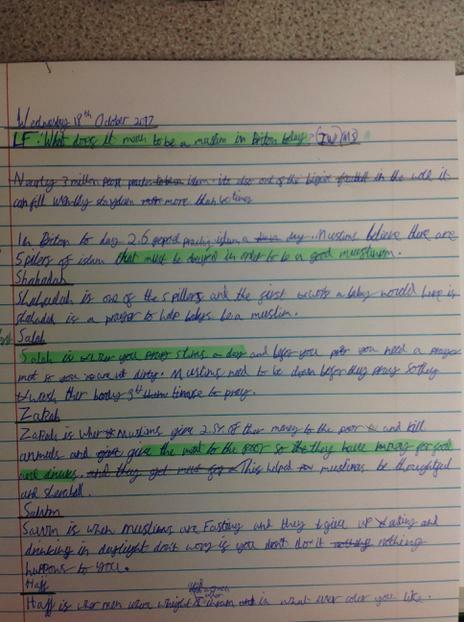 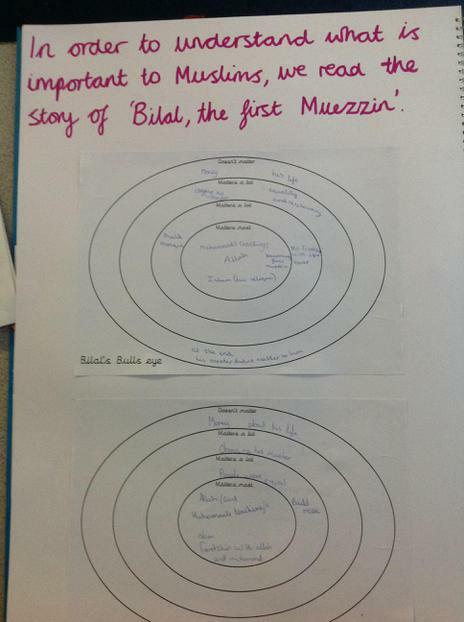 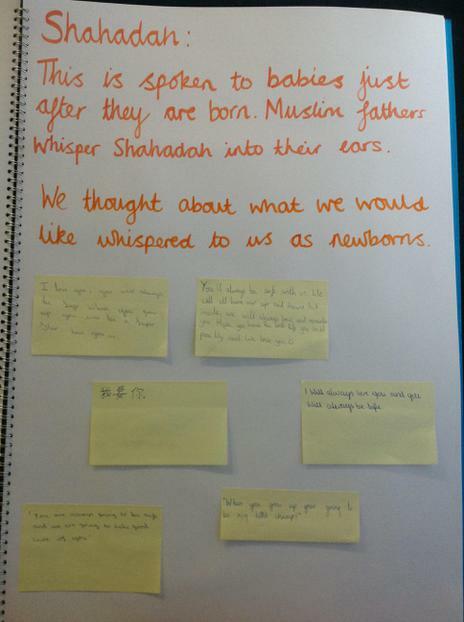 For our R.E enquiry, we have learned about what it means to be a Muslim and how their beliefs and views from Islam can be related to our own lives. 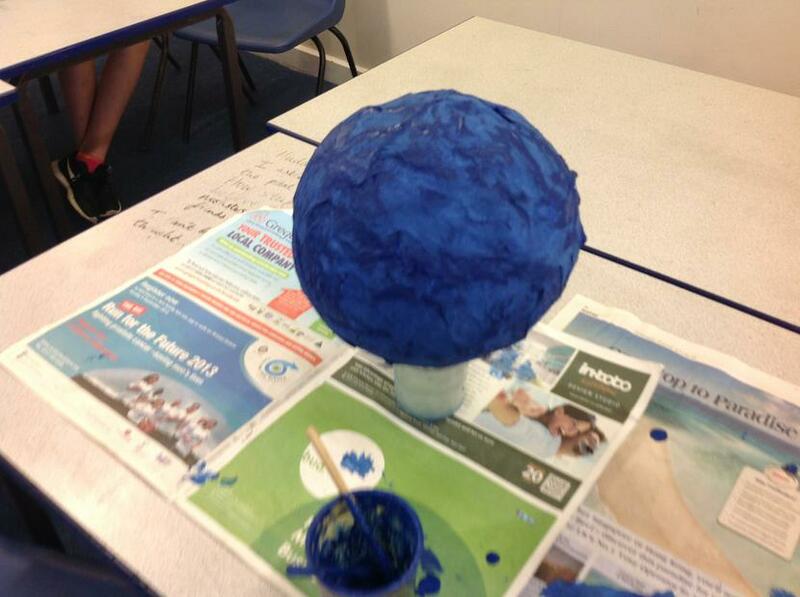 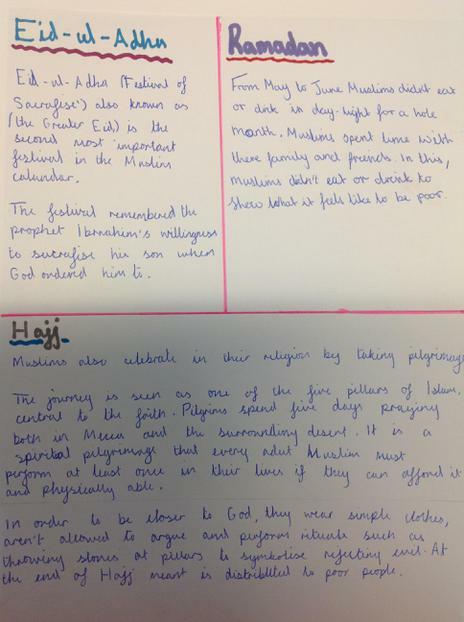 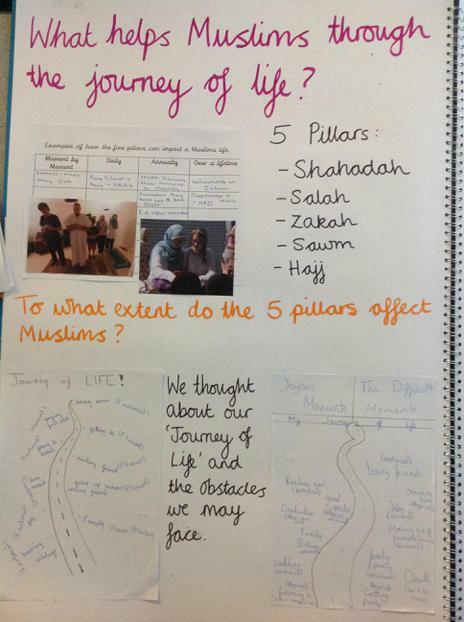 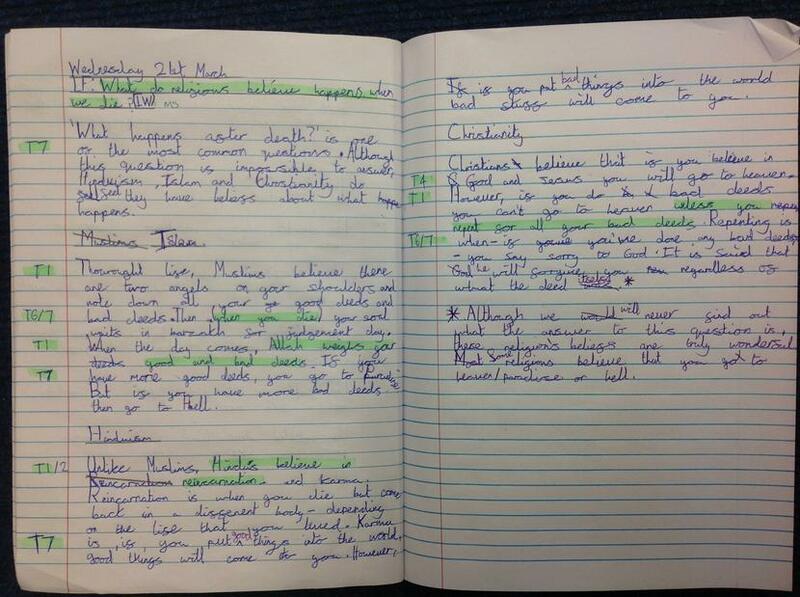 This included learning about the 5 Pillars of Islam and the festivals and celebrations that they hold. 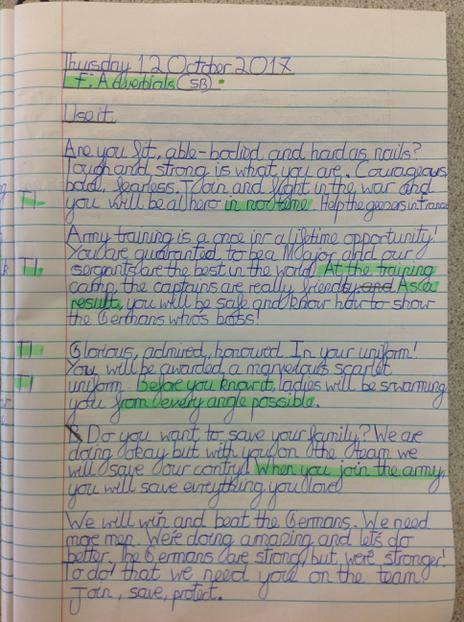 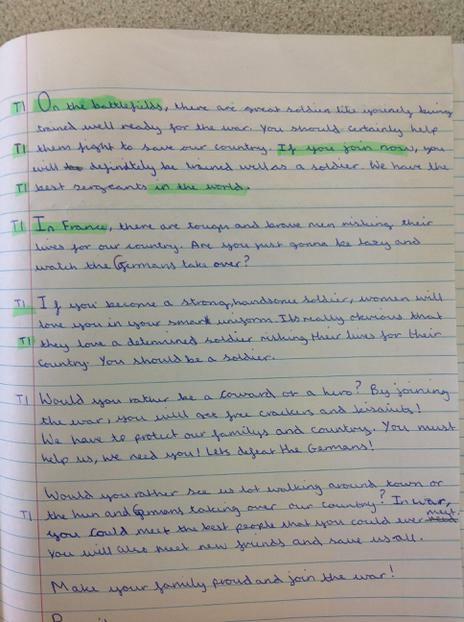 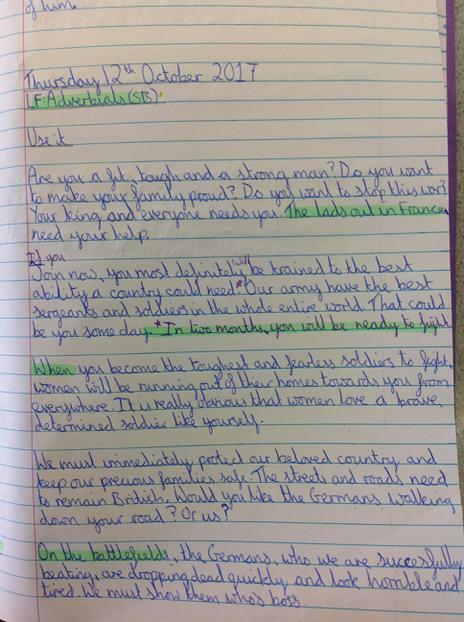 After learning all about the recruitment of soldiers for WW1, we wrote a piece of persuasive writing to convince men to sign up to fight in the war. 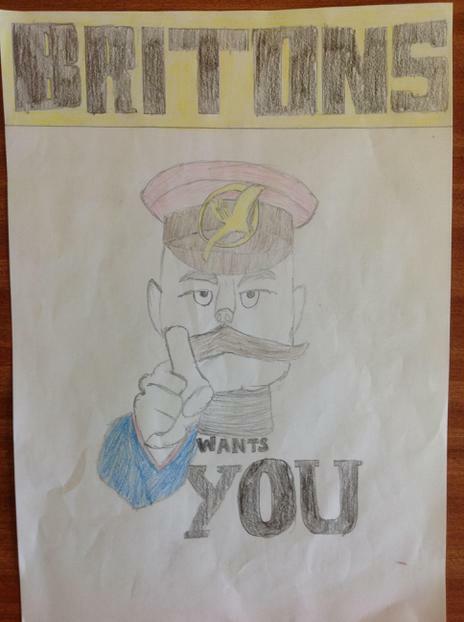 In an effort to recruit men during WW1, propaganda posters littered the streets in order to persuade men to fight. 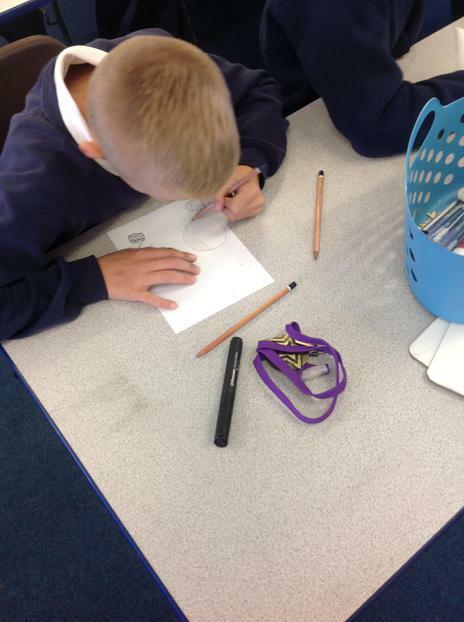 We then looked at some real examples to inspire us before we created our own. 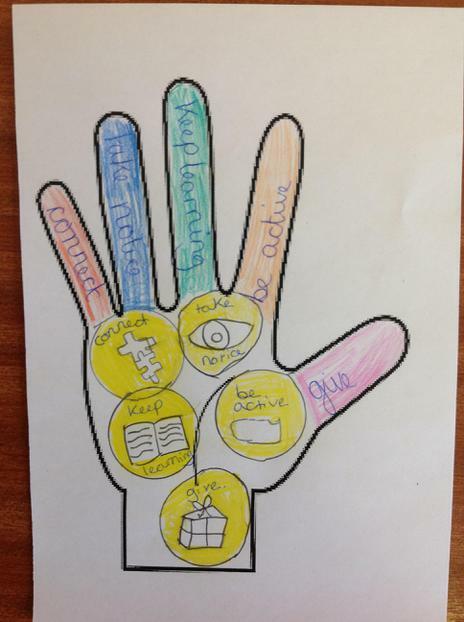 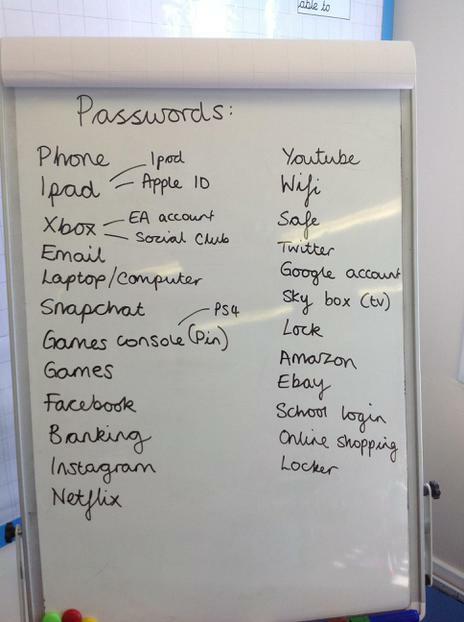 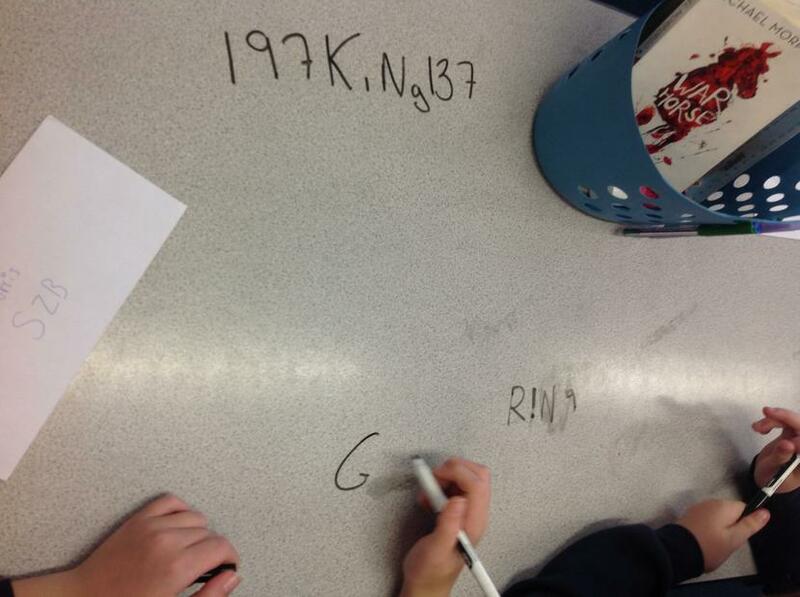 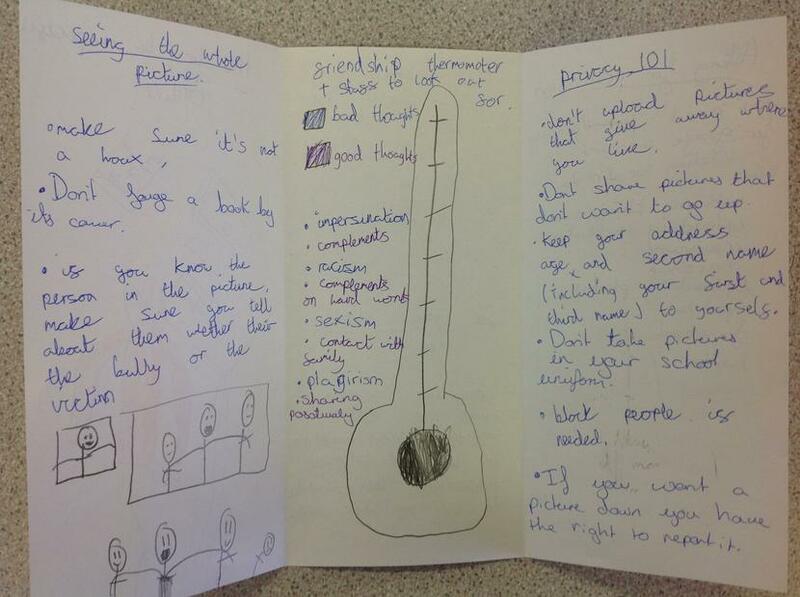 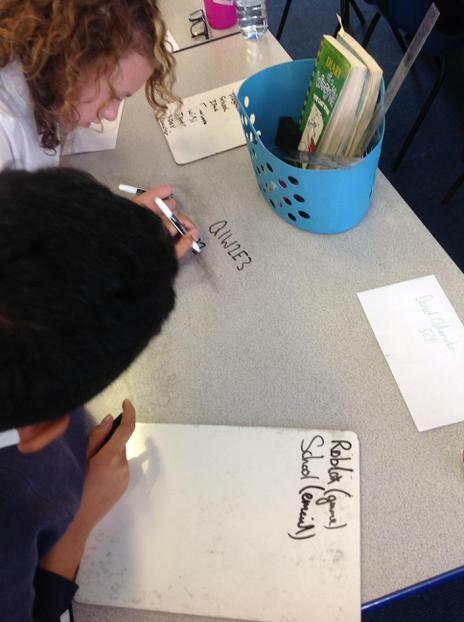 As part of our E-Safety learning we thought about how we can make our passwords safe. 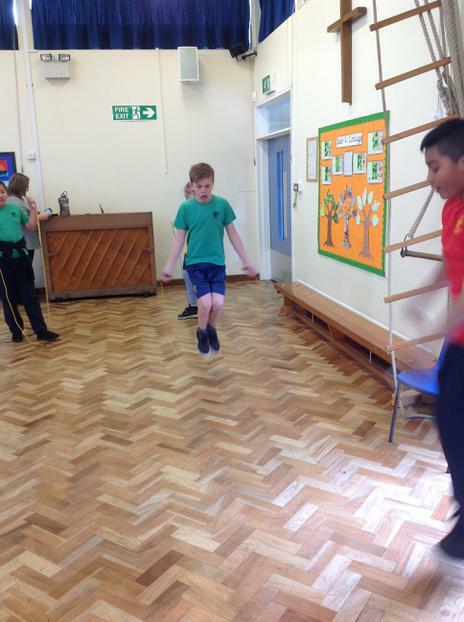 Using the tips we learnt, we had a go at practising. 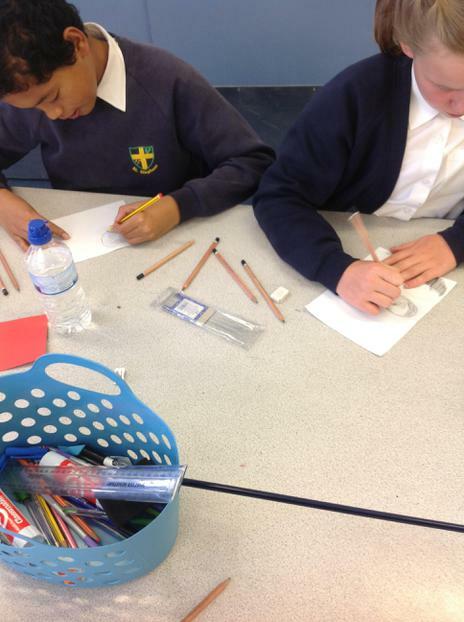 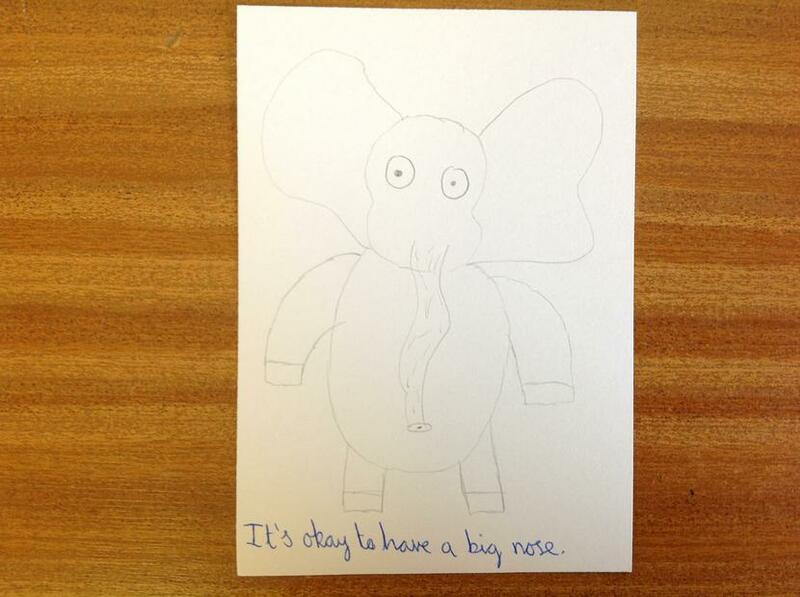 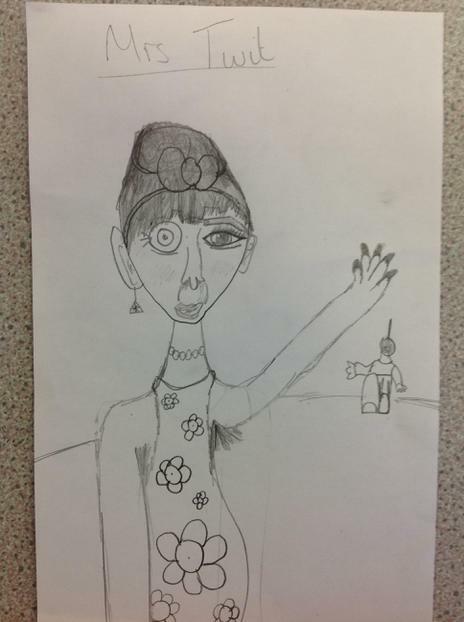 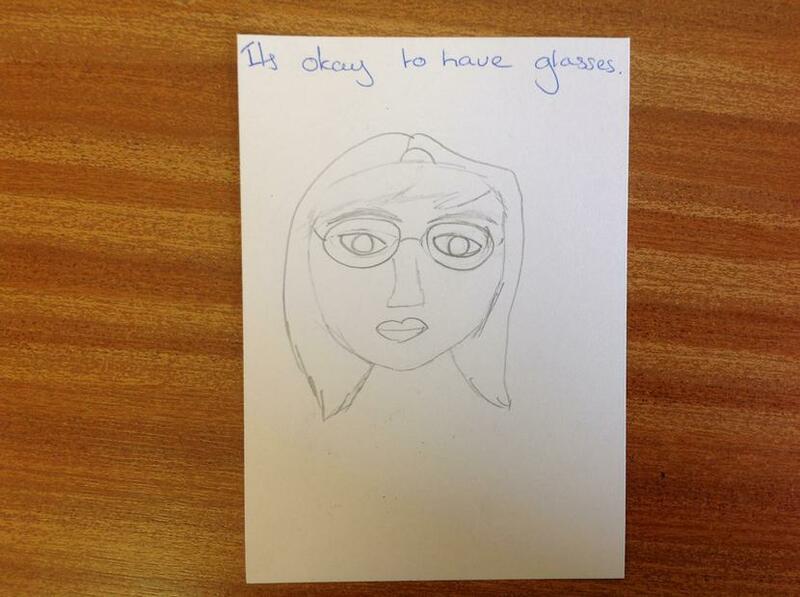 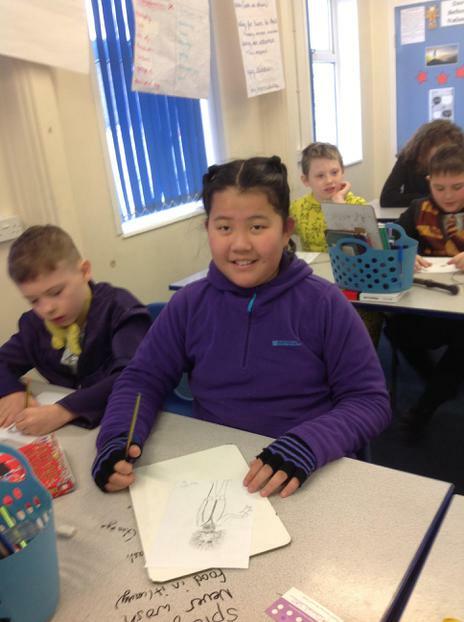 We have been learning new sketching skills to improve our art. 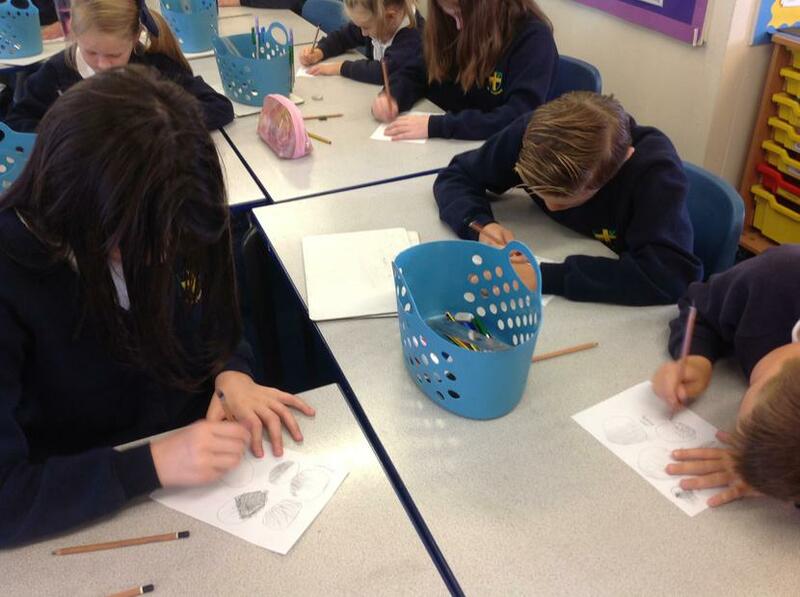 We spent time focussing on different techniques such as hatching, stippling, contour hatching and cross-hatching. 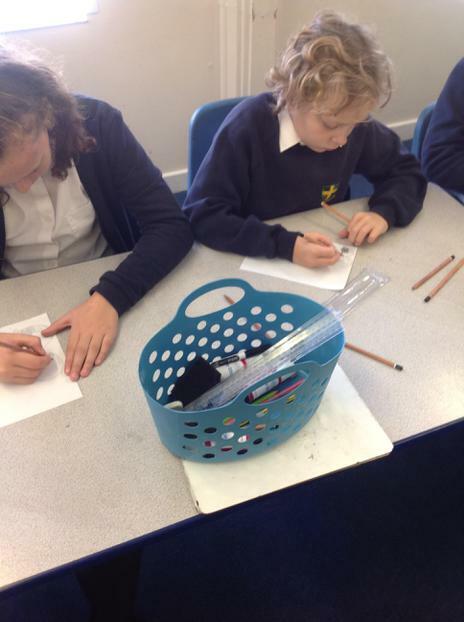 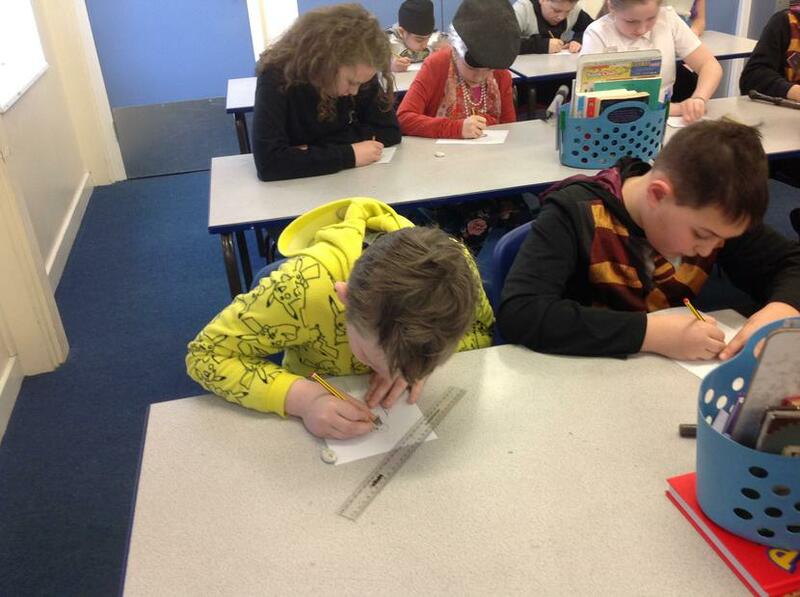 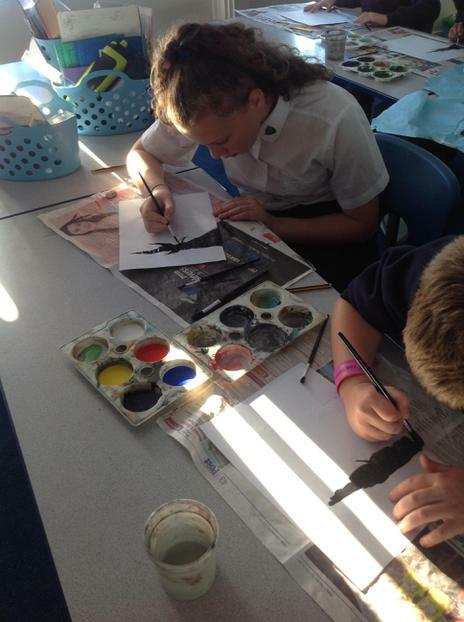 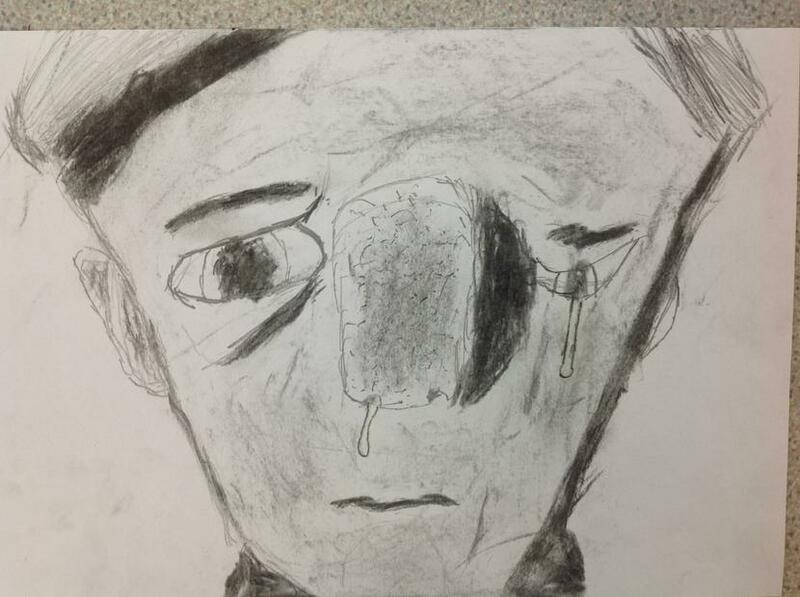 We then put our learning into practise when we sketched real images of WW1 soldiers. 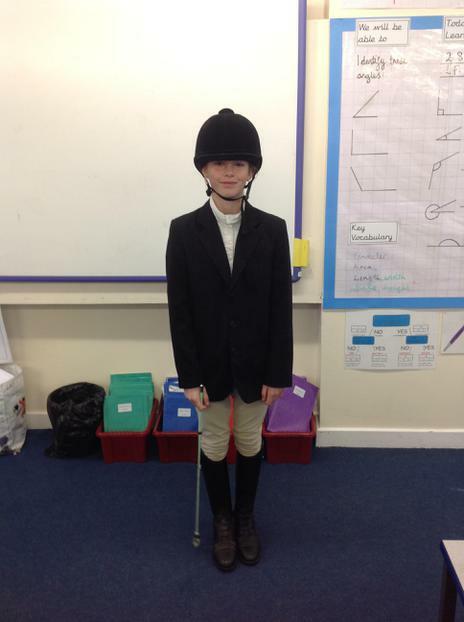 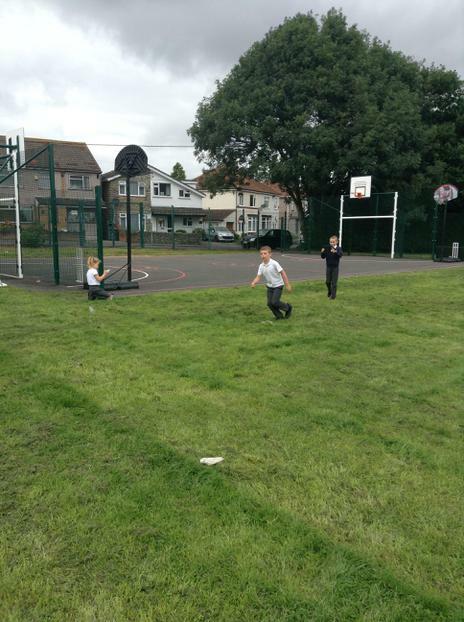 We were really pleased with our progress and end results! 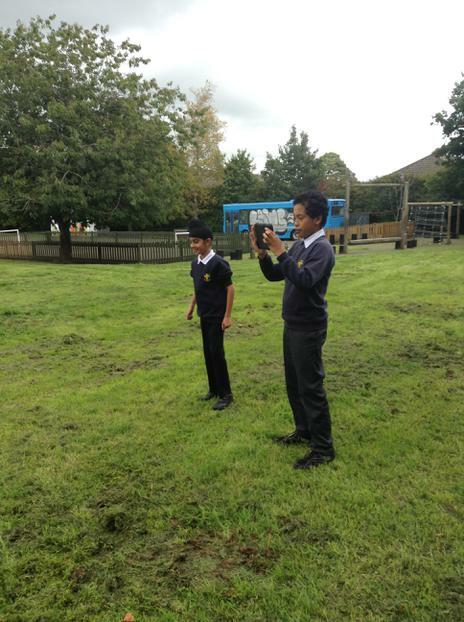 In order to prepare us for a challenge of creating a news report on an aspect of WW1, we needed to remind ourselves and learn how to use iMovie effectively. 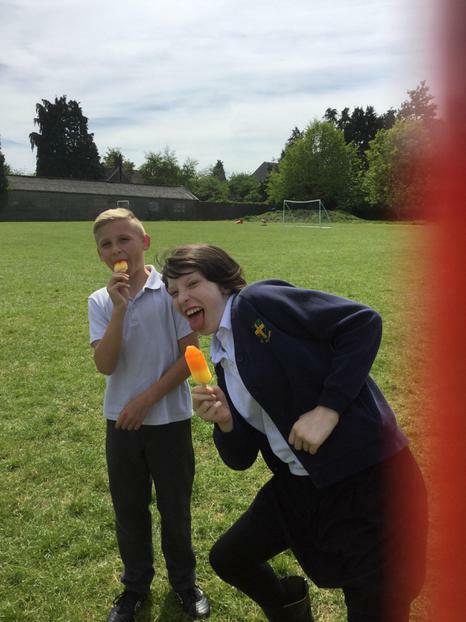 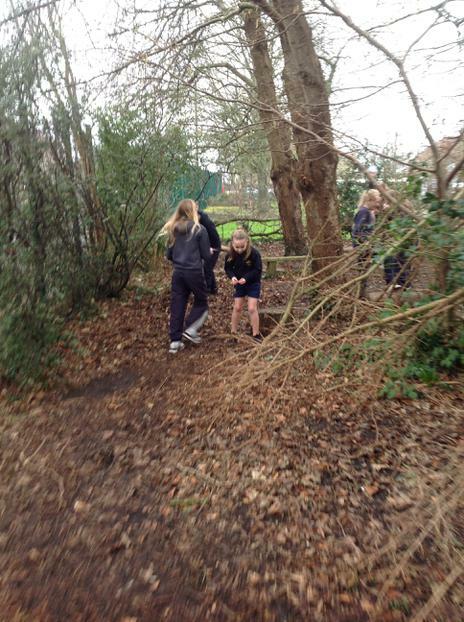 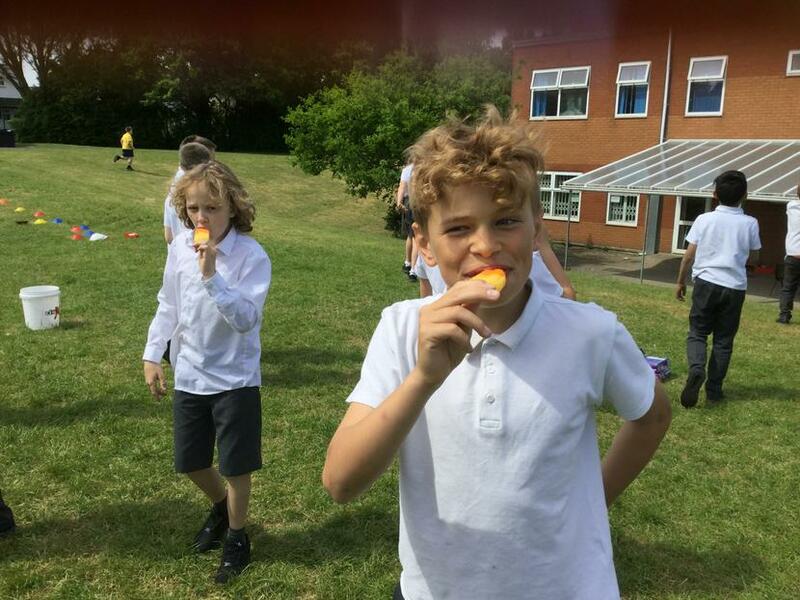 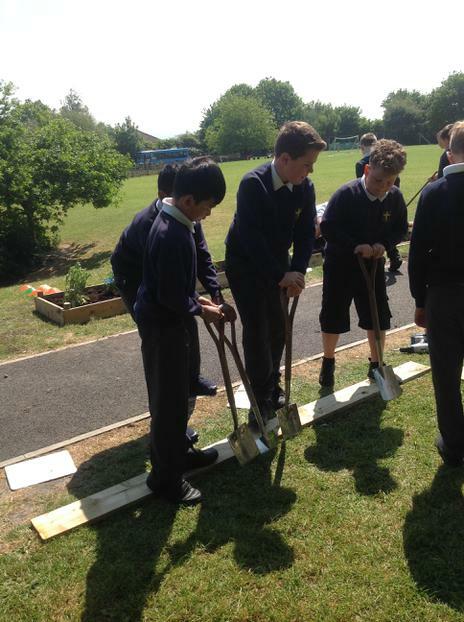 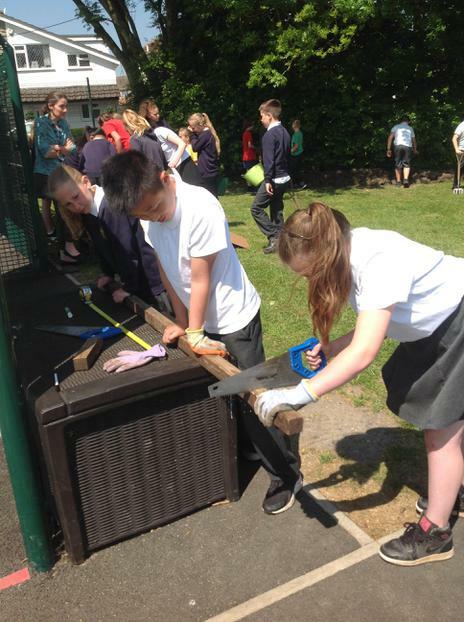 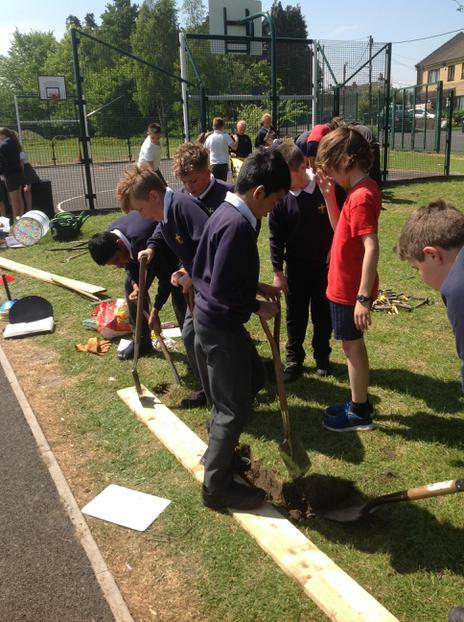 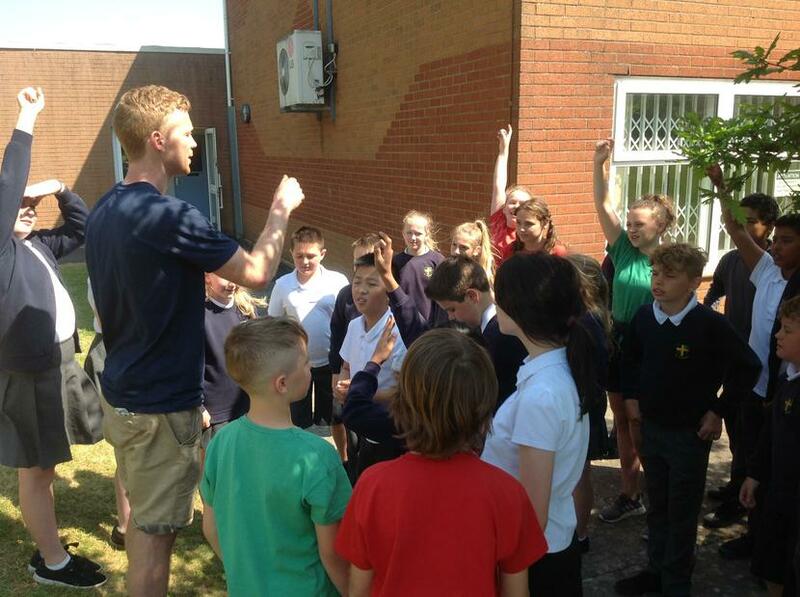 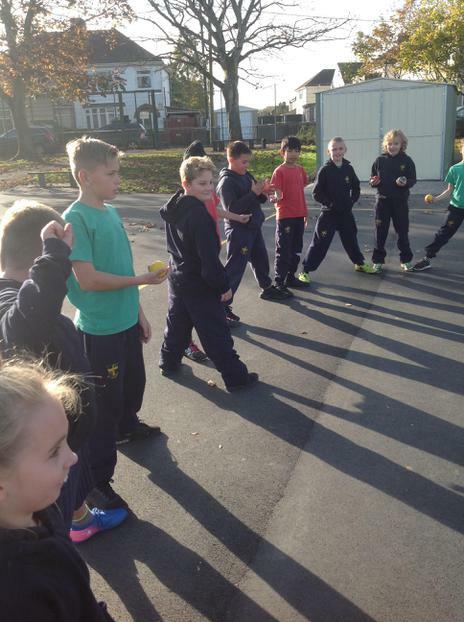 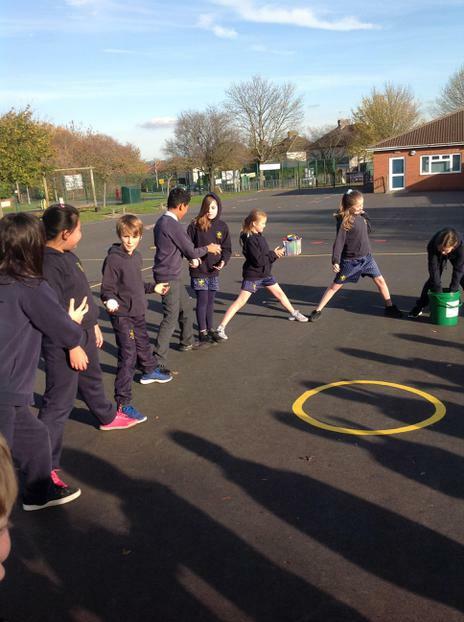 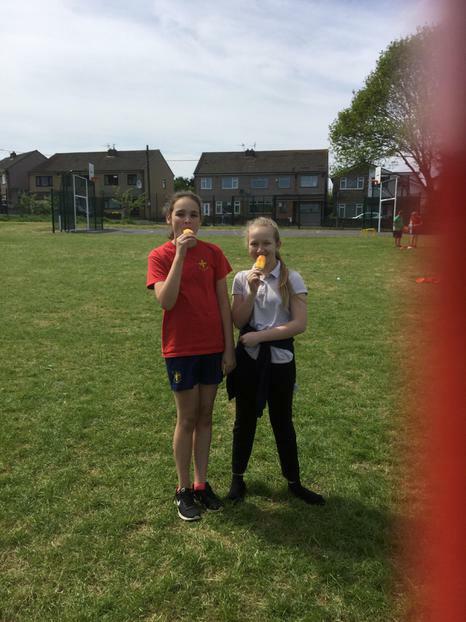 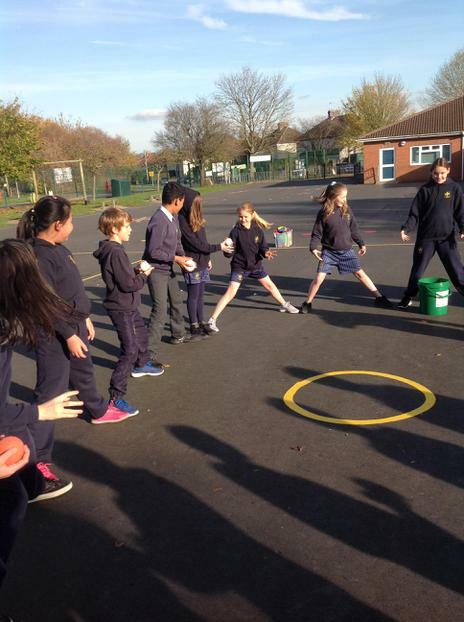 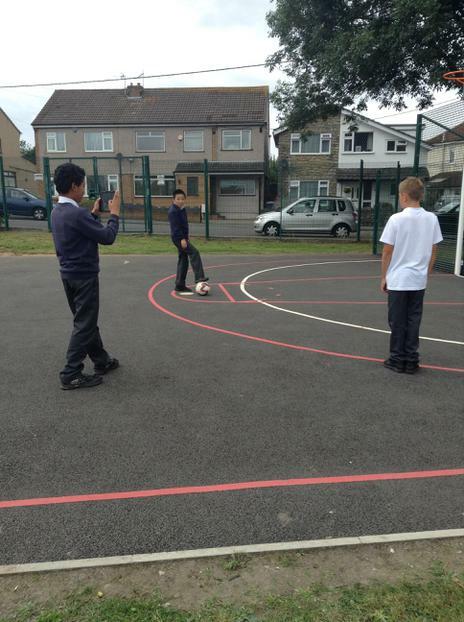 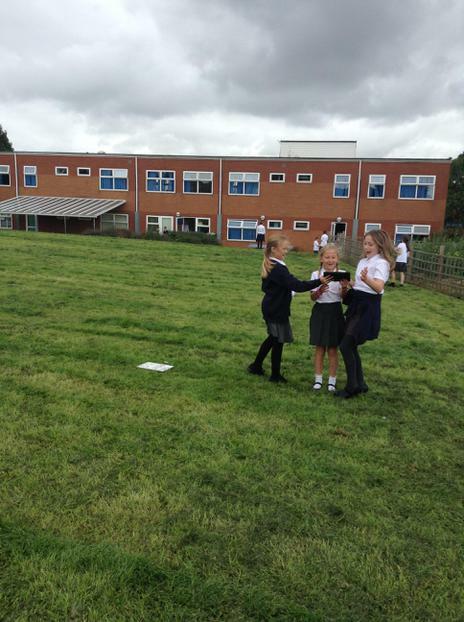 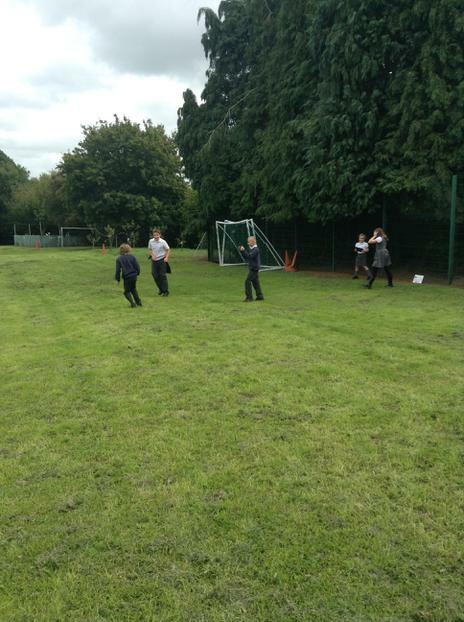 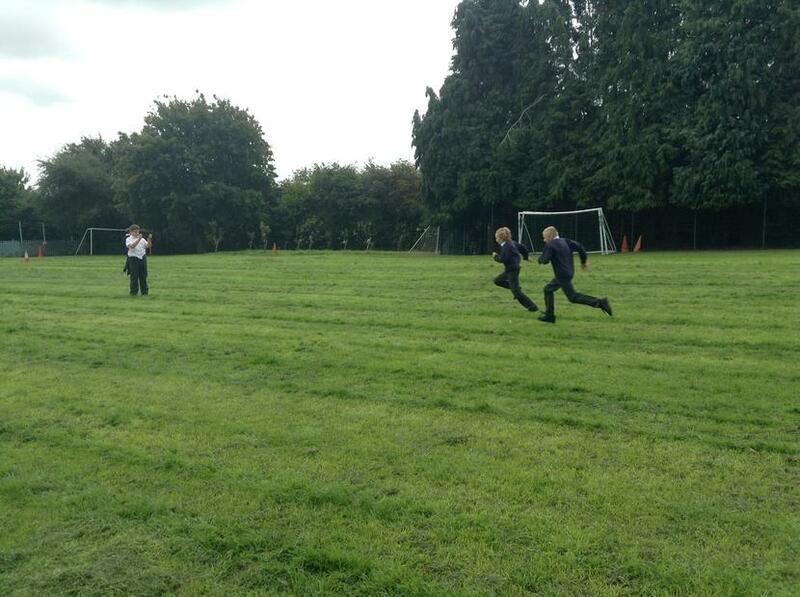 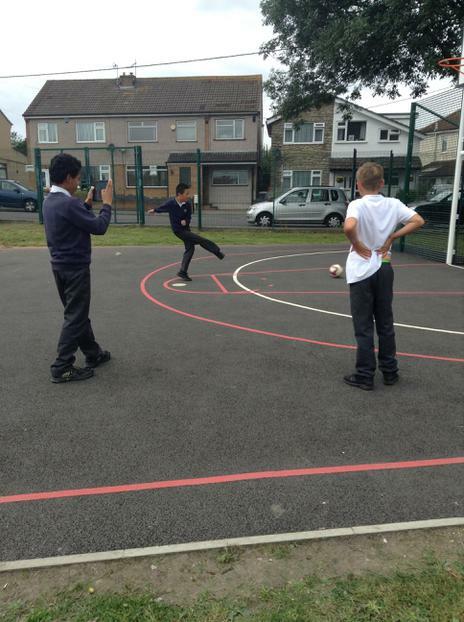 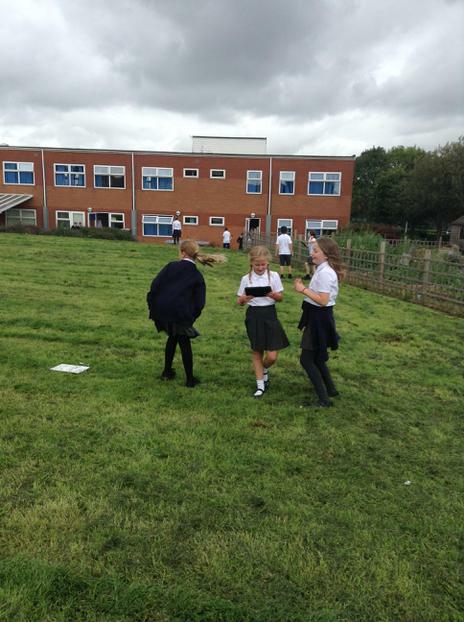 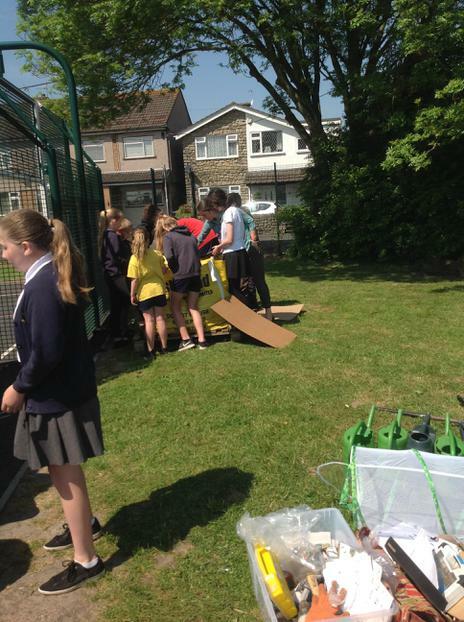 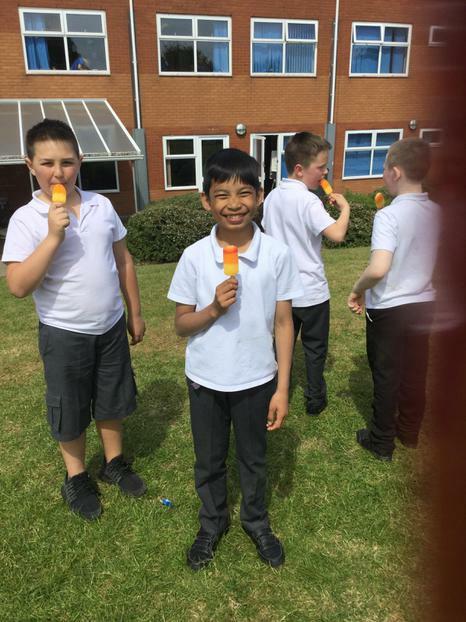 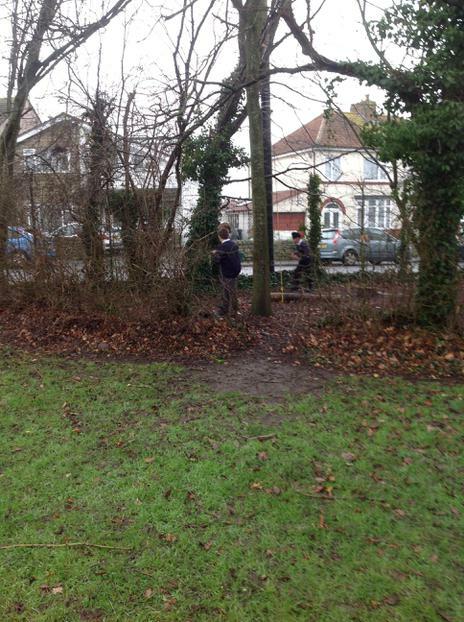 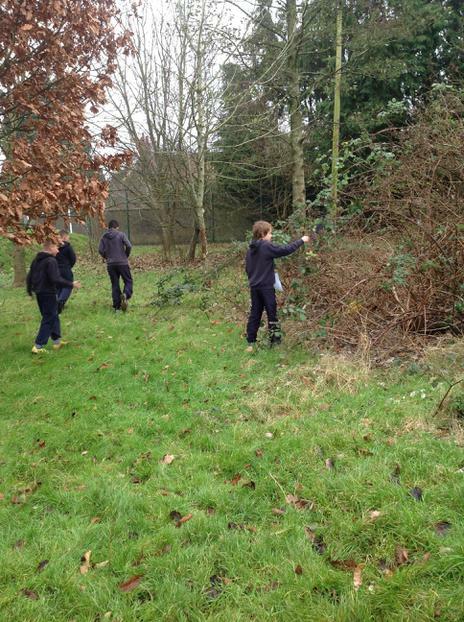 We took to the school grounds to explore and create our own advertisements for St Stephen's Juniors sports and 'How we use our Secret Garden'. 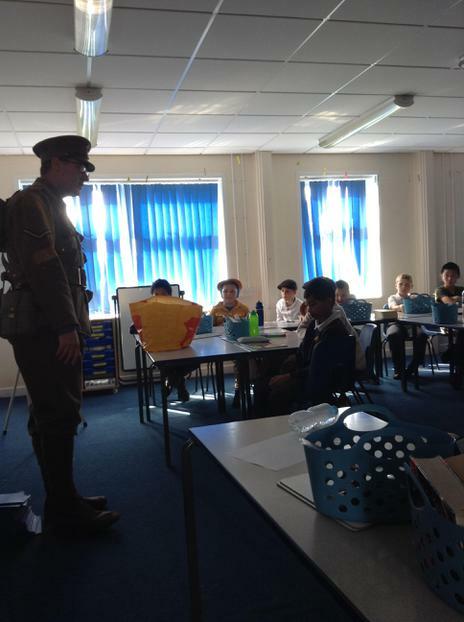 For our WOW, Mr Evans (otherwise known as Bombardier Evans) took on the role of a WW1 Officer and we all had to get into role as soldiers and follow his very strict orders. 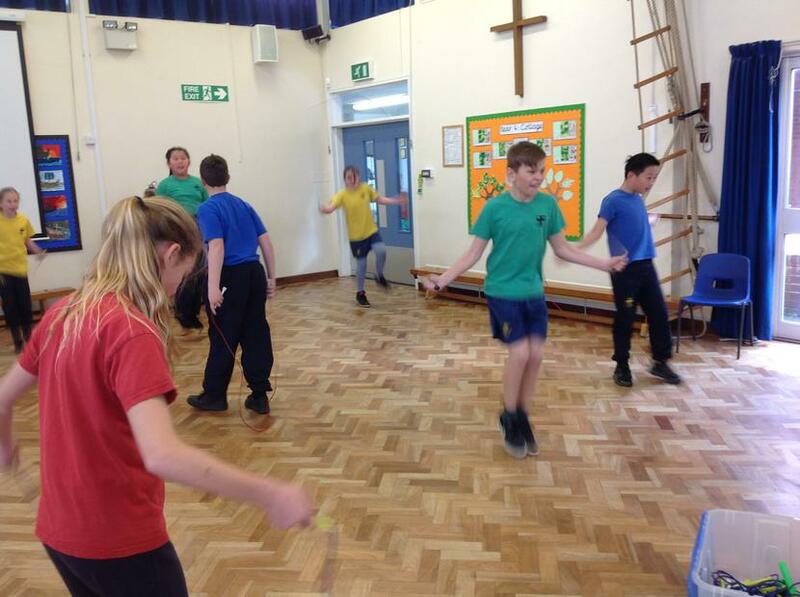 We learned how to march properly and understood how important it was to follow him exactly. 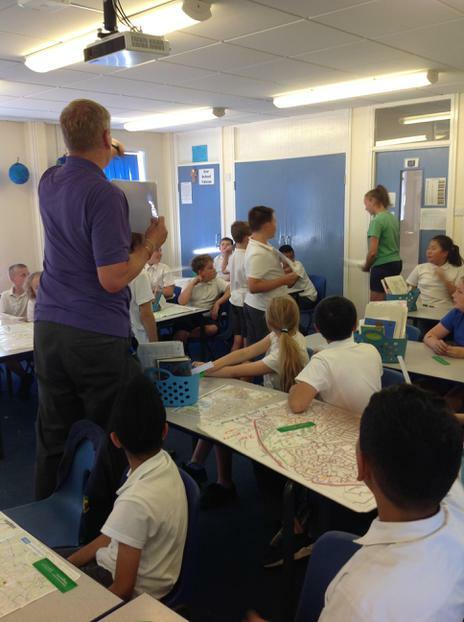 In addition, we learned all about typical classrooms in the early 20th century and some of the countries which were involved in the First World War. 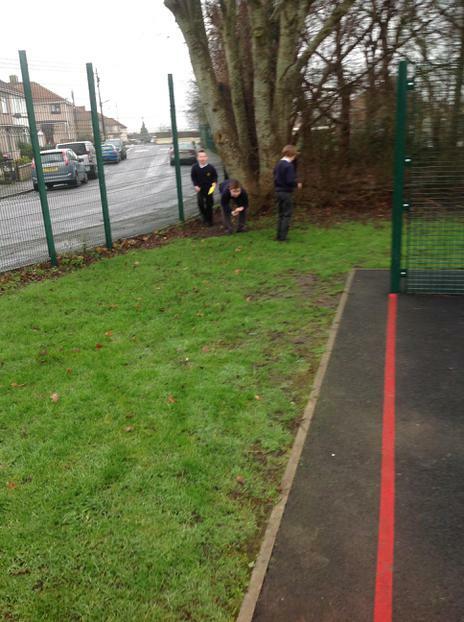 We enjoyed digging trenches in the rain and even had a go at some very tricky needlework! 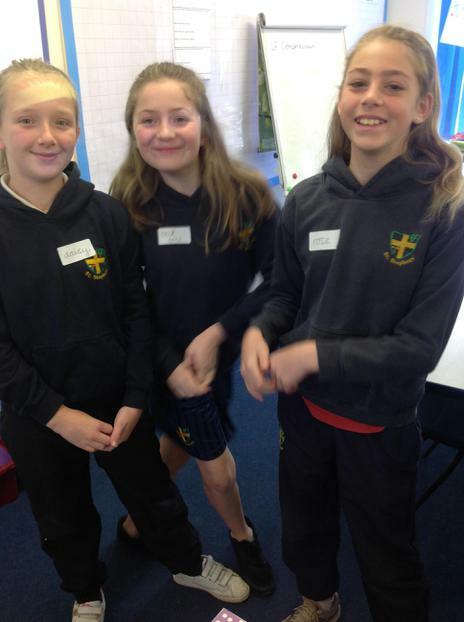 We can't wait to find out more!